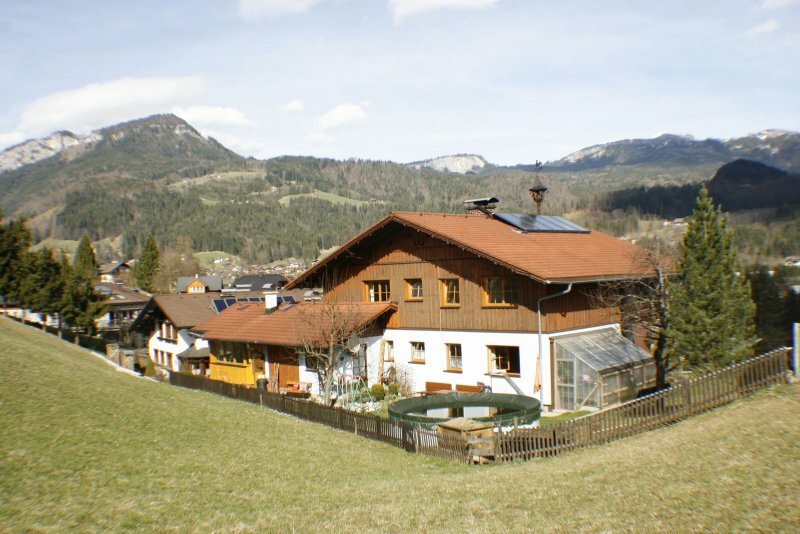 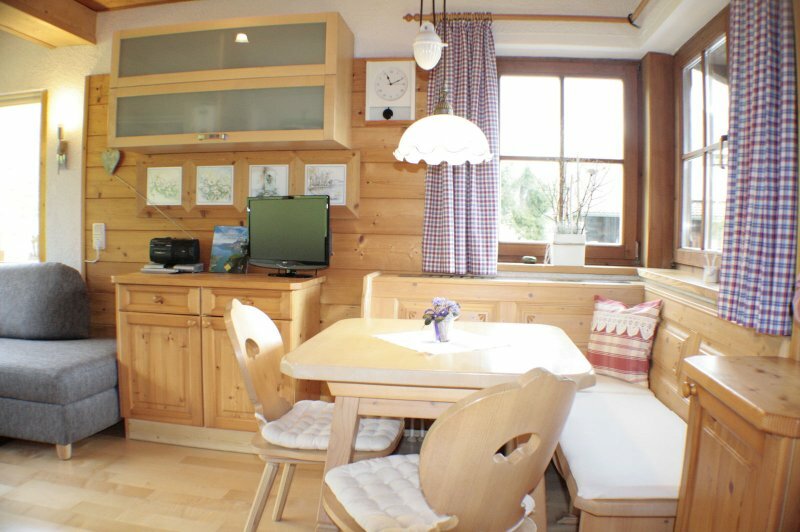 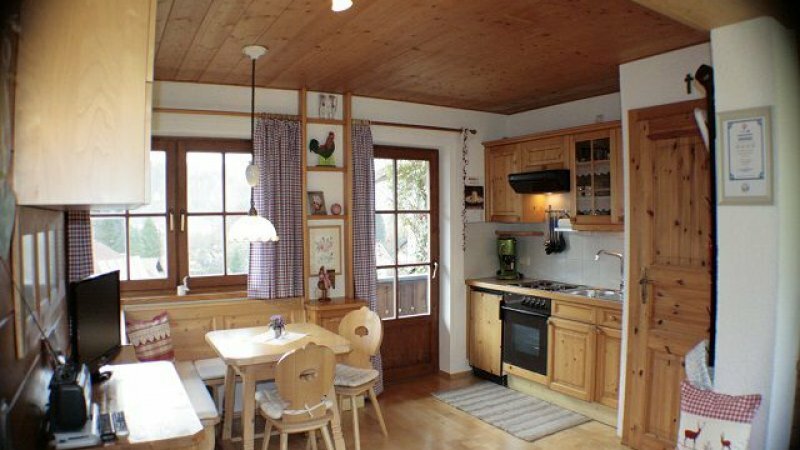 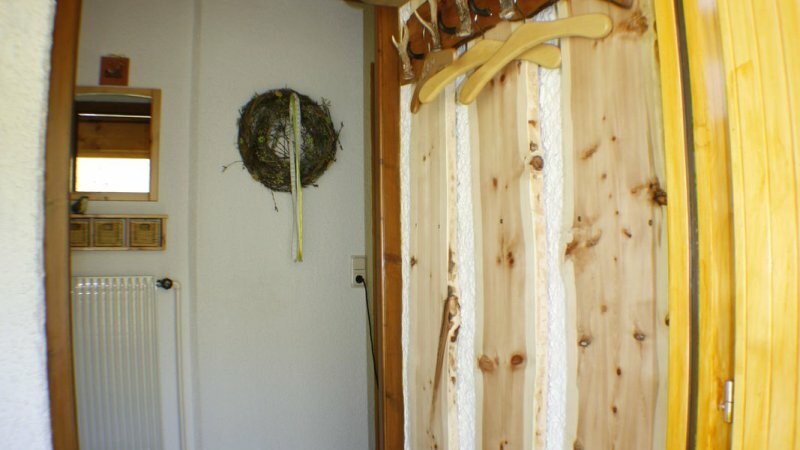 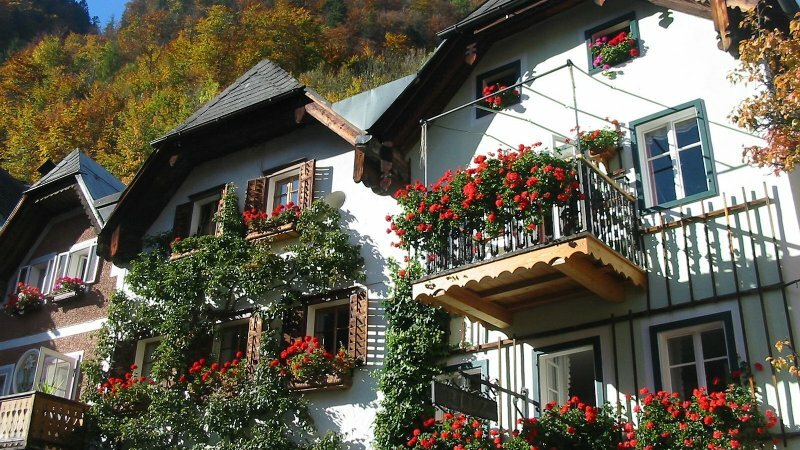 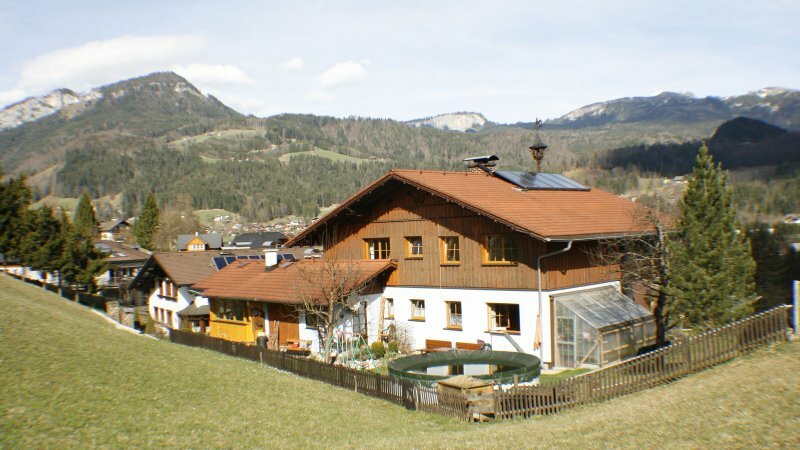 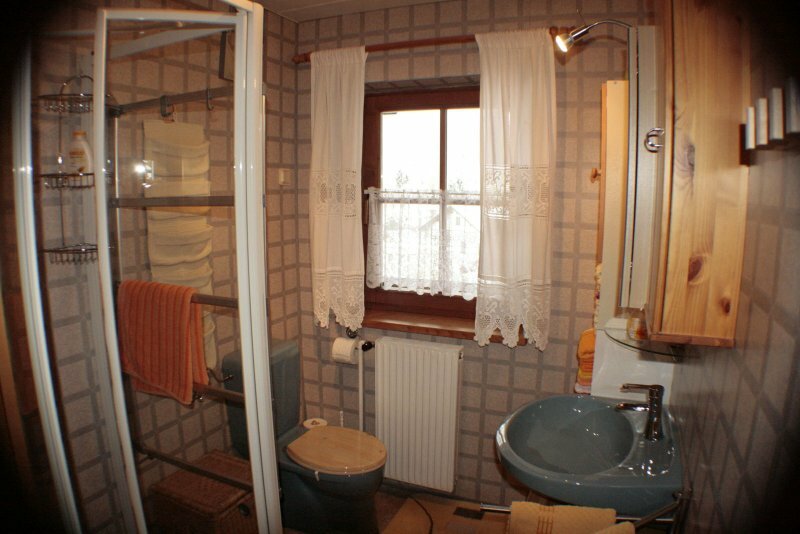 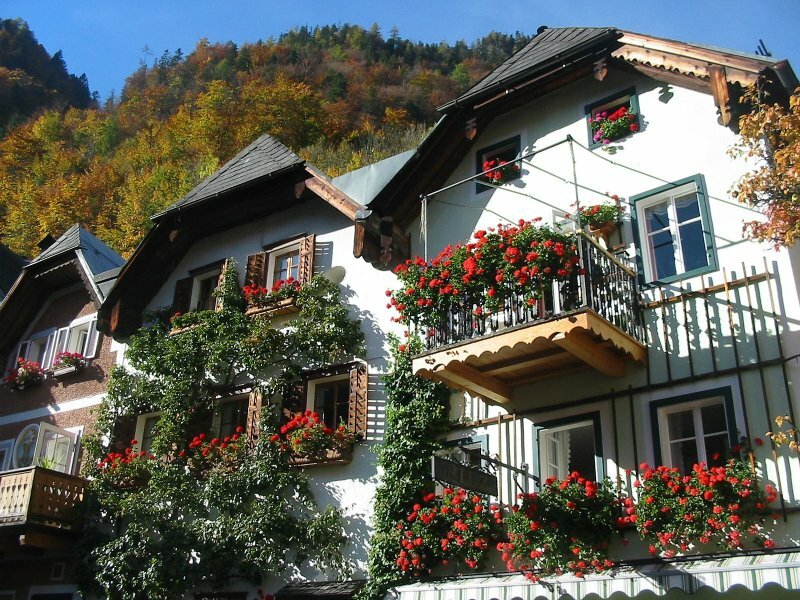 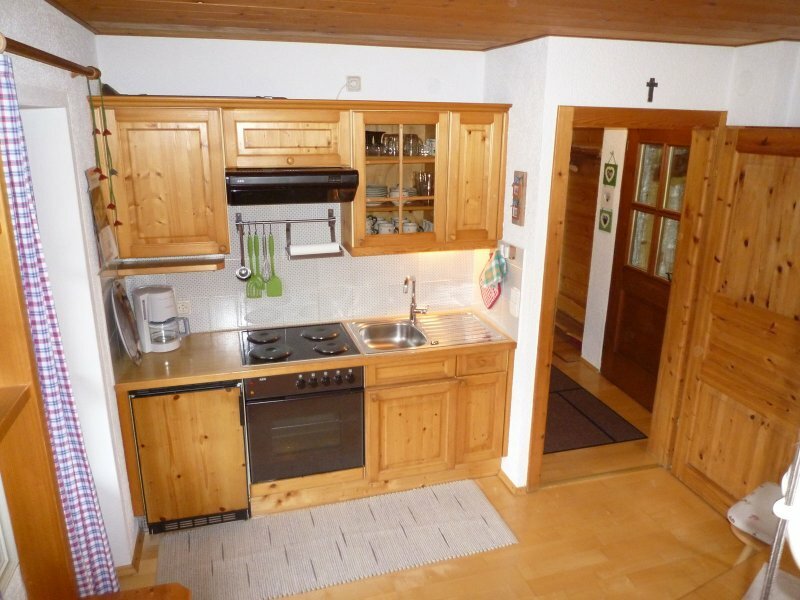 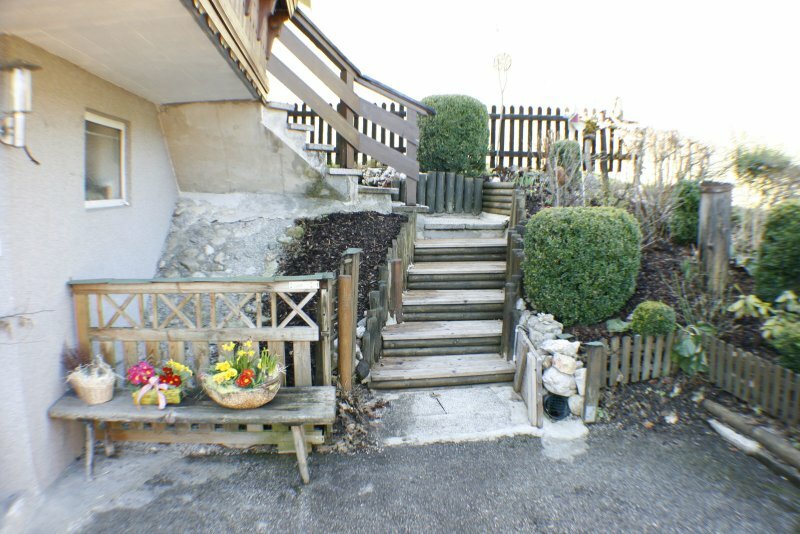 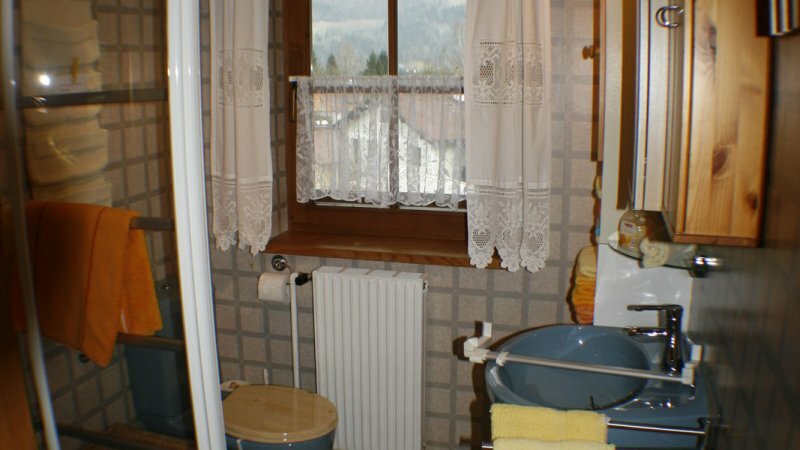 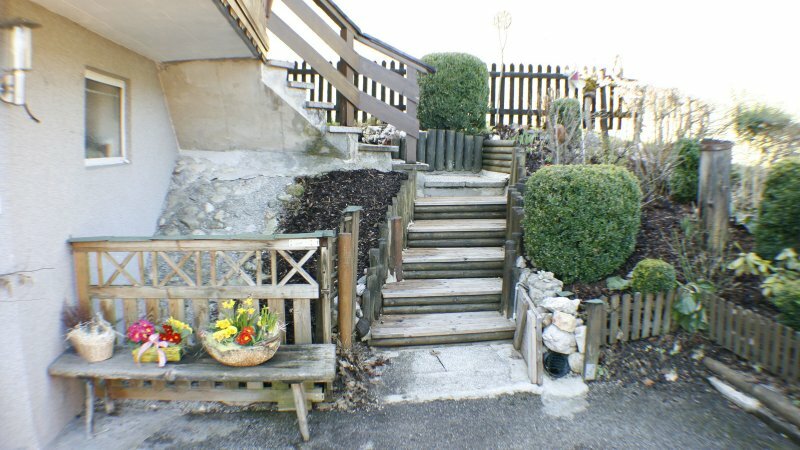 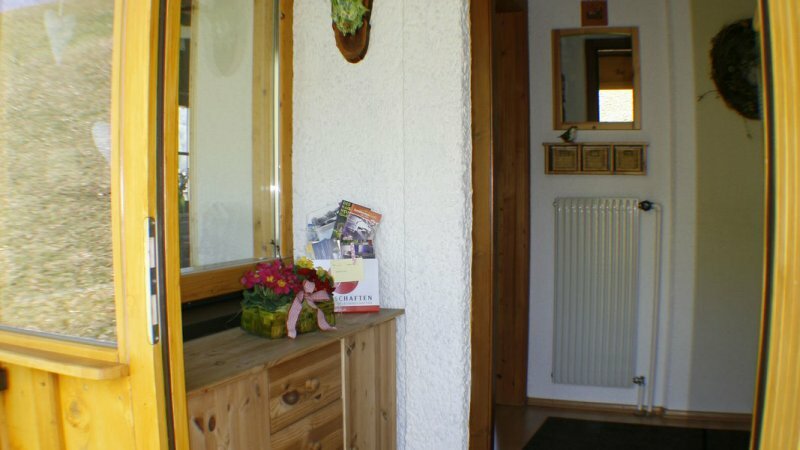 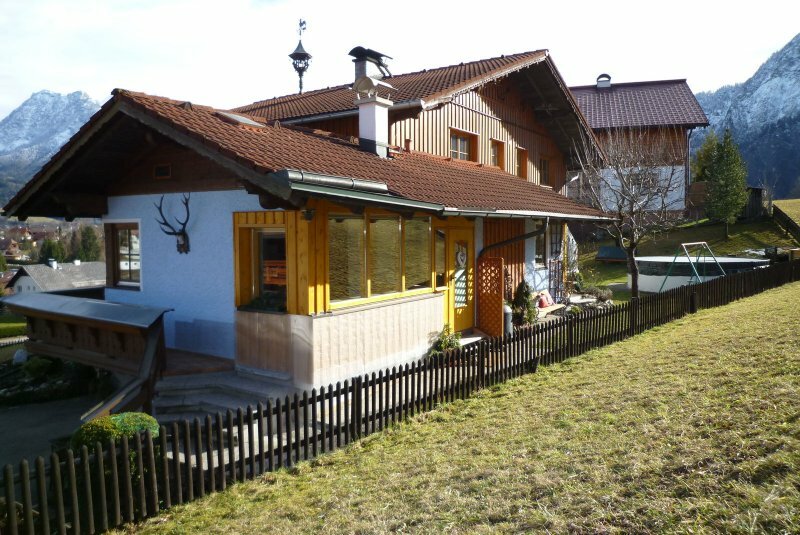 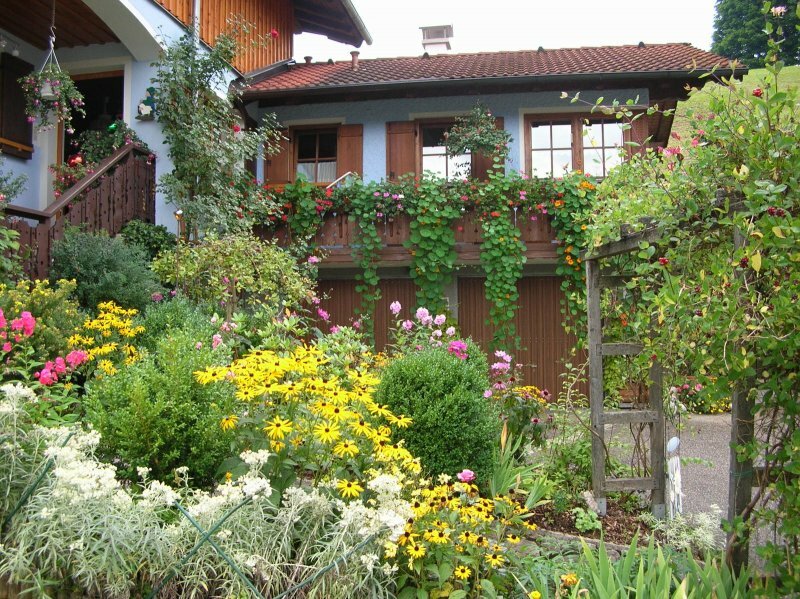 Helga Hummelbrunner's Holiday home Familie Hummelbrunner Gschwandt 126, 4822 Bad Goisern a. H.
"Holiday apartment and small holiday home with new conservatory".Apartments filled with the light and warmth of the sun. 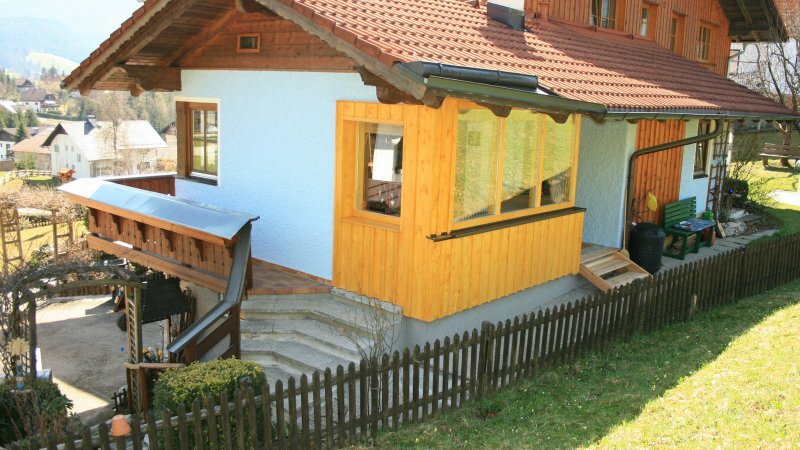 Bedrooms separate from the main living area, and top quality furnishings!Both apartments are fully furnished with wood, including the floors!Both apartments have balconies which benefit from the morning and evening sun. 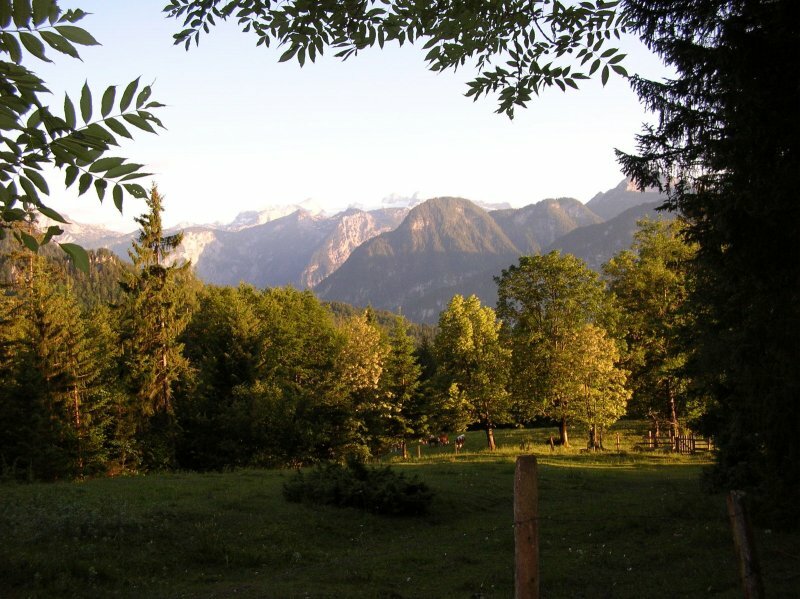 Stunning mountain views.In summer our guests have access to a swimming pool in the garden as well as sun loungers and a patio area suitable for barbecues. 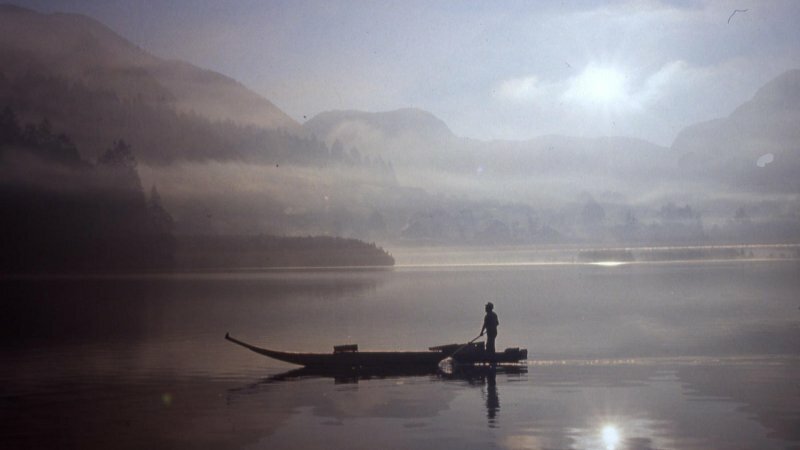 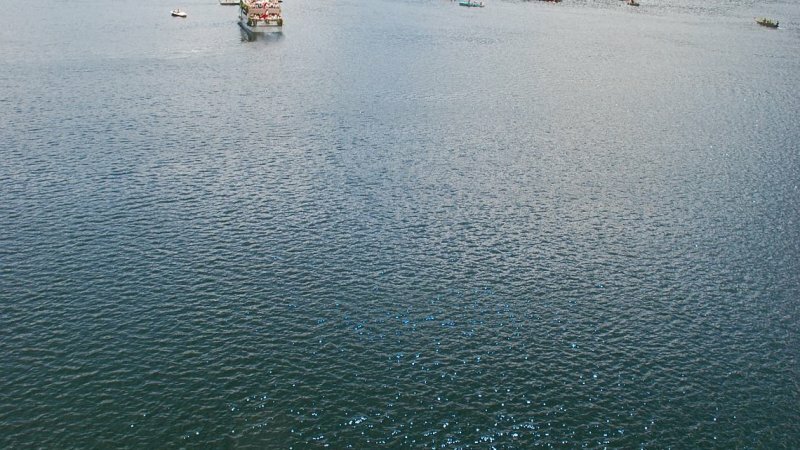 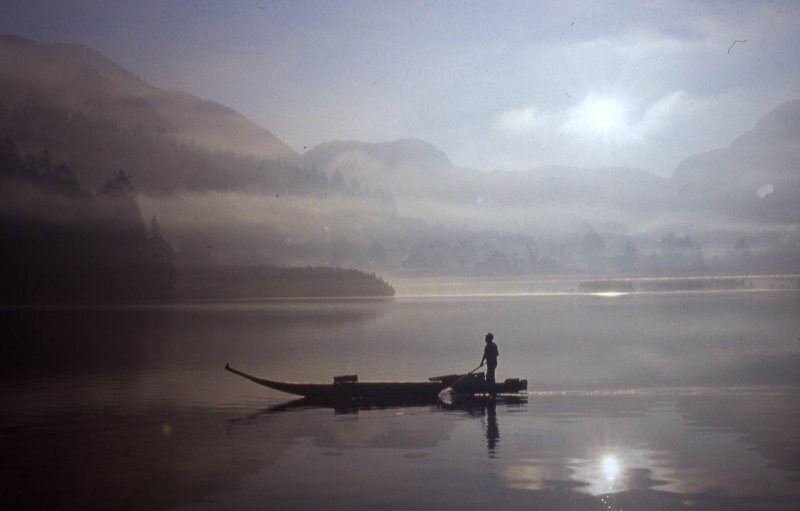 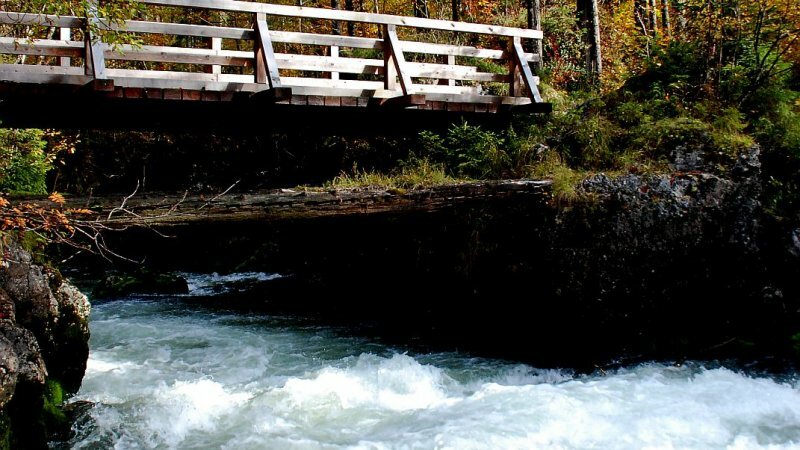 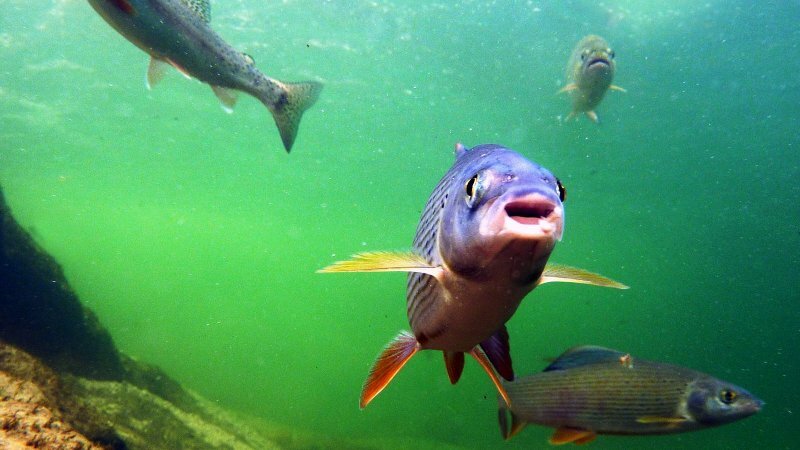 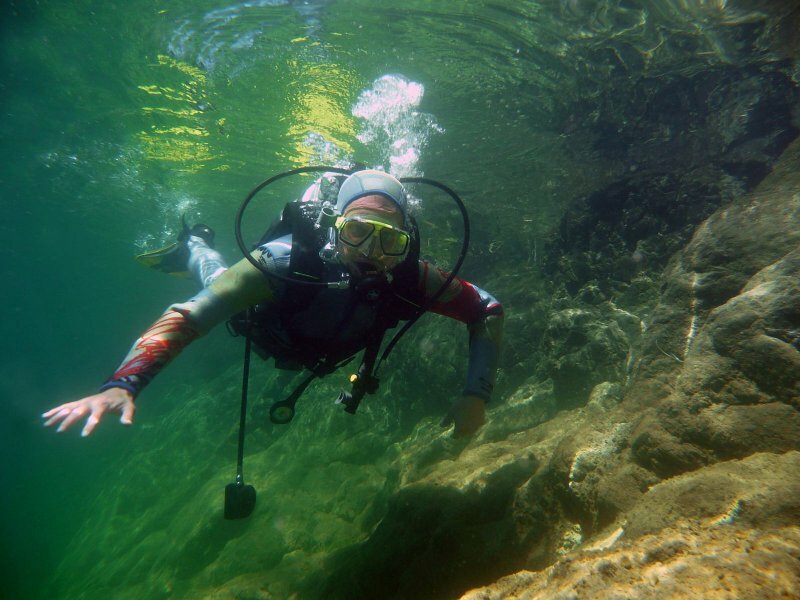 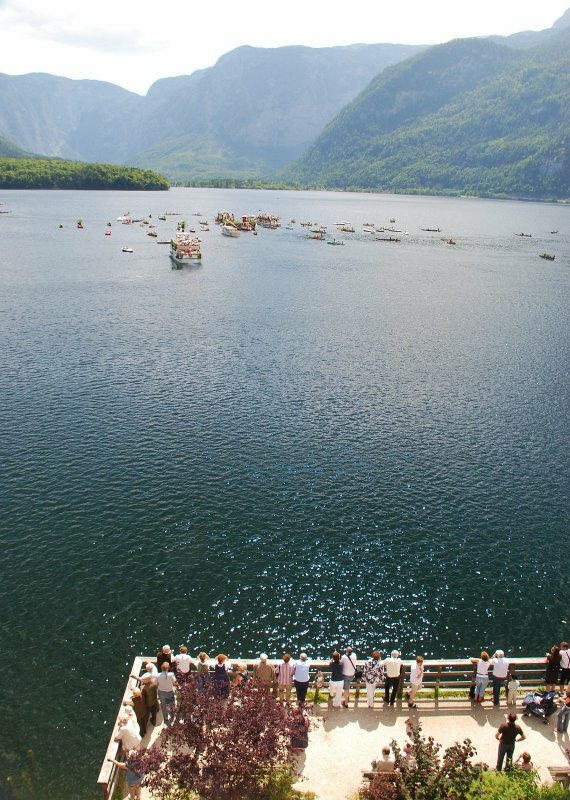 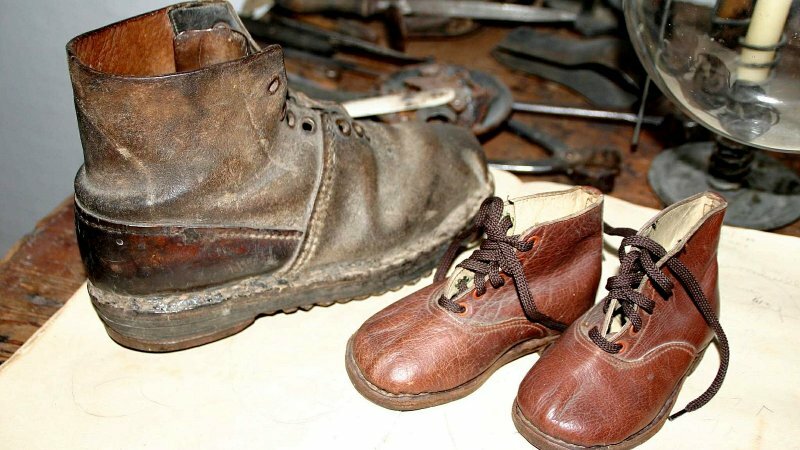 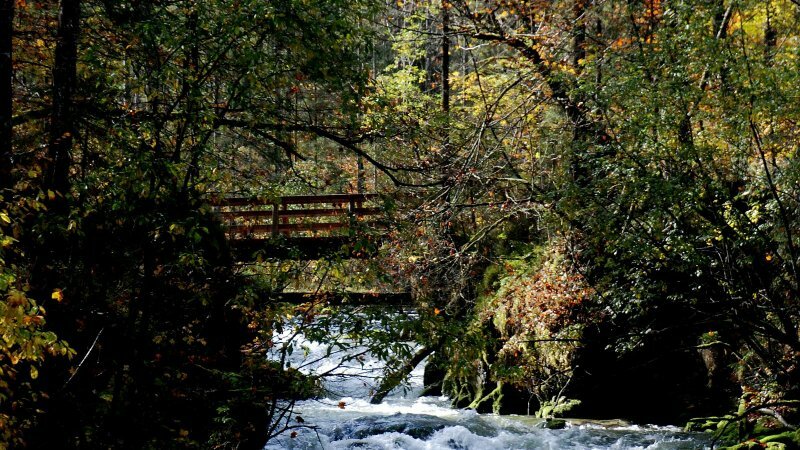 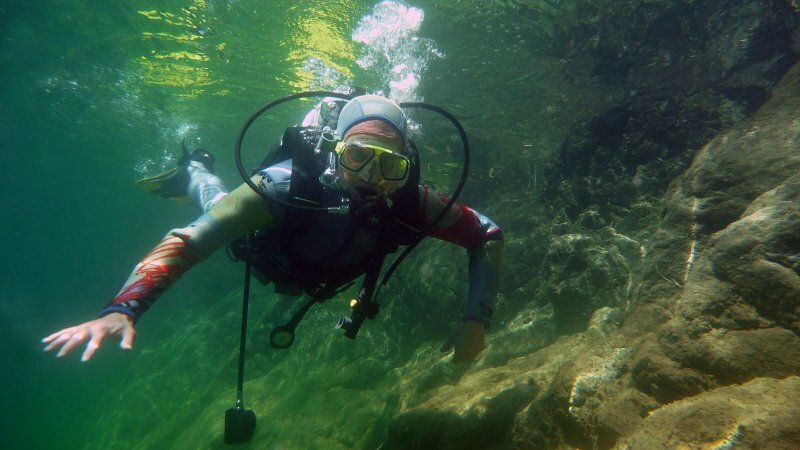 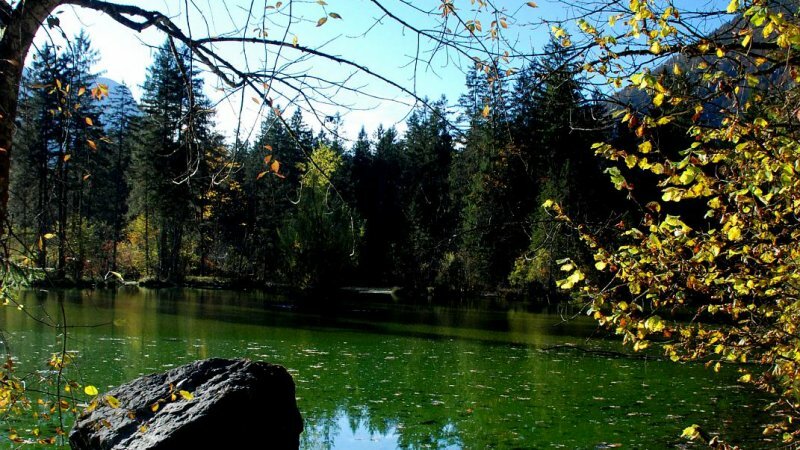 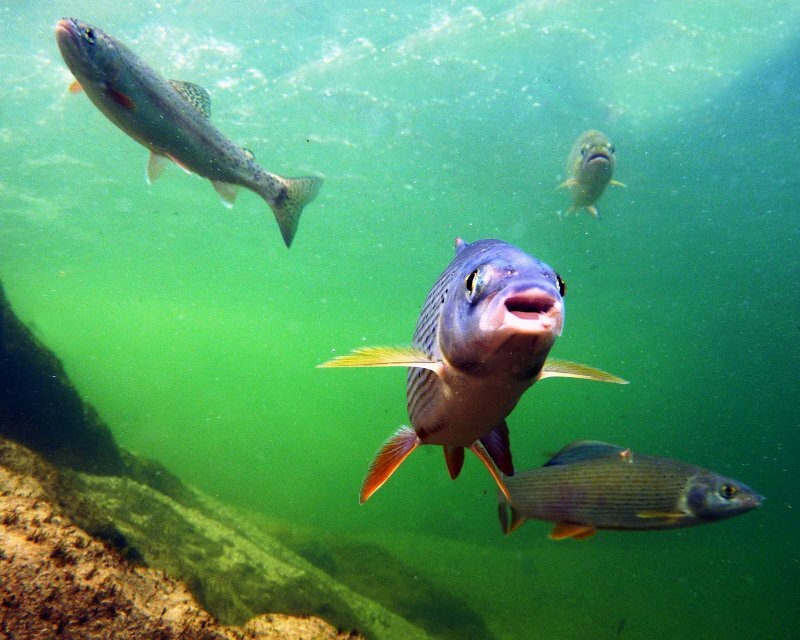 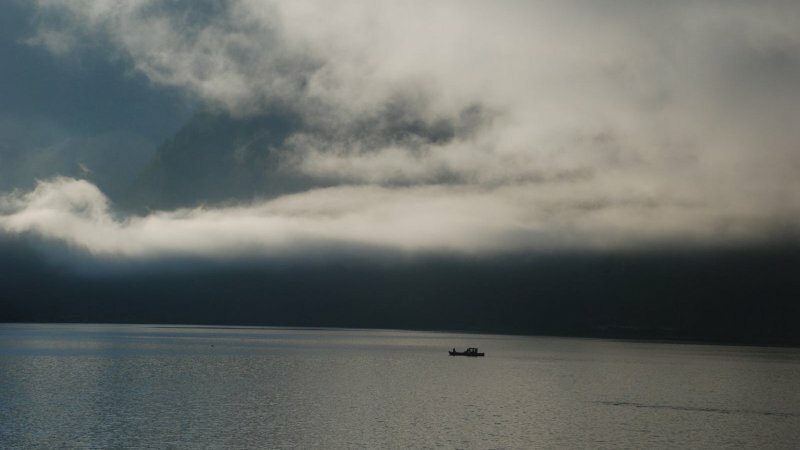 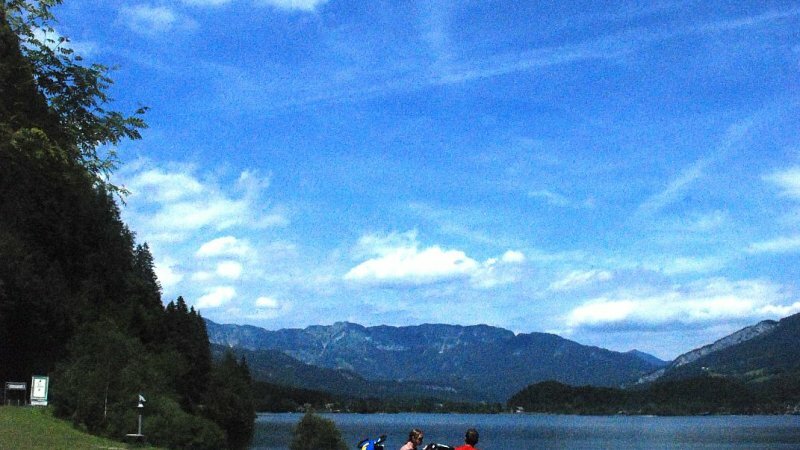 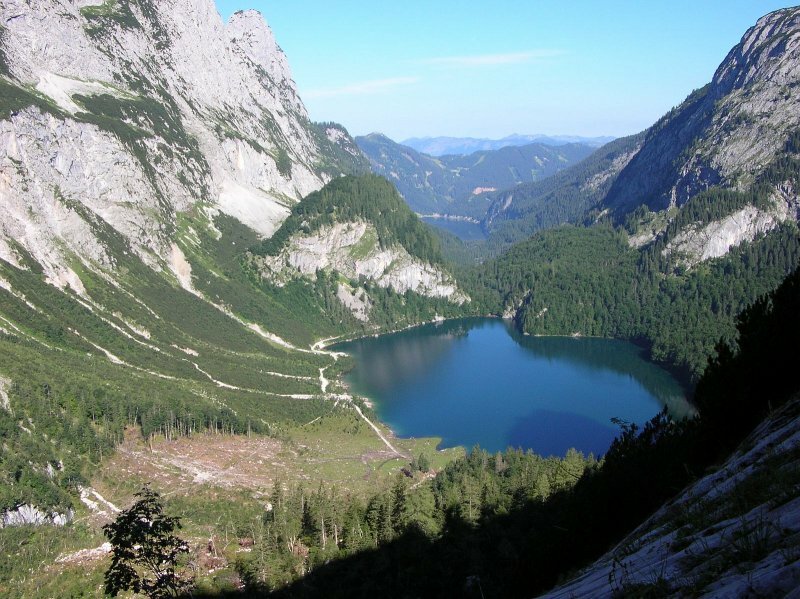 Nearby are numerous places of local, cultural interest, and there are endless opportunities for hiking, as well as lakes suitable for swimming to make for that perfect holiday. 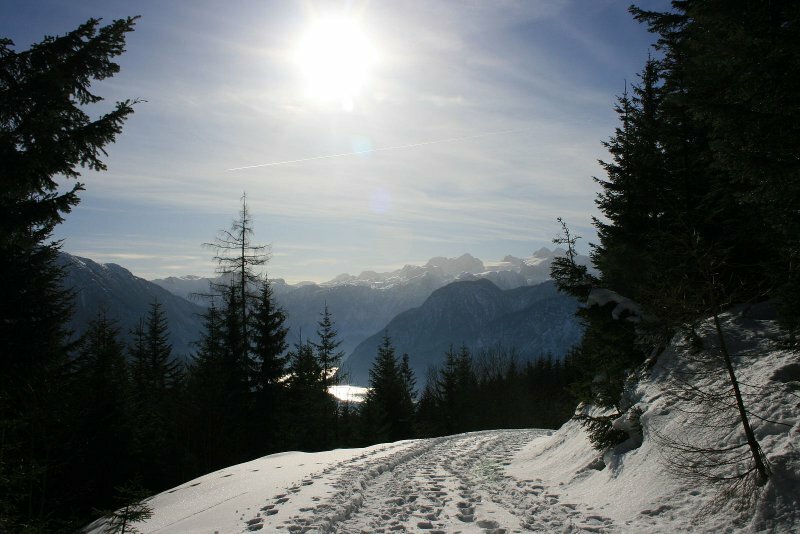 There is lots on offer in winter too with 140 km of perfectly prepared pistes in the Dachstein West Ski Region. 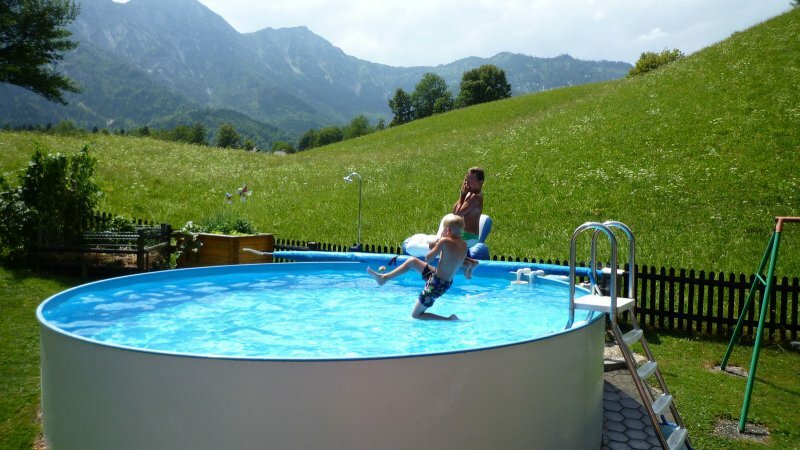 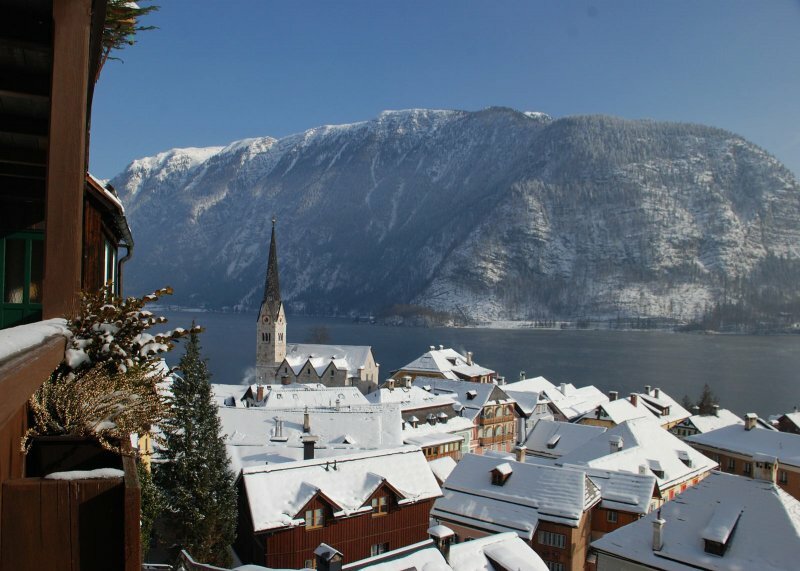 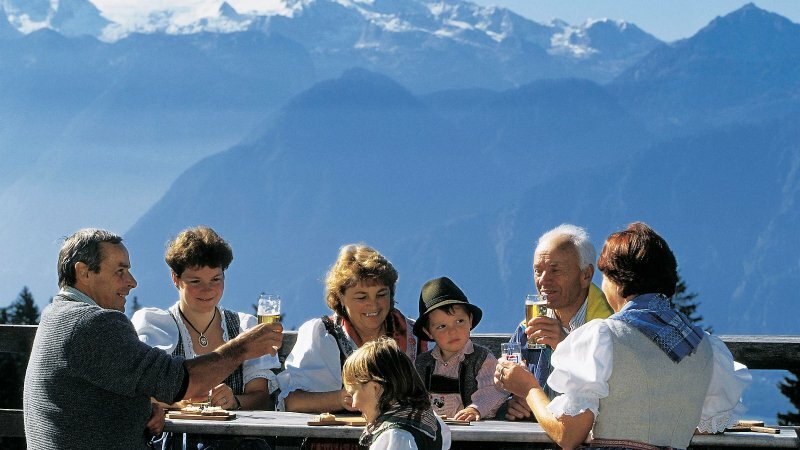 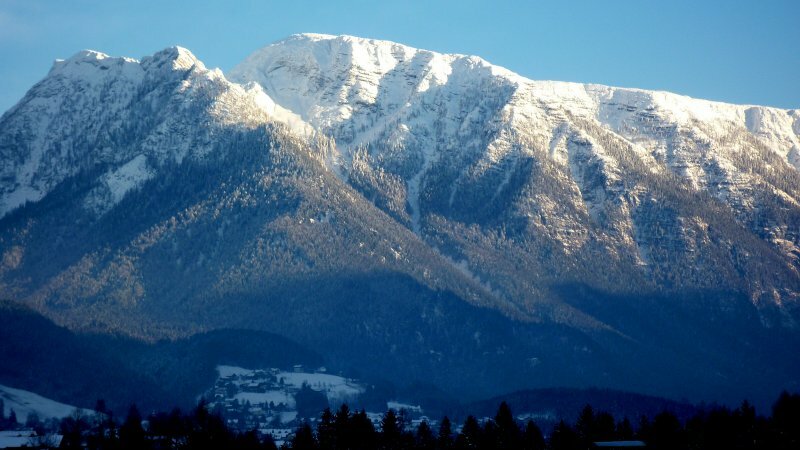 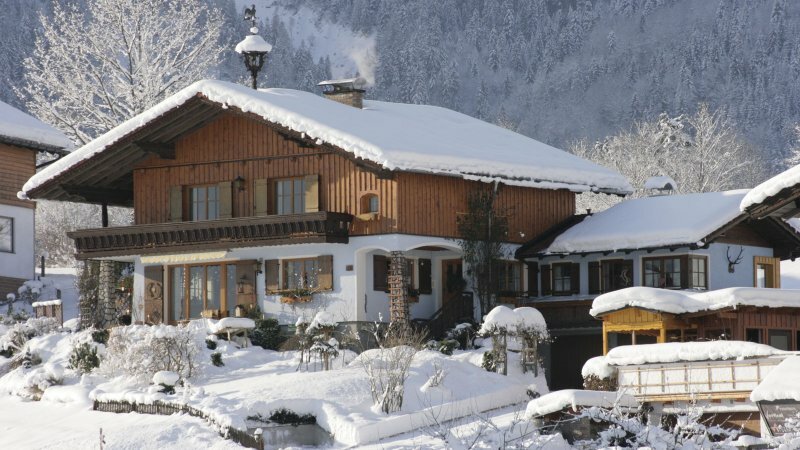 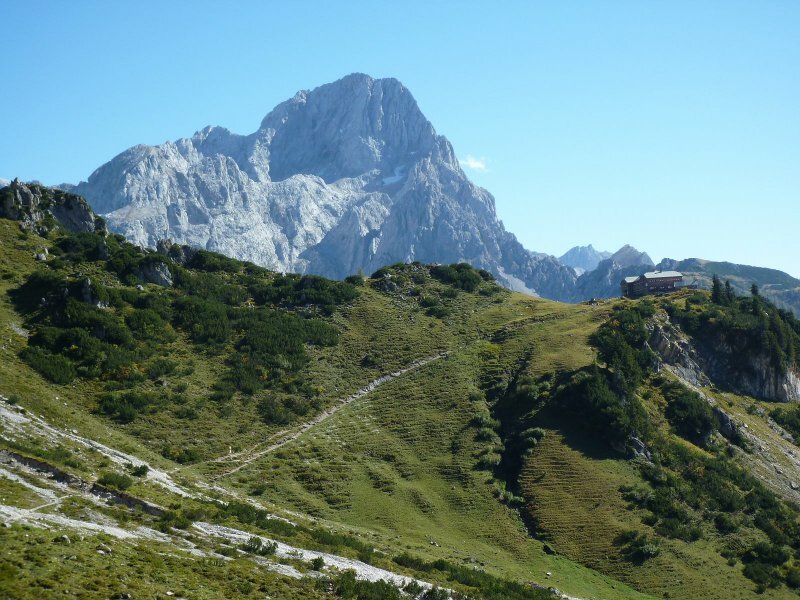 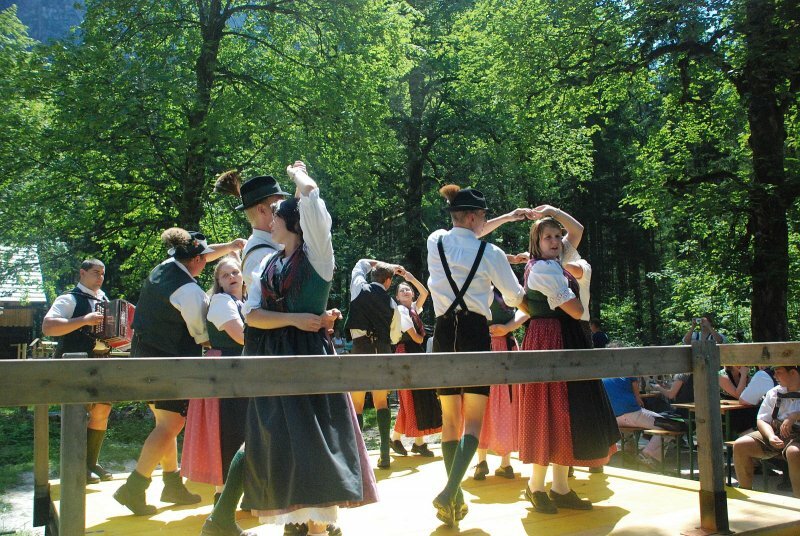 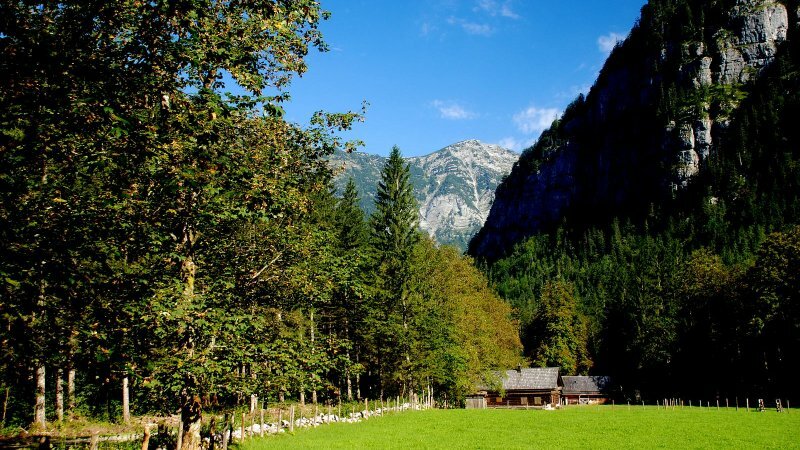 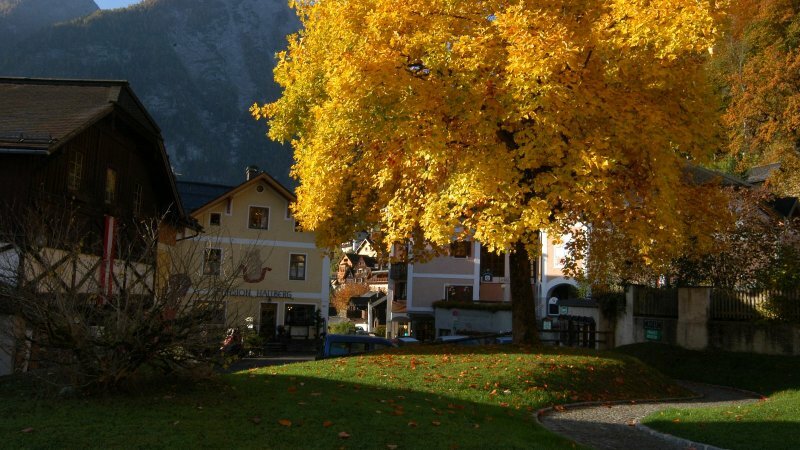 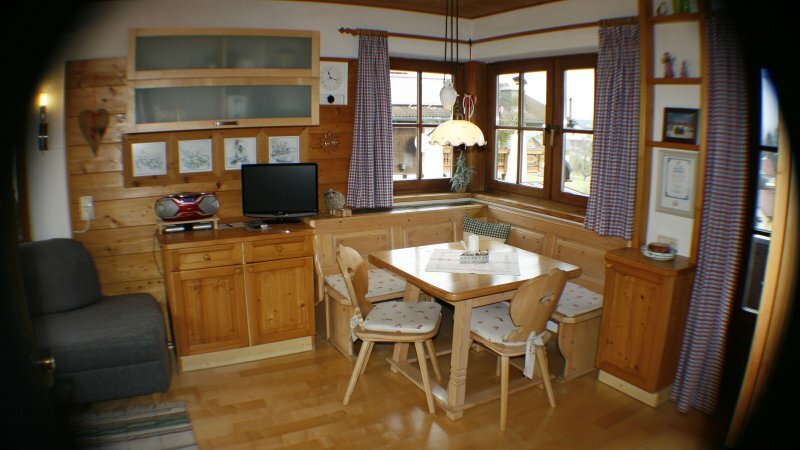 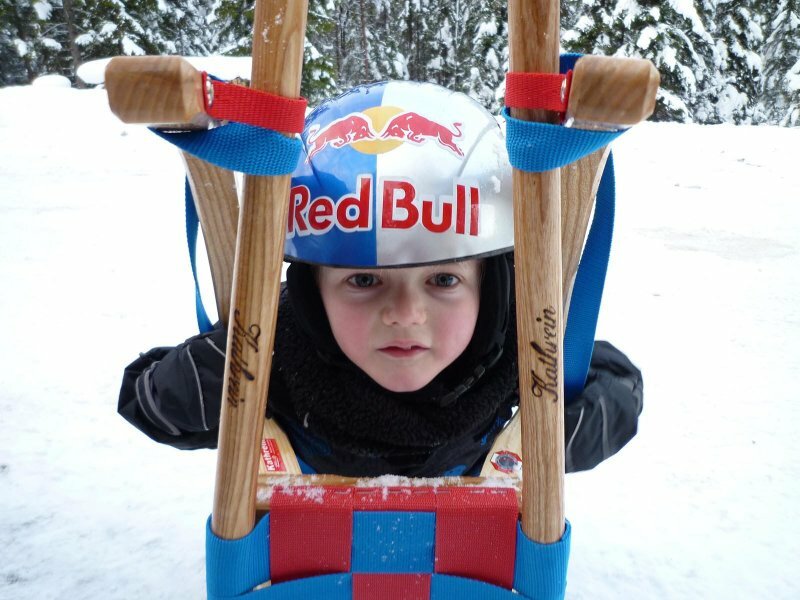 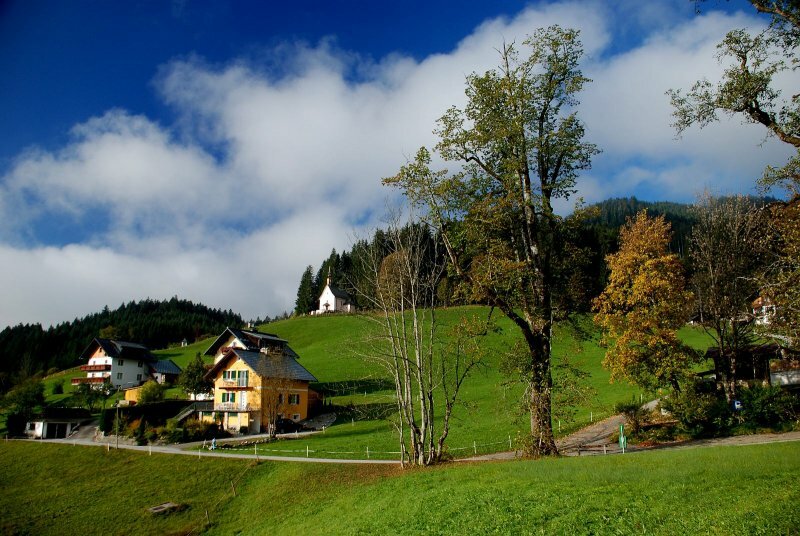 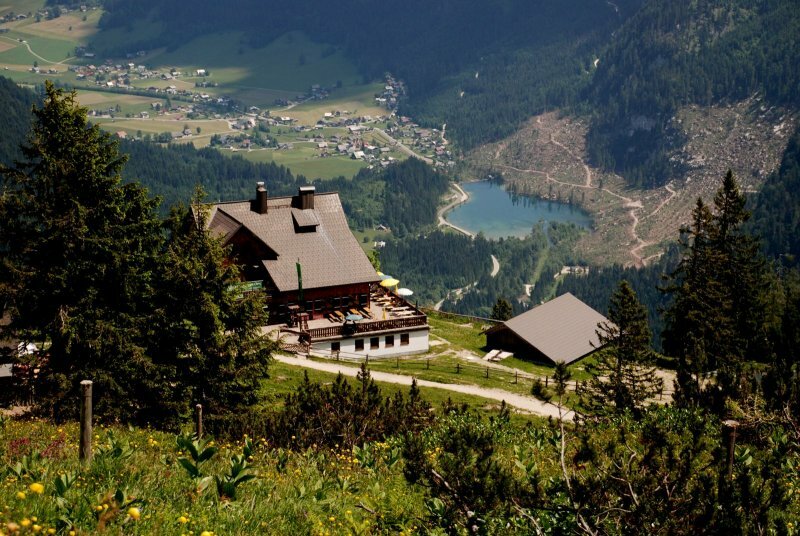 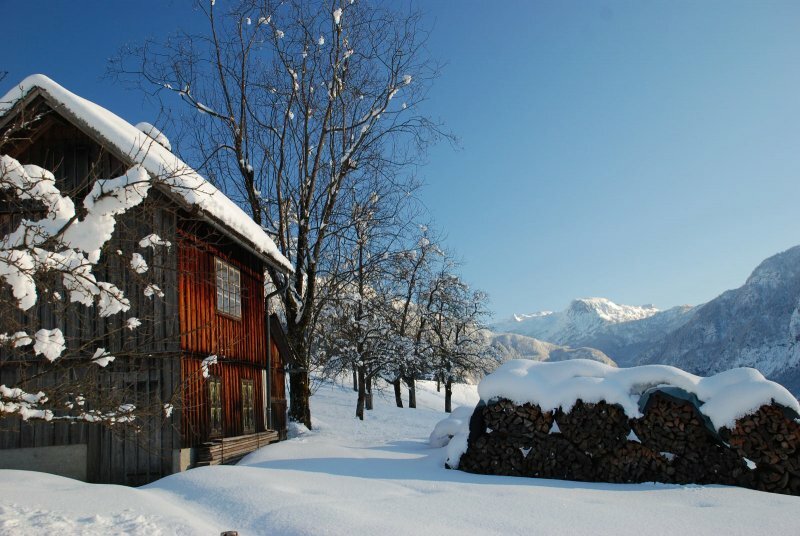 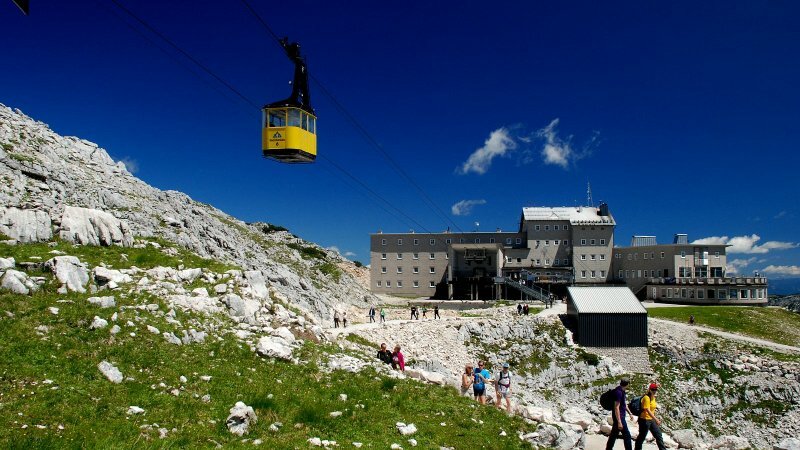 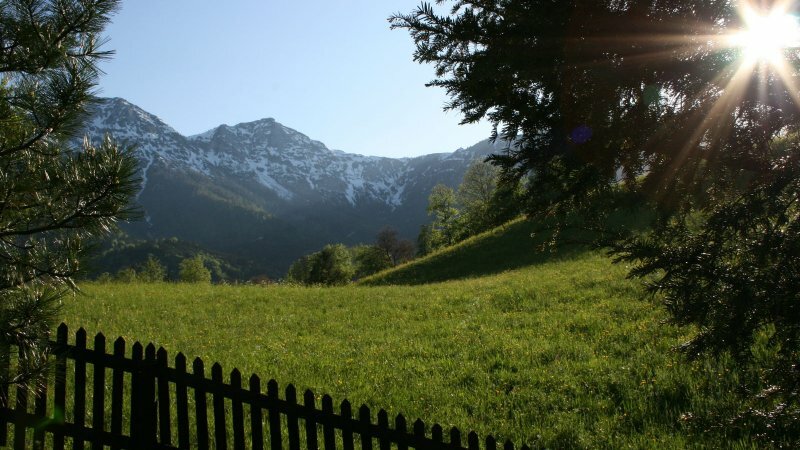 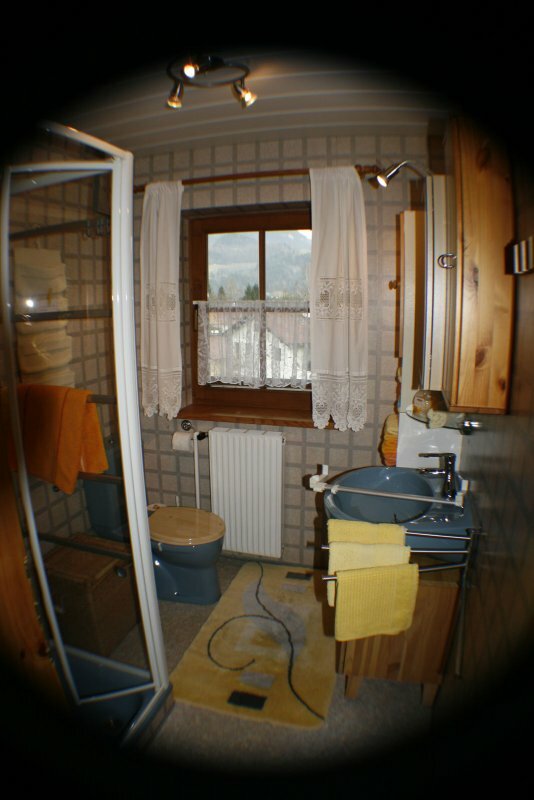 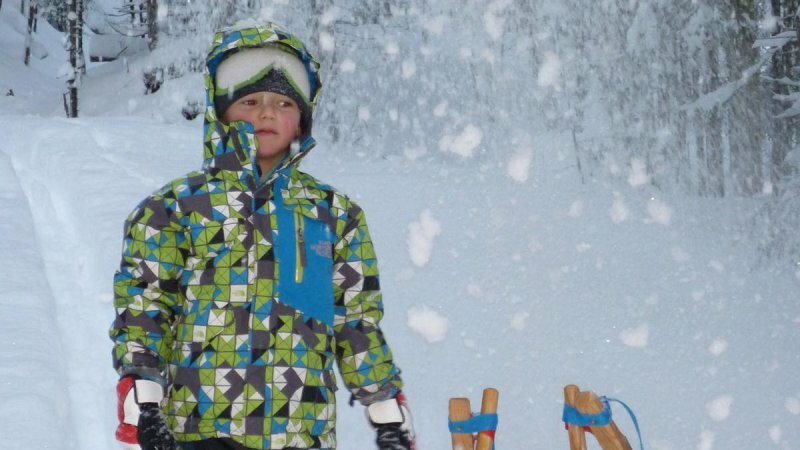 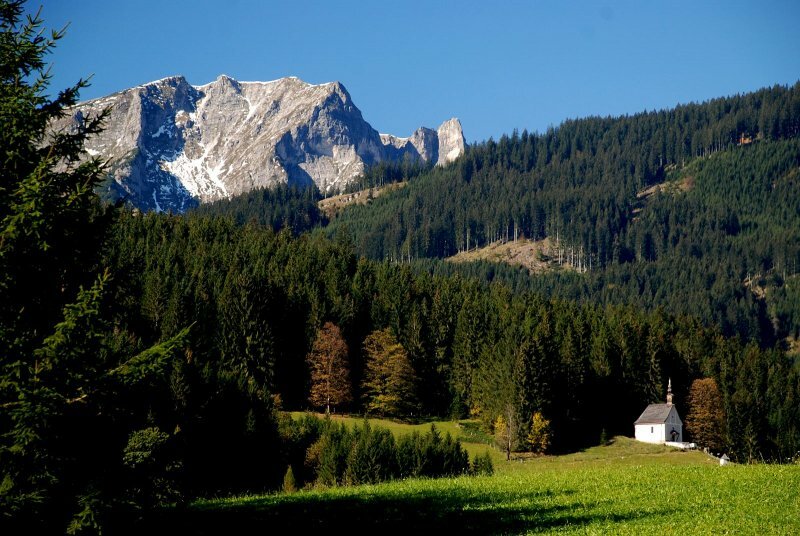 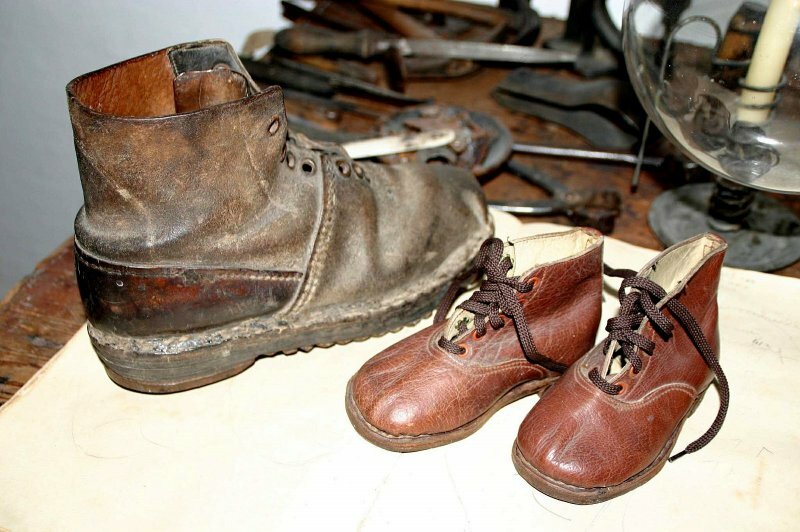 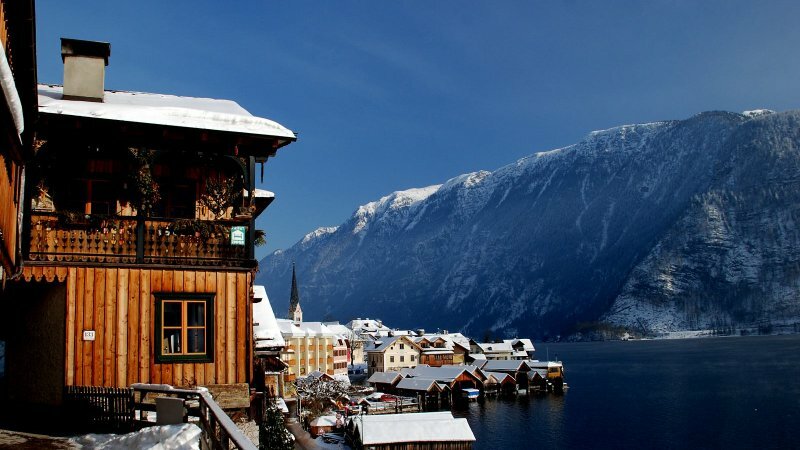 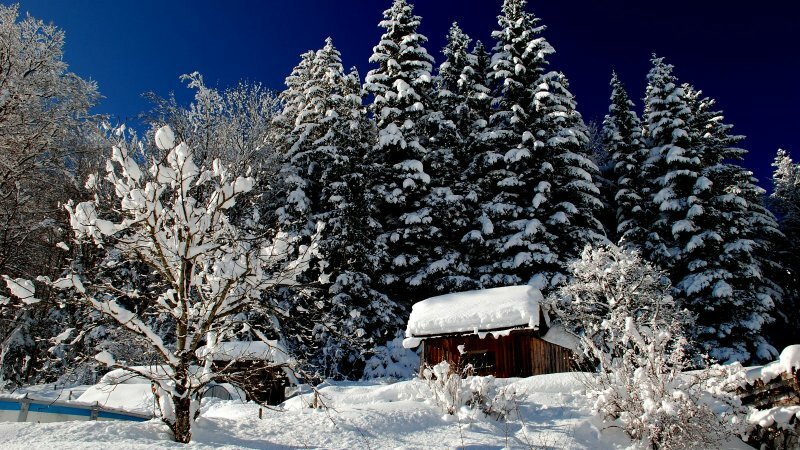 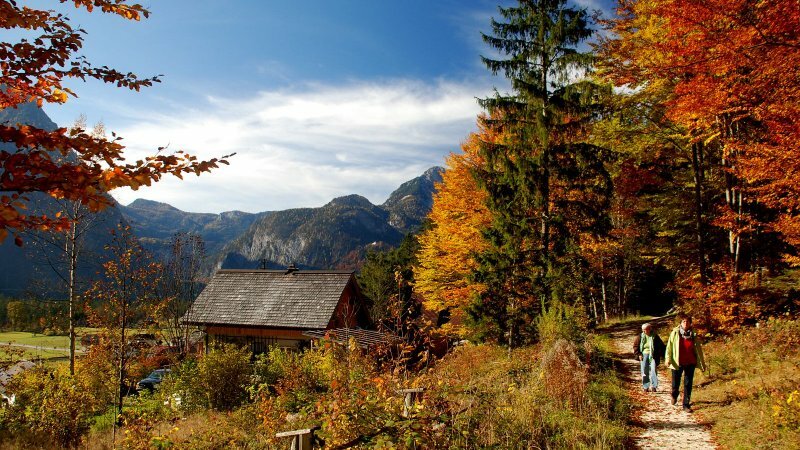 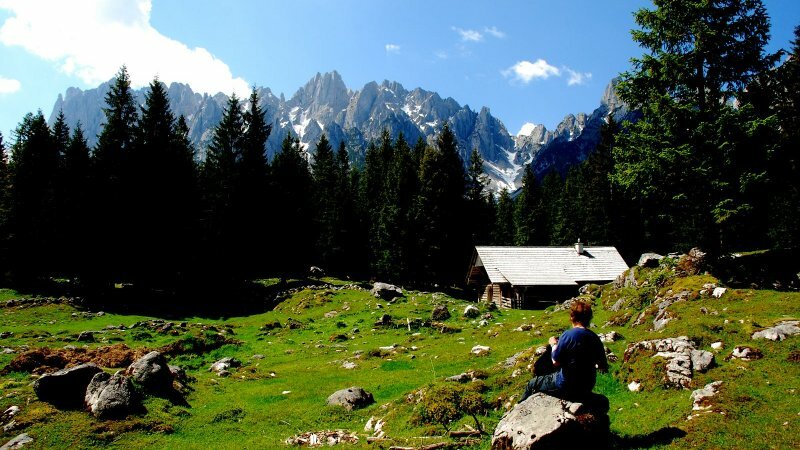 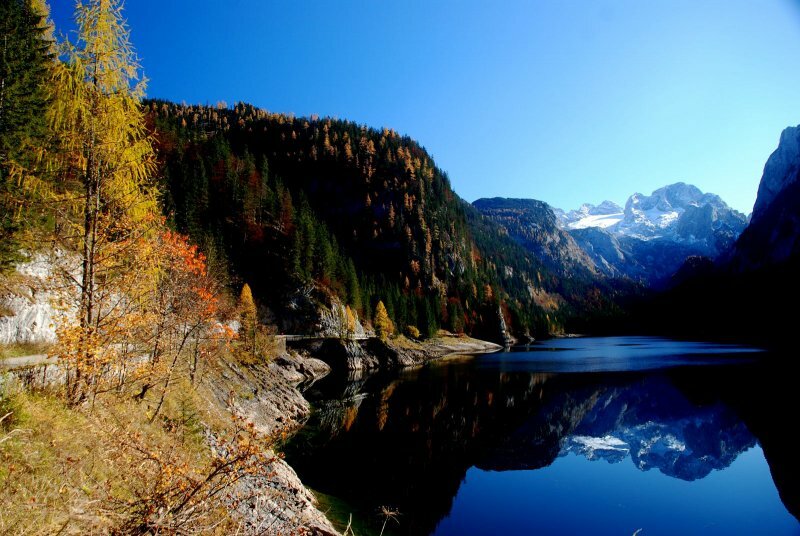 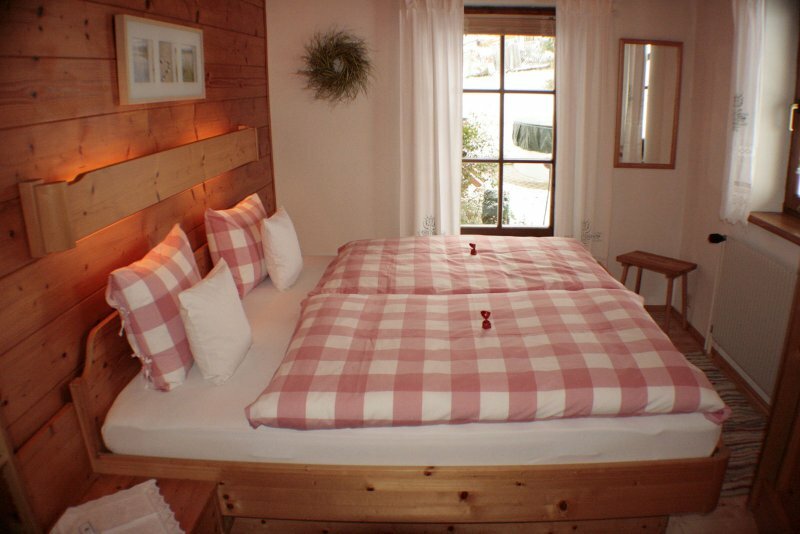 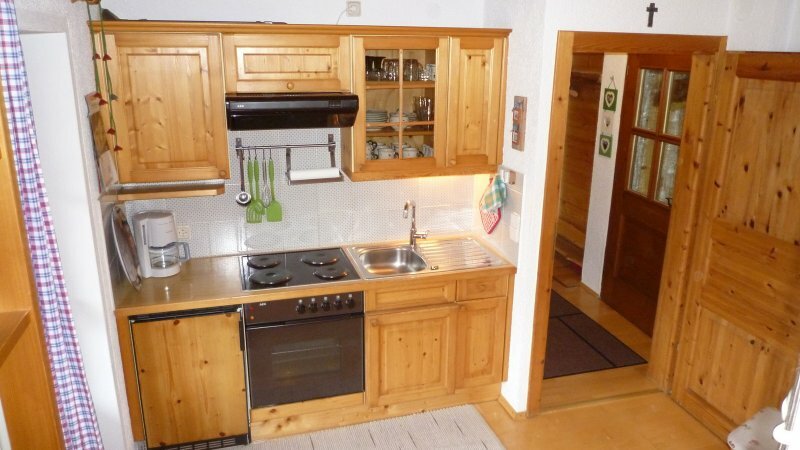 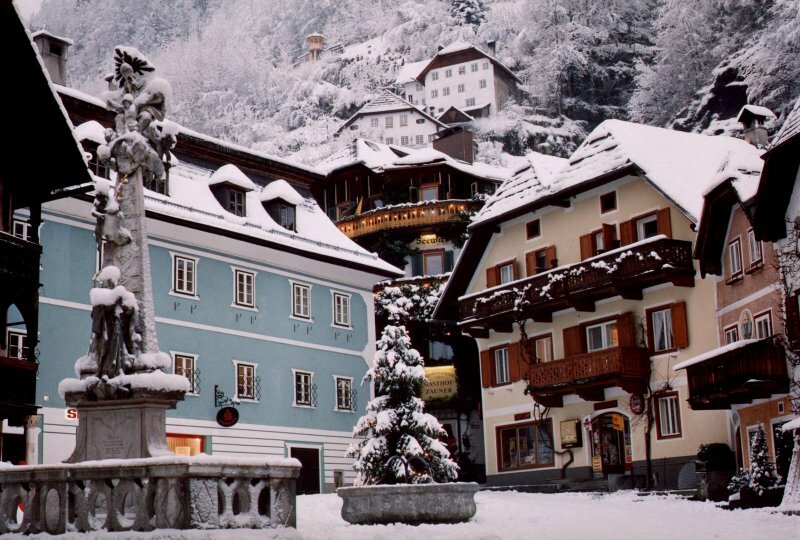 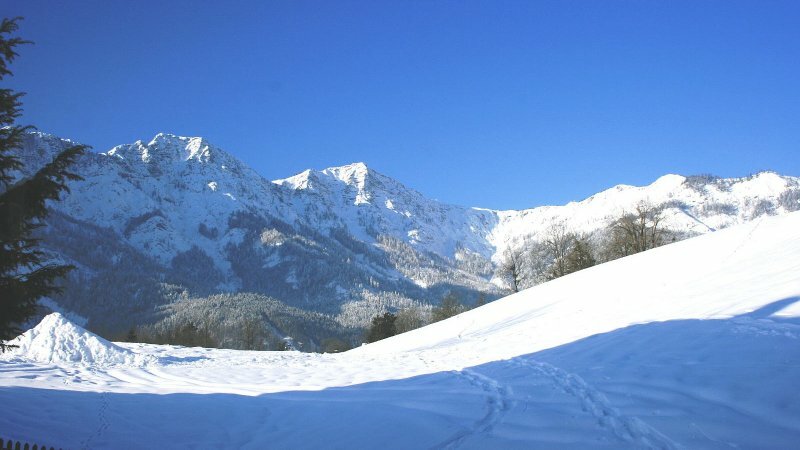 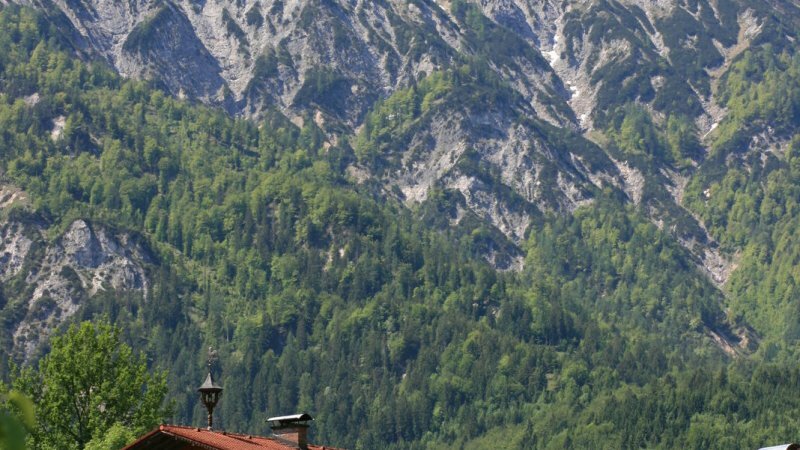 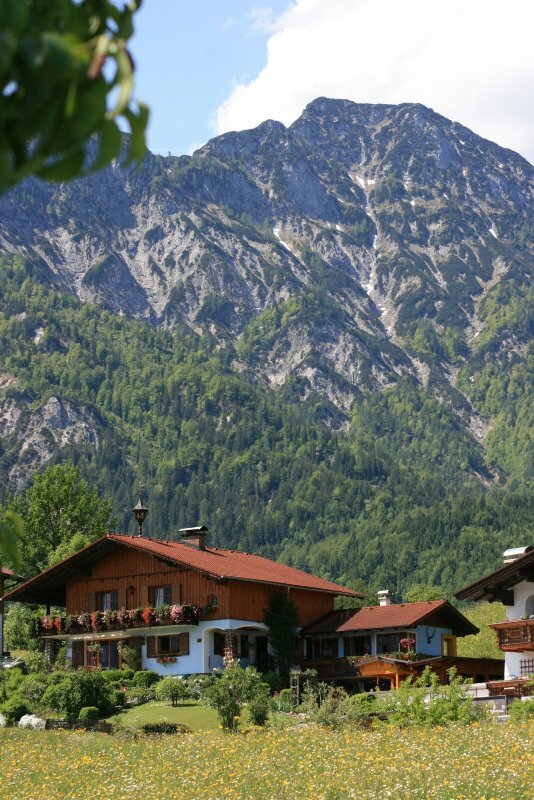 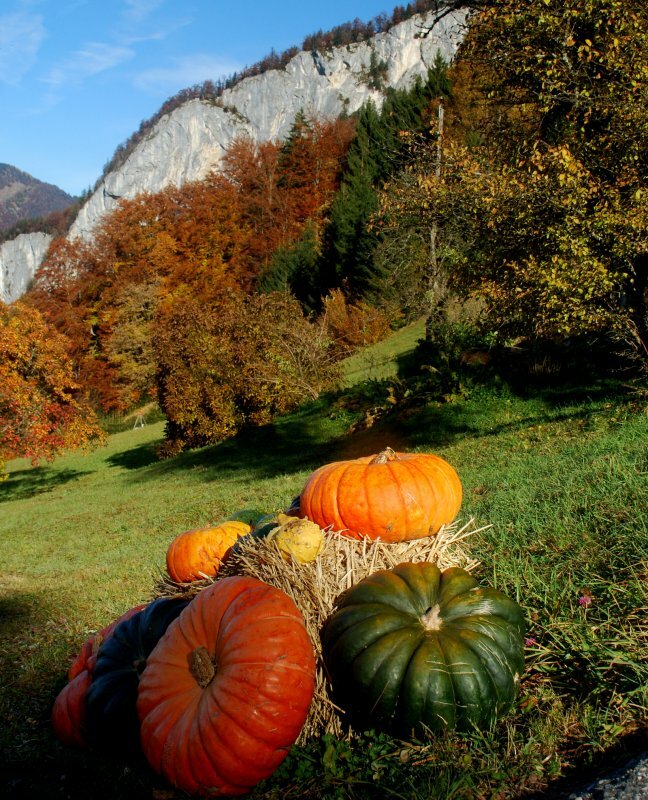 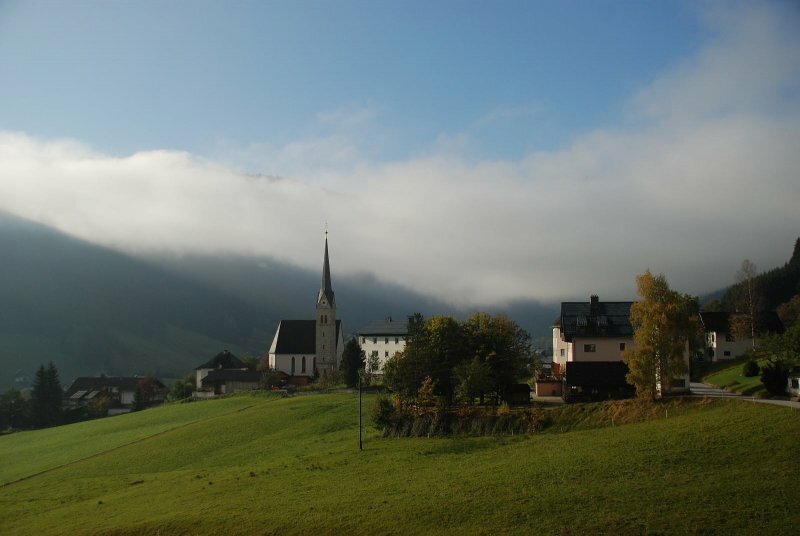 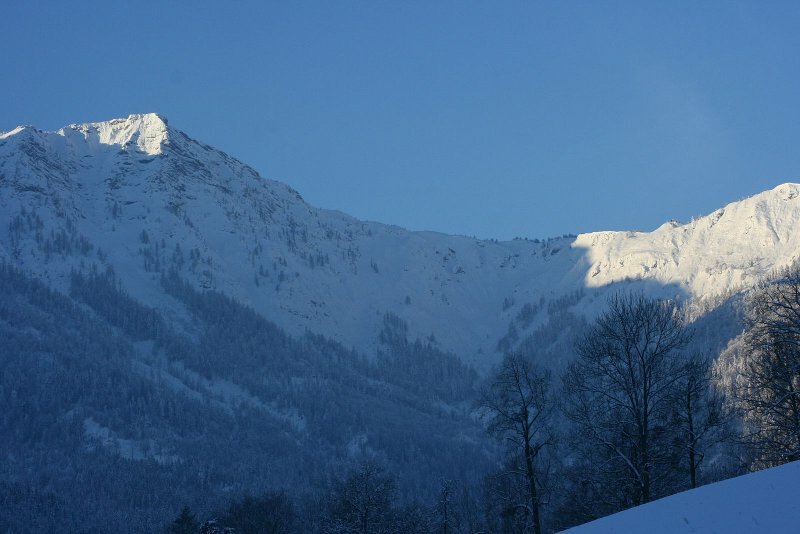 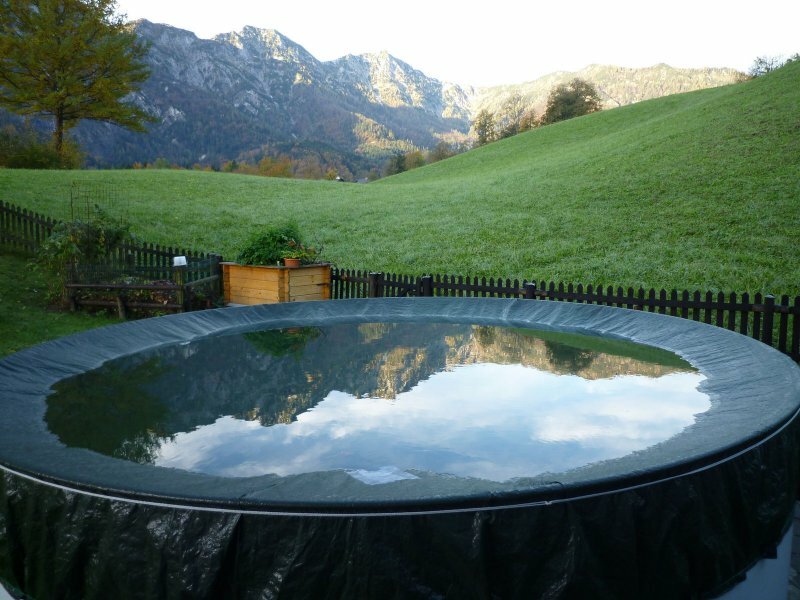 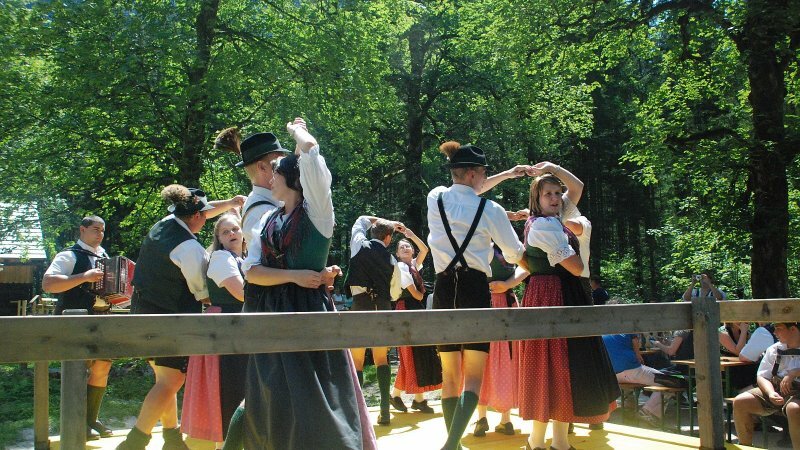 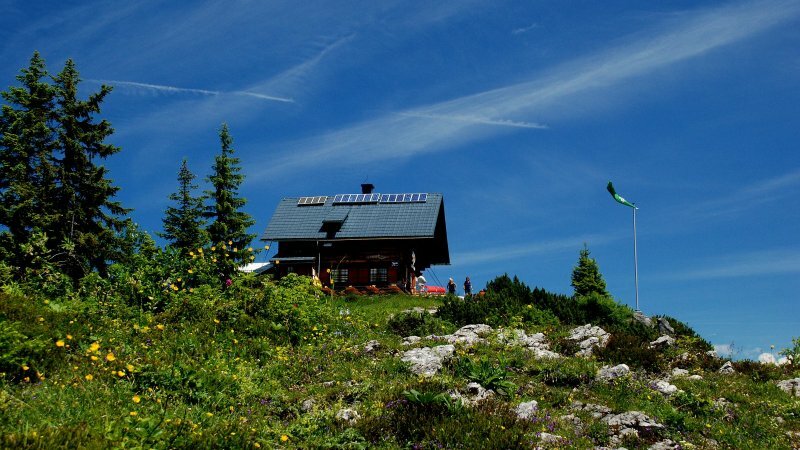 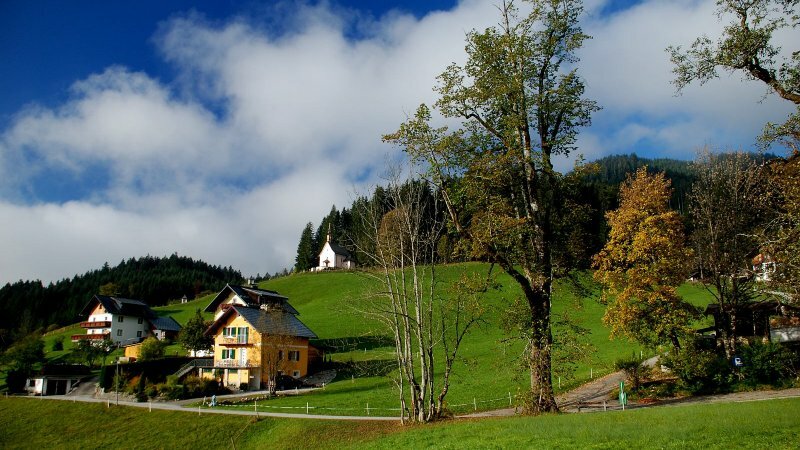 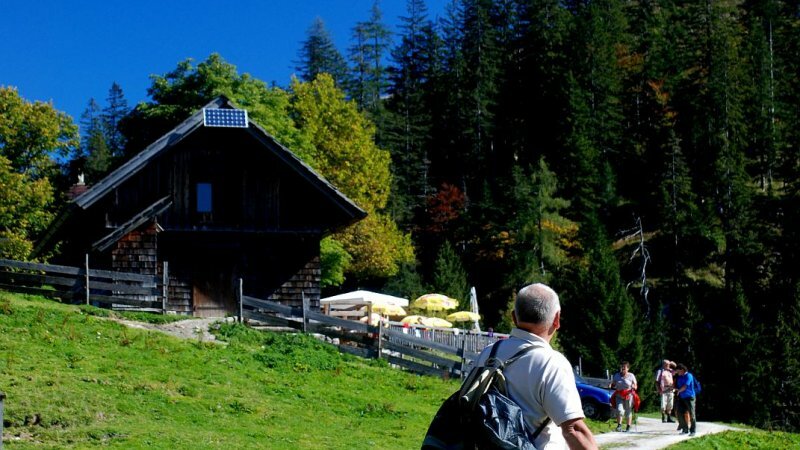 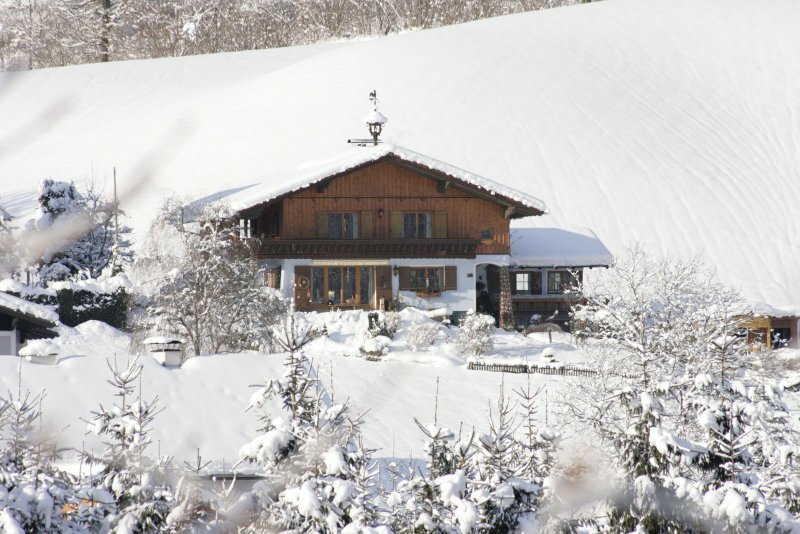 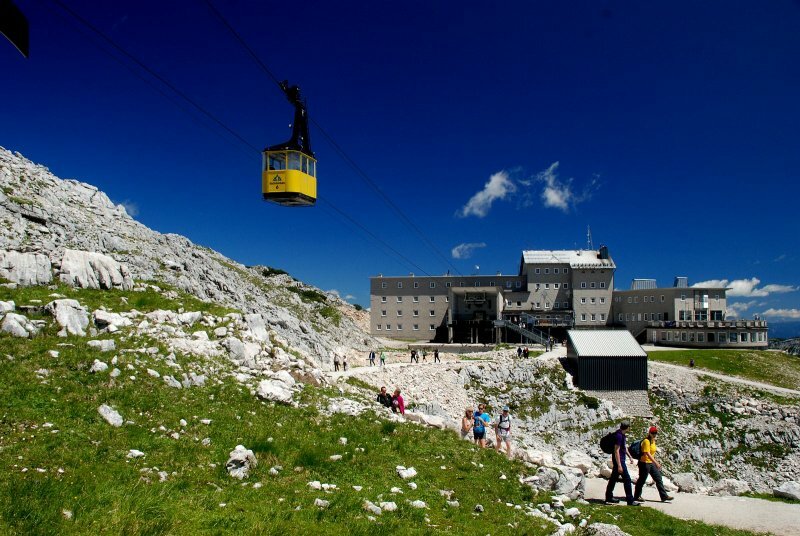 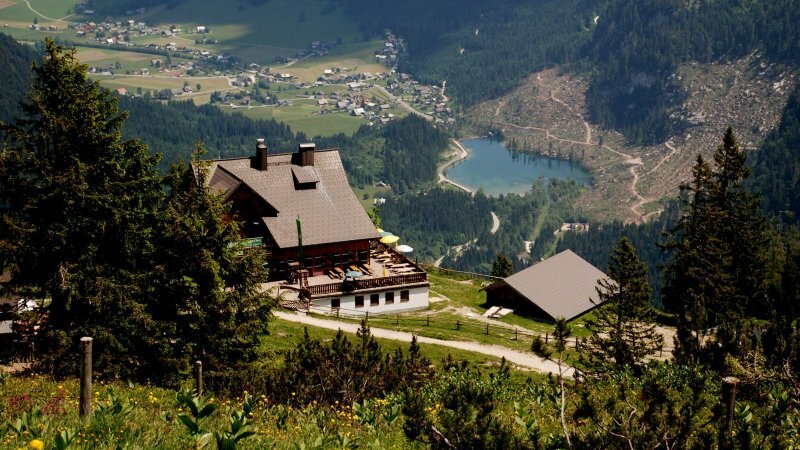 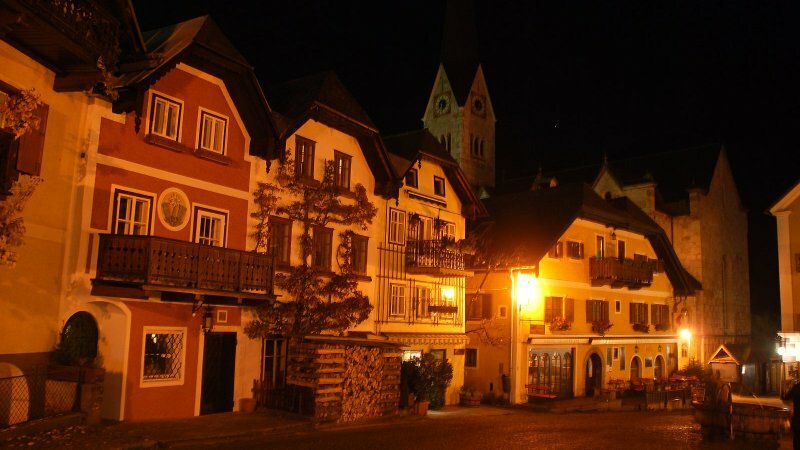 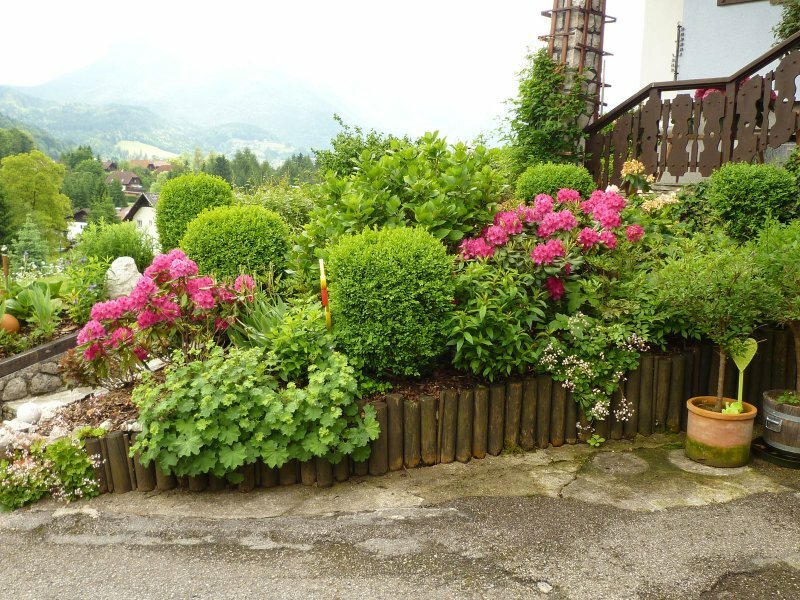 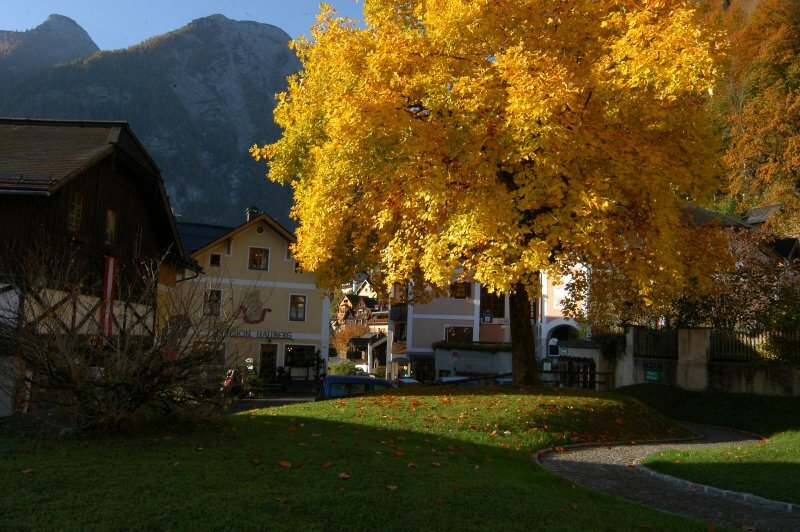 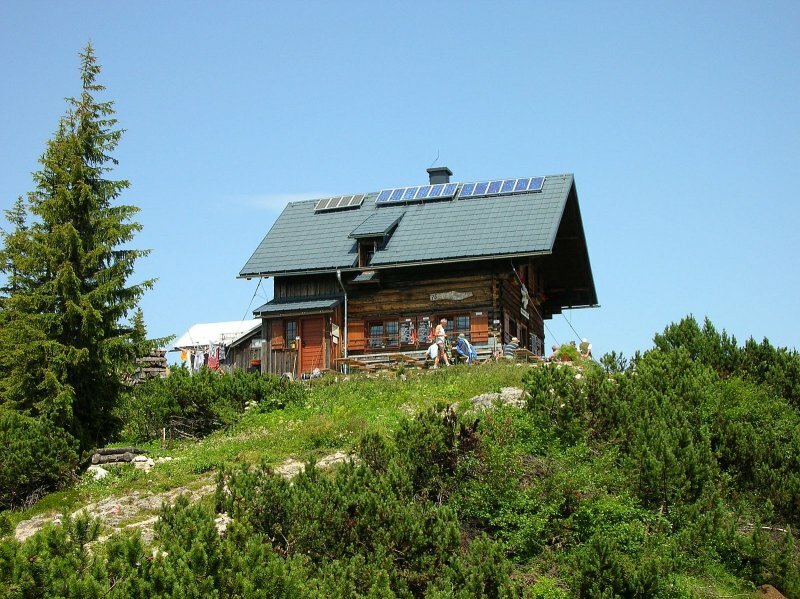 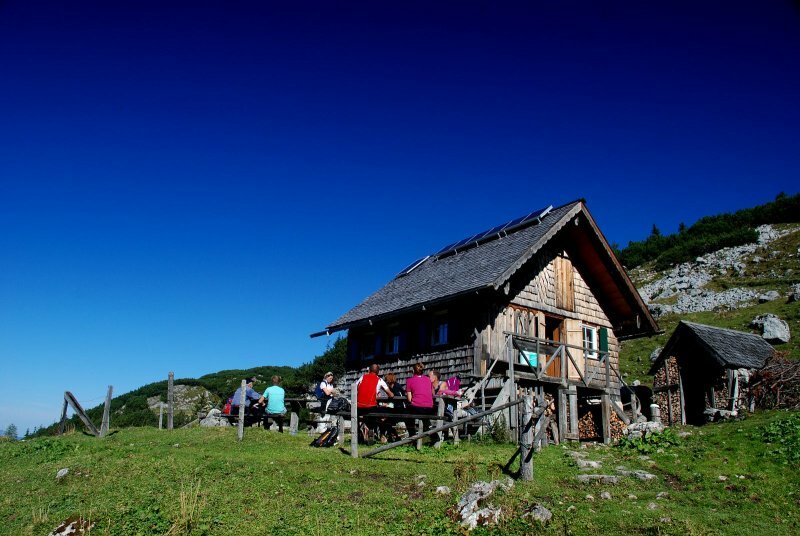 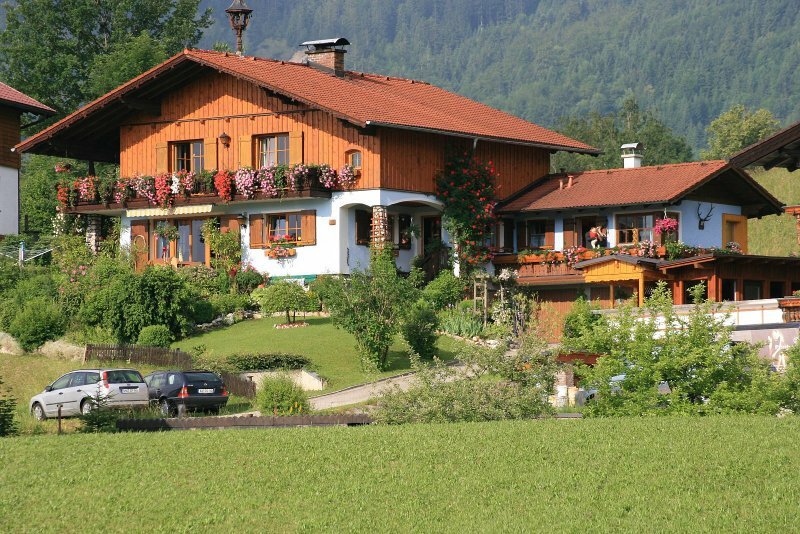 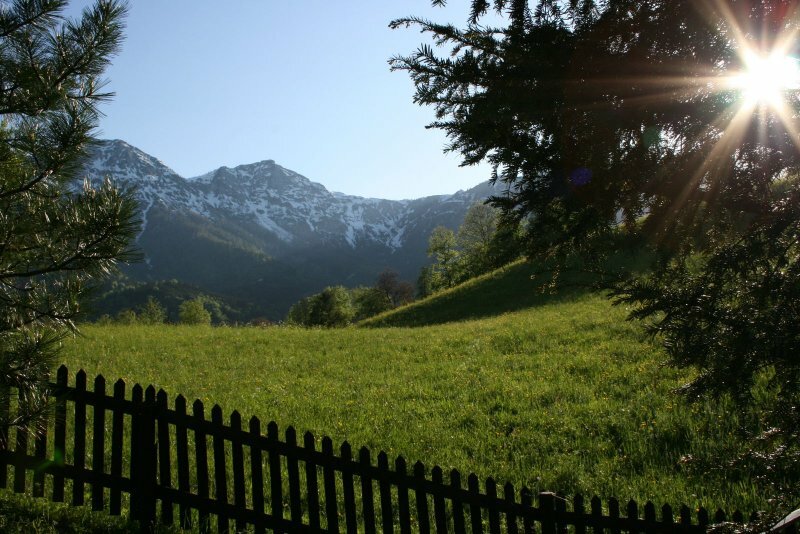 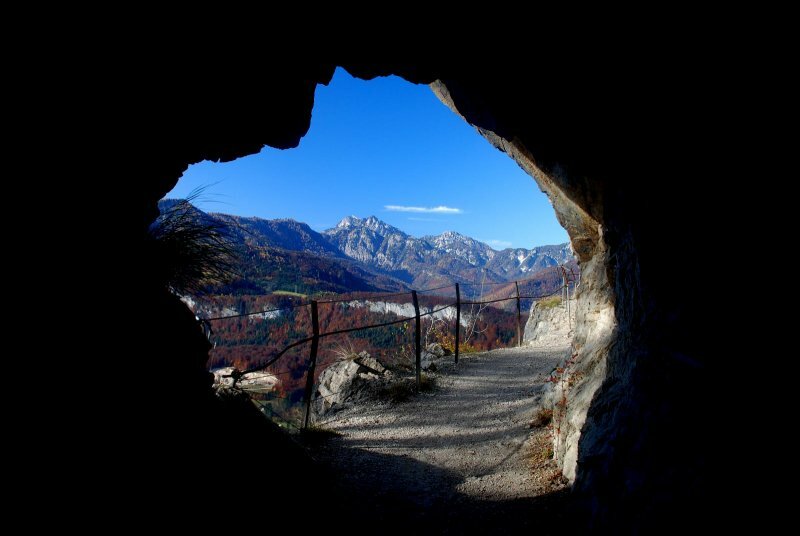 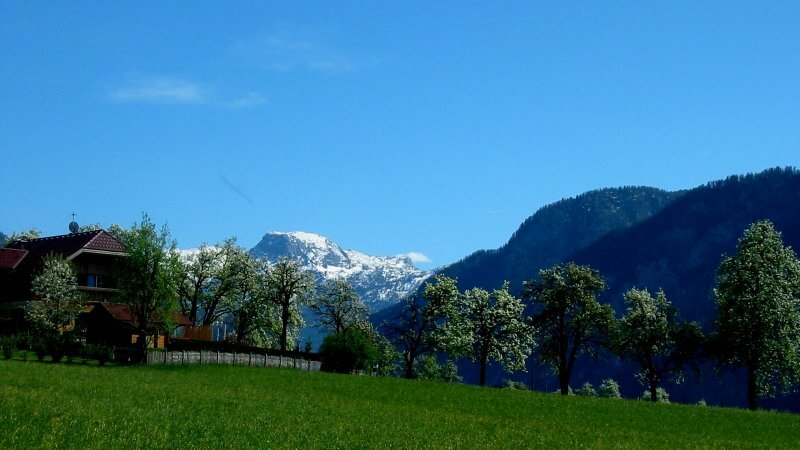 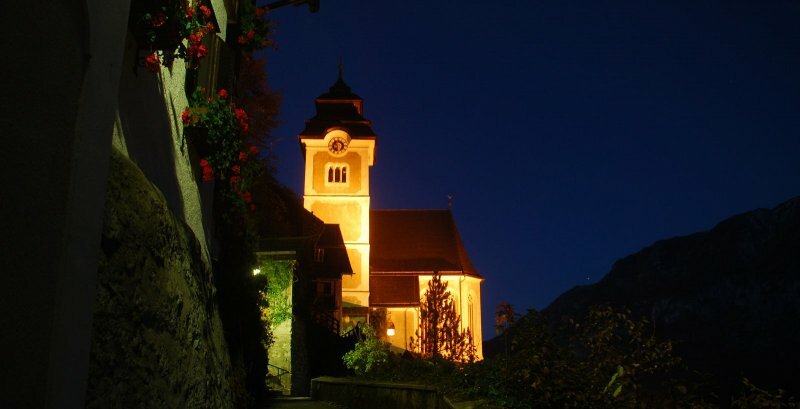 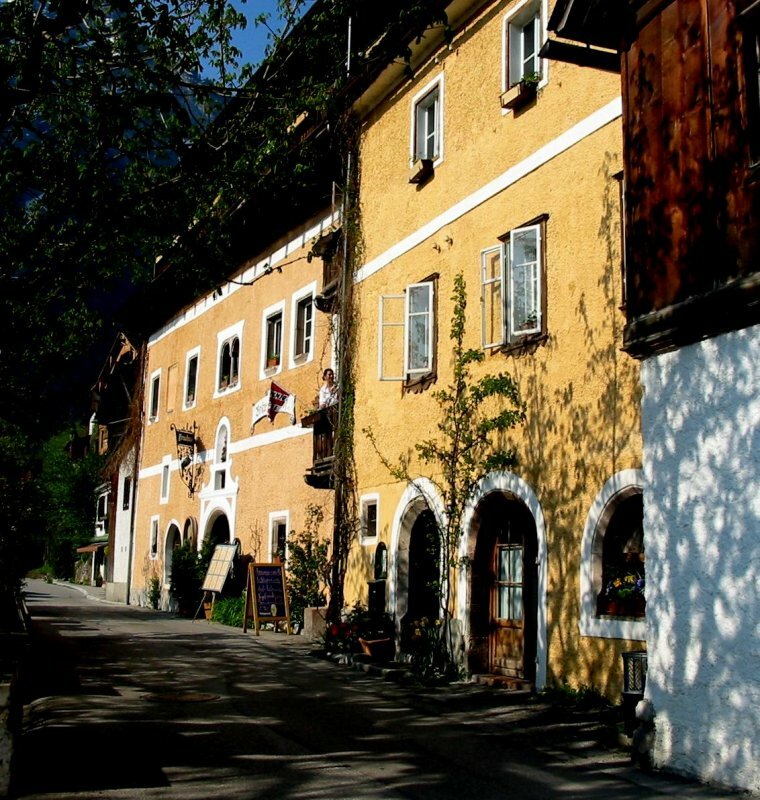 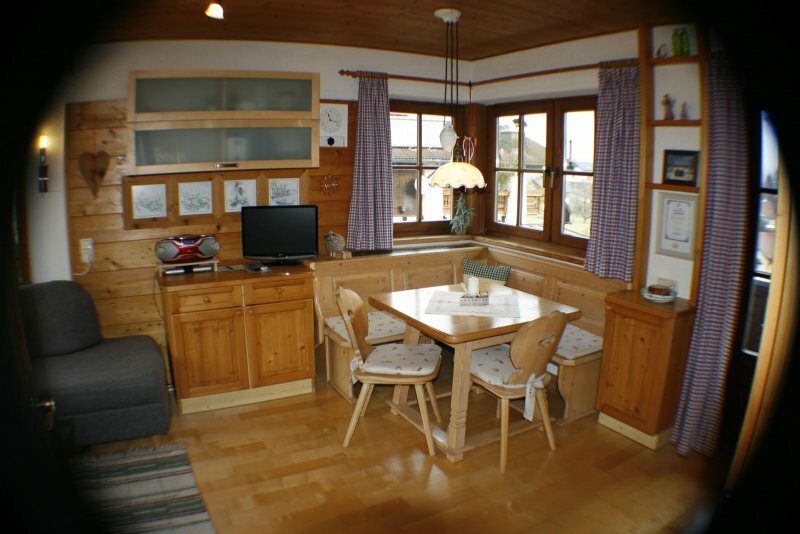 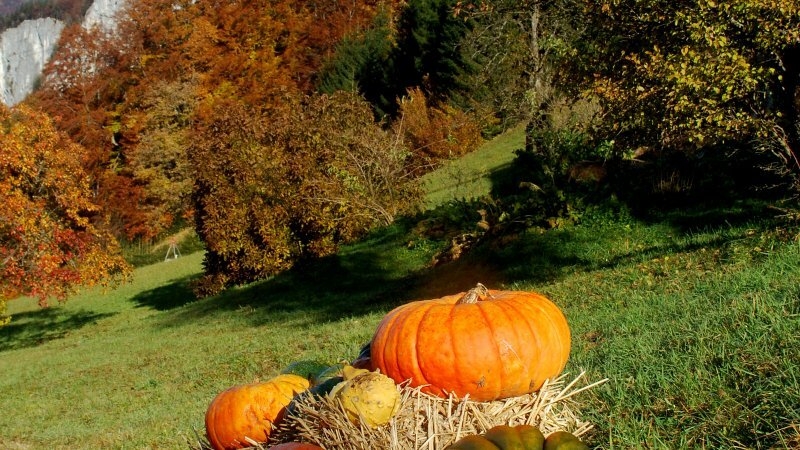 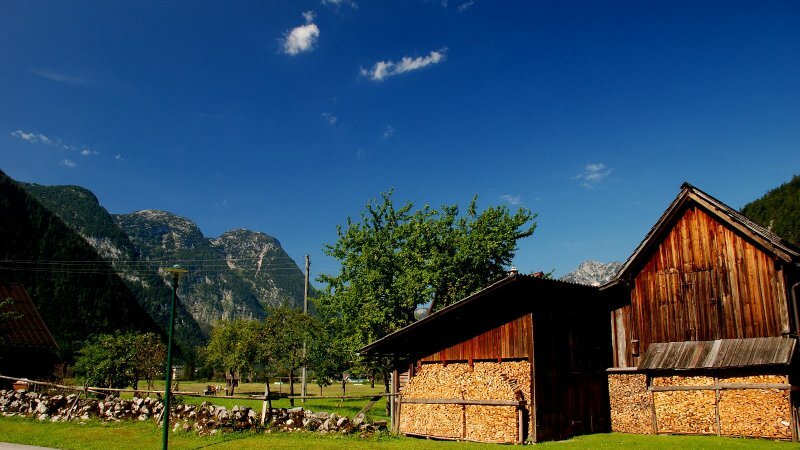 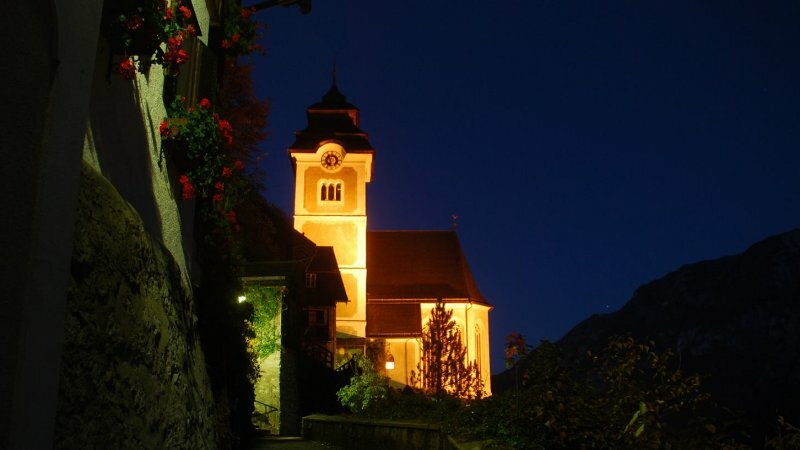 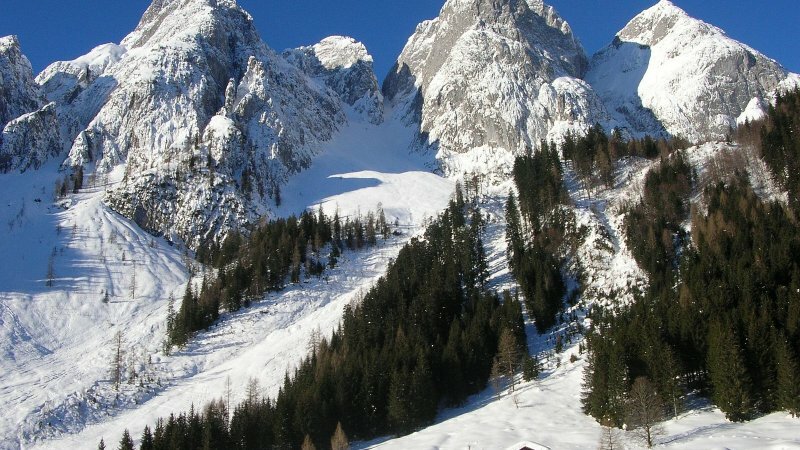 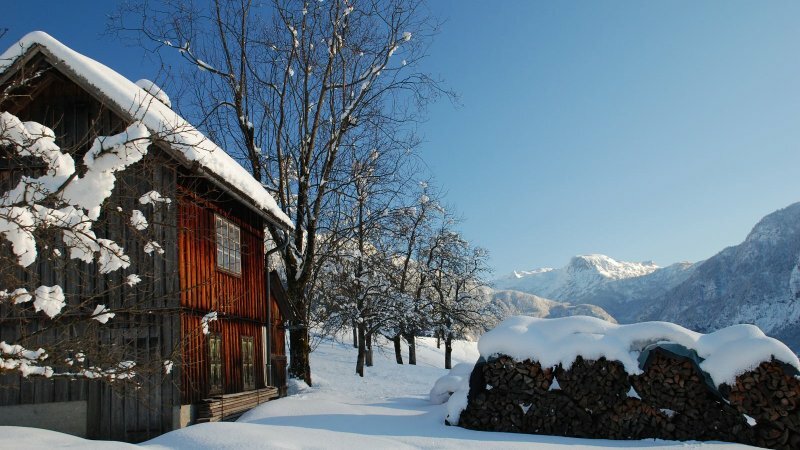 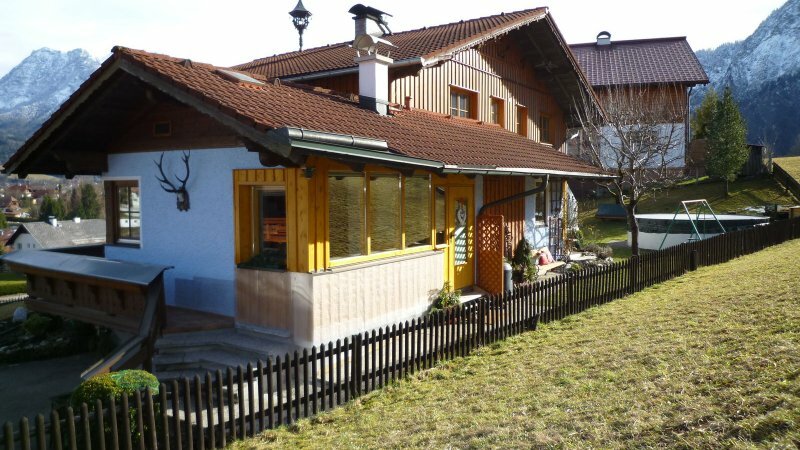 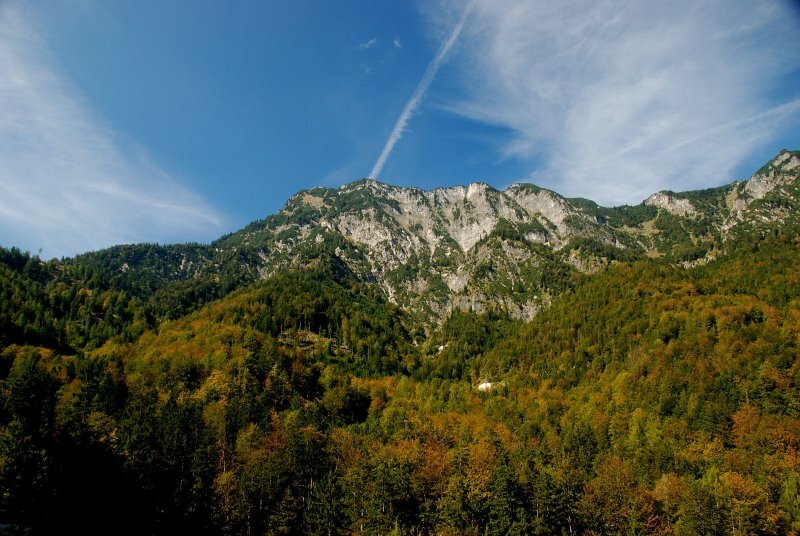 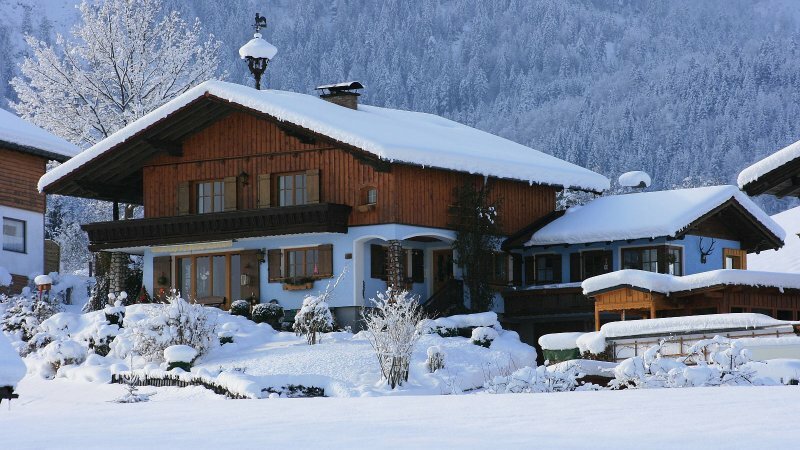 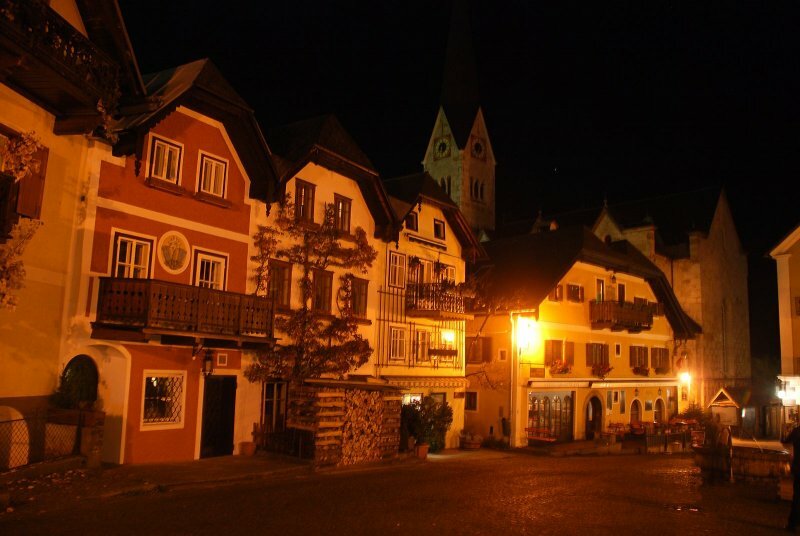 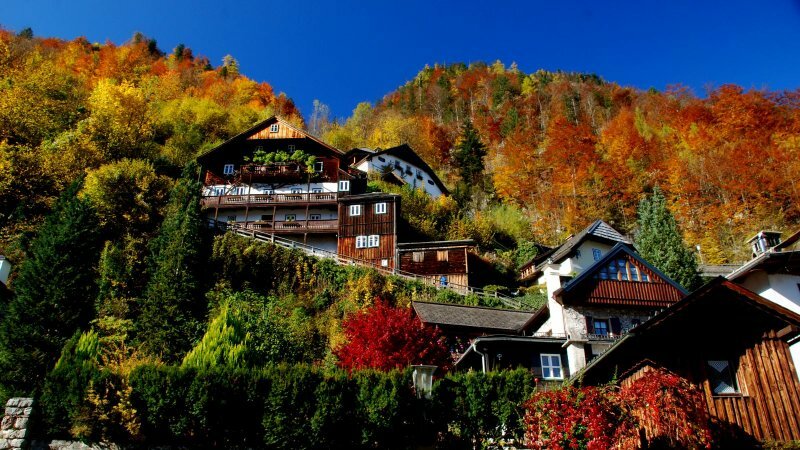 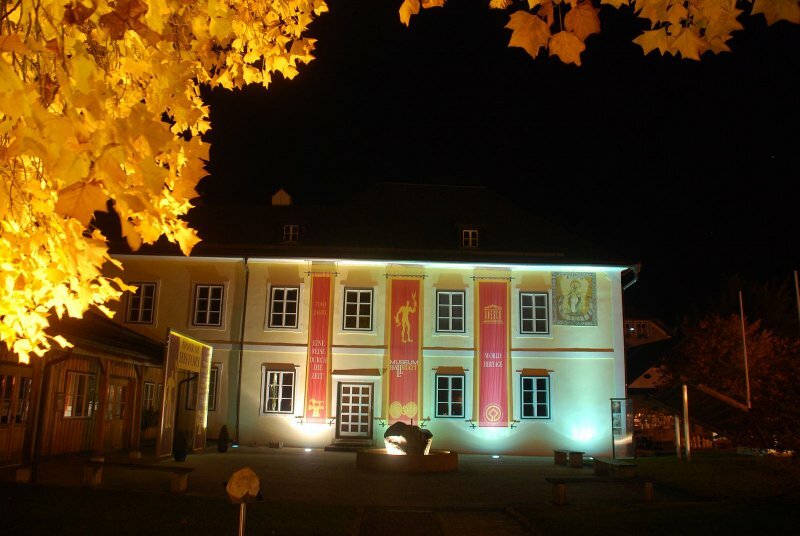 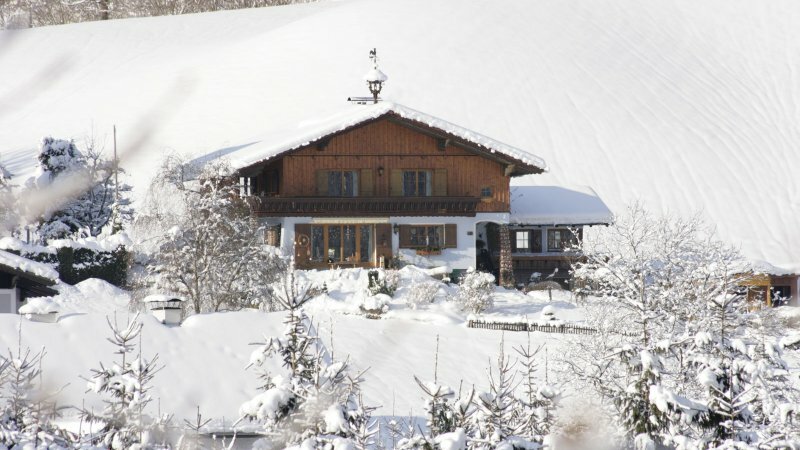 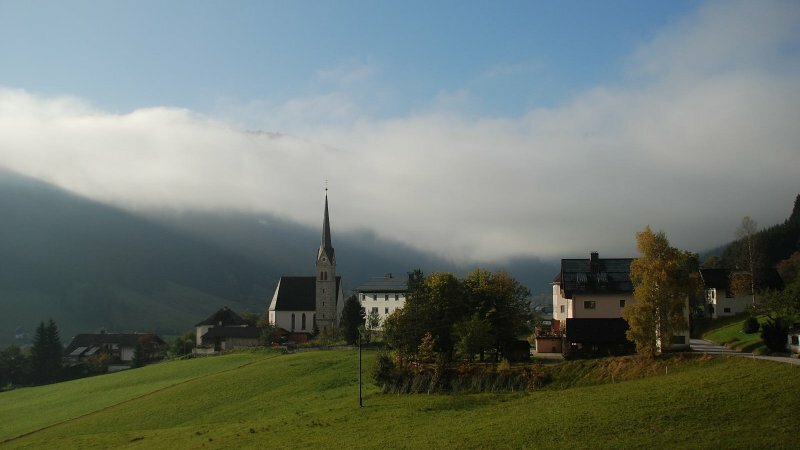 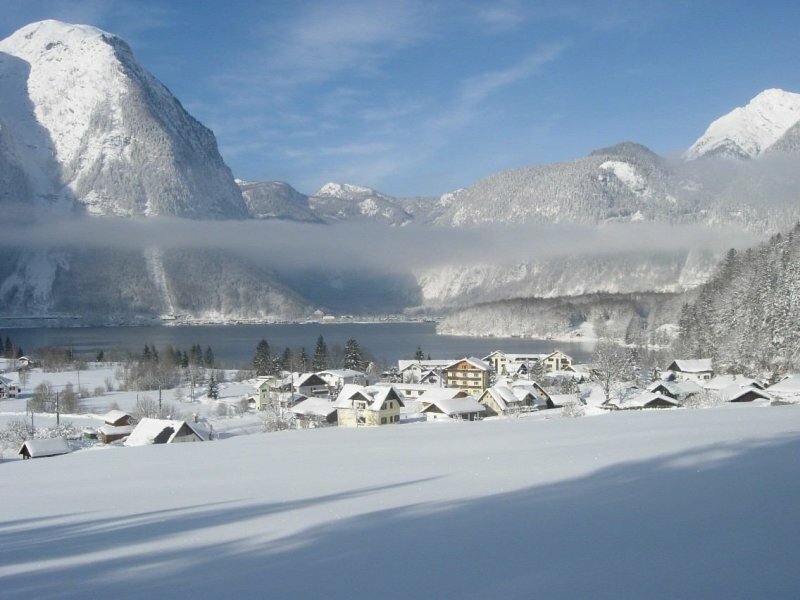 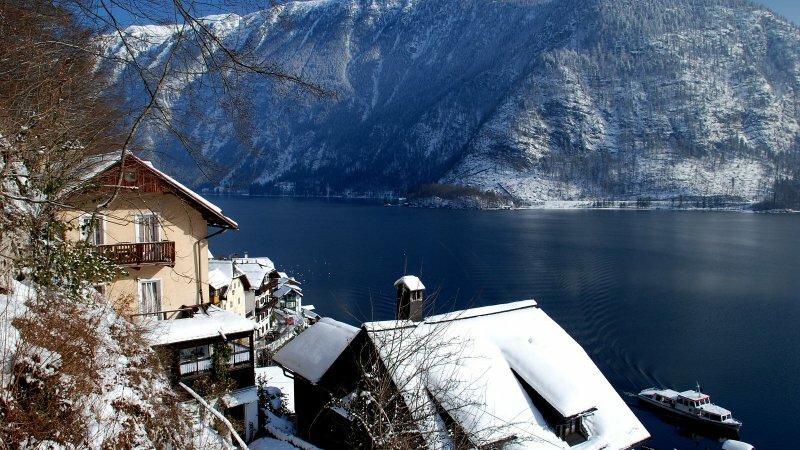 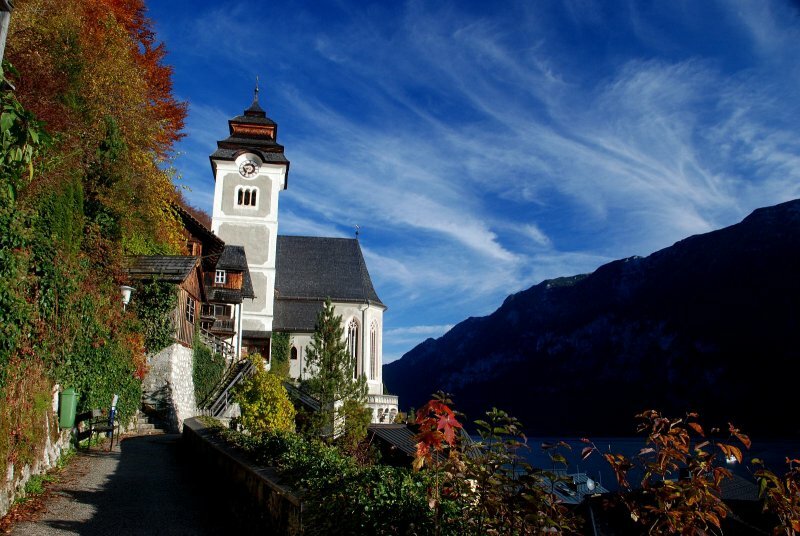 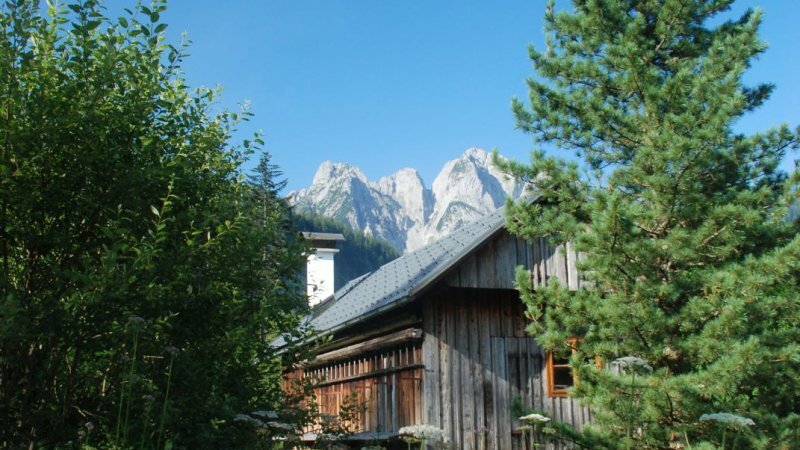 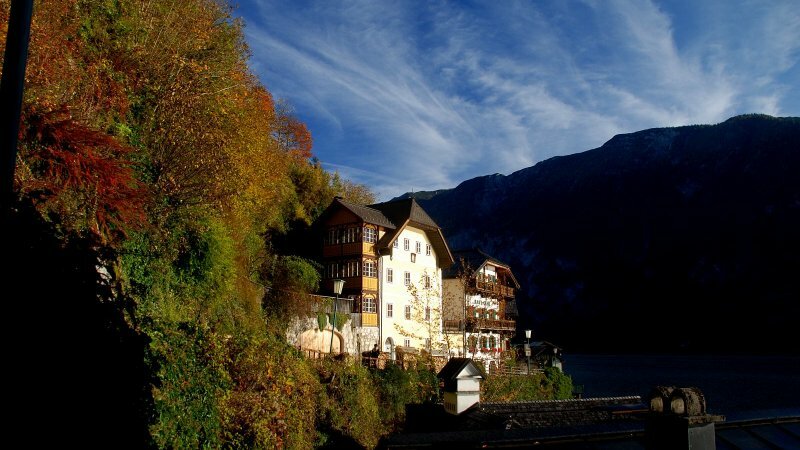 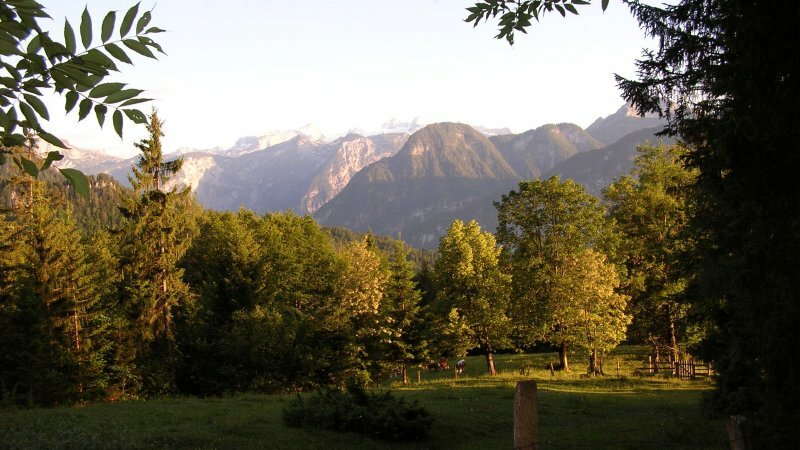 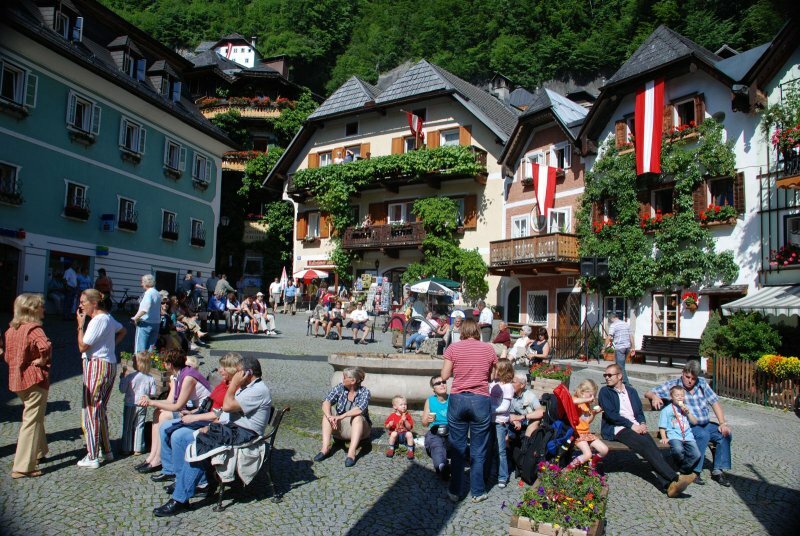 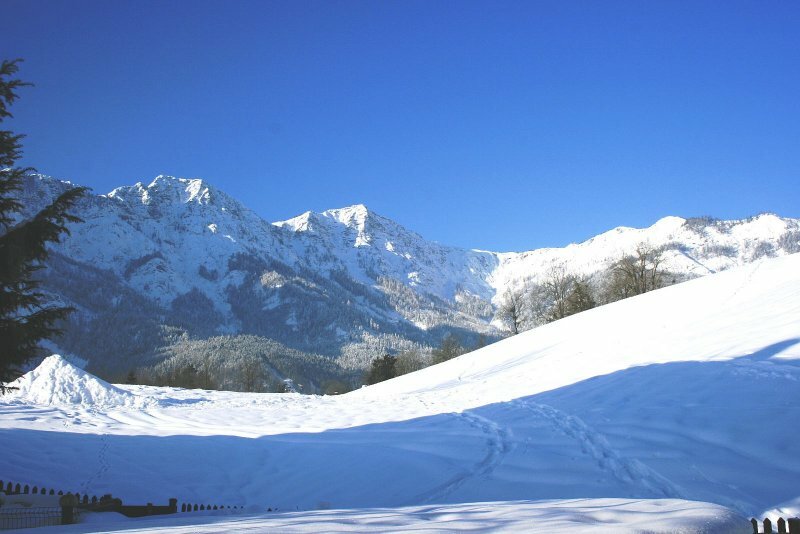 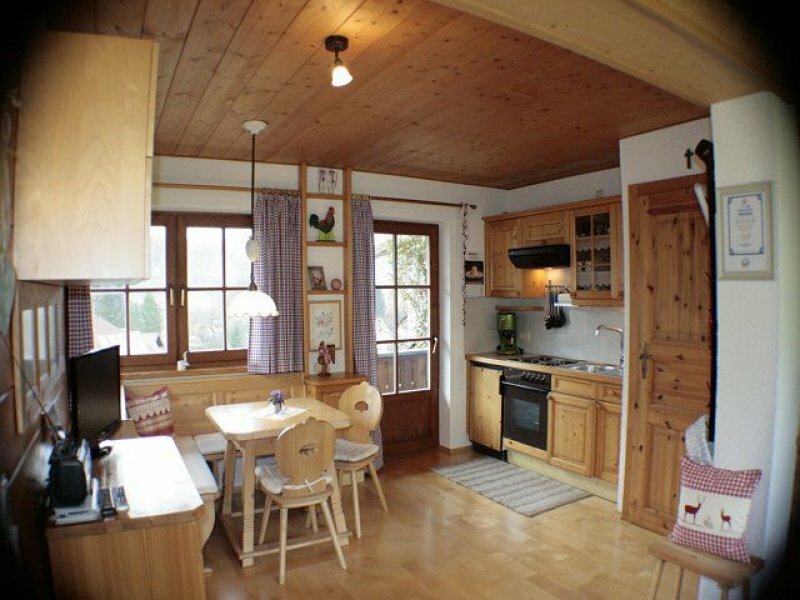 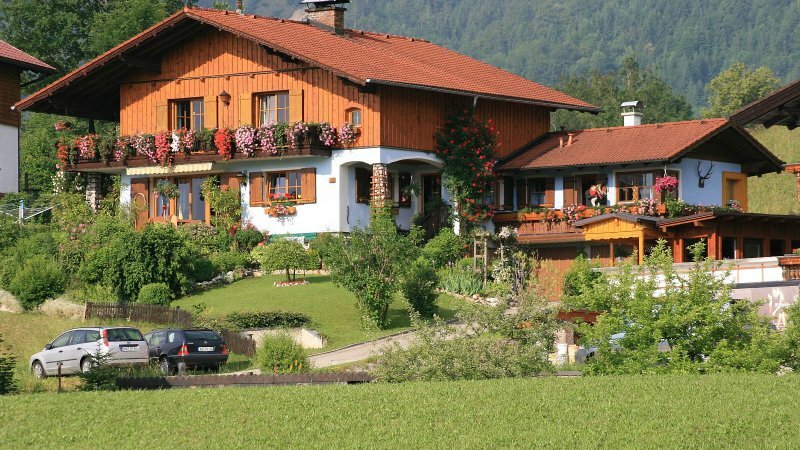 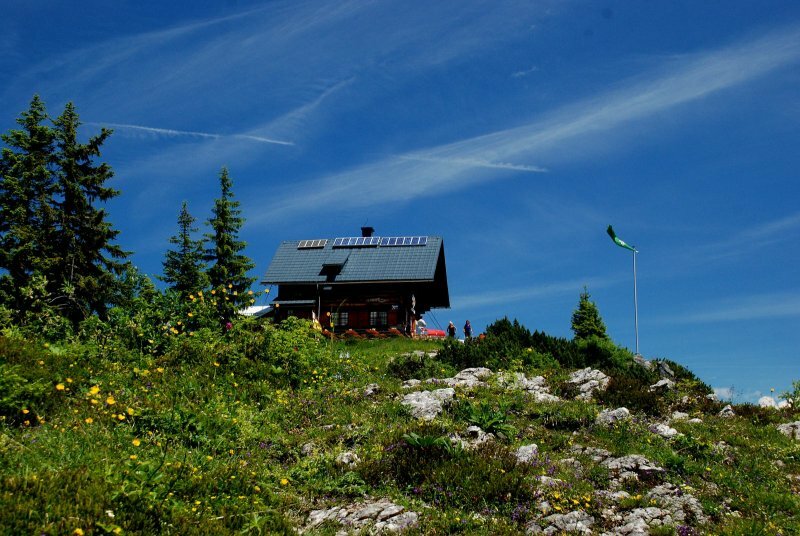 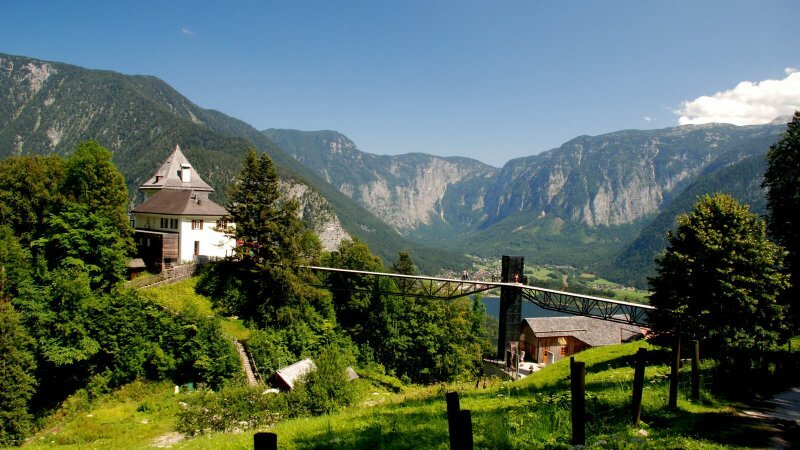 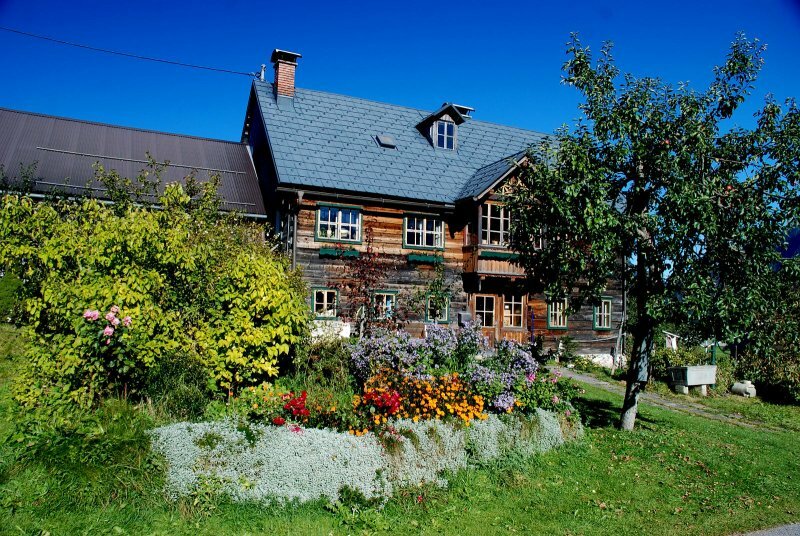 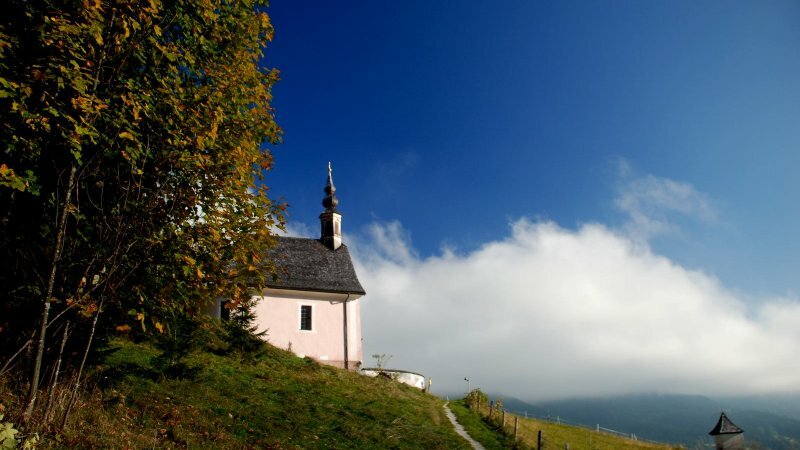 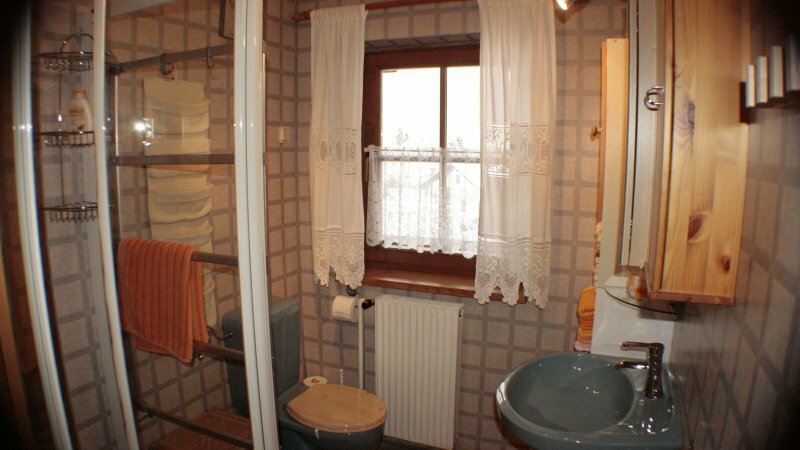 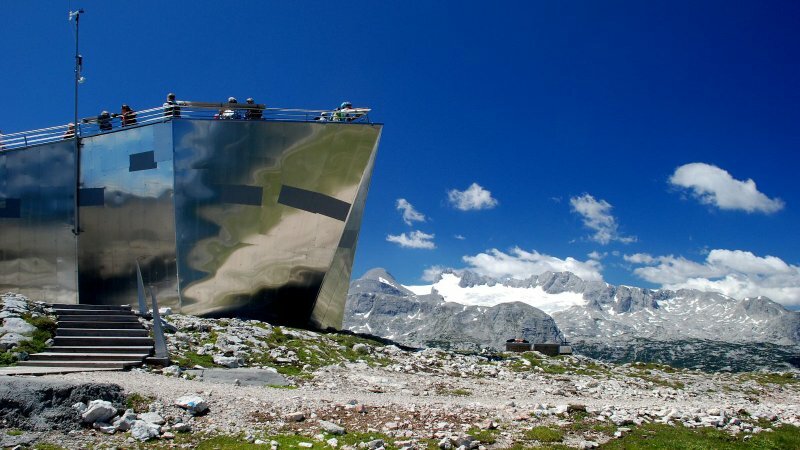 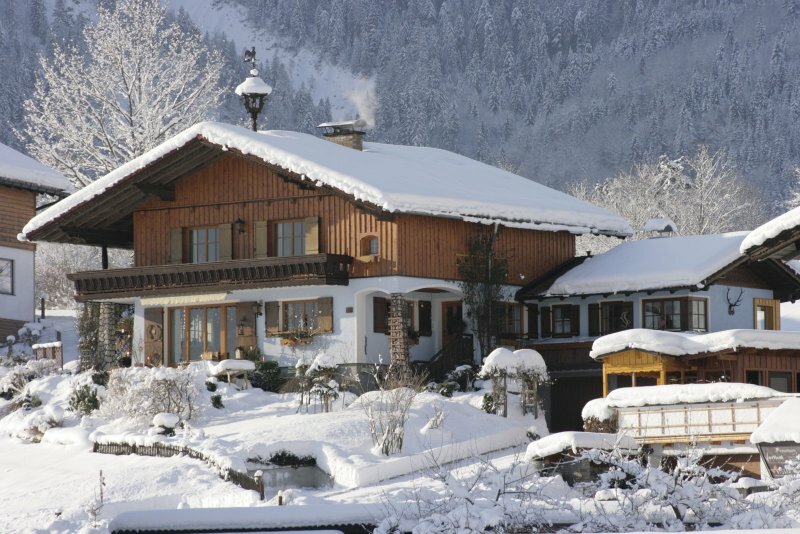 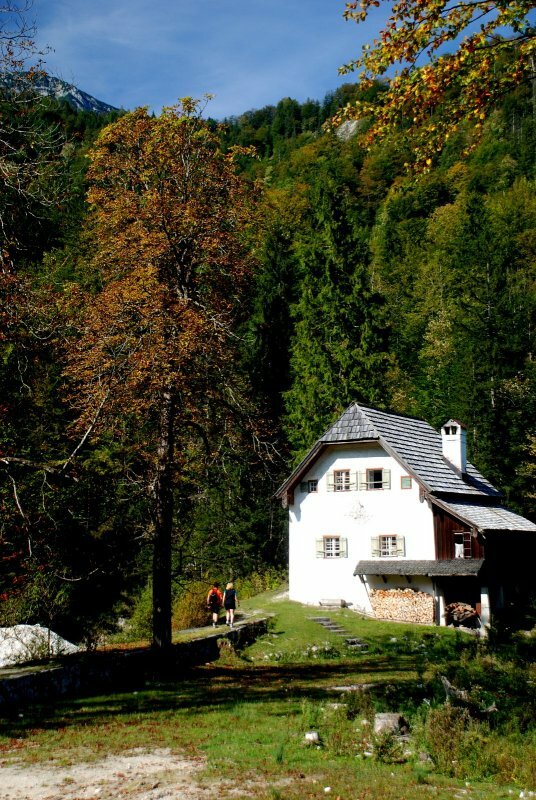 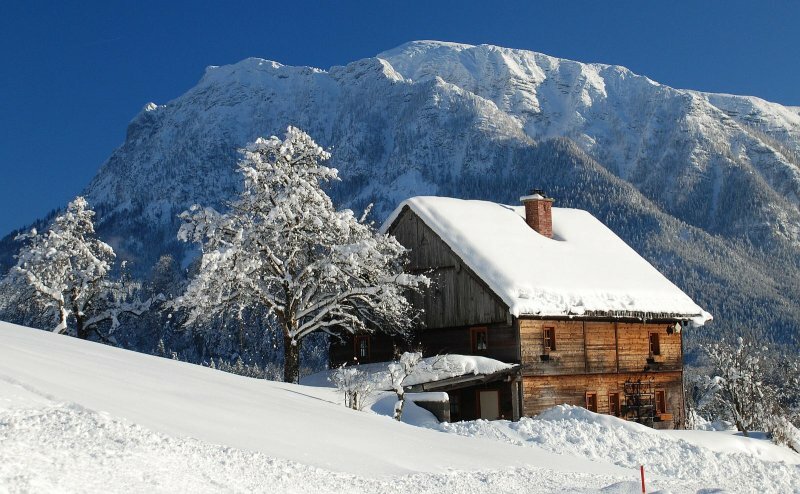 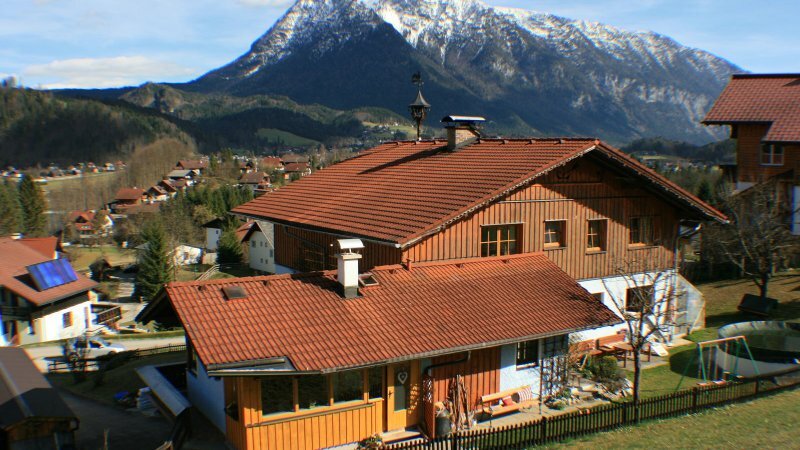 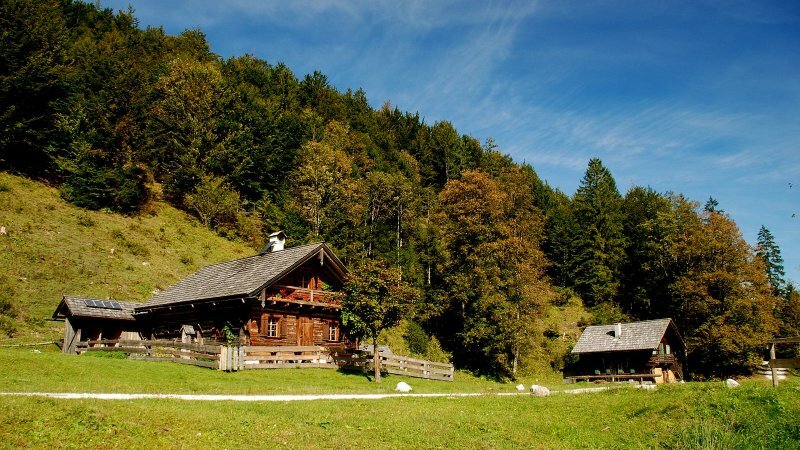 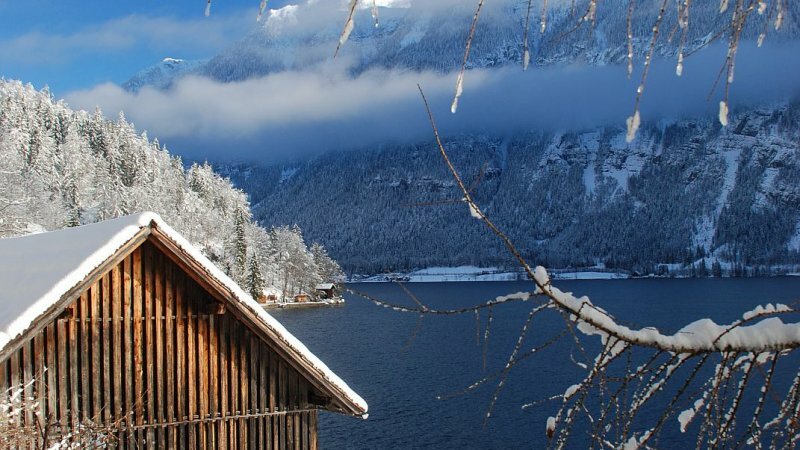 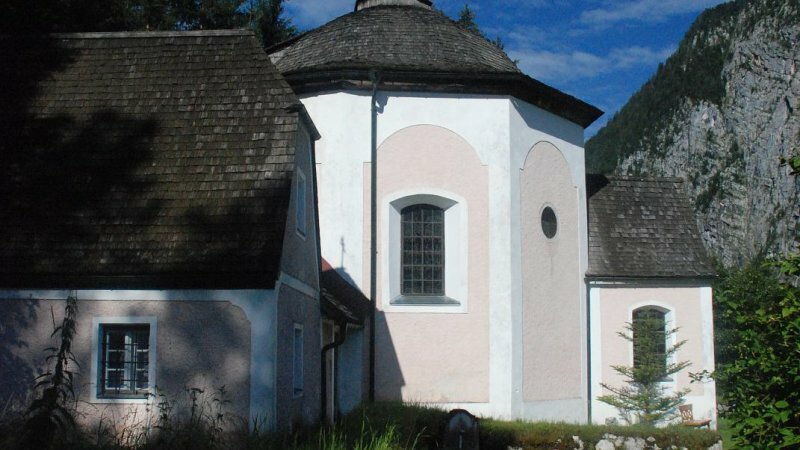 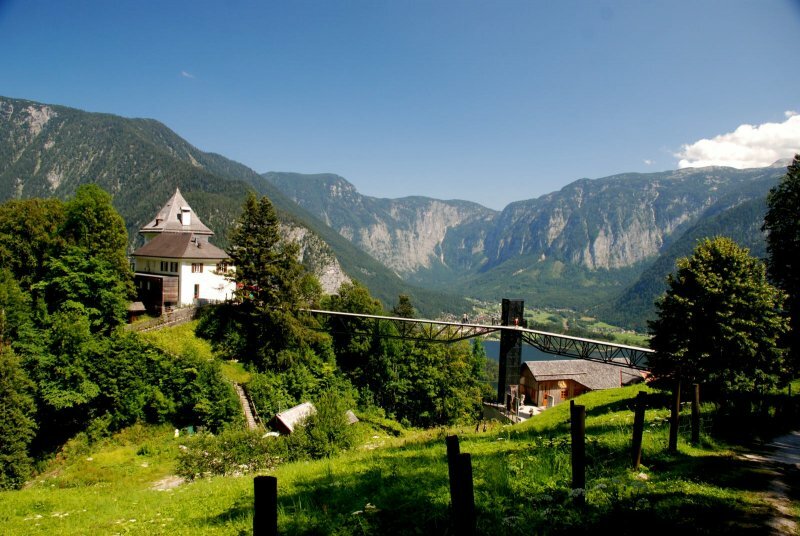 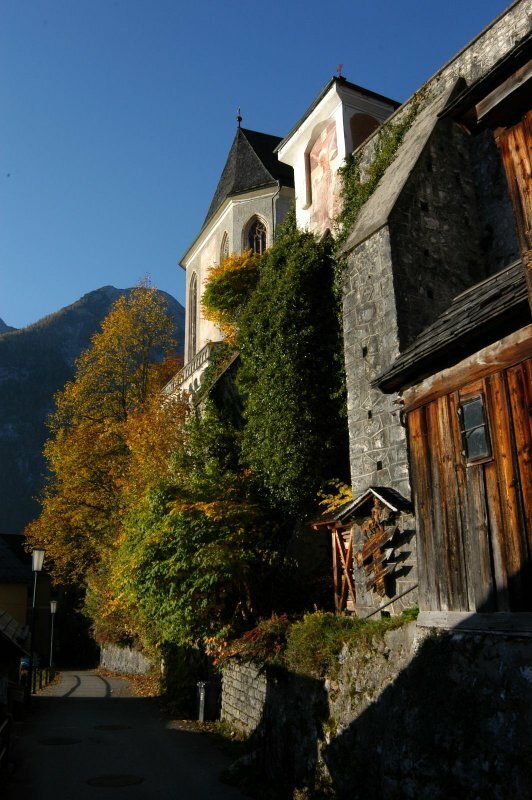 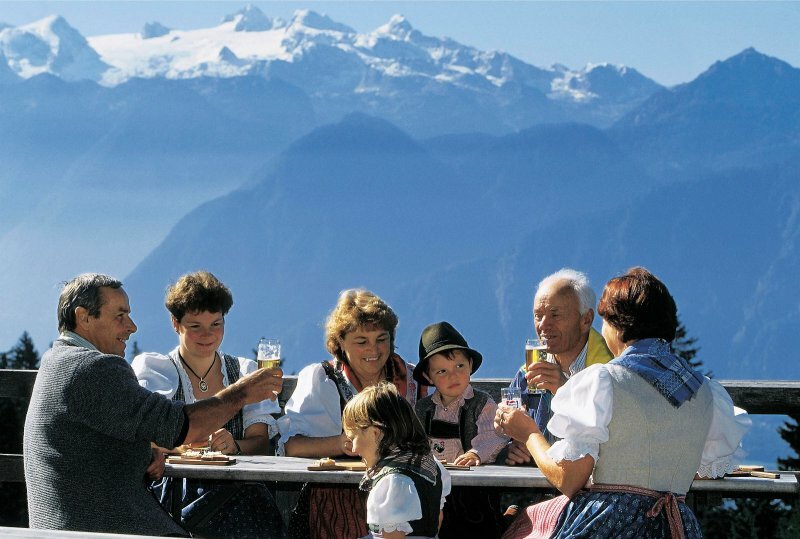 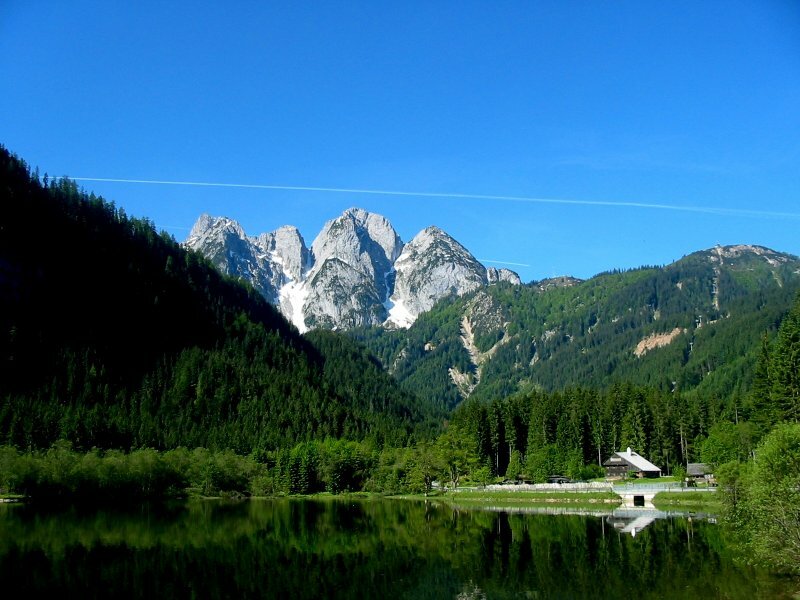 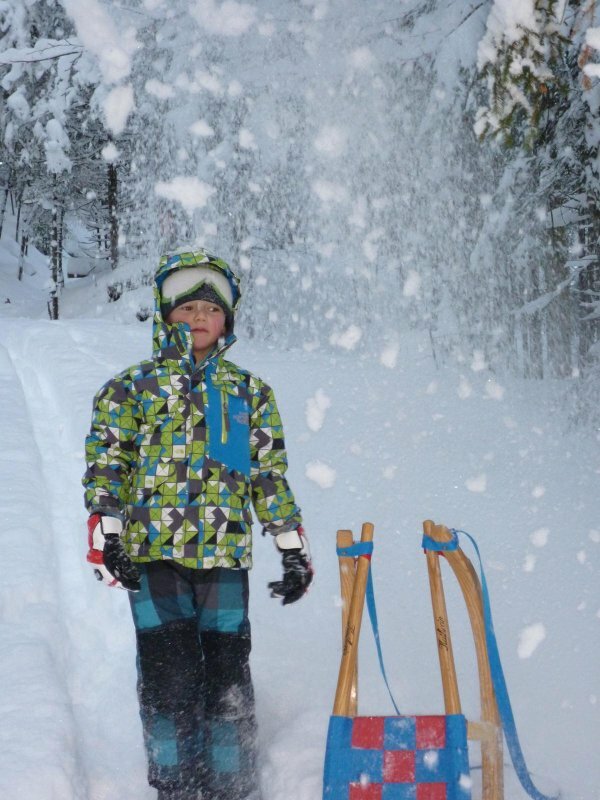 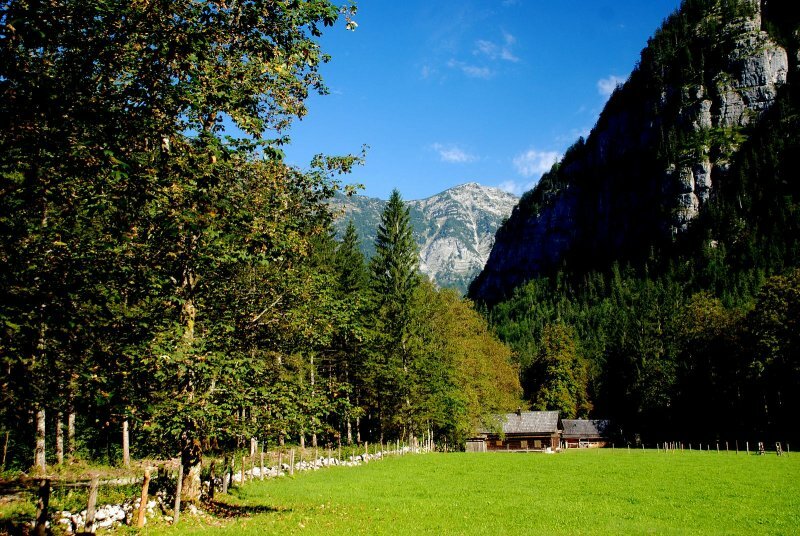 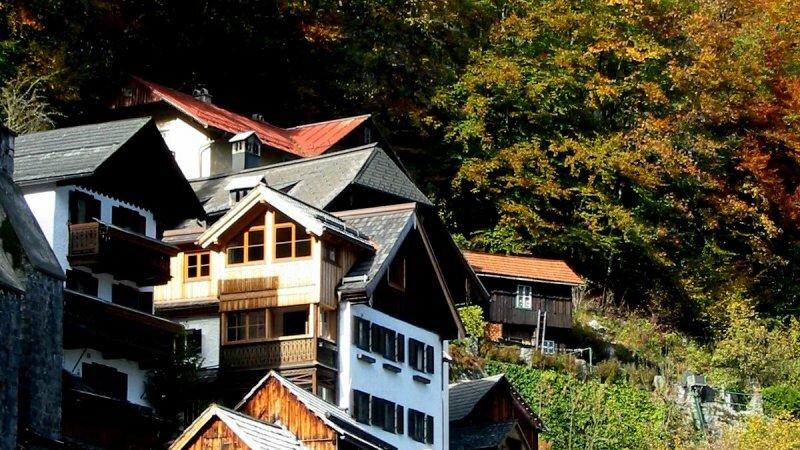 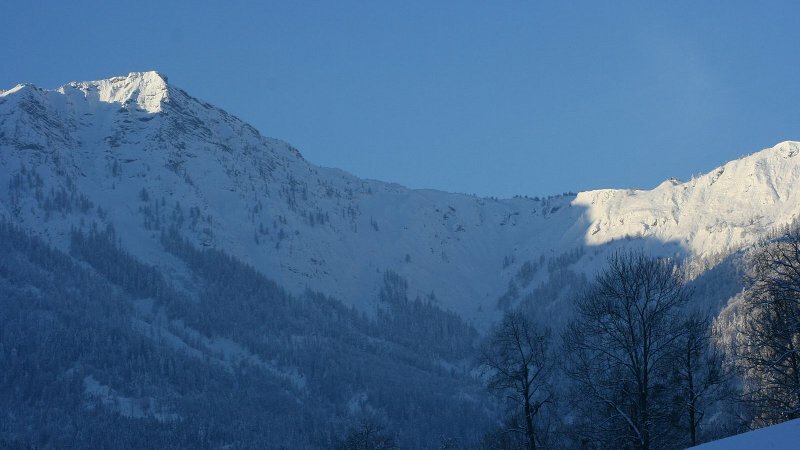 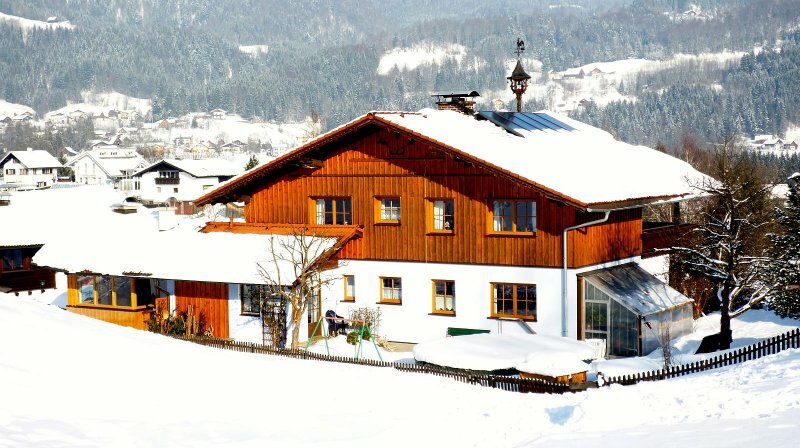 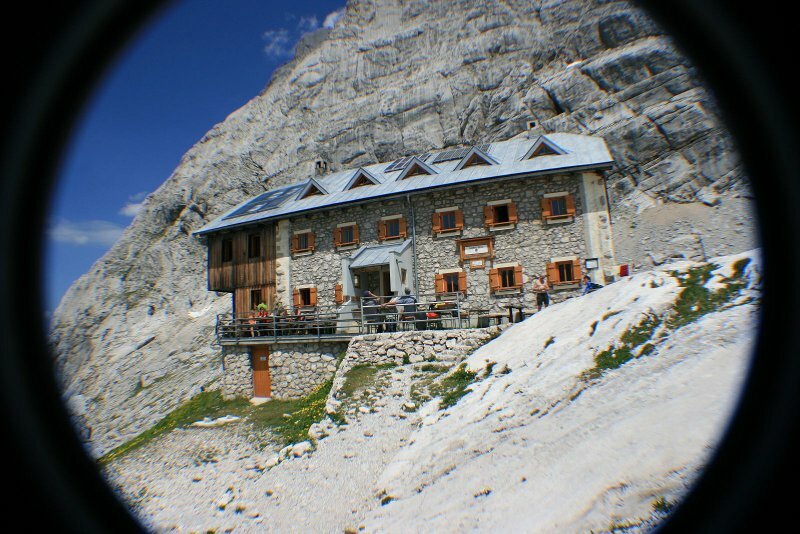 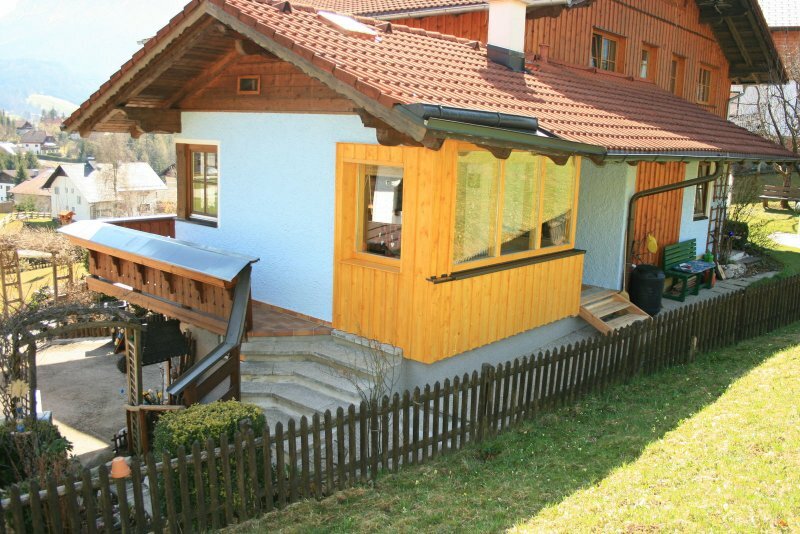 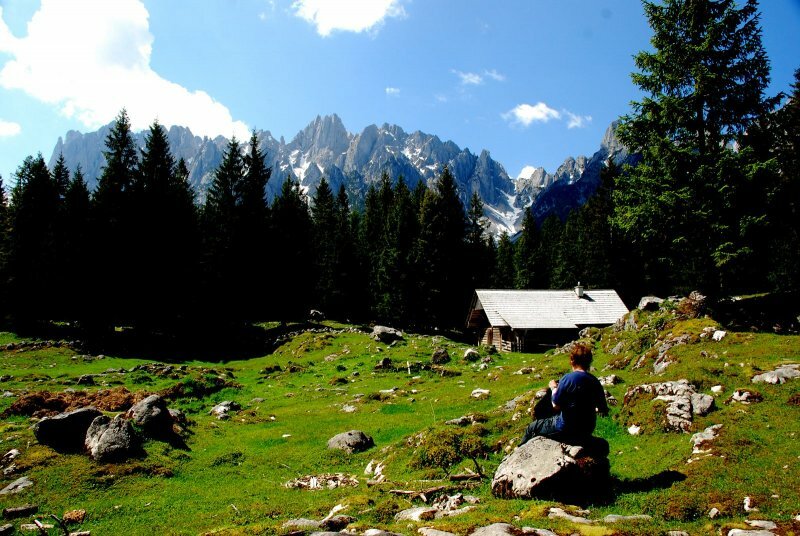 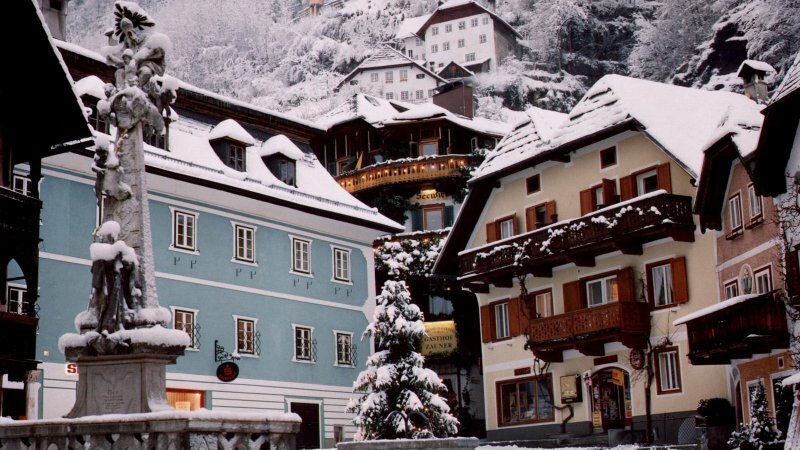 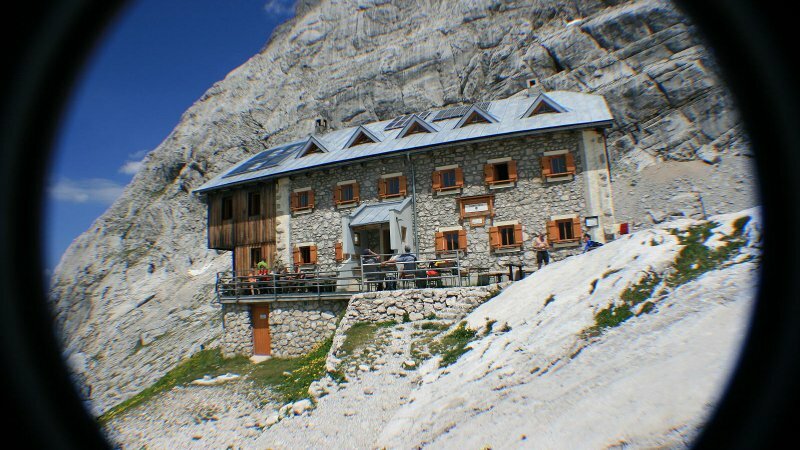 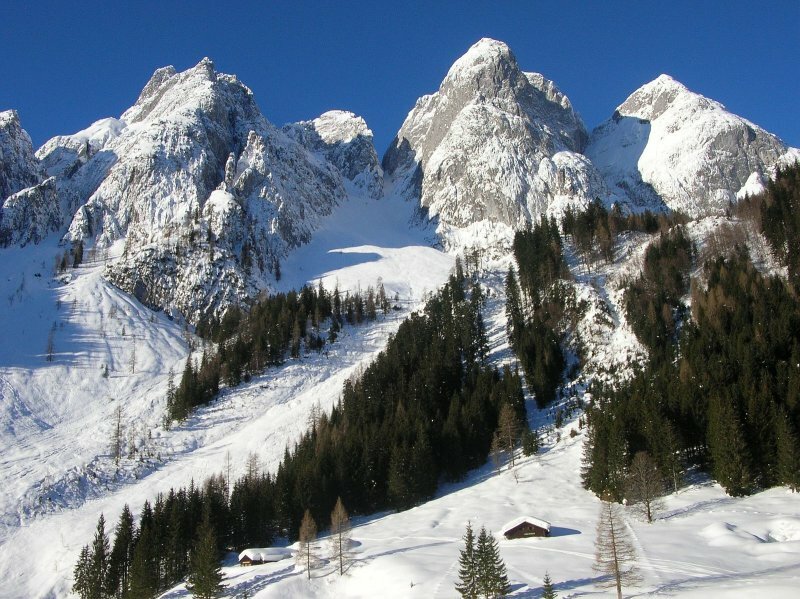 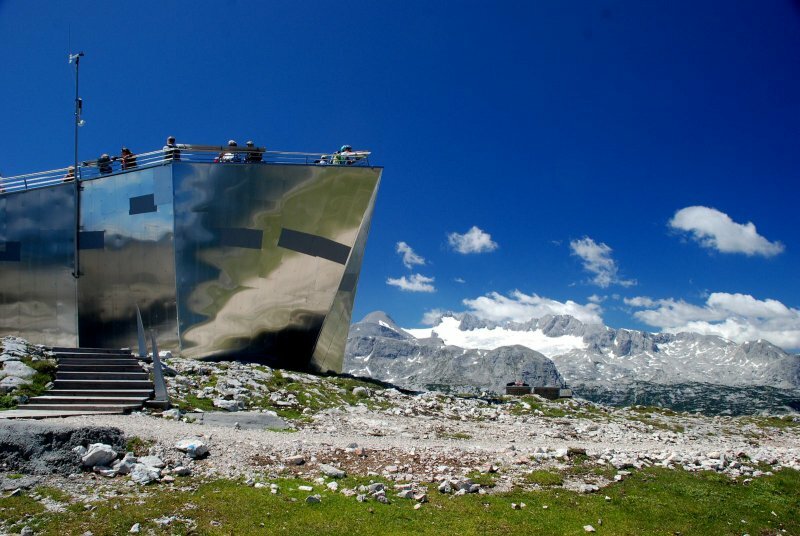 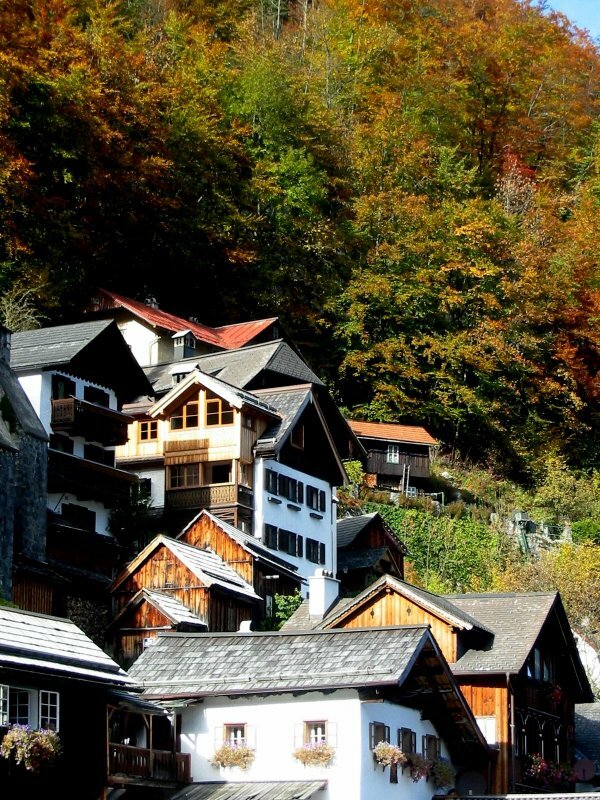 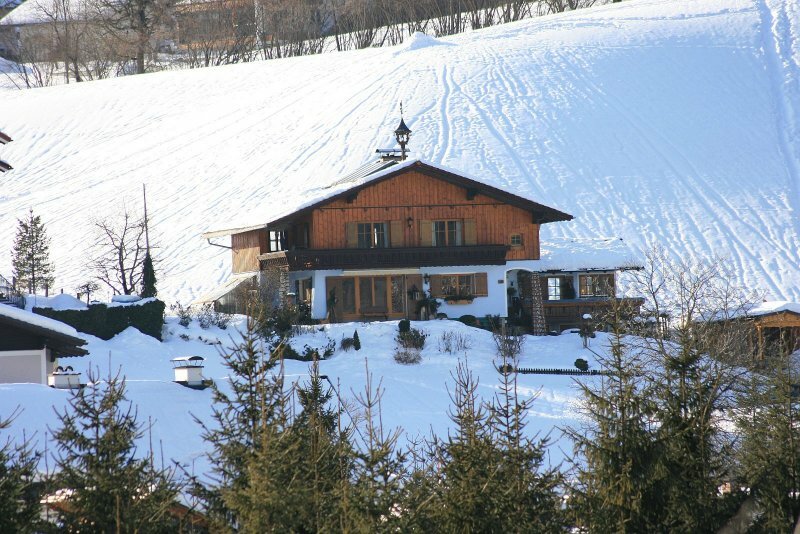 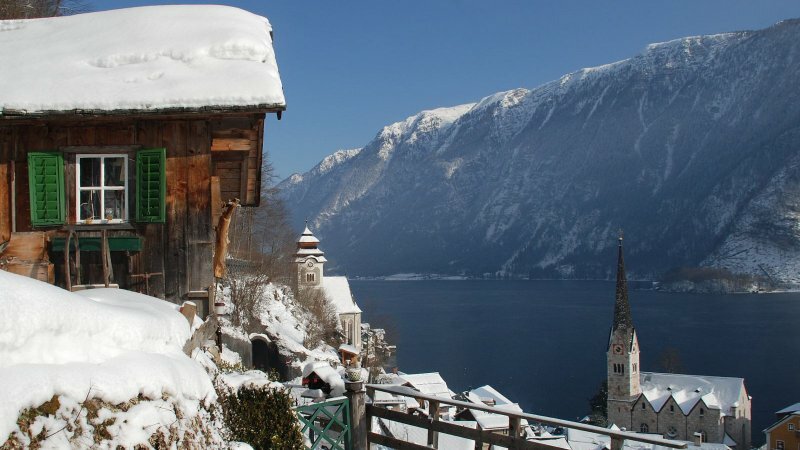 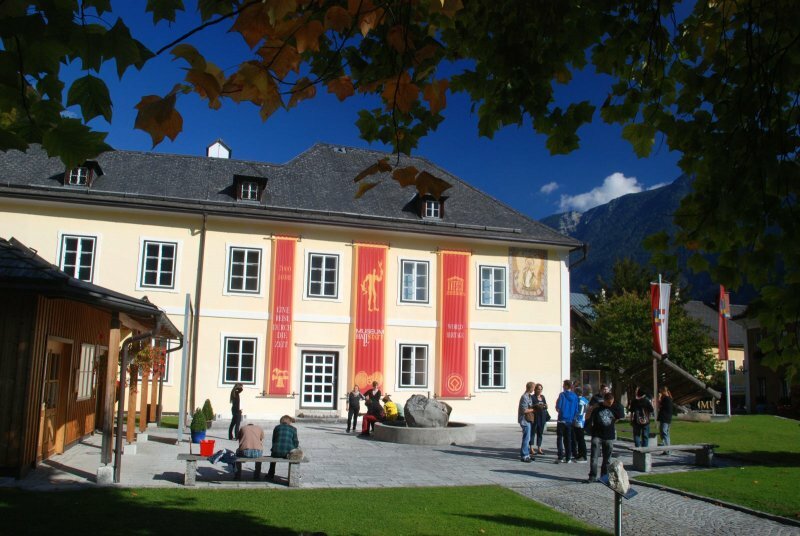 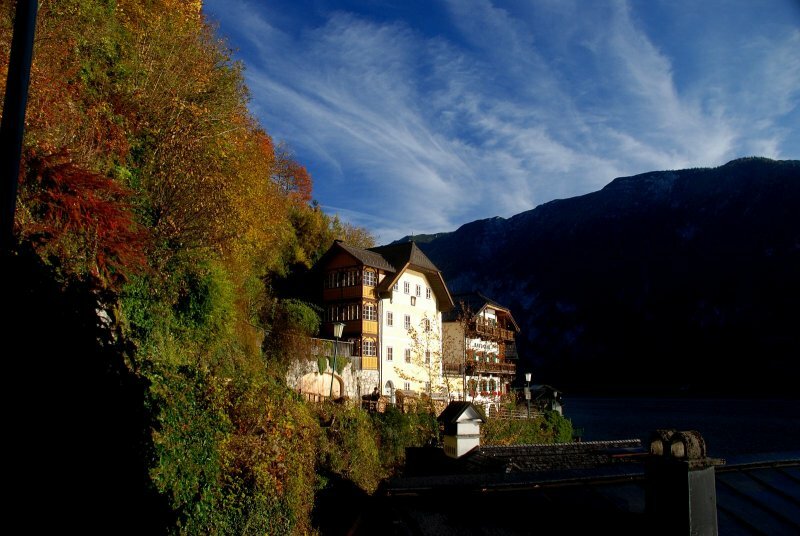 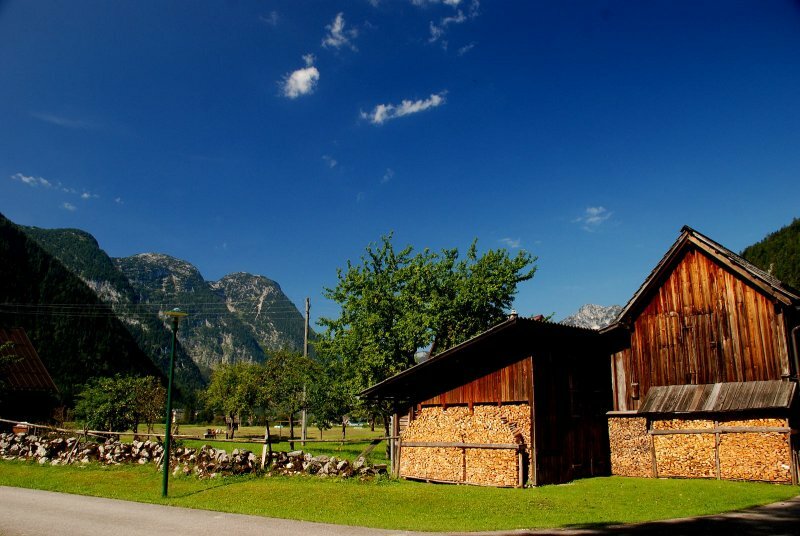 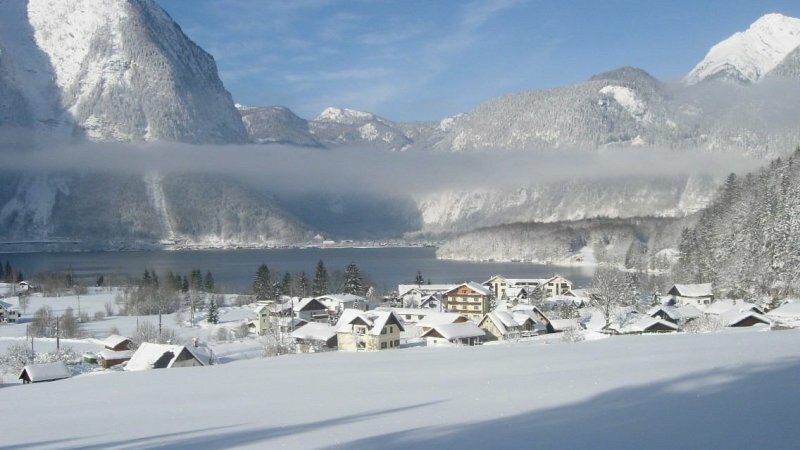 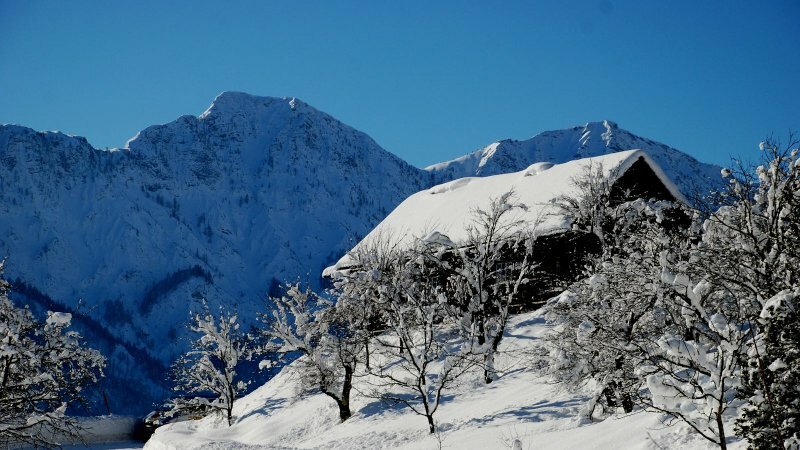 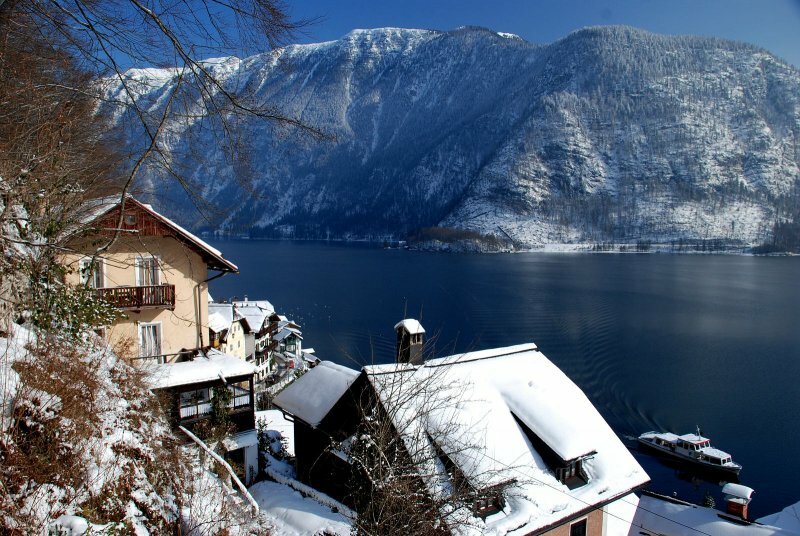 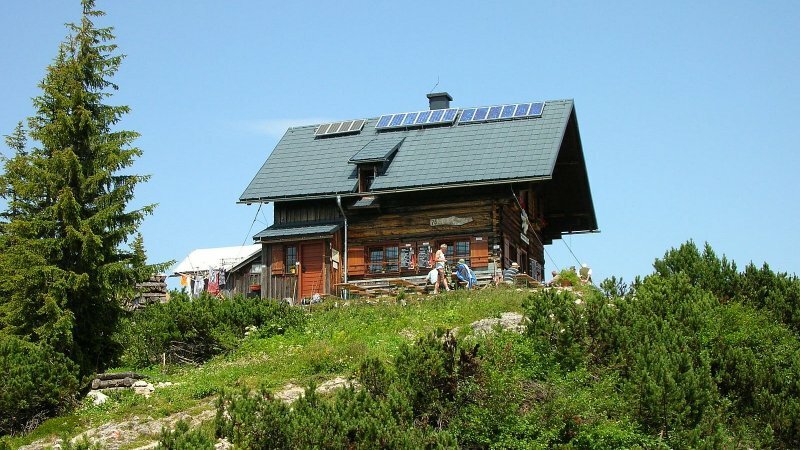 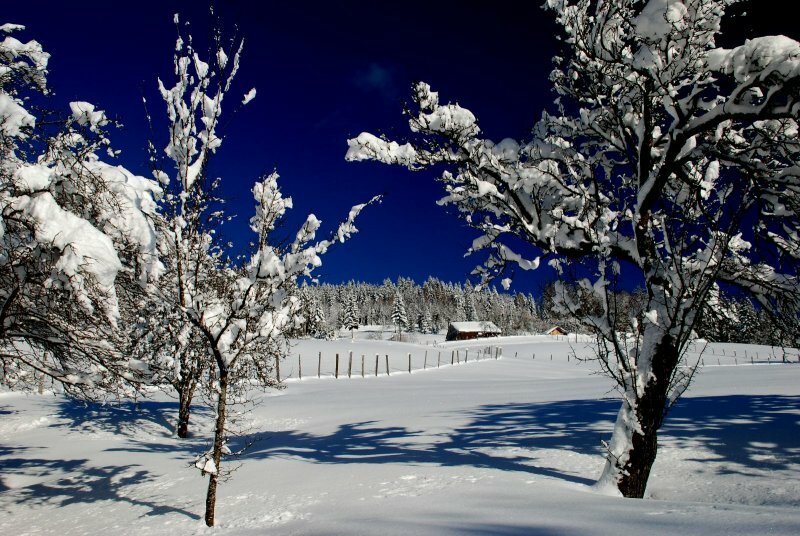 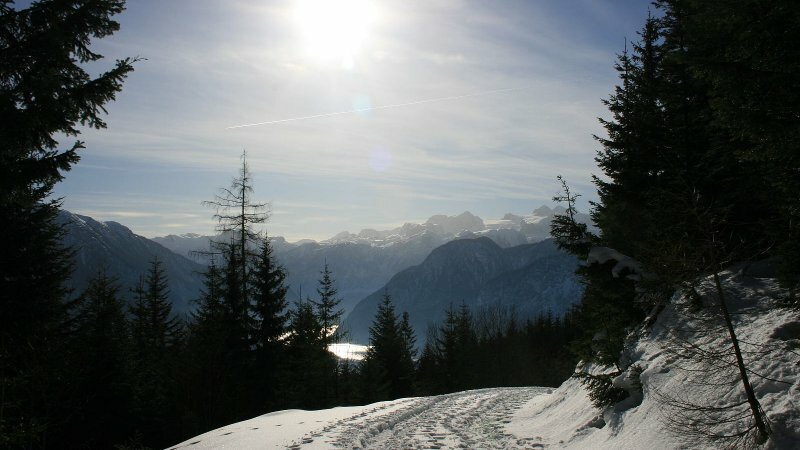 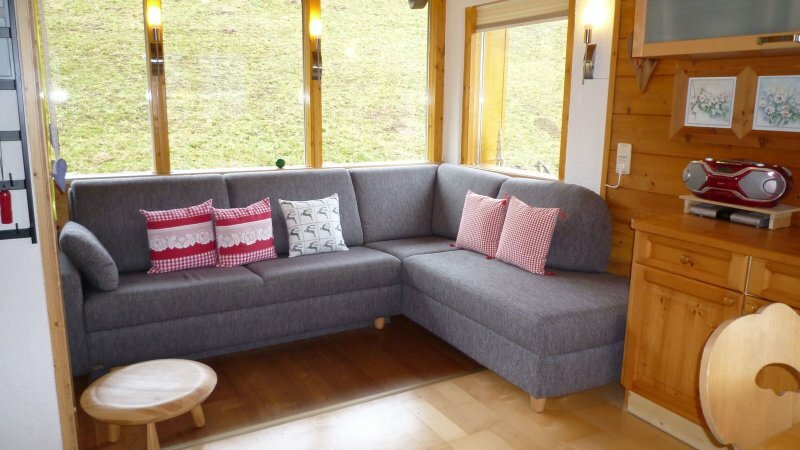 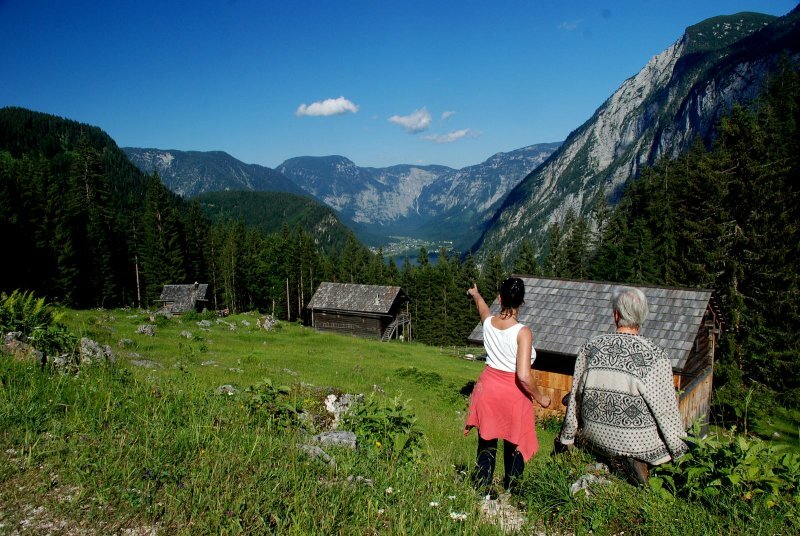 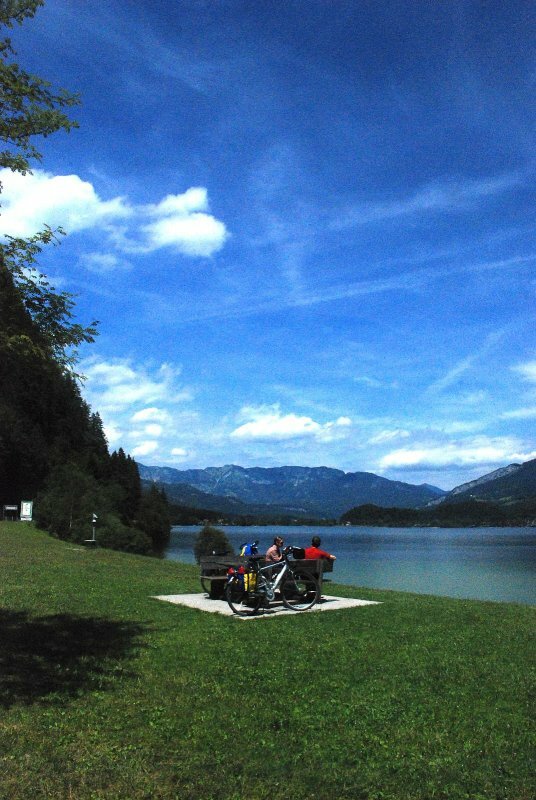 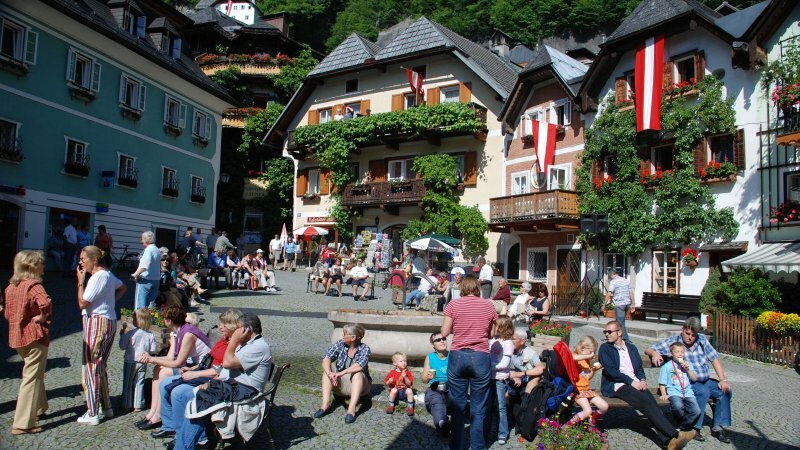 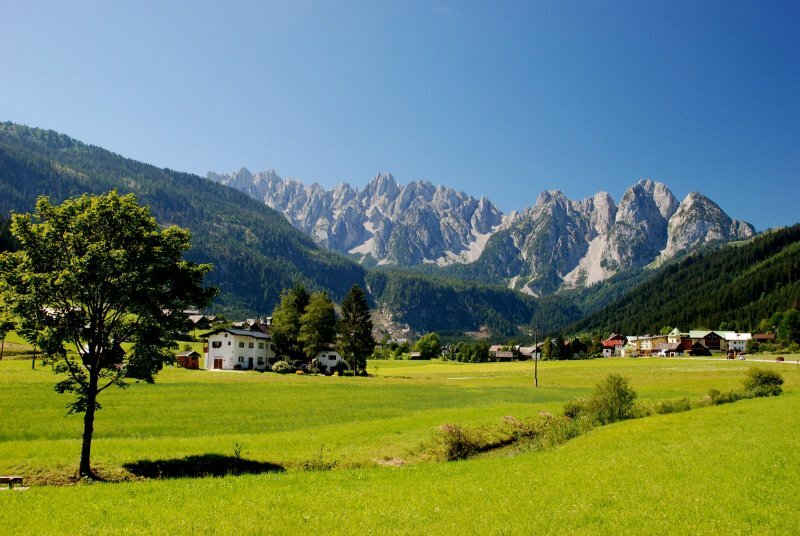 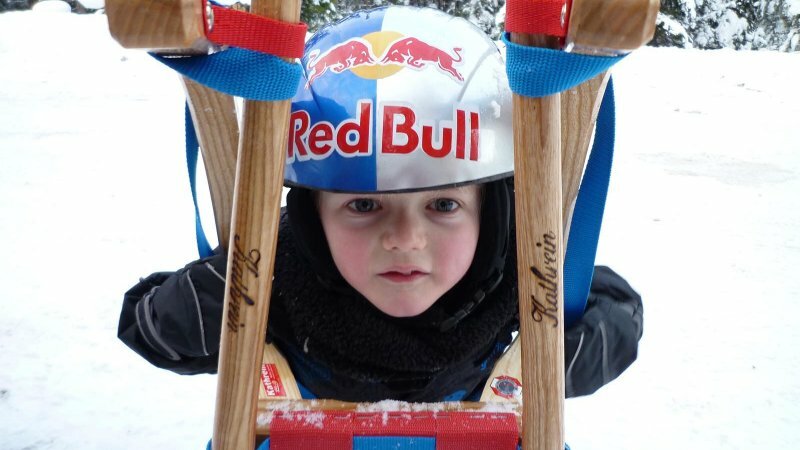 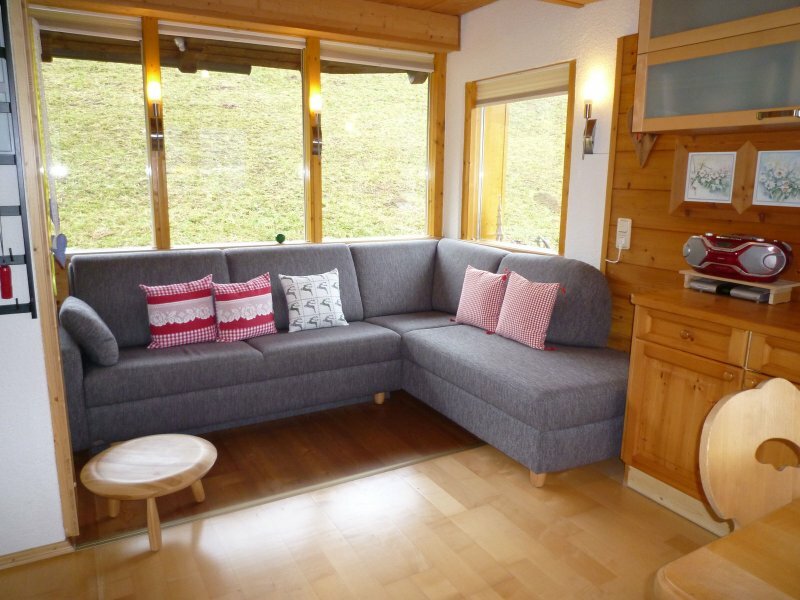 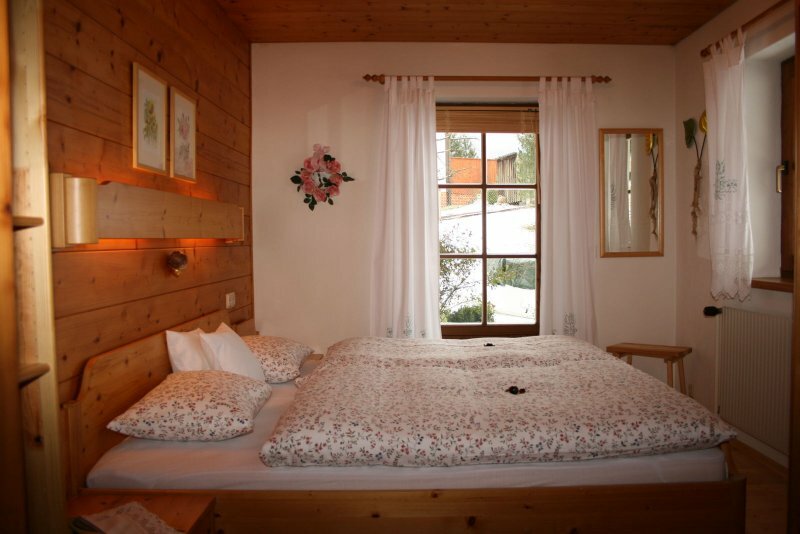 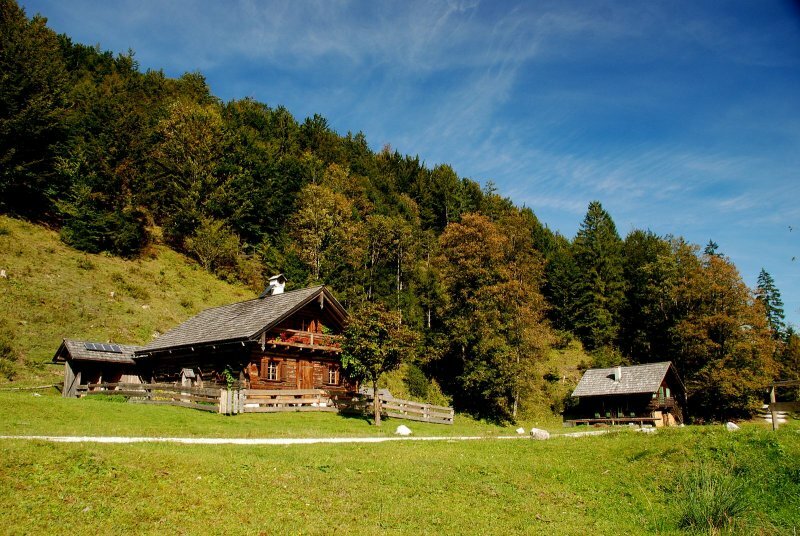 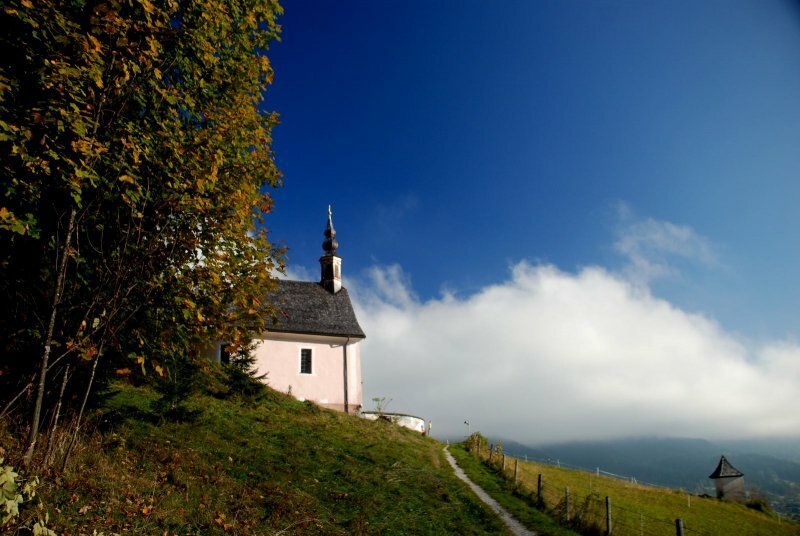 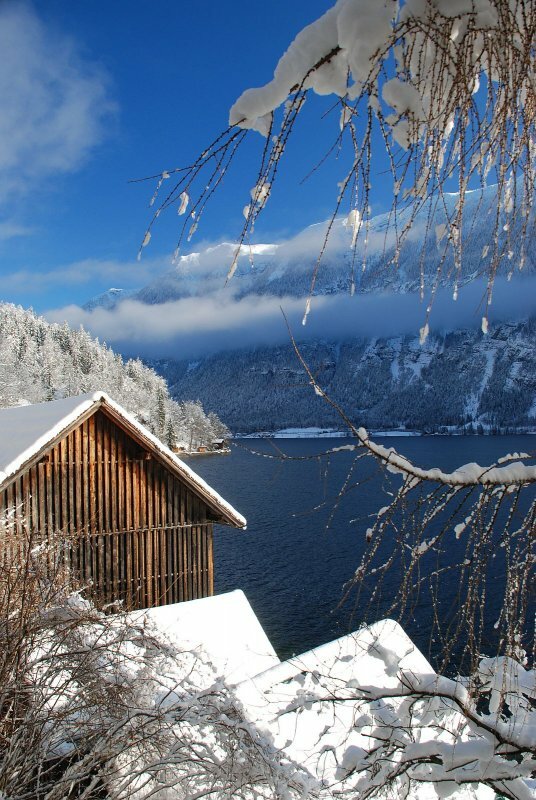 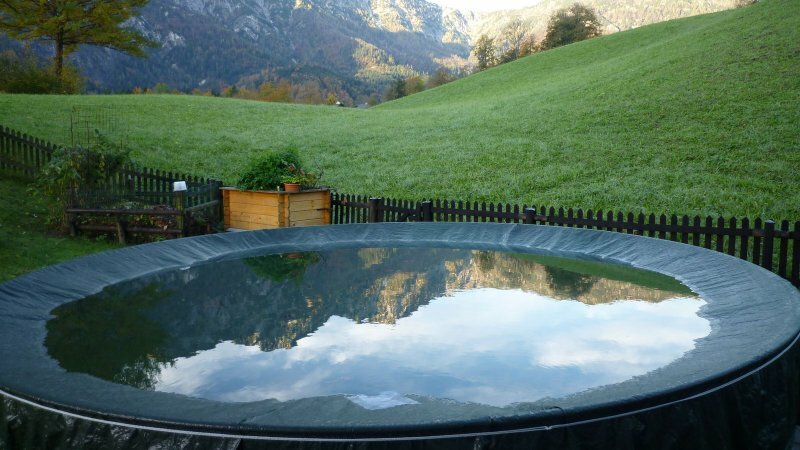 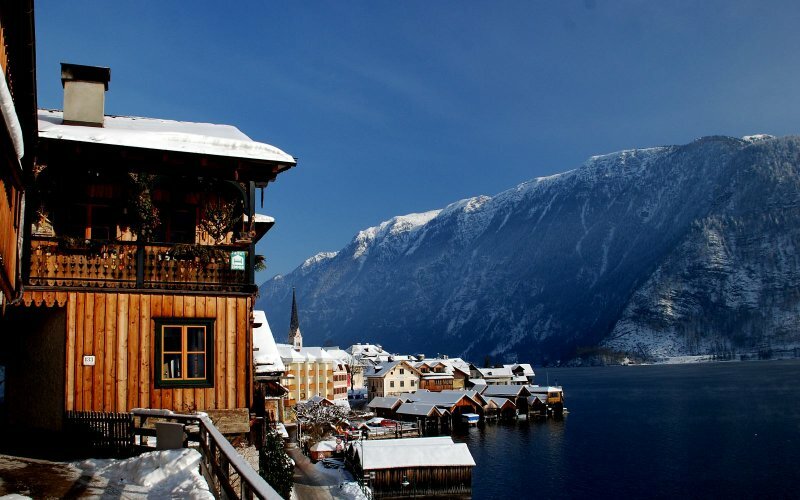 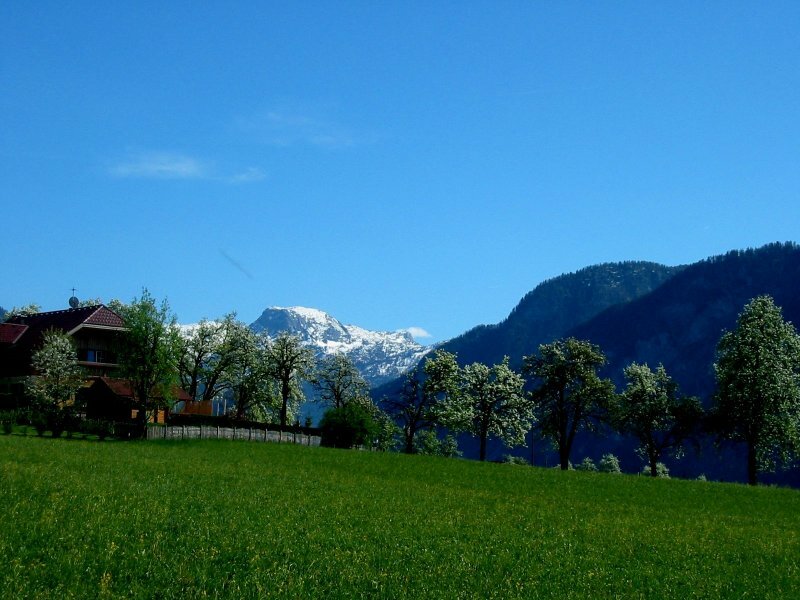 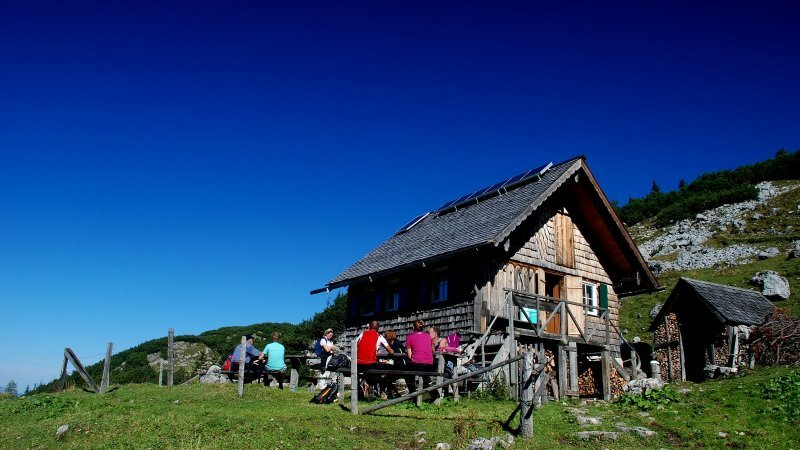 The area is perfect for tobogganing and relaxing afterwards in a mountain hut. 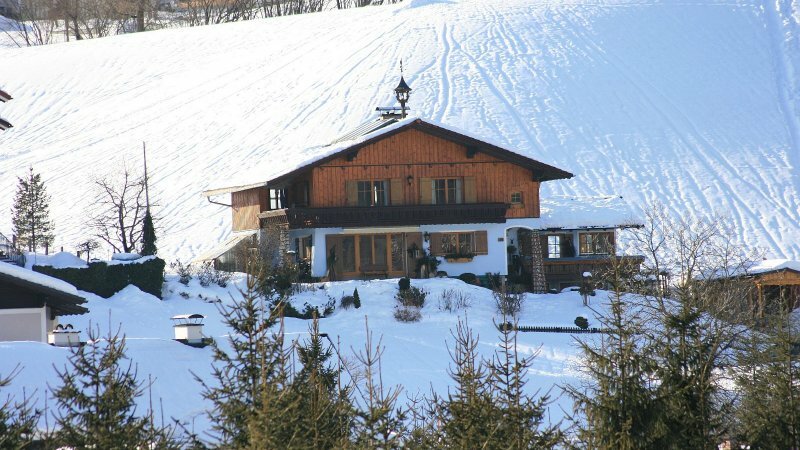 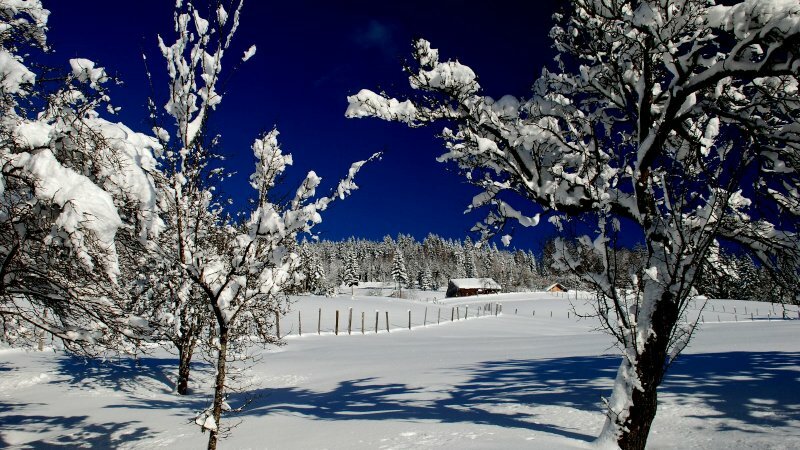 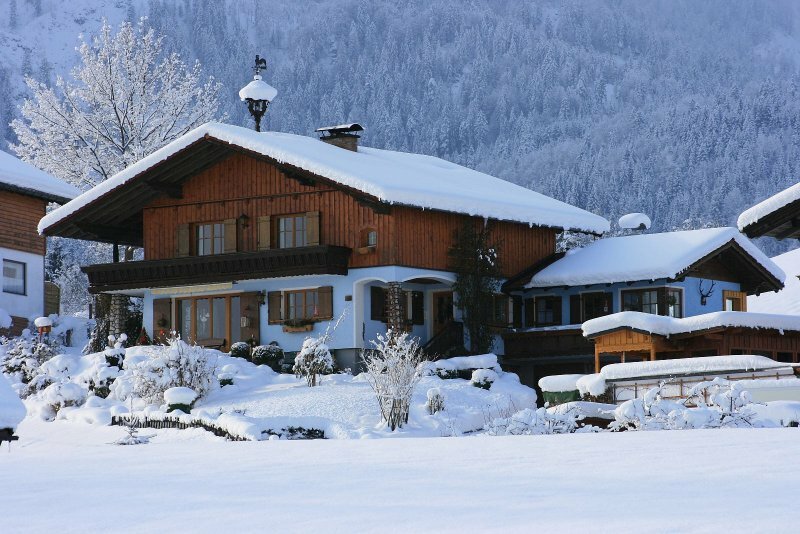 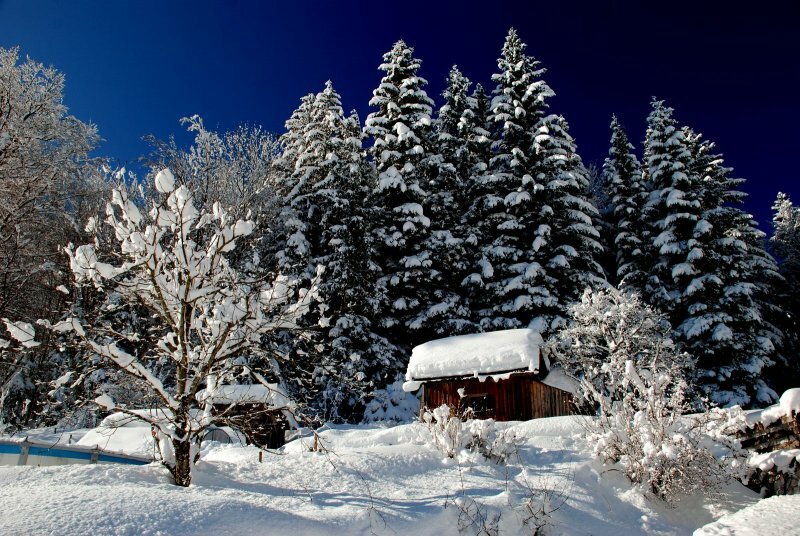 There are numerous cross country ski trails close to our accommodation, and much, much more!Rest and relaxation for all, in a private and cosy atmosphere, is guaranteed! 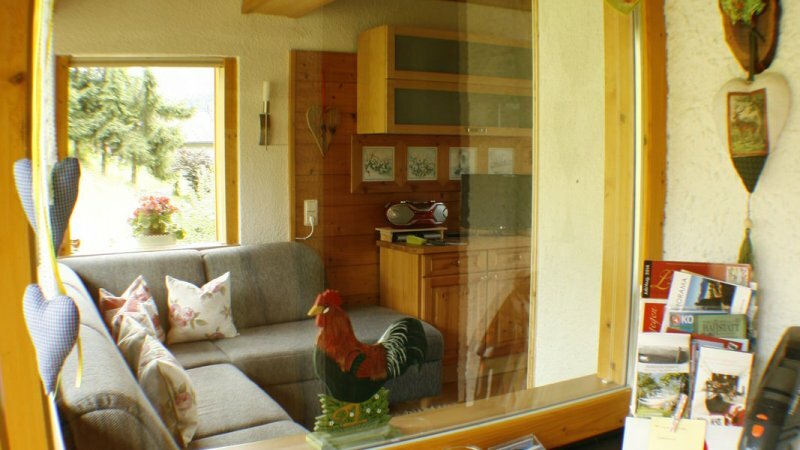 New holiday home with conservatory (sleeps 2 to 4 persons): Private entrance, 1 bedroom, shower/WC, lovely relaxation area in the conservatory with small cooking area and dishwasher. 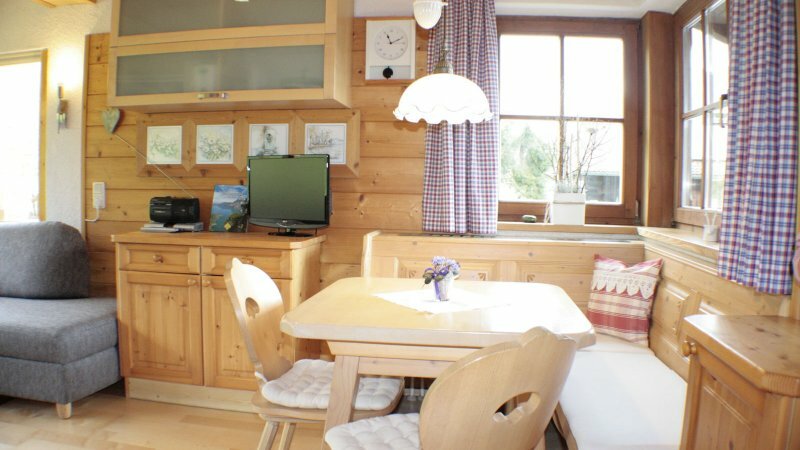 Dining/living area, lobby, balcony and terrace, satellite tv and radio. 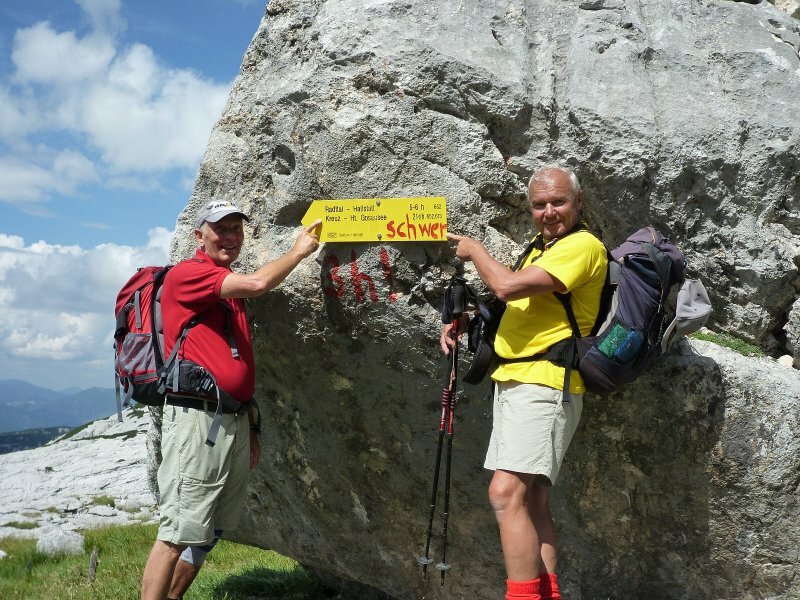 En route with your hosts! 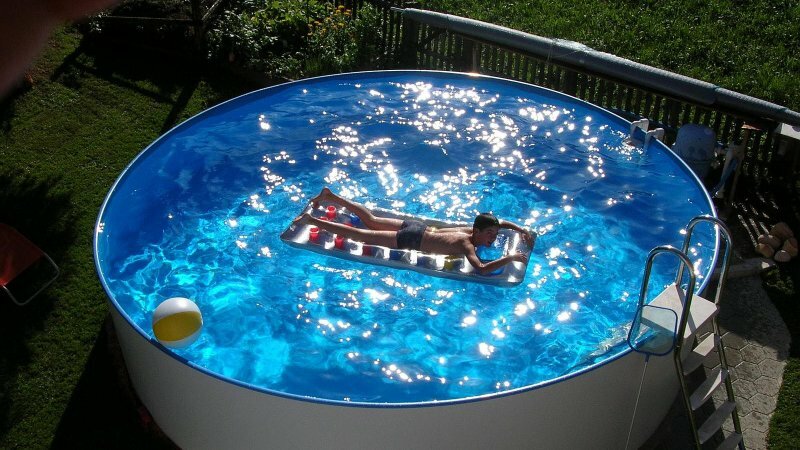 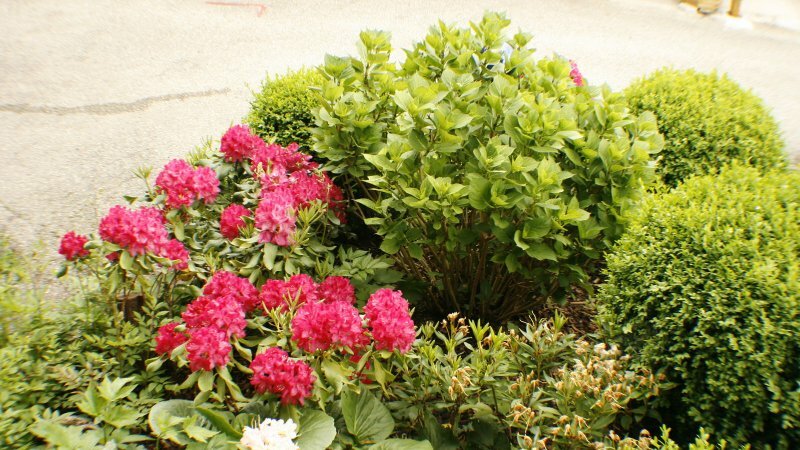 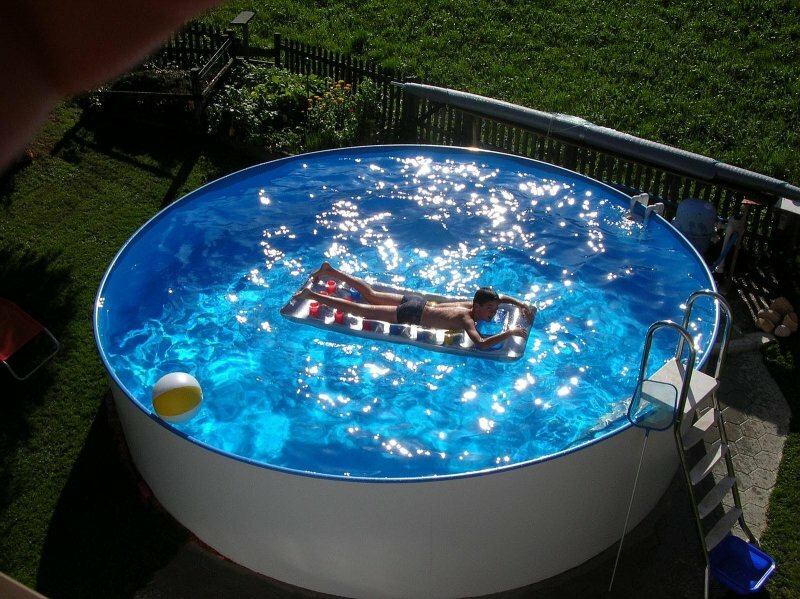 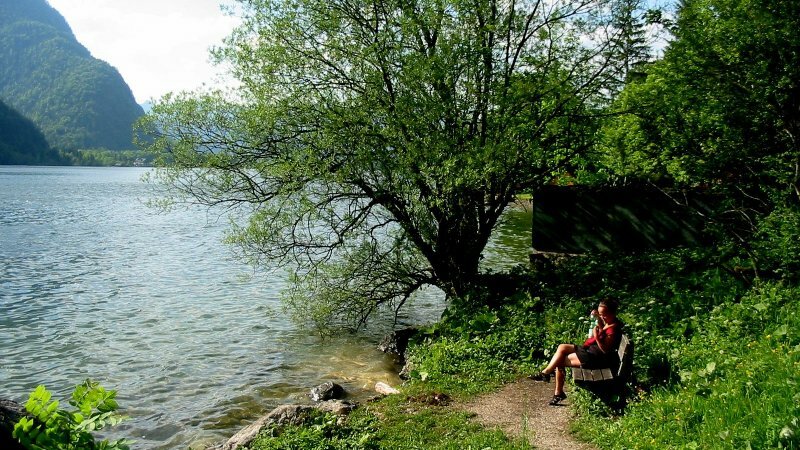 Clear your head and oxygenate your body’s cells. 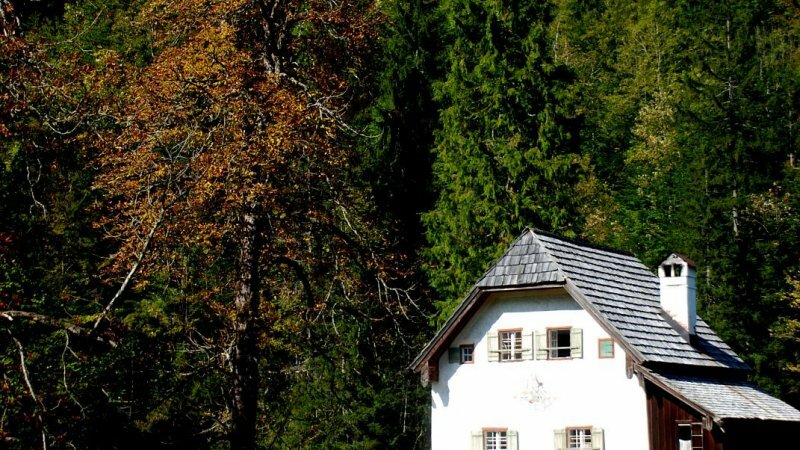 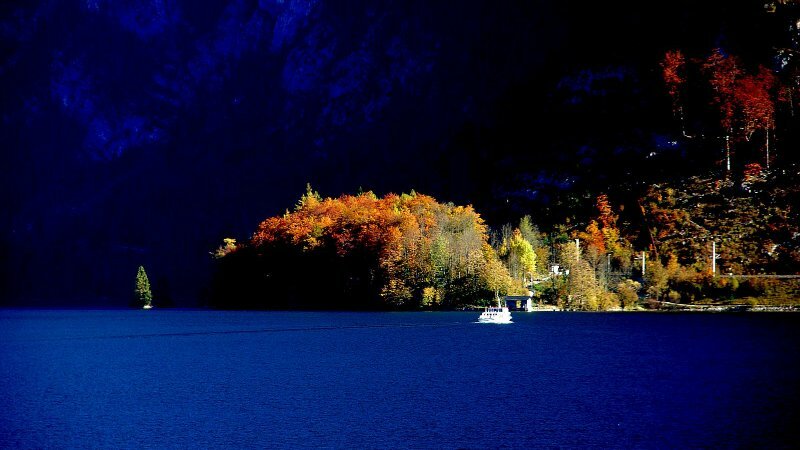 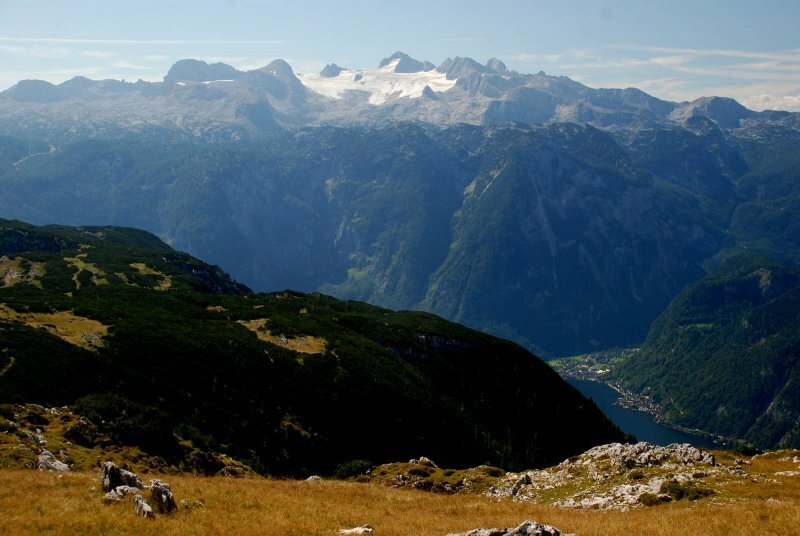 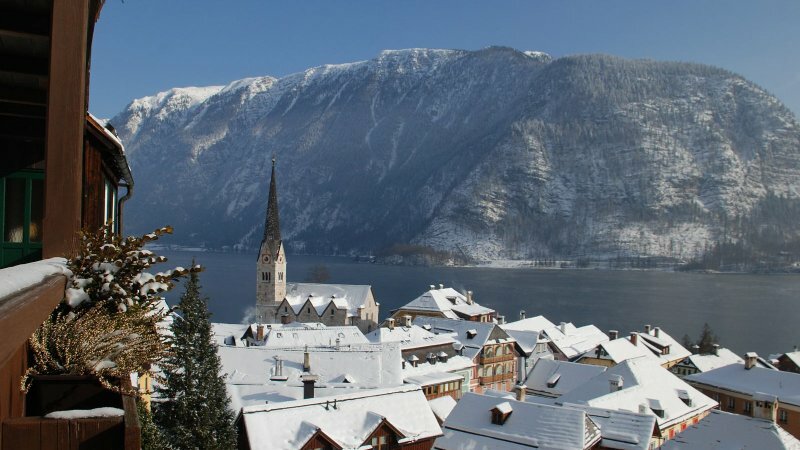 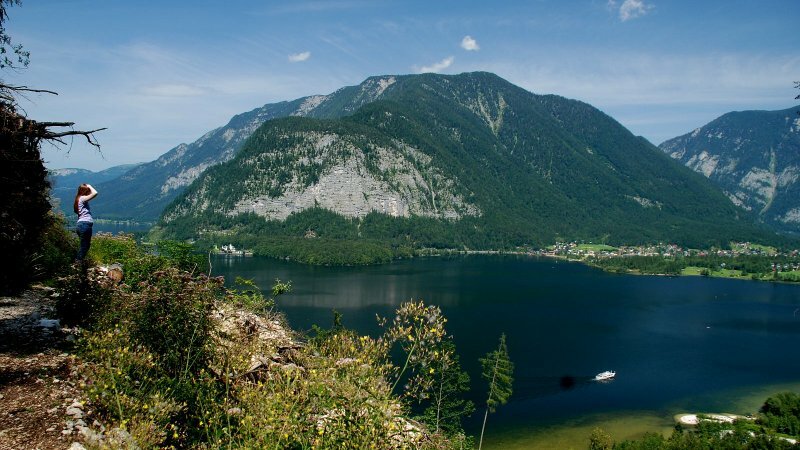 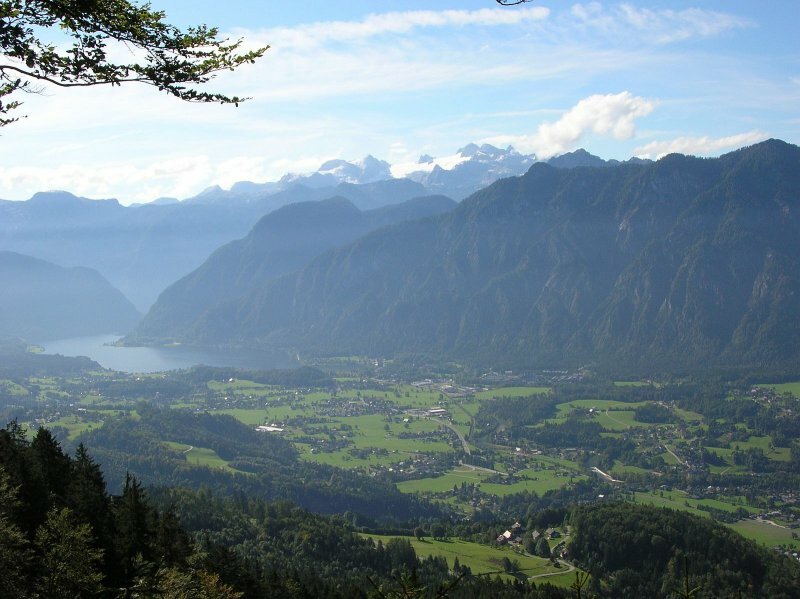 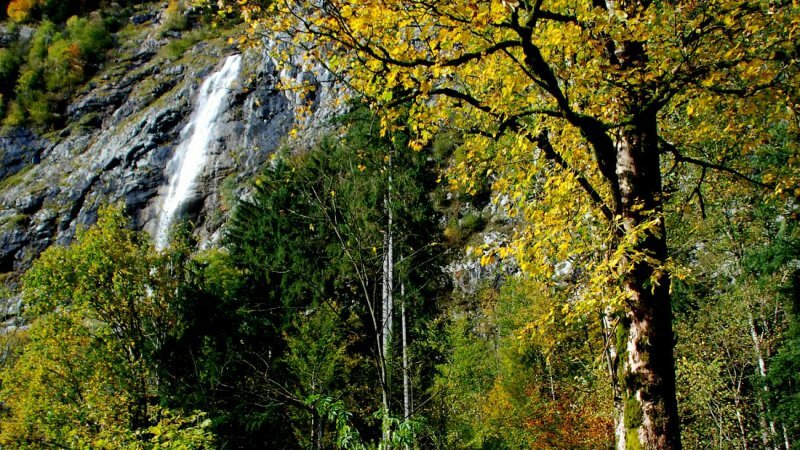 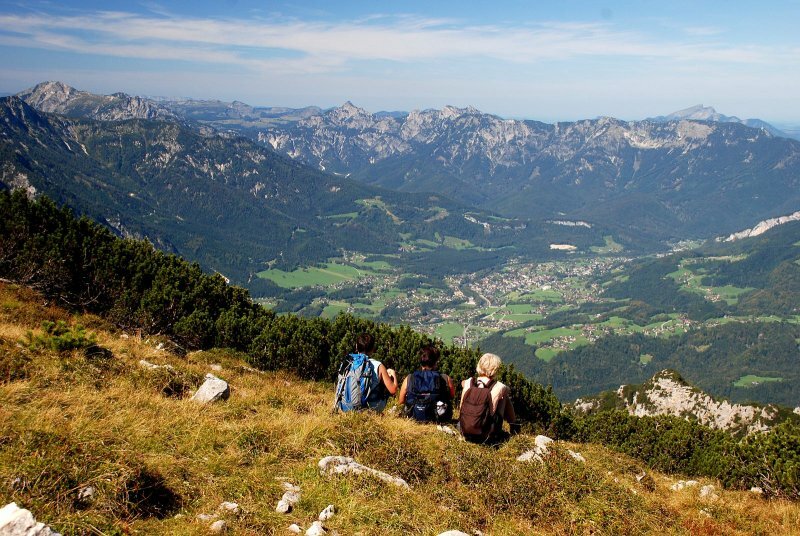 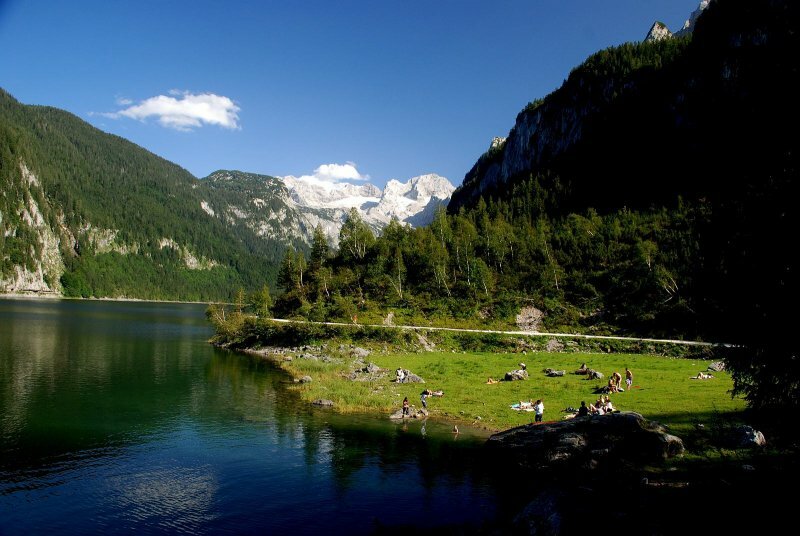 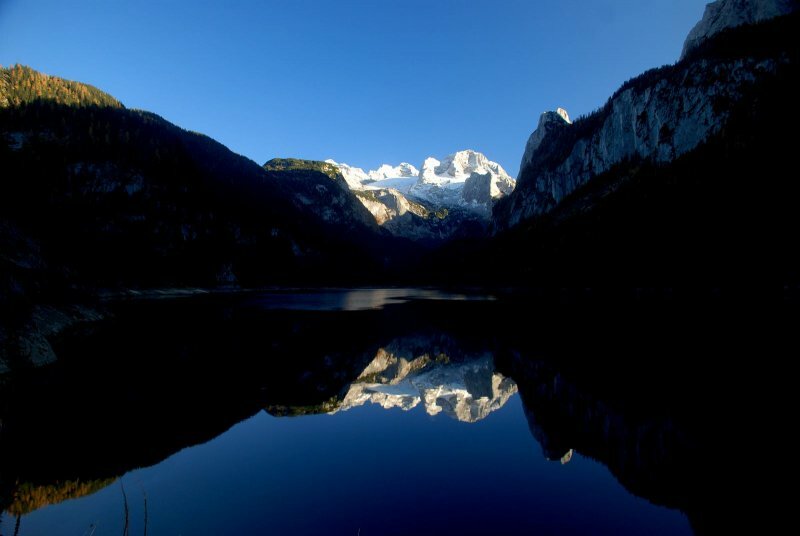 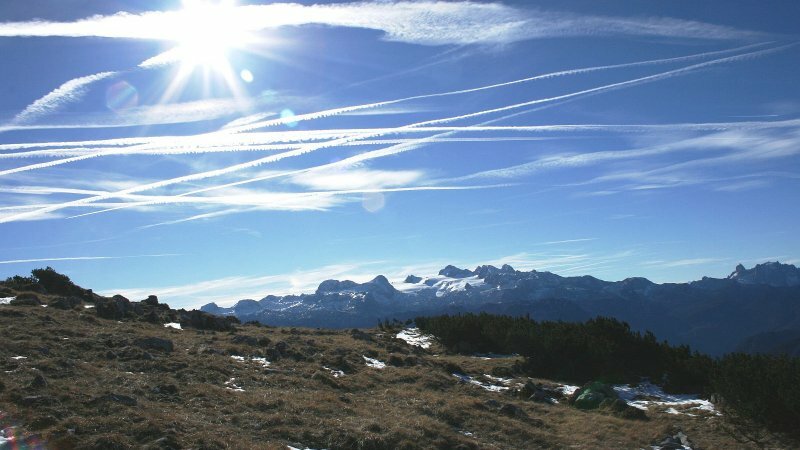 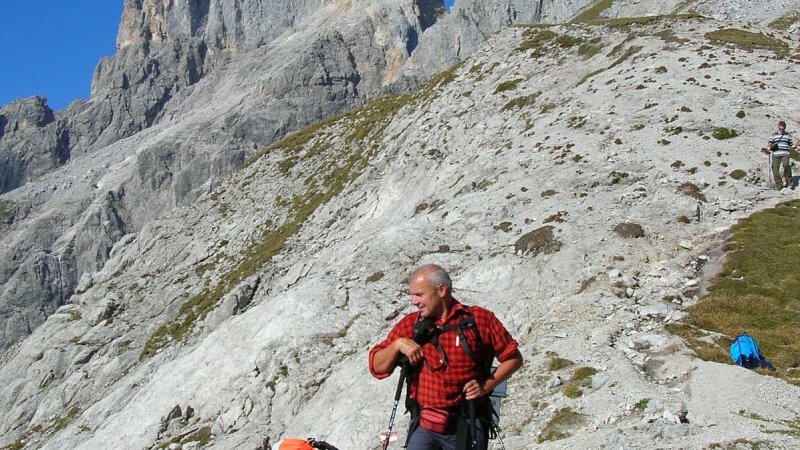 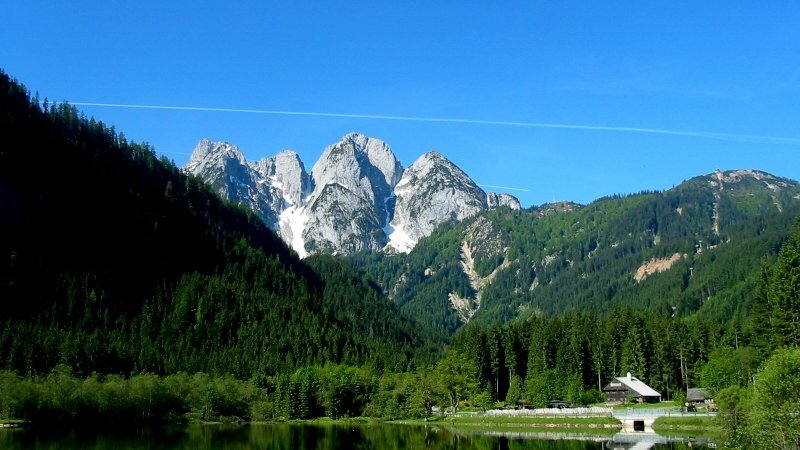 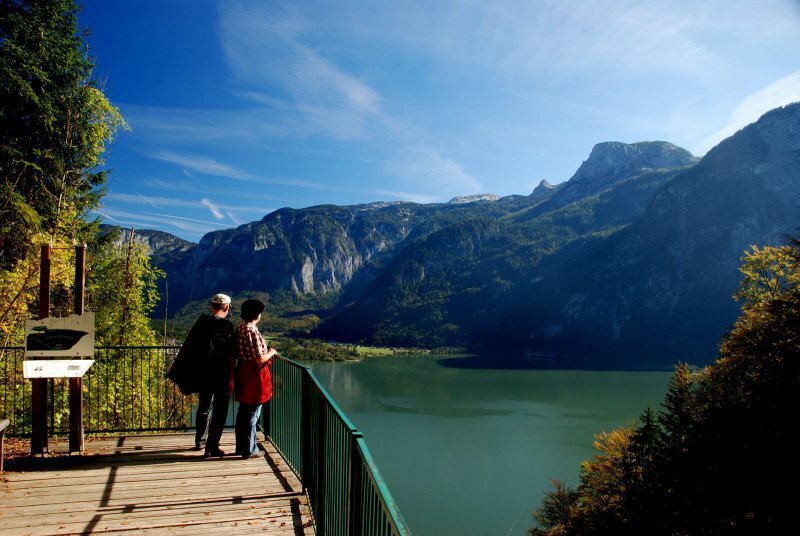 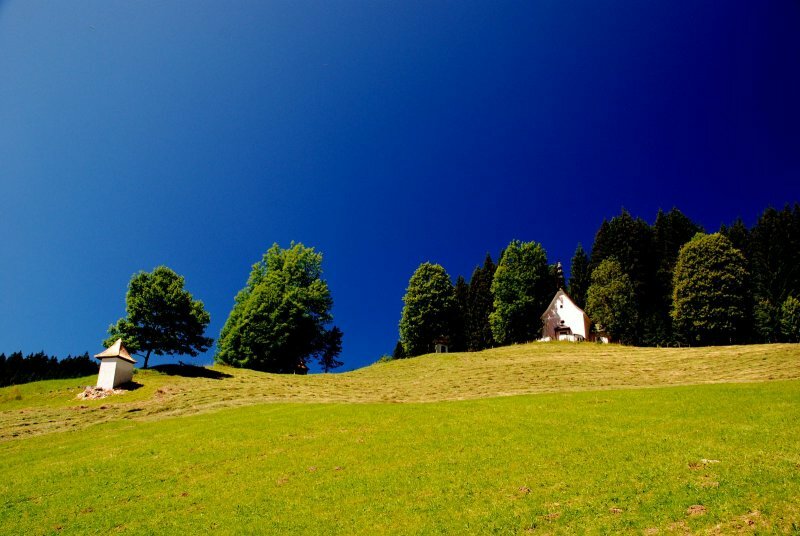 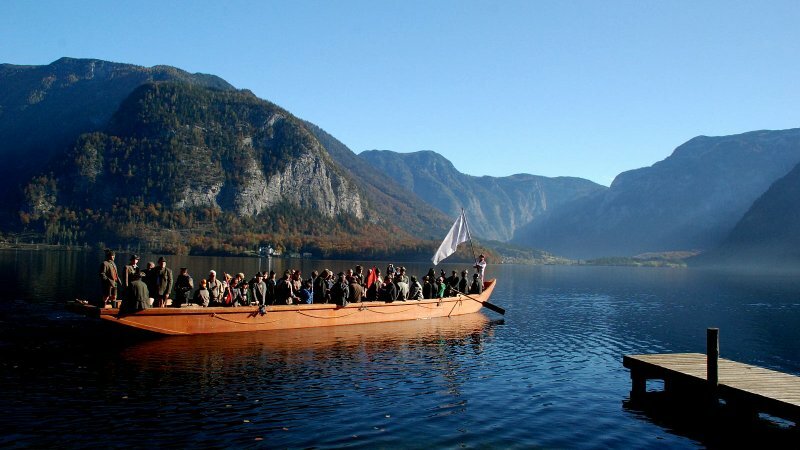 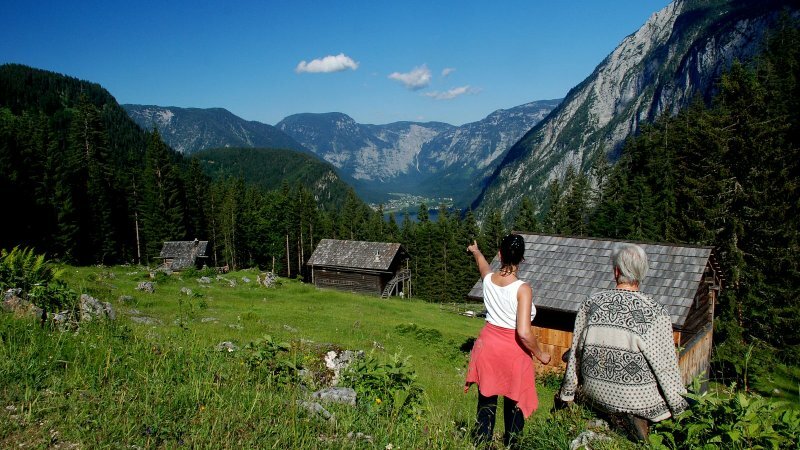 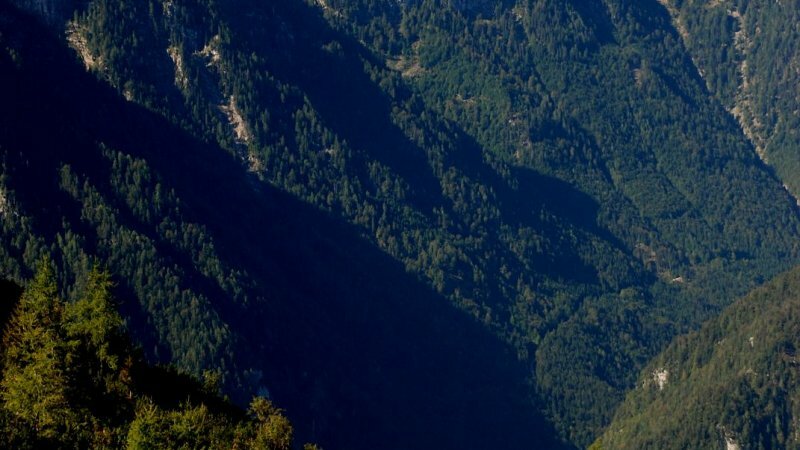 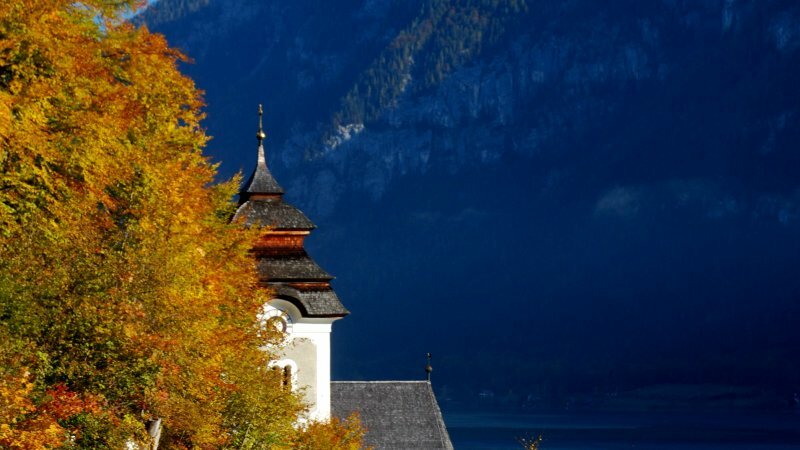 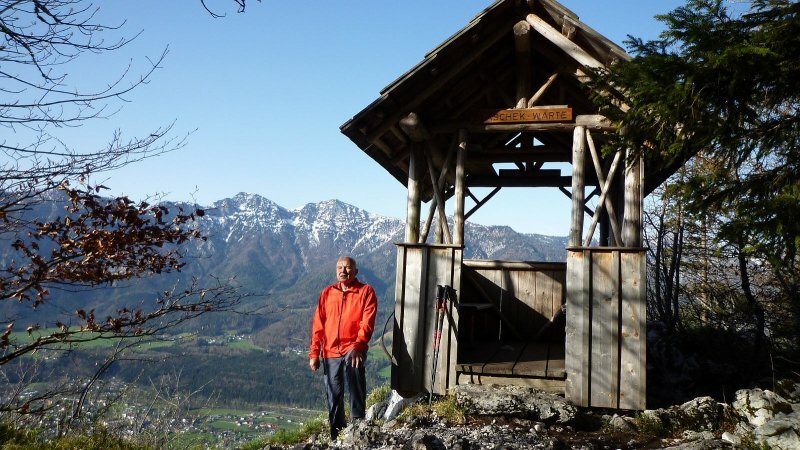 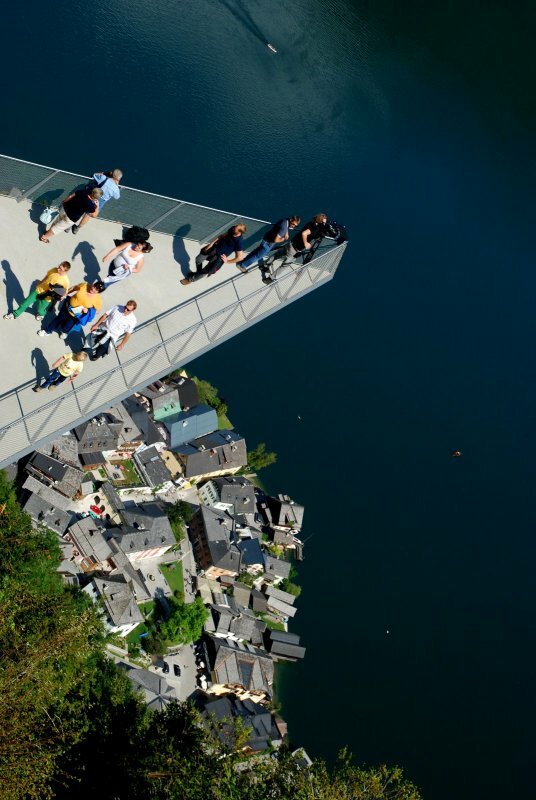 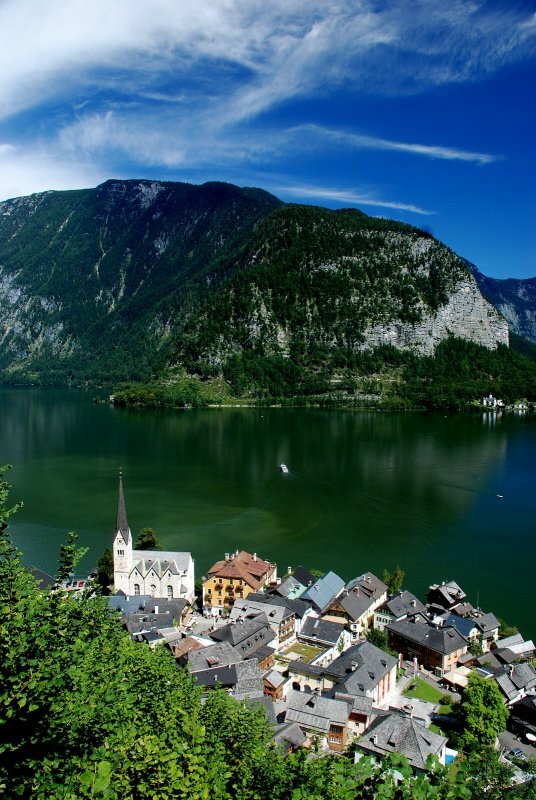 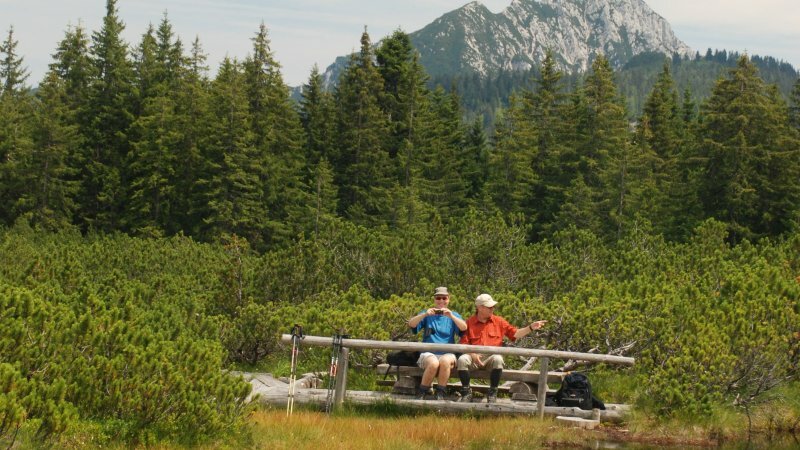 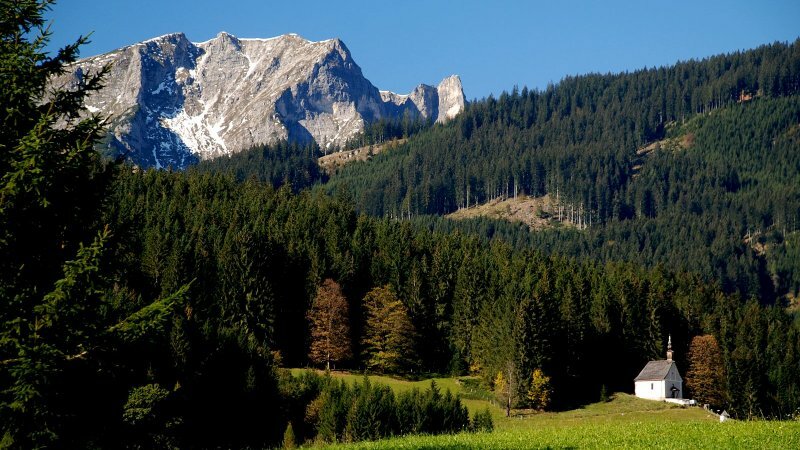 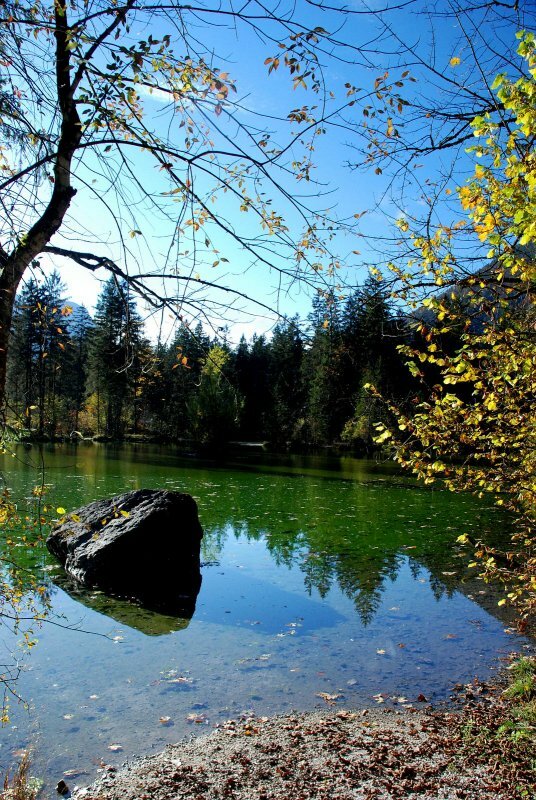 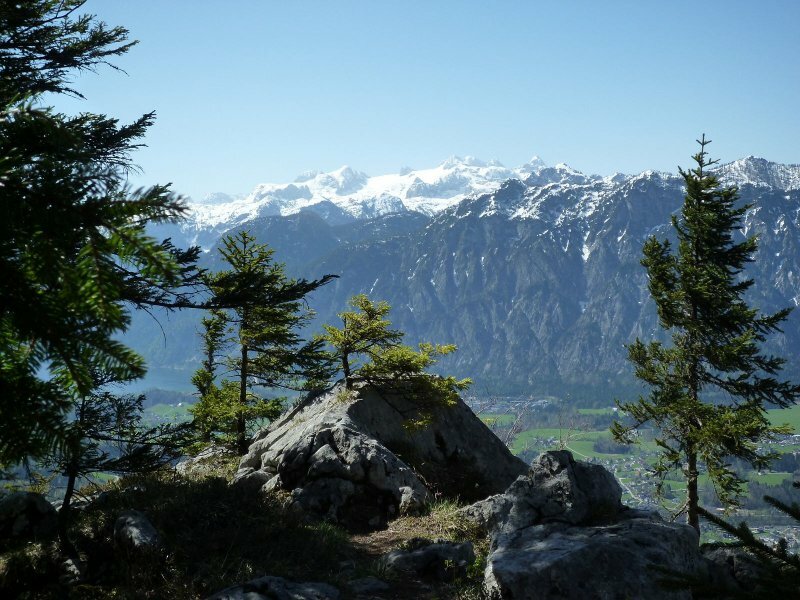 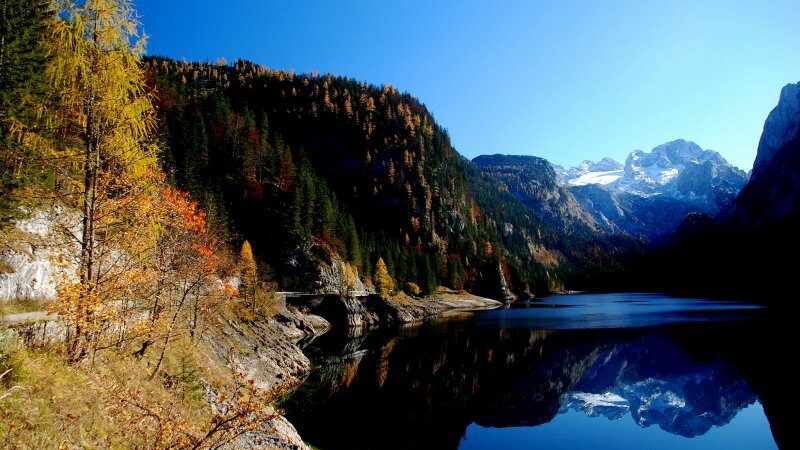 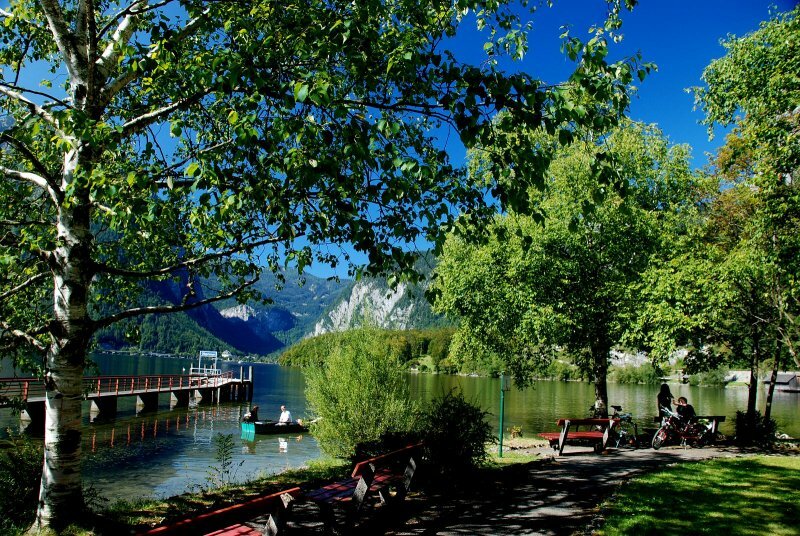 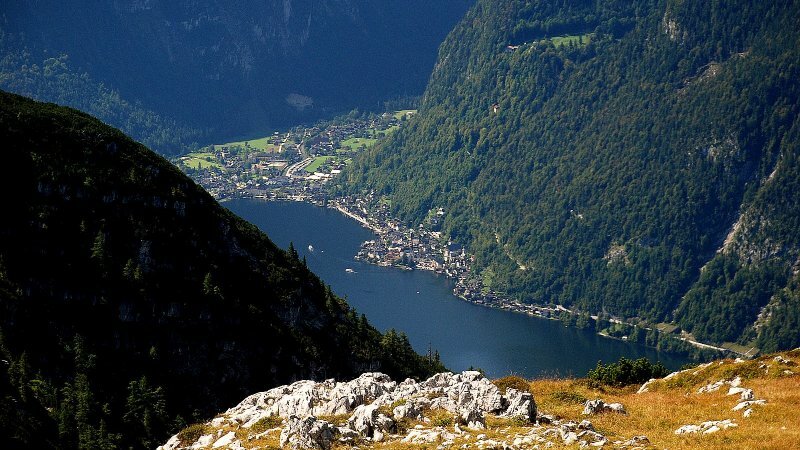 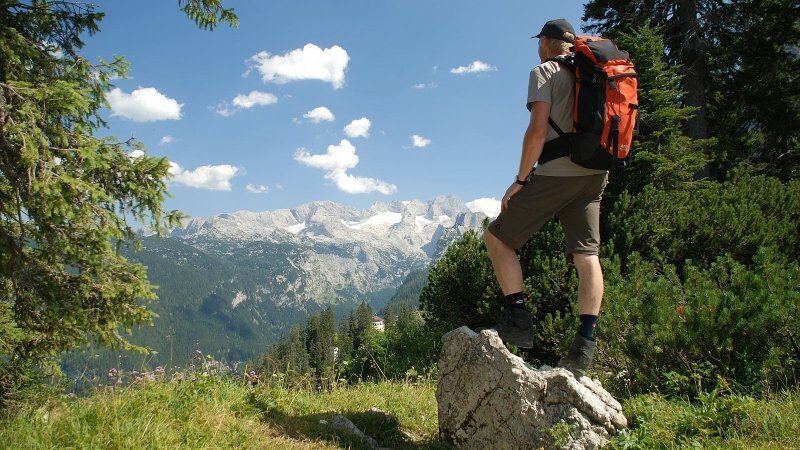 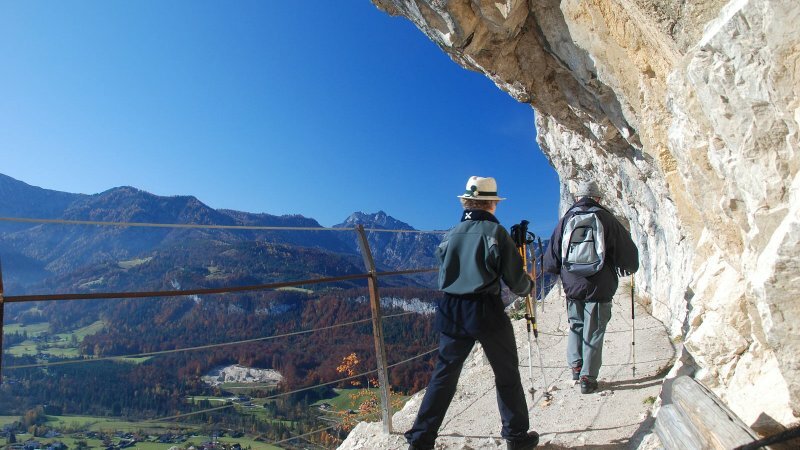 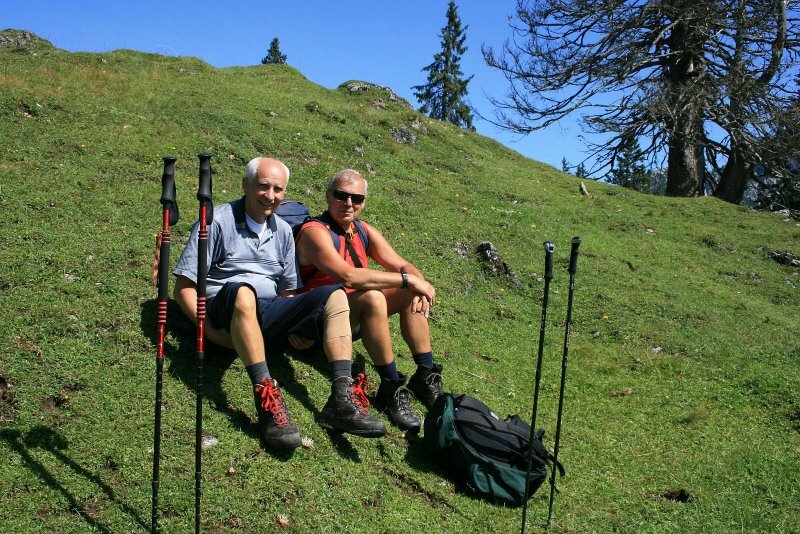 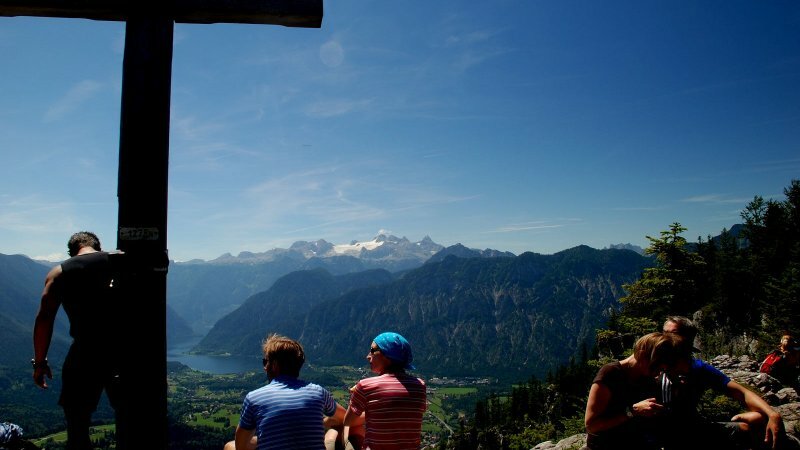 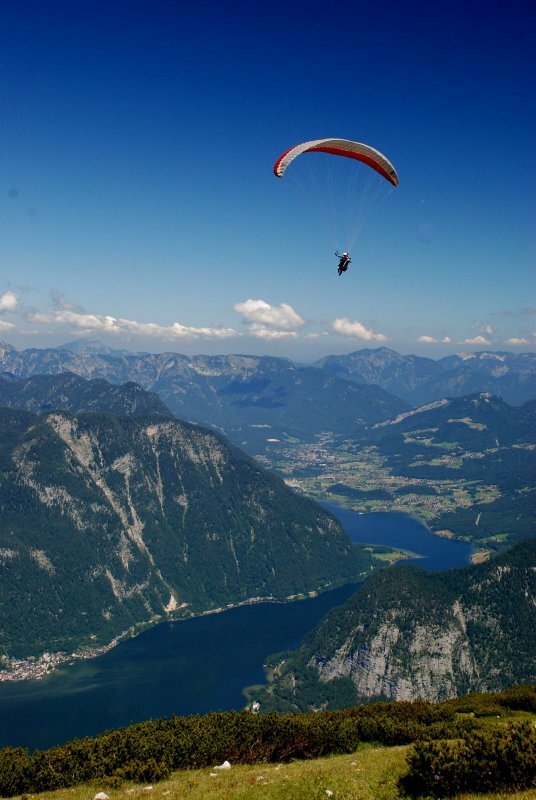 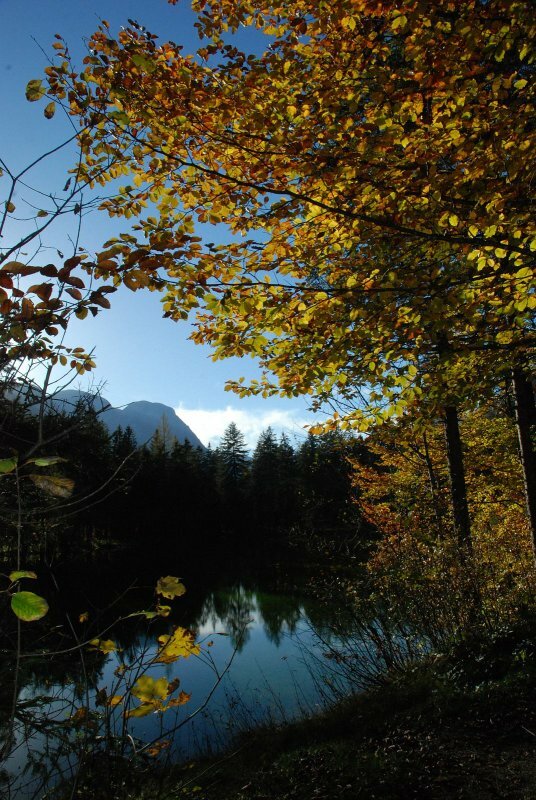 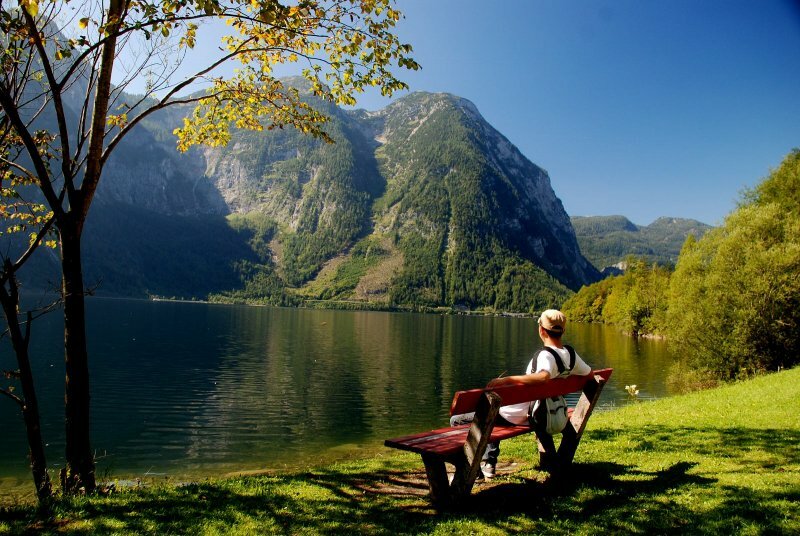 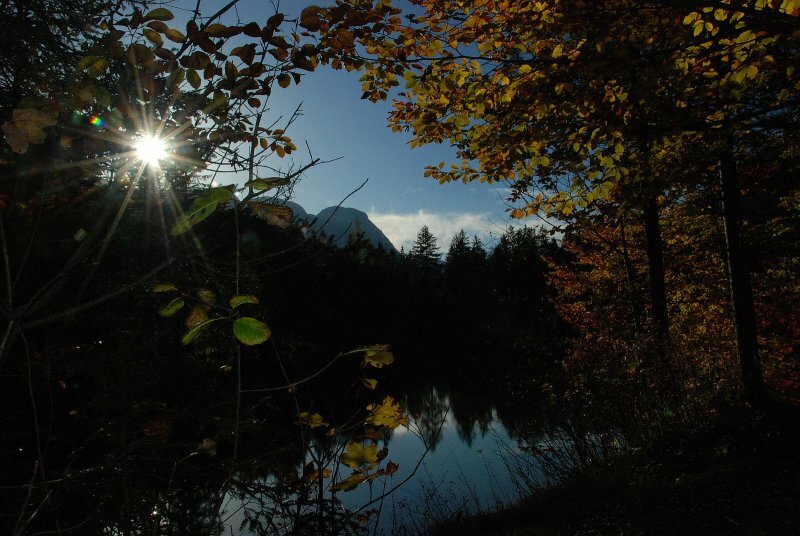 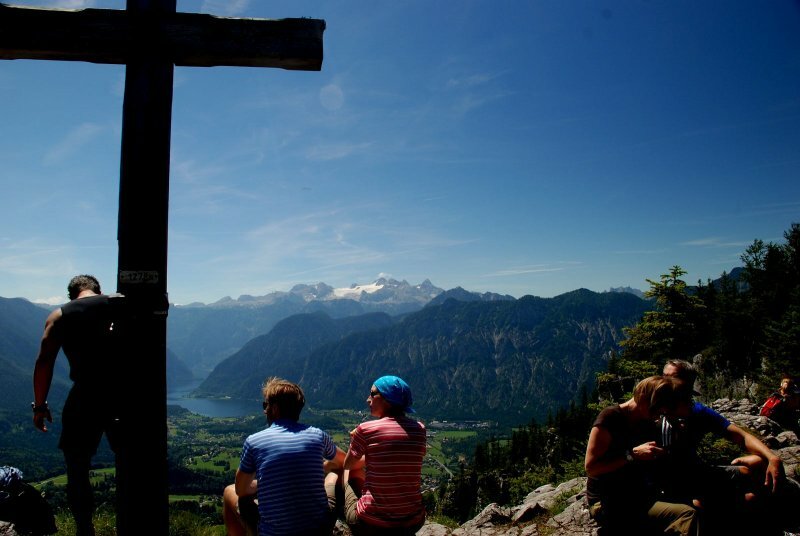 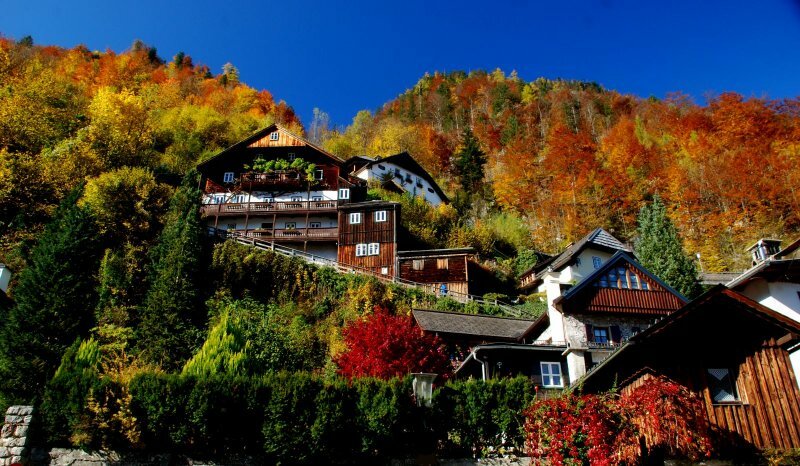 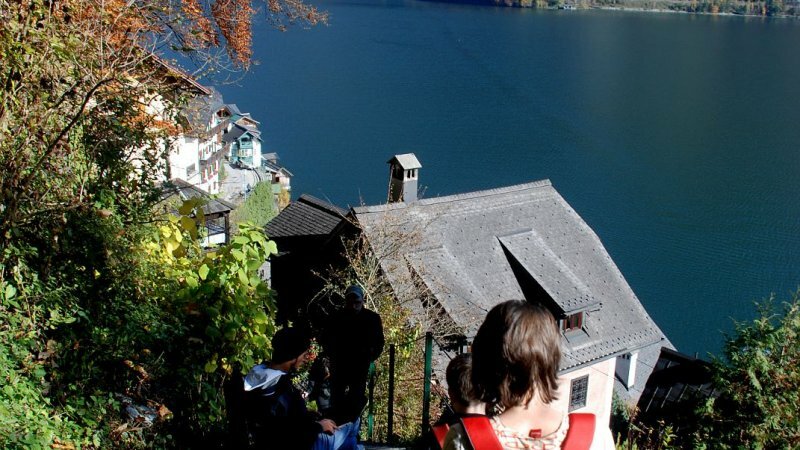 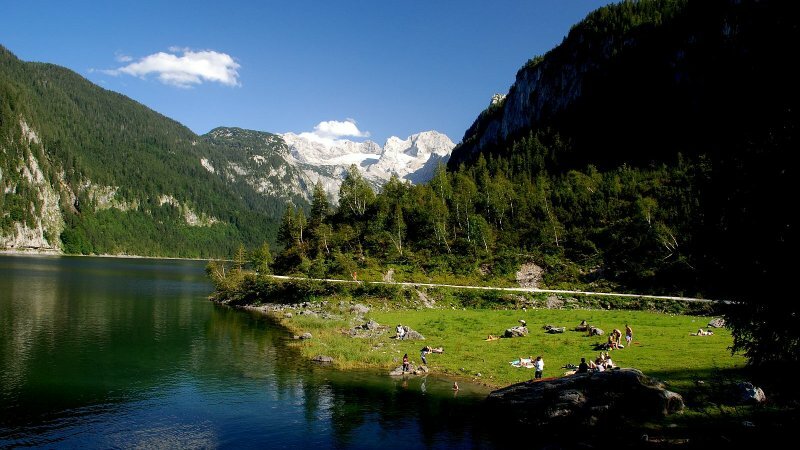 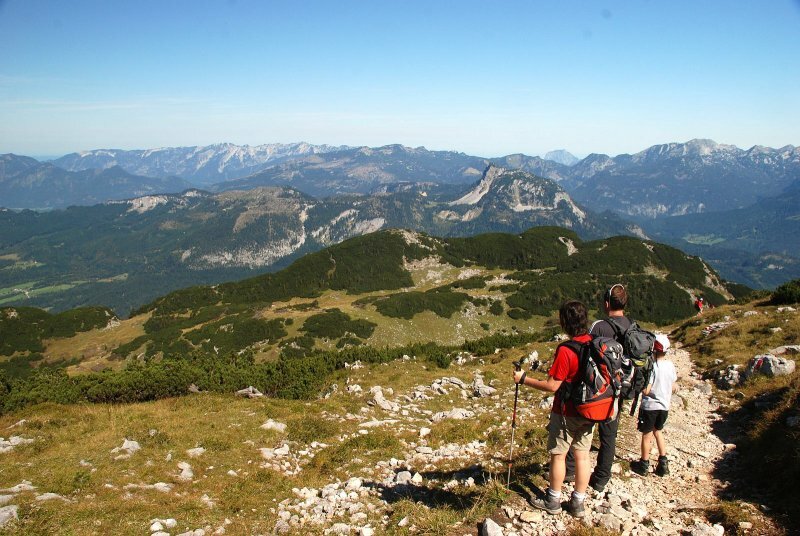 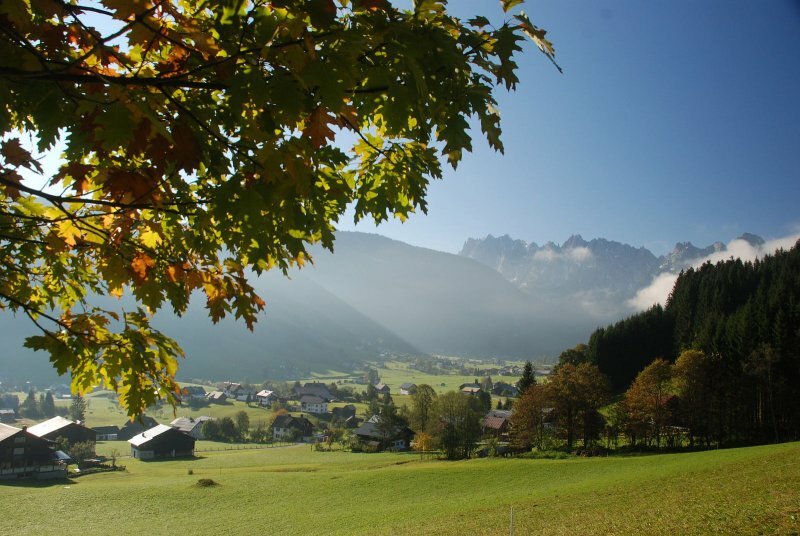 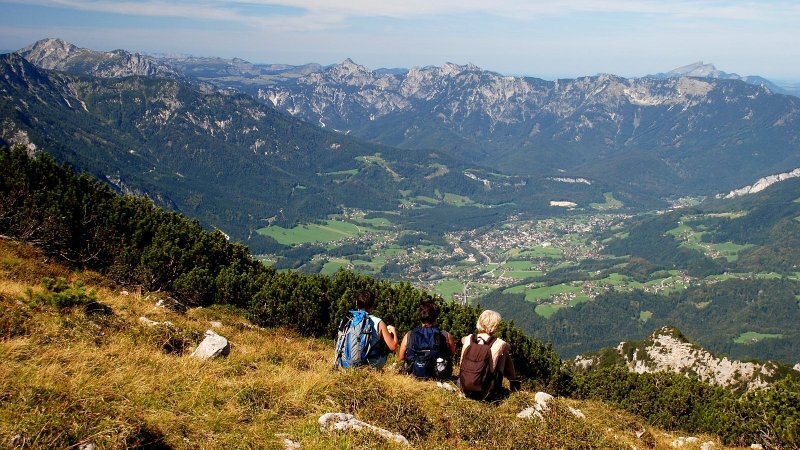 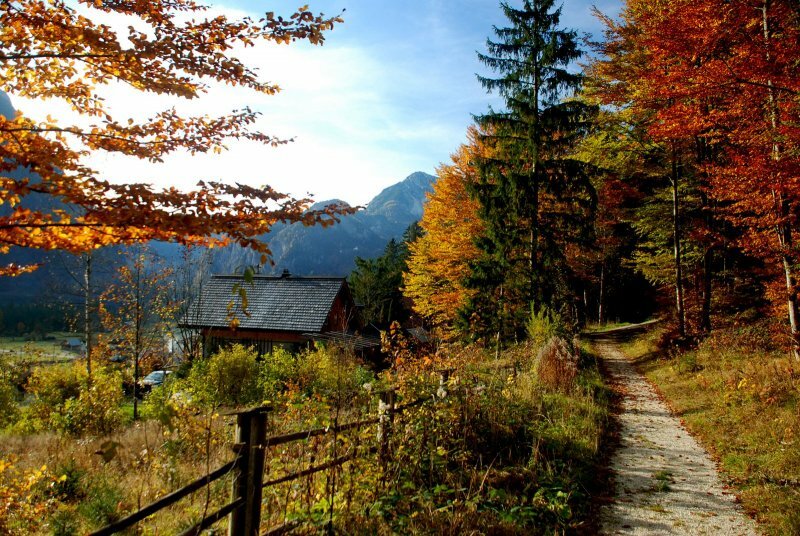 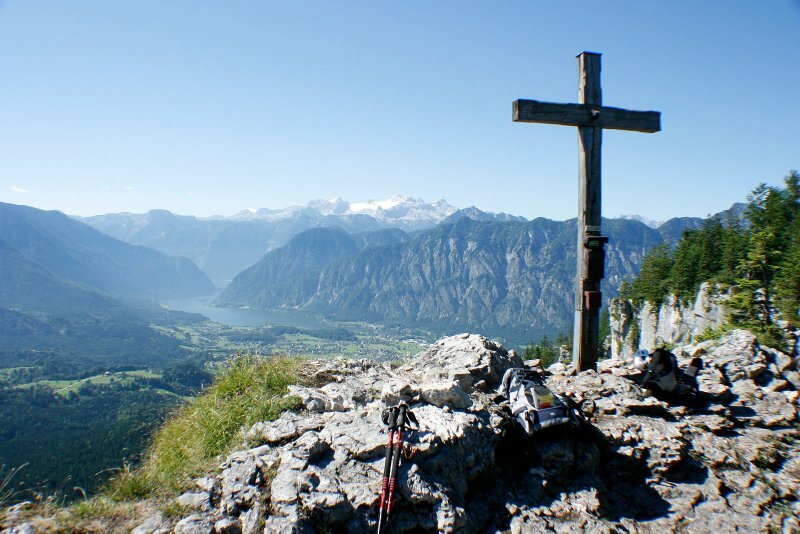 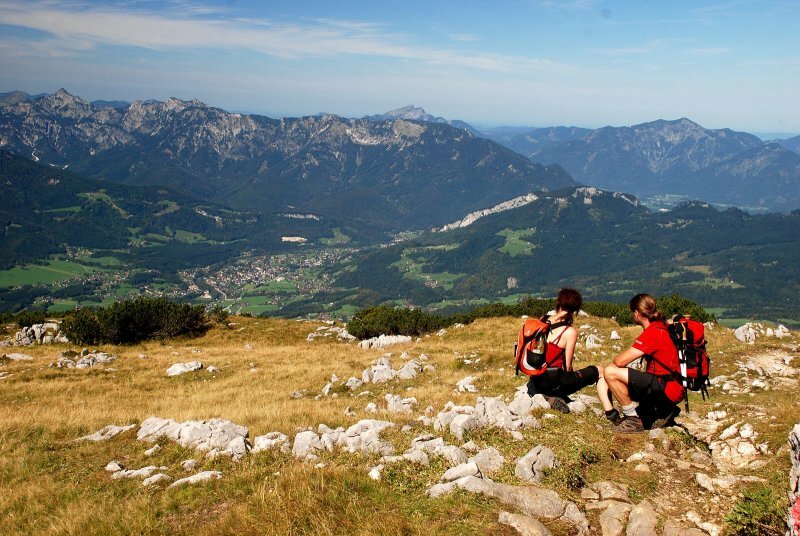 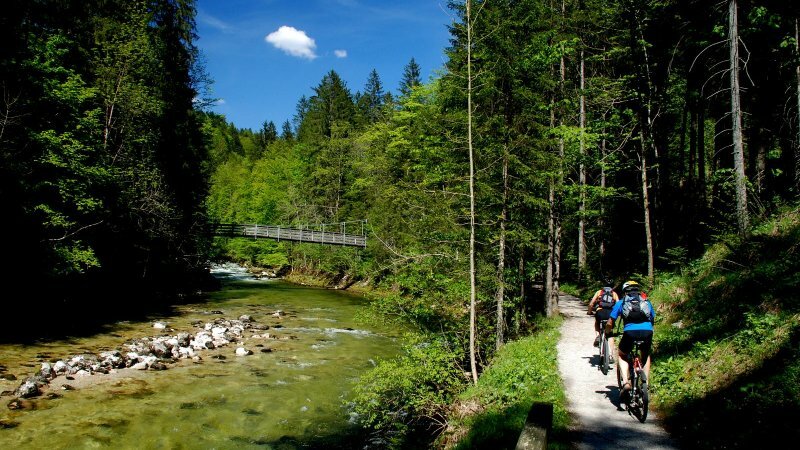 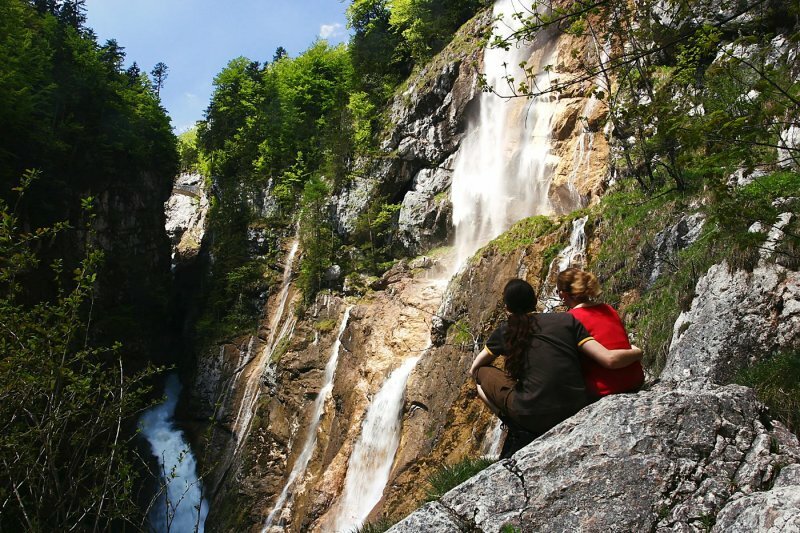 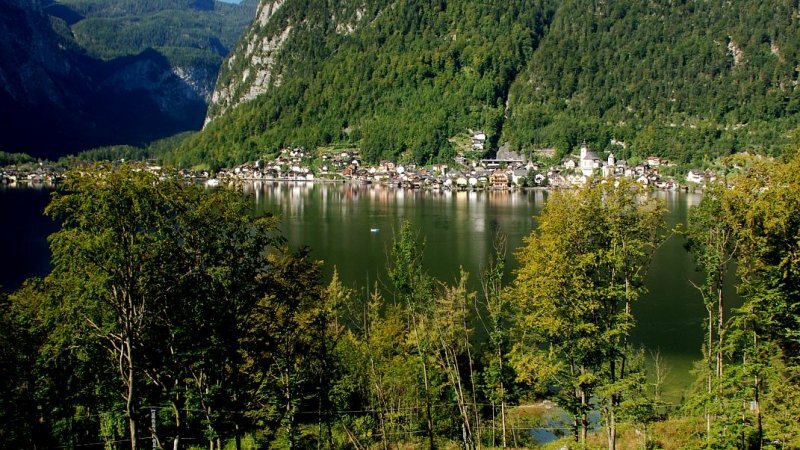 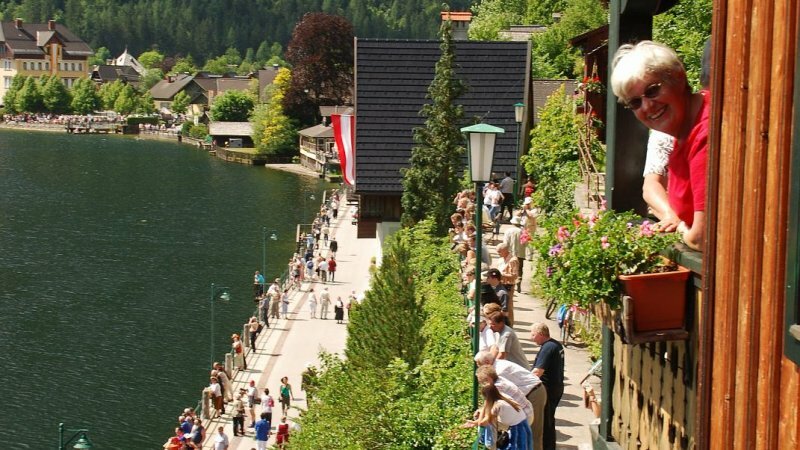 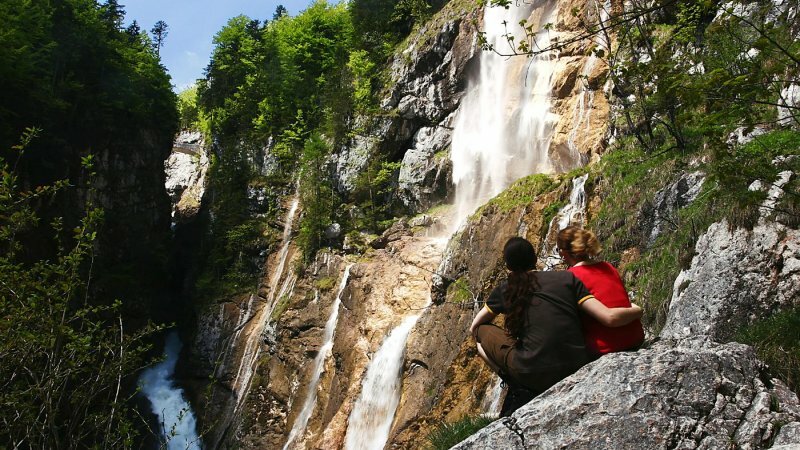 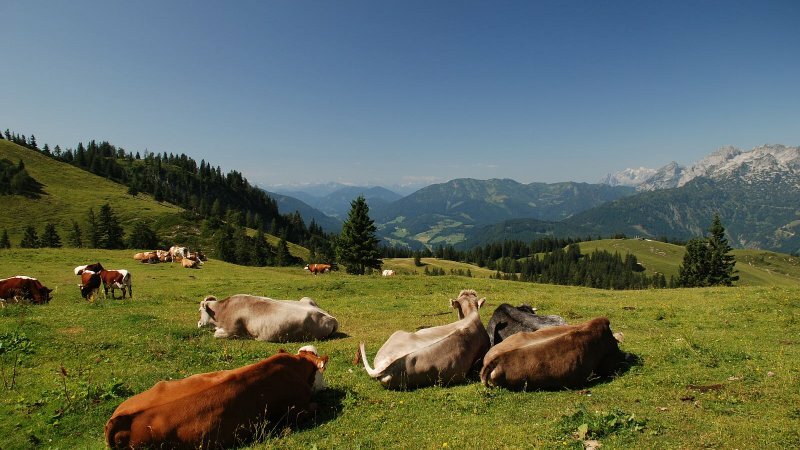 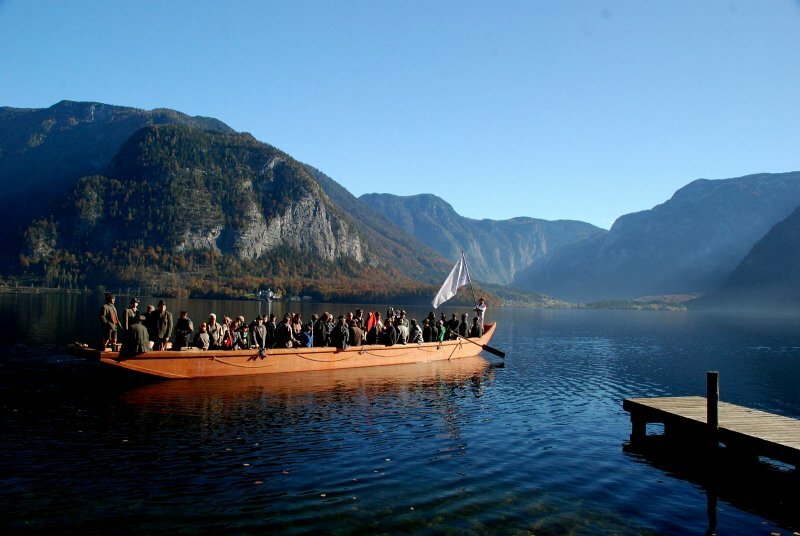 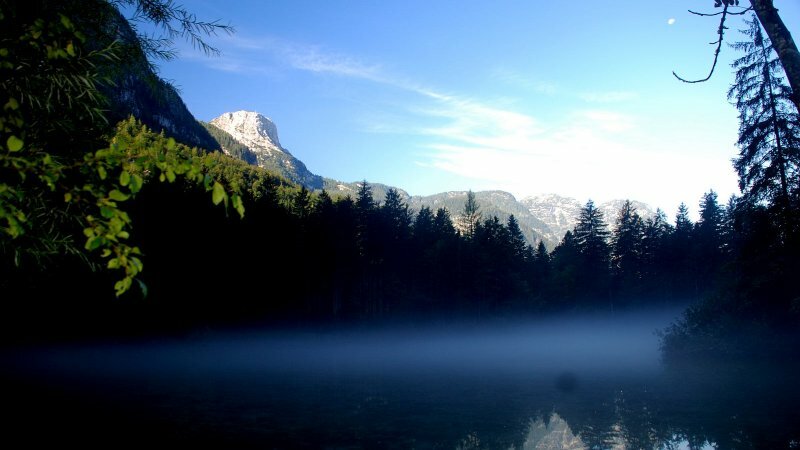 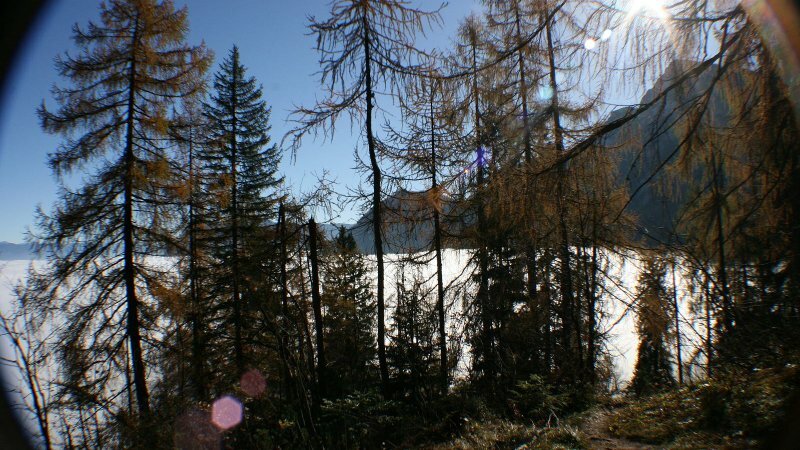 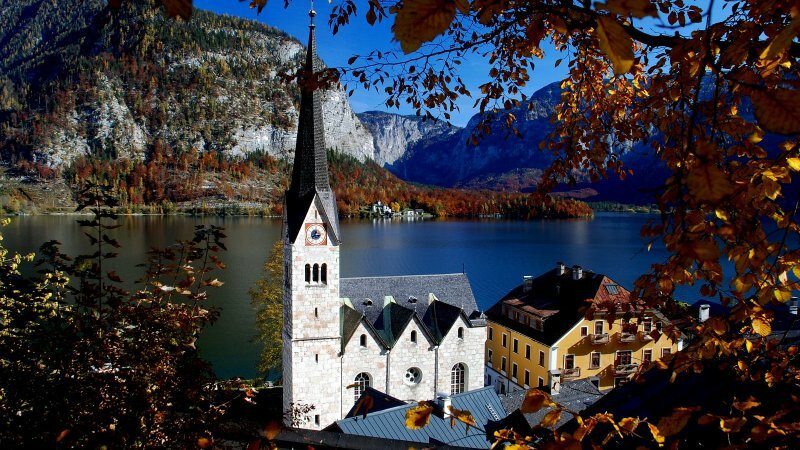 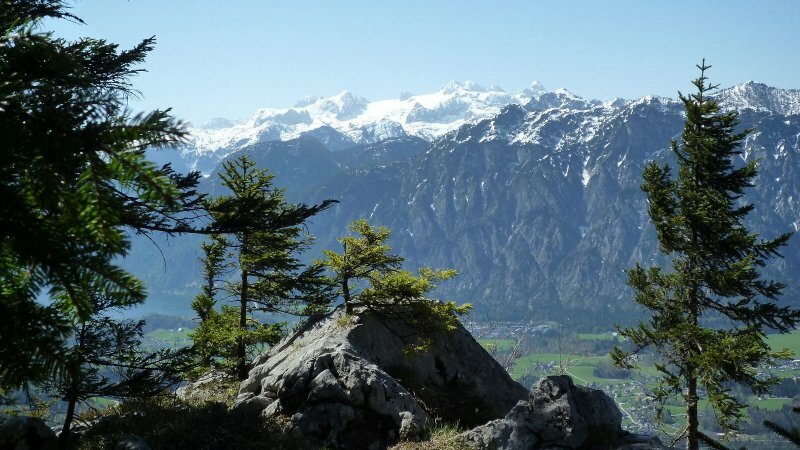 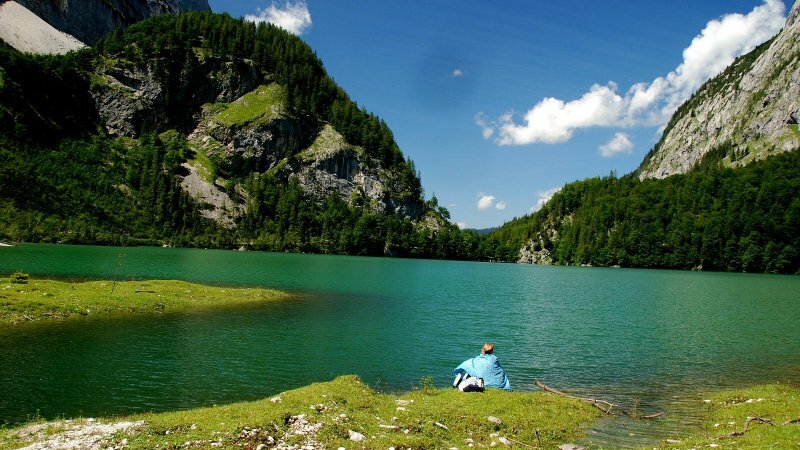 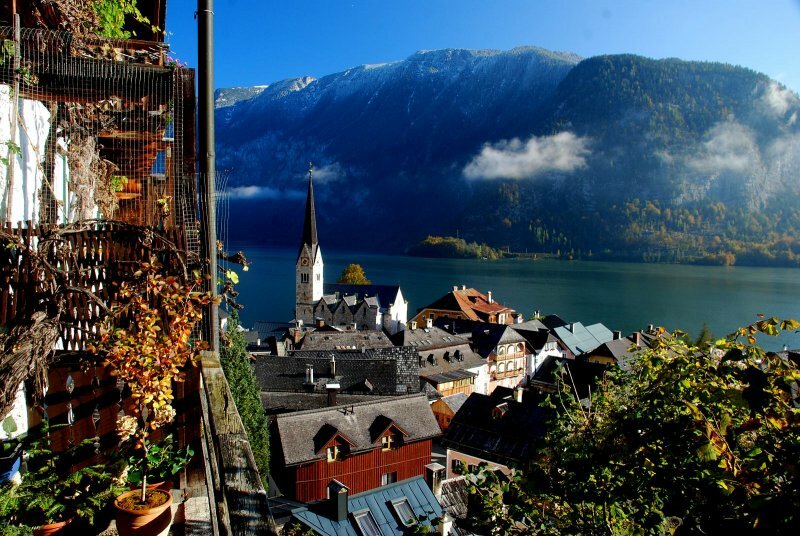 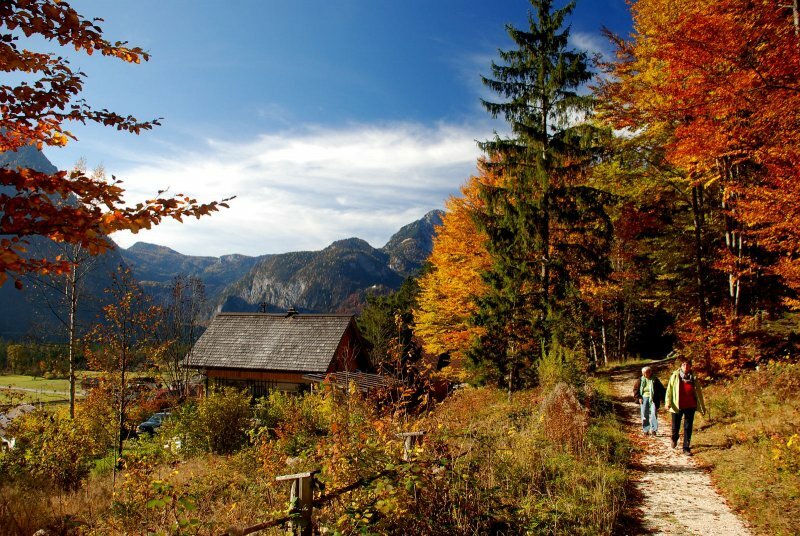 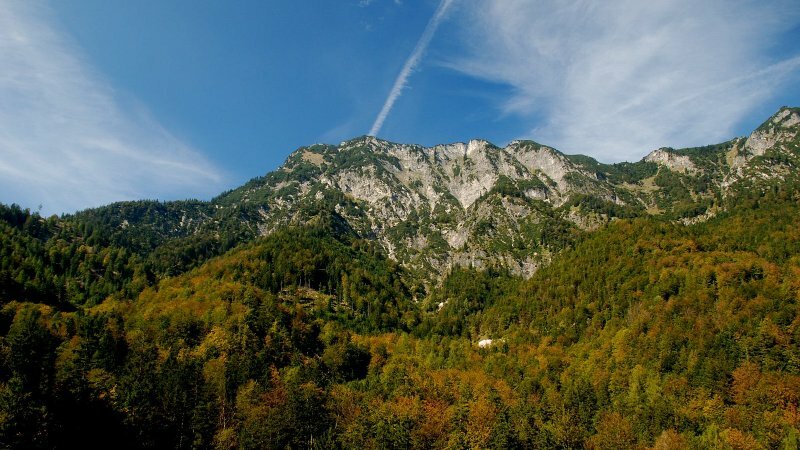 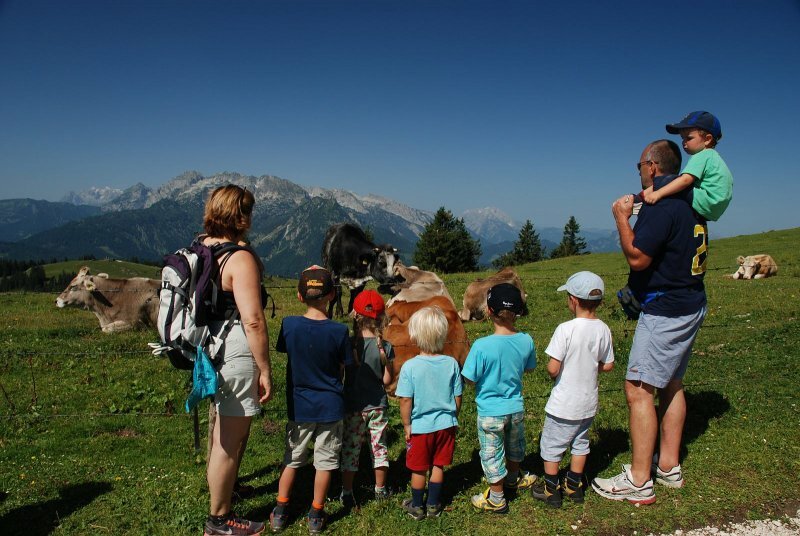 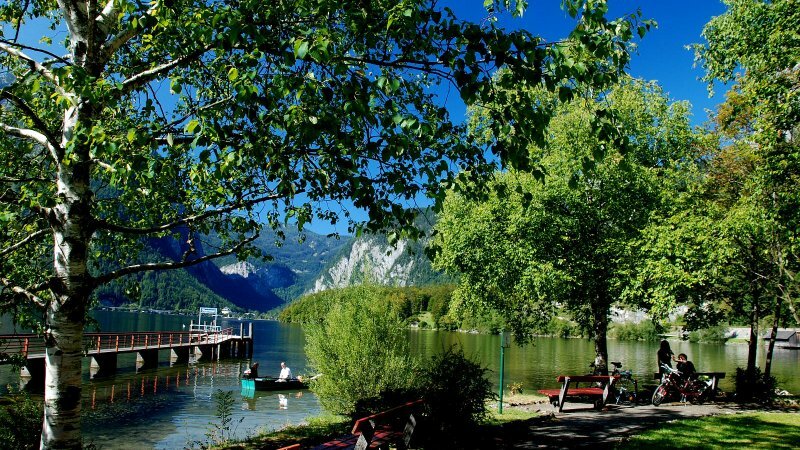 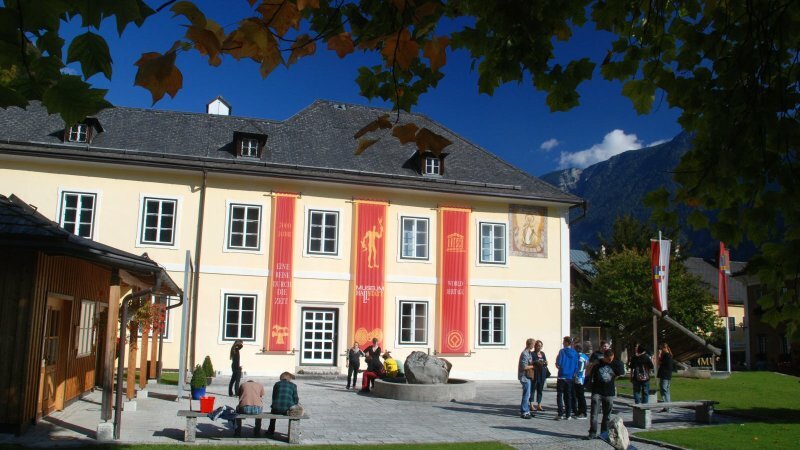 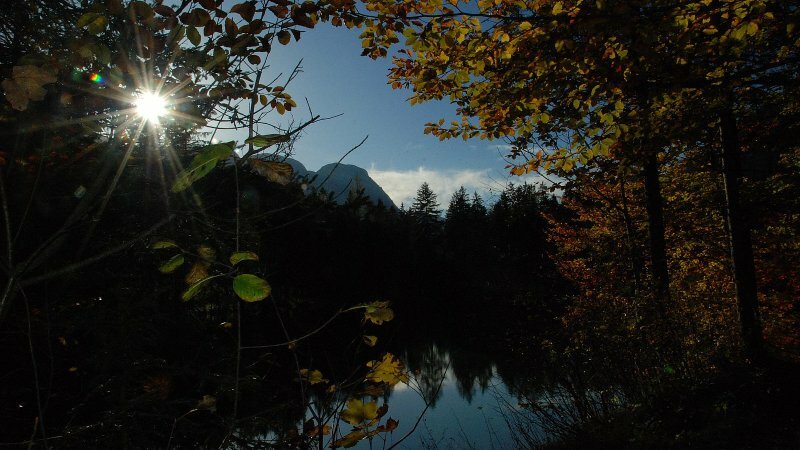 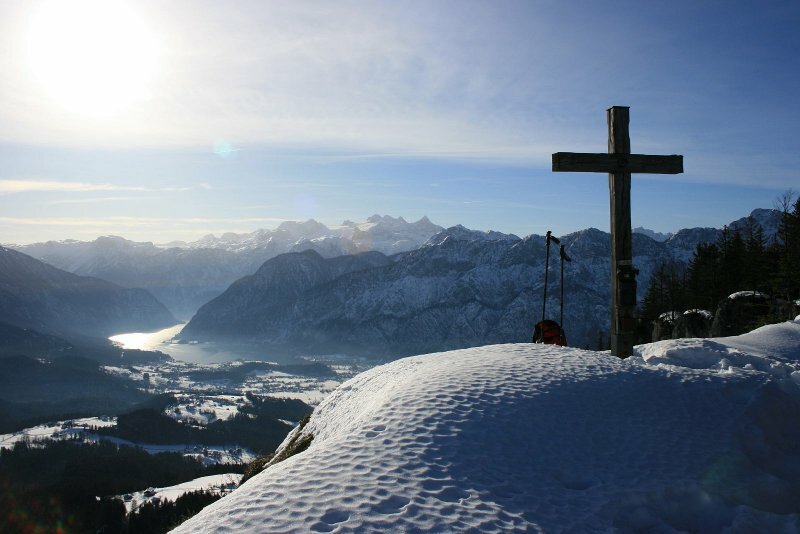 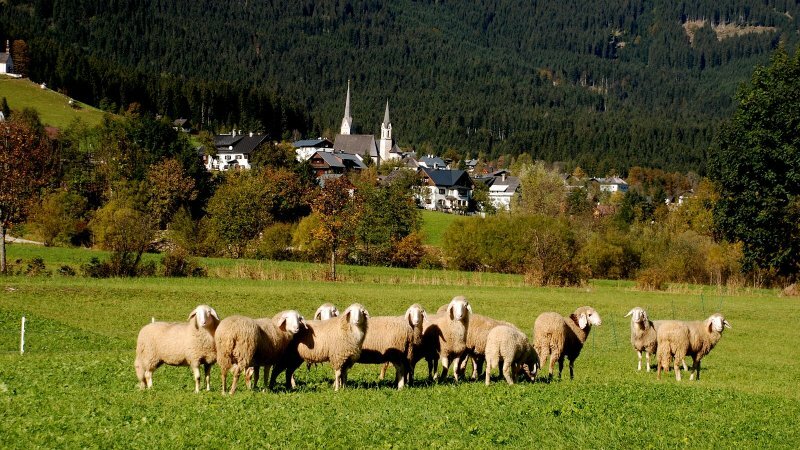 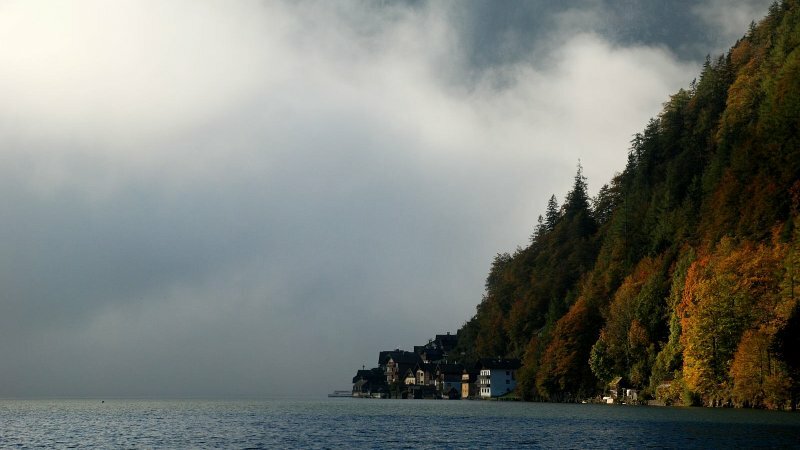 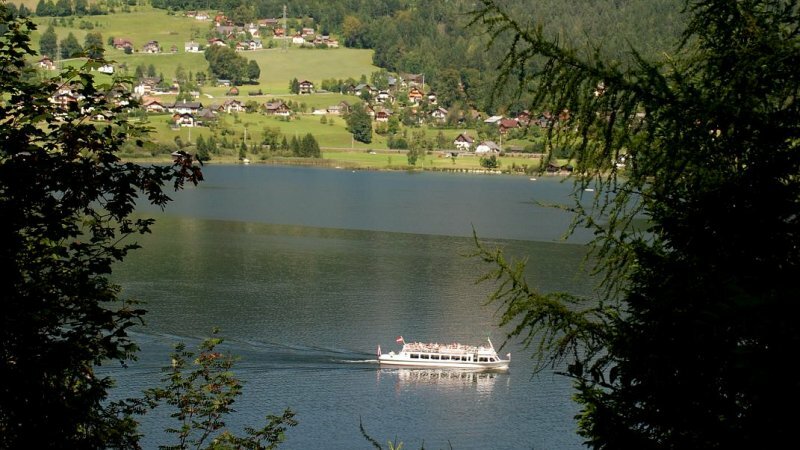 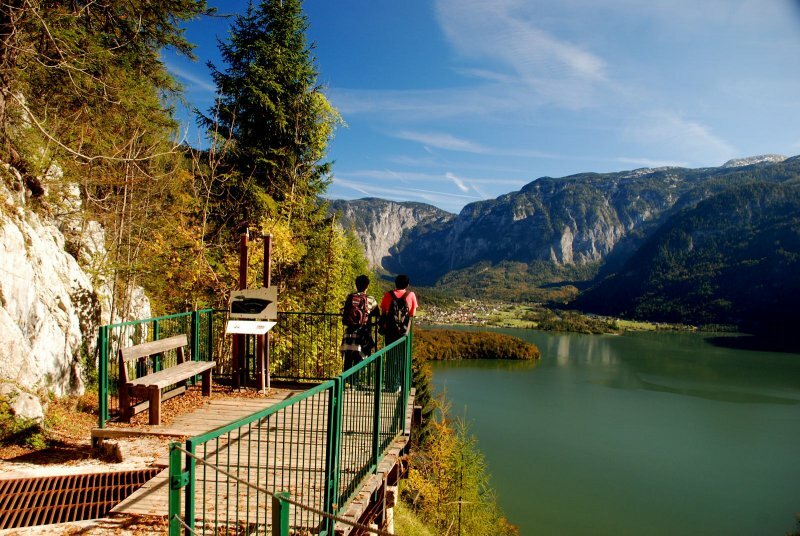 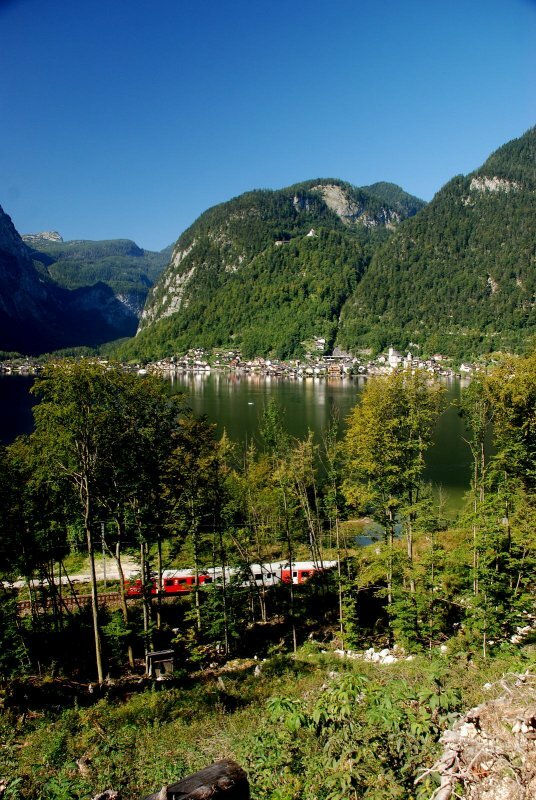 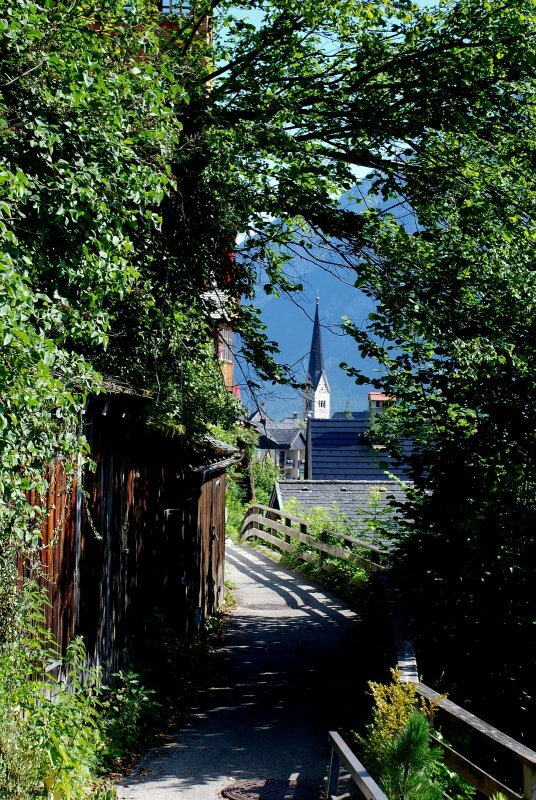 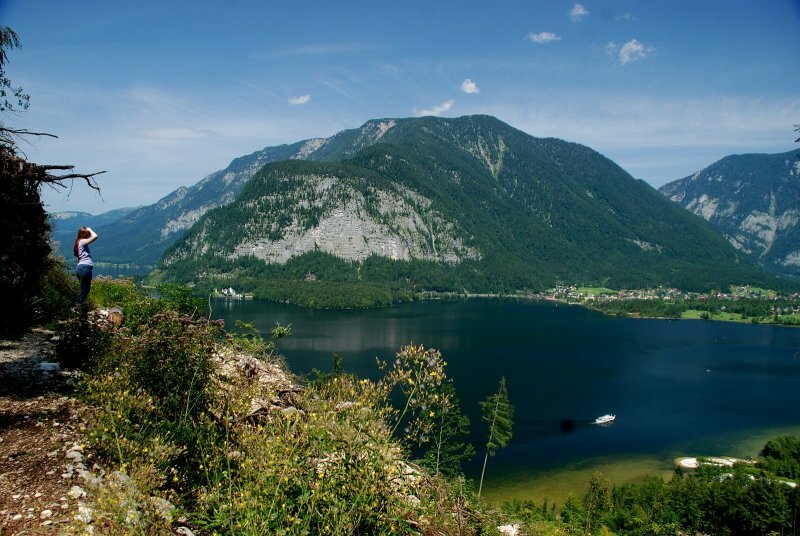 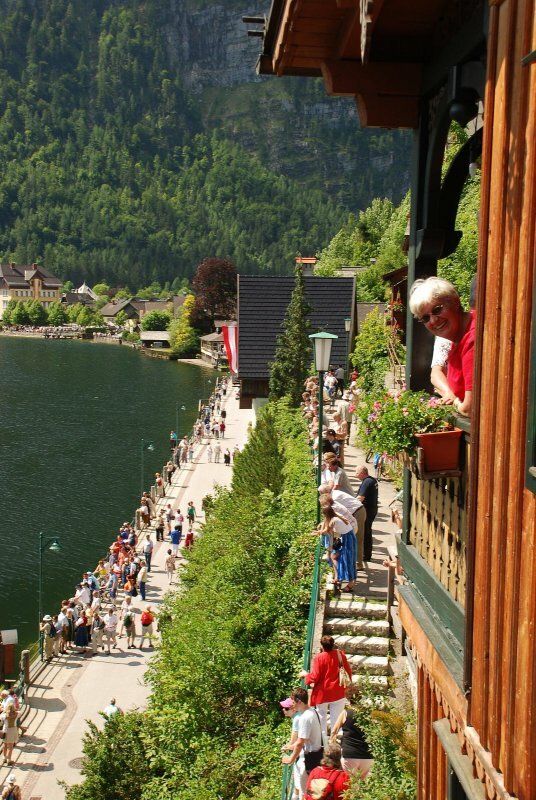 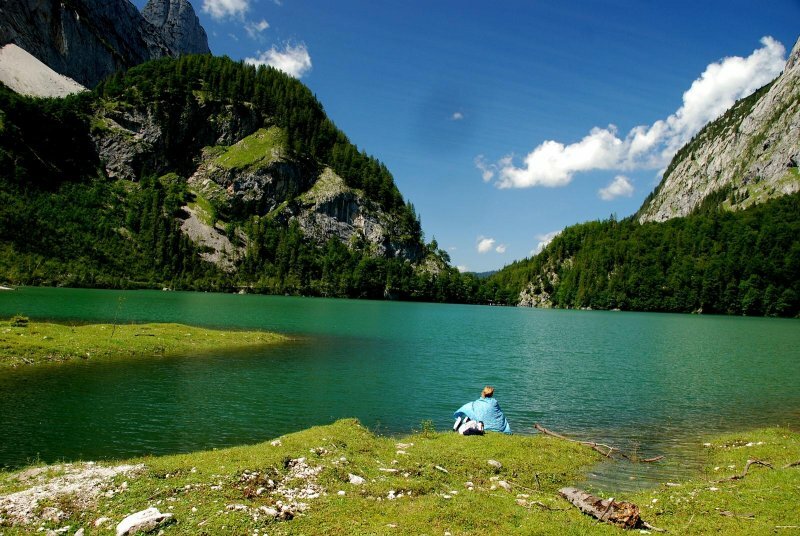 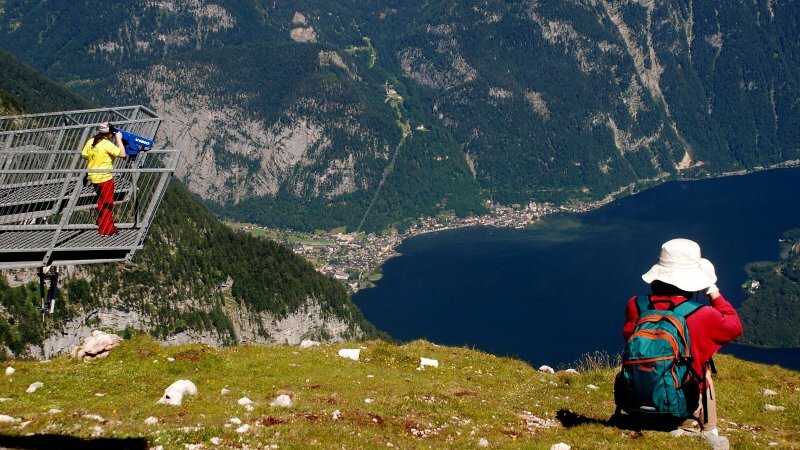 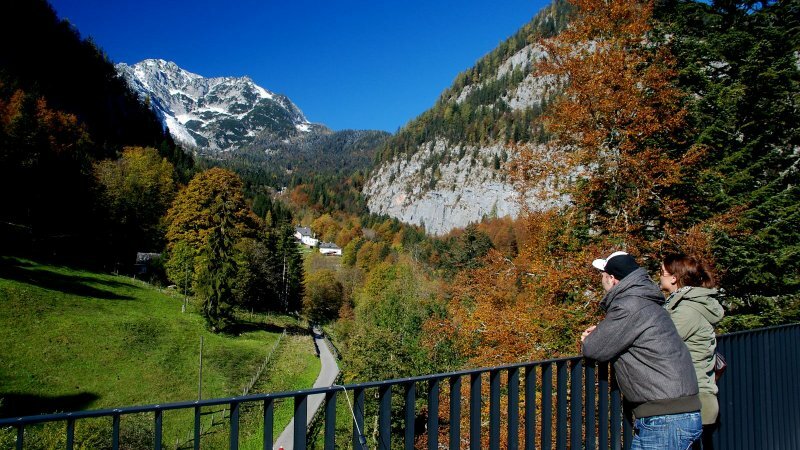 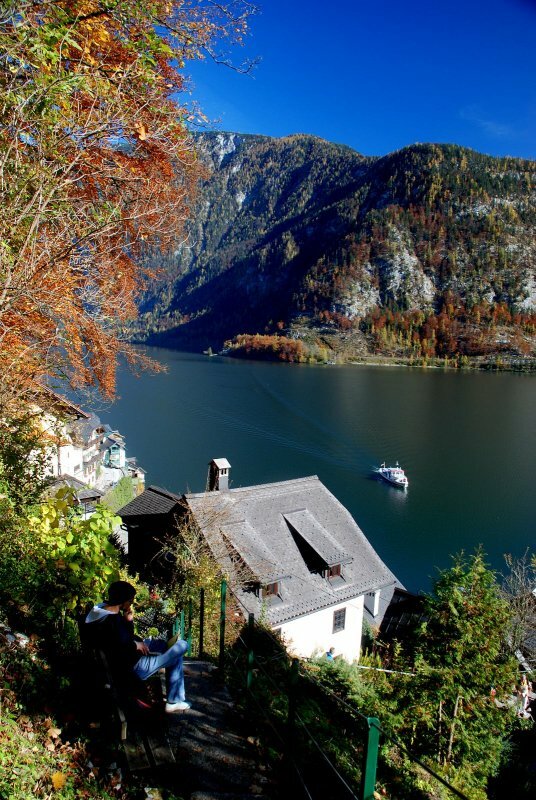 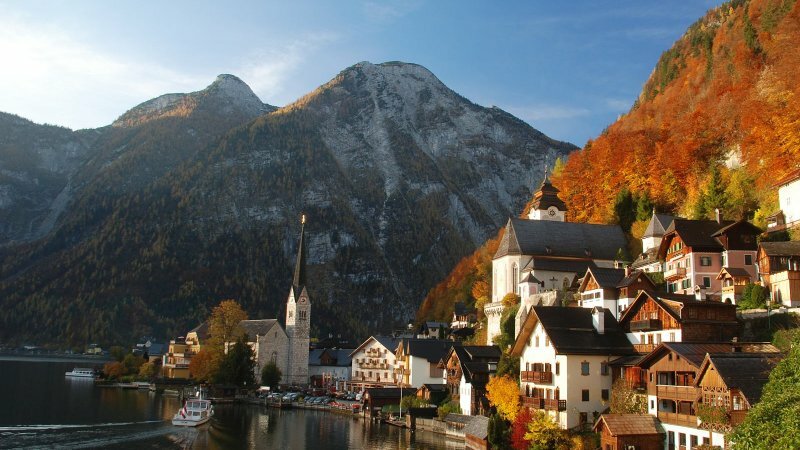 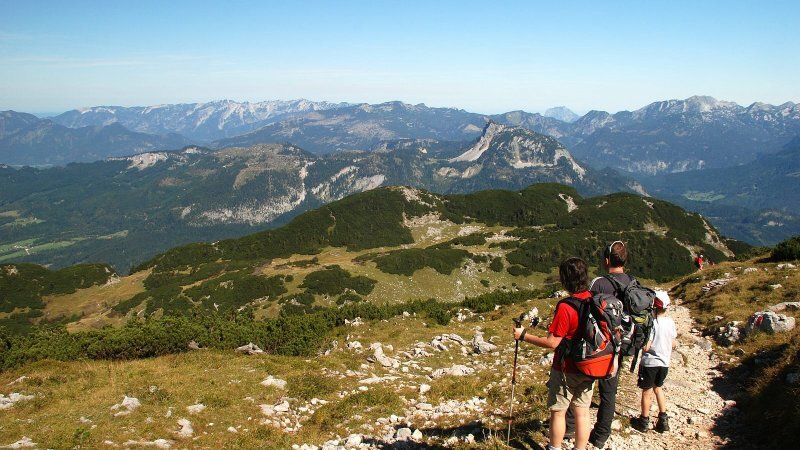 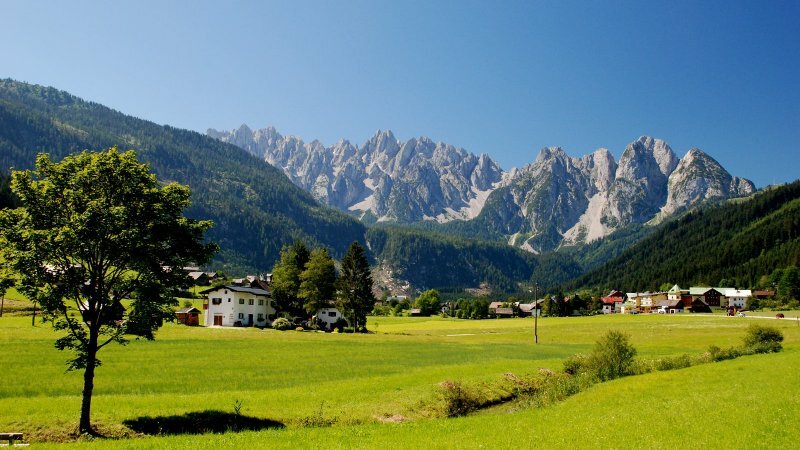 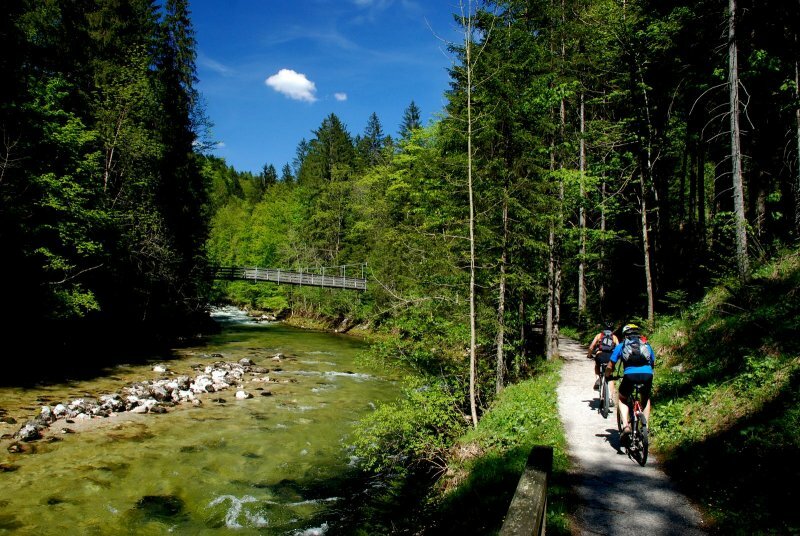 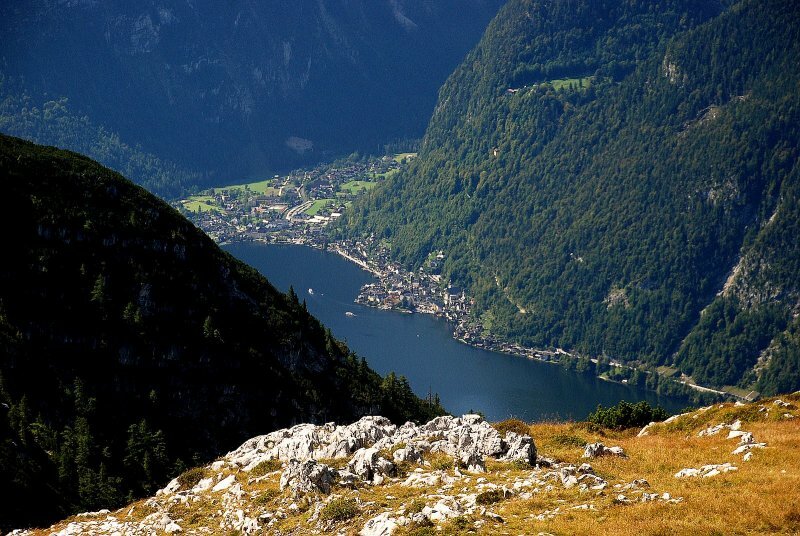 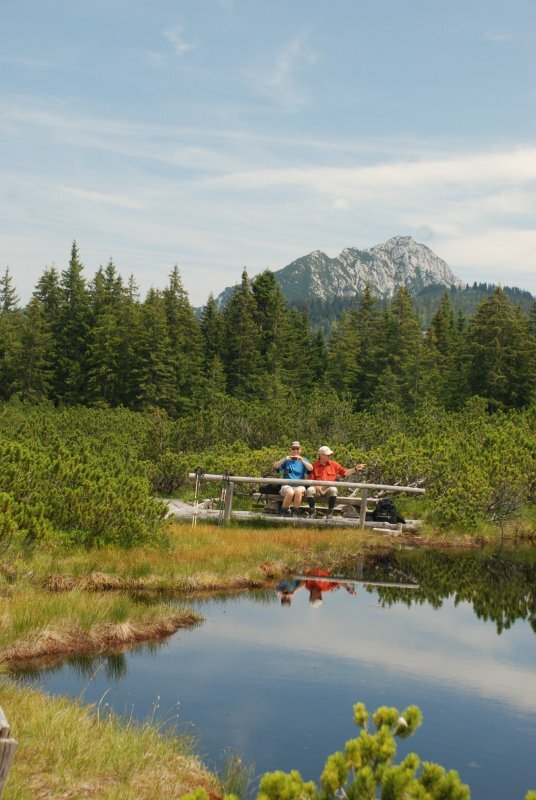 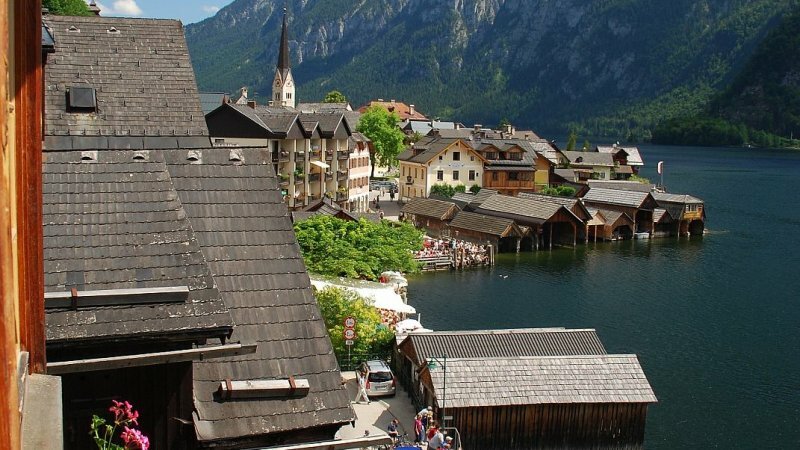 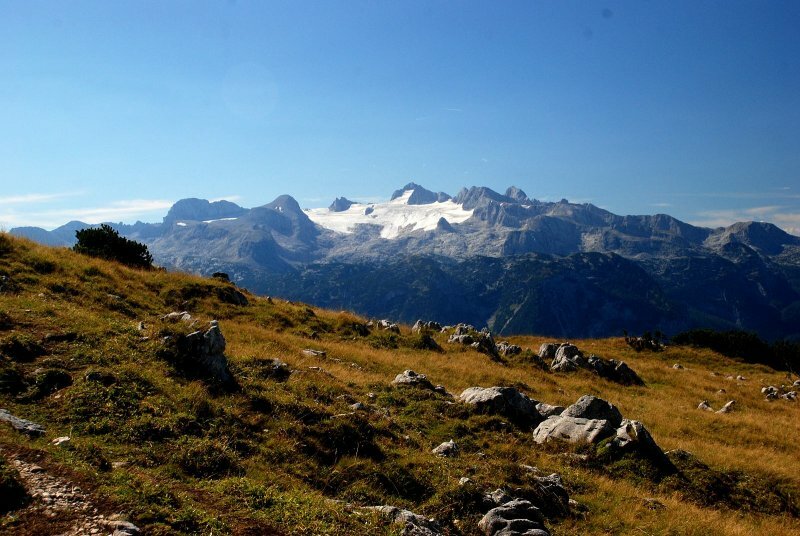 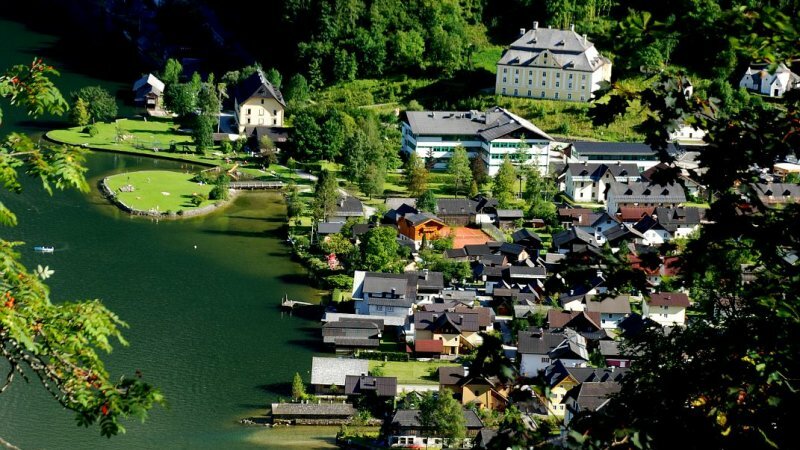 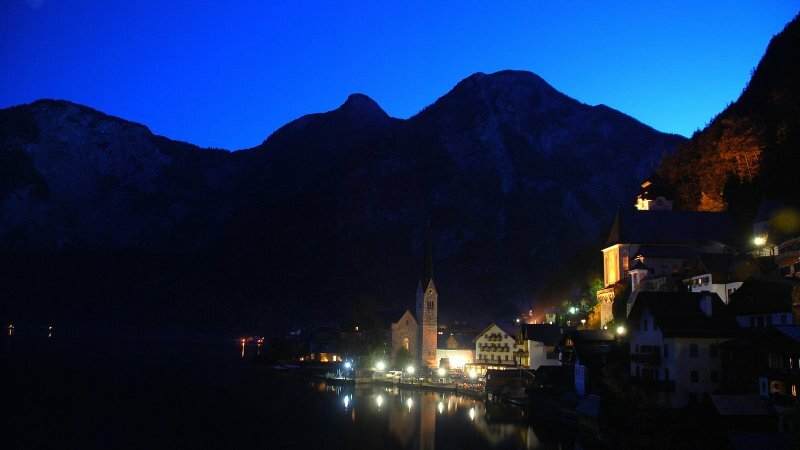 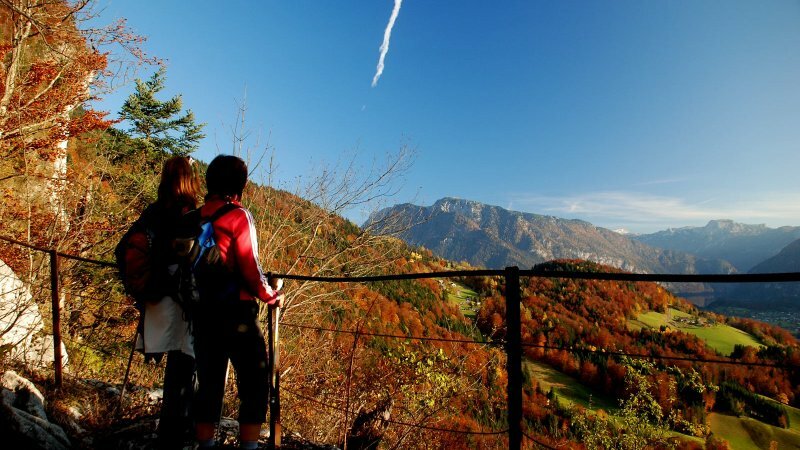 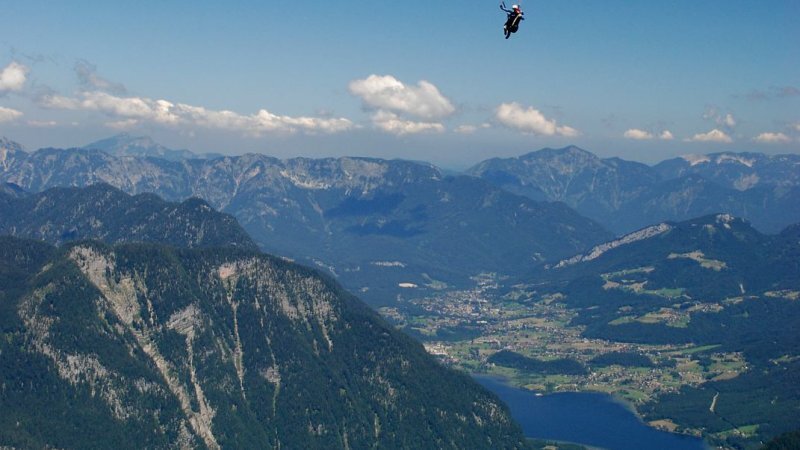 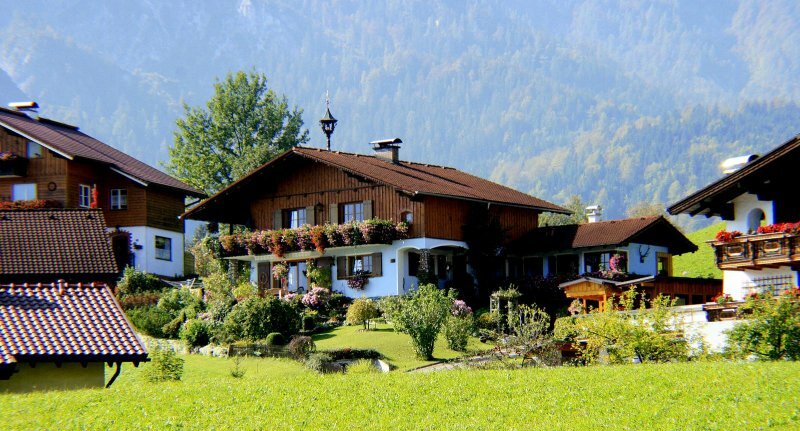 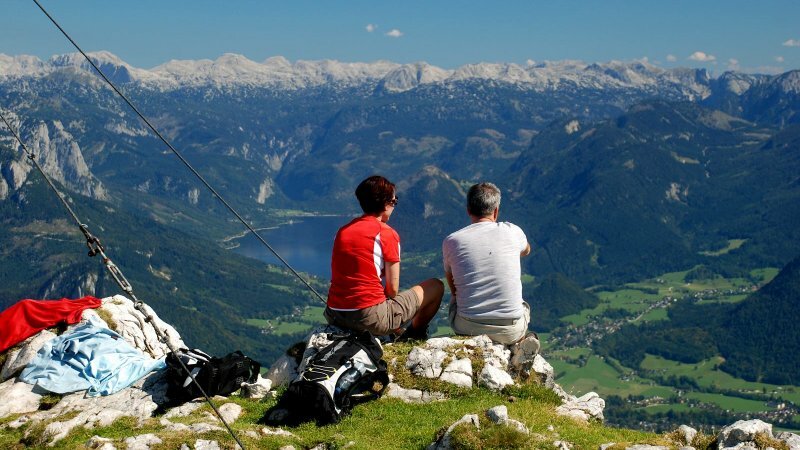 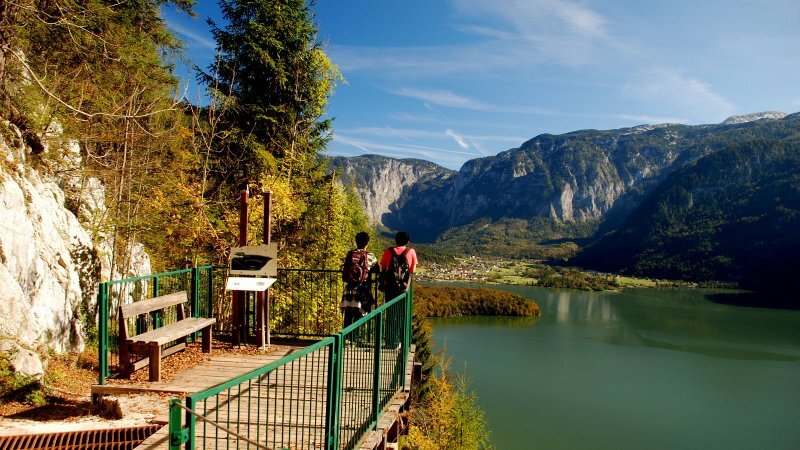 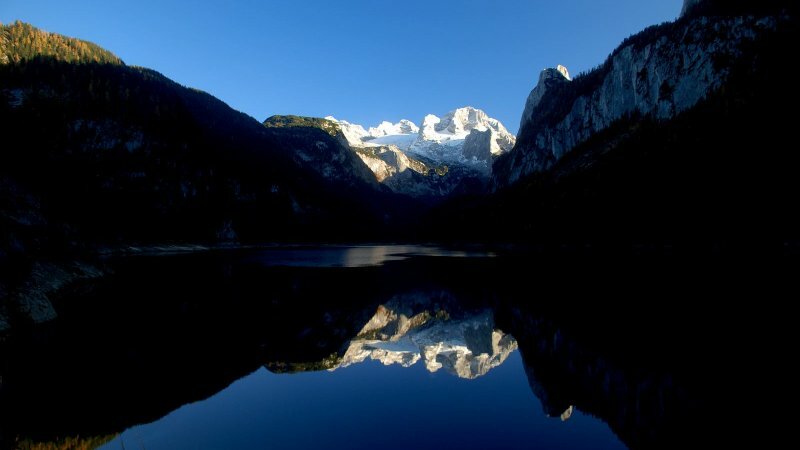 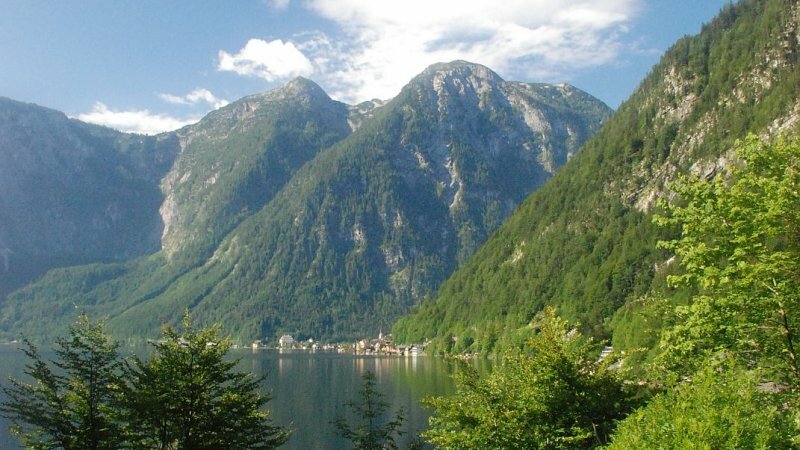 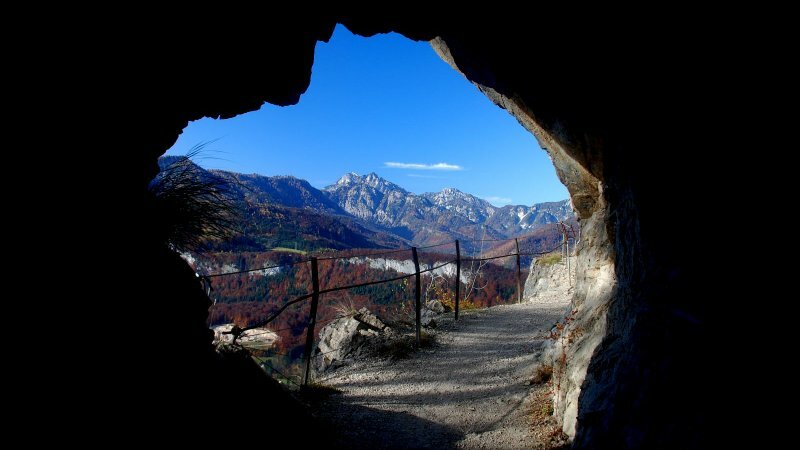 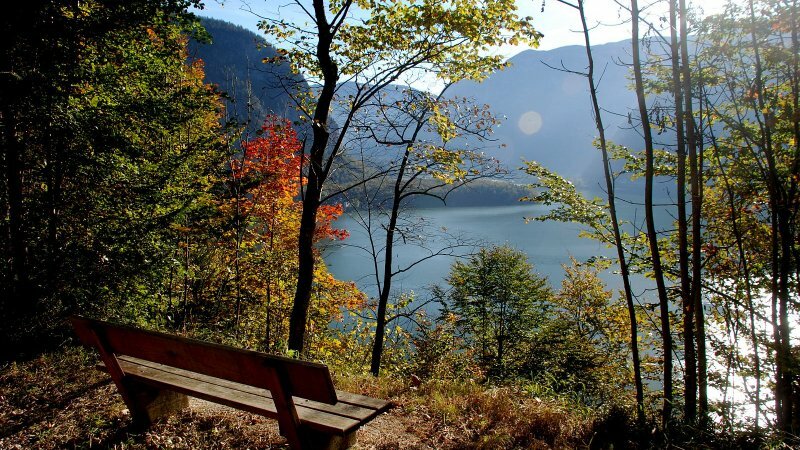 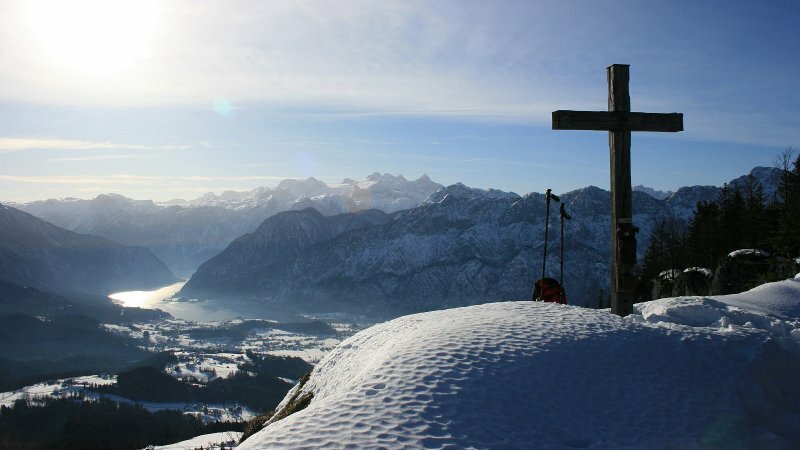 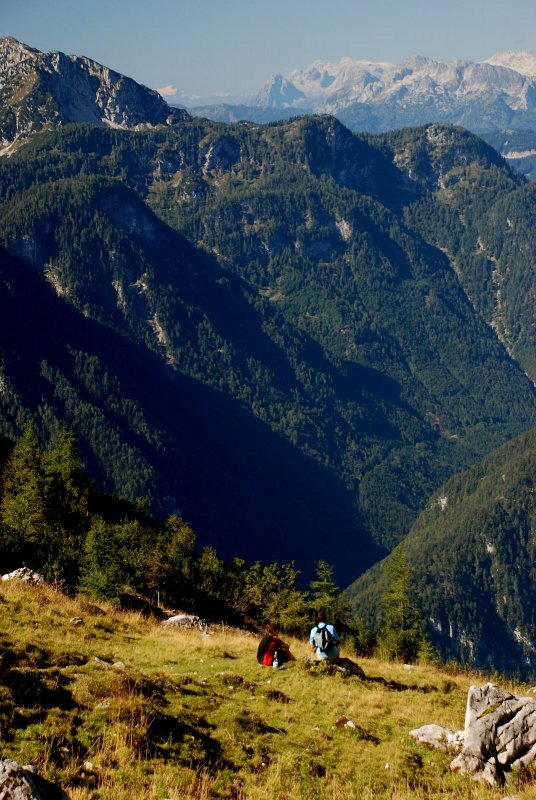 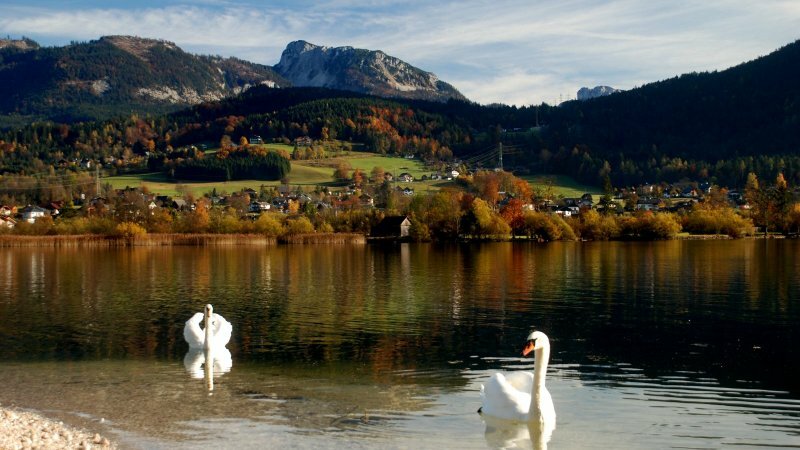 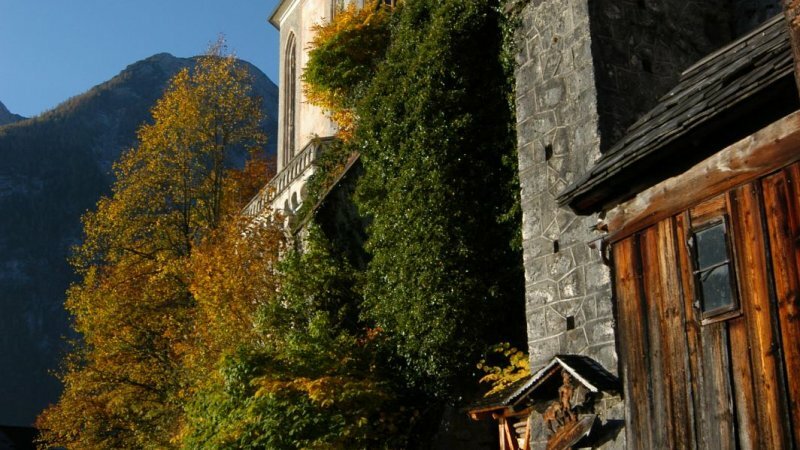 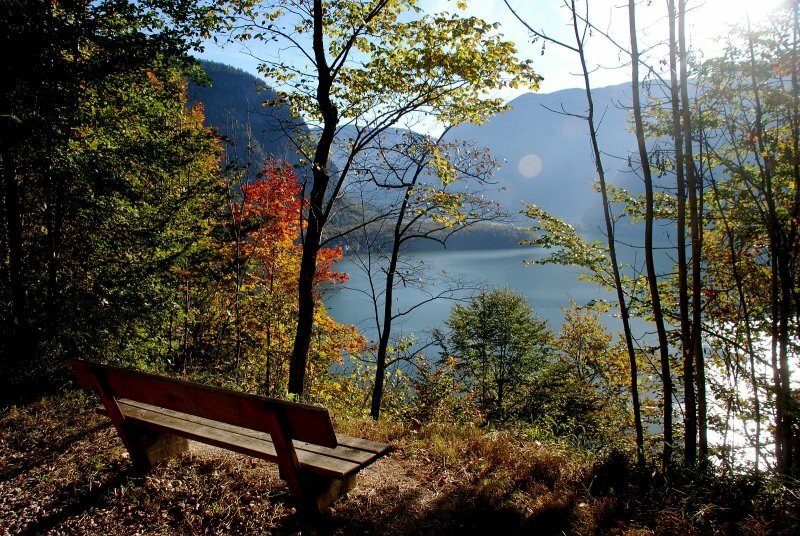 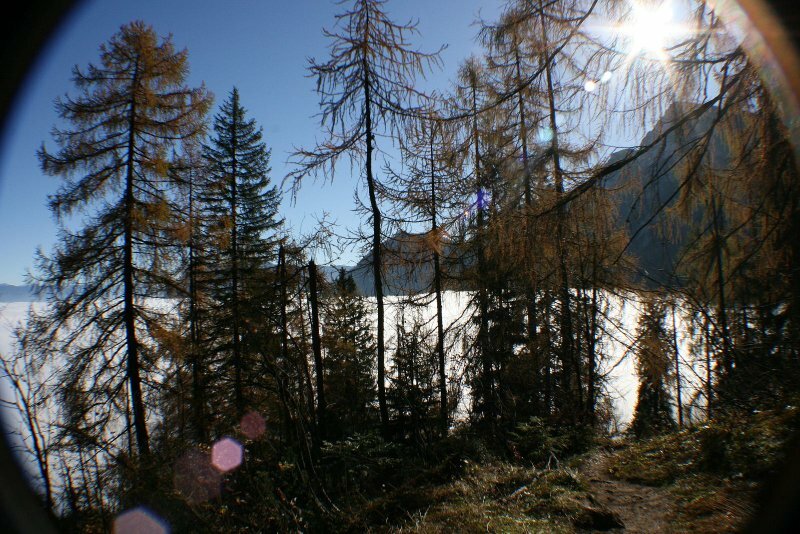 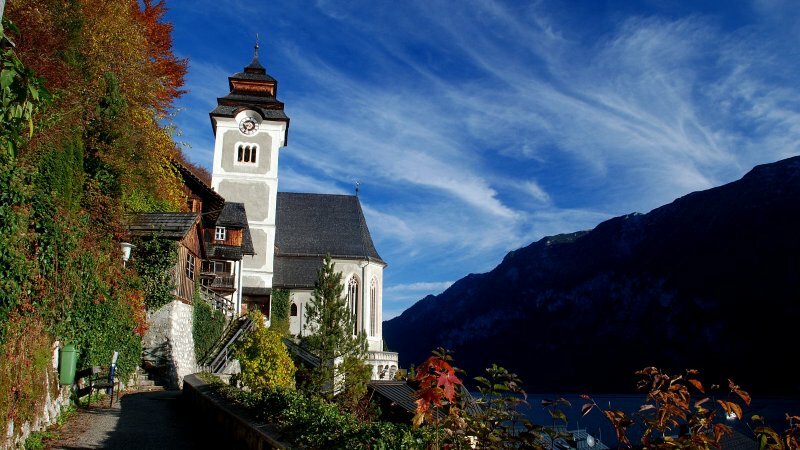 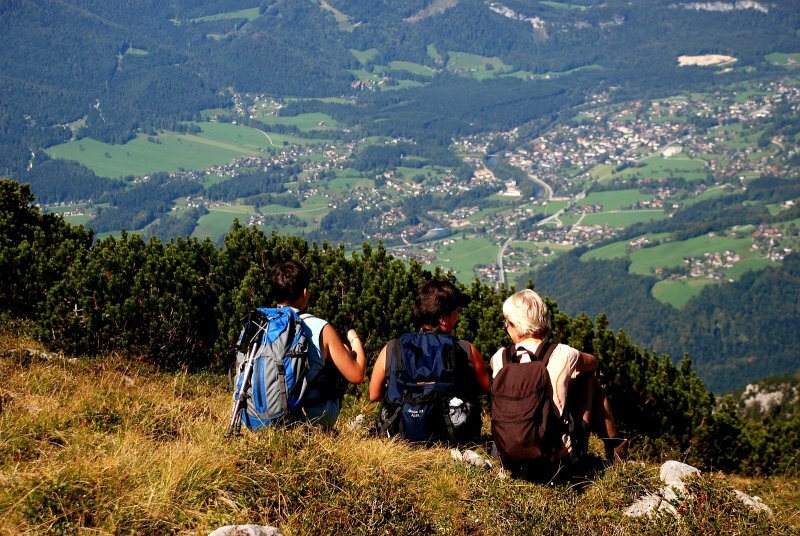 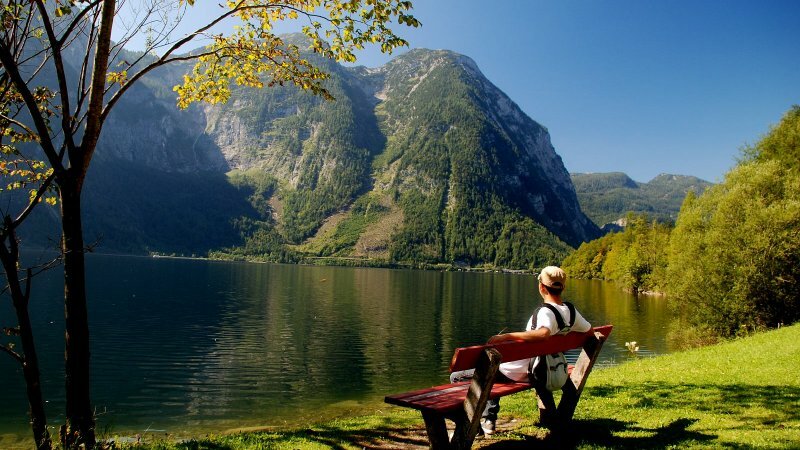 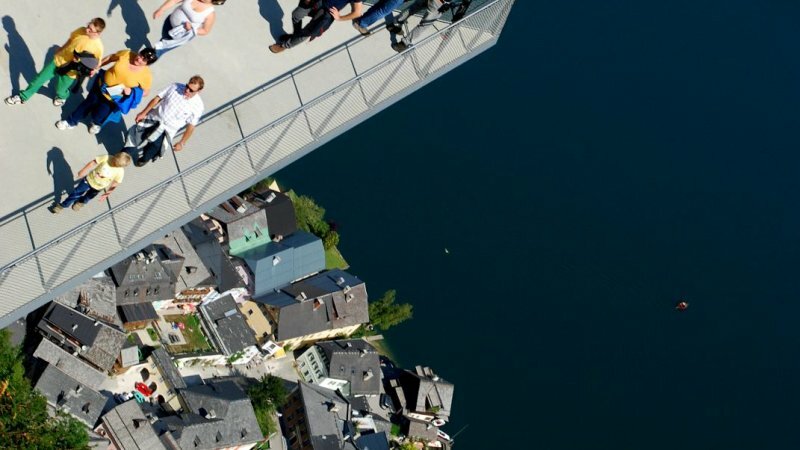 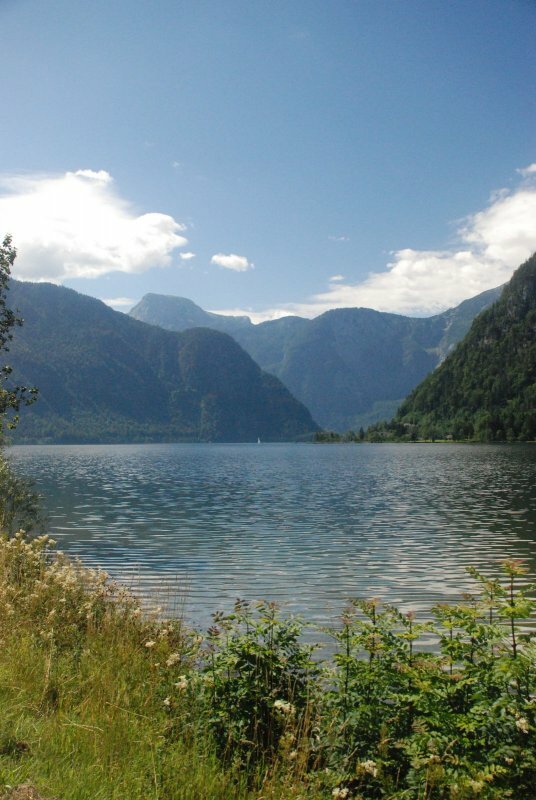 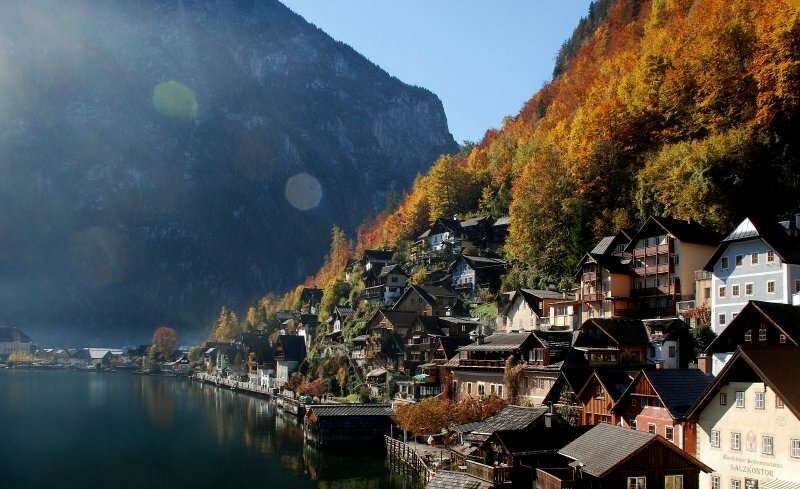 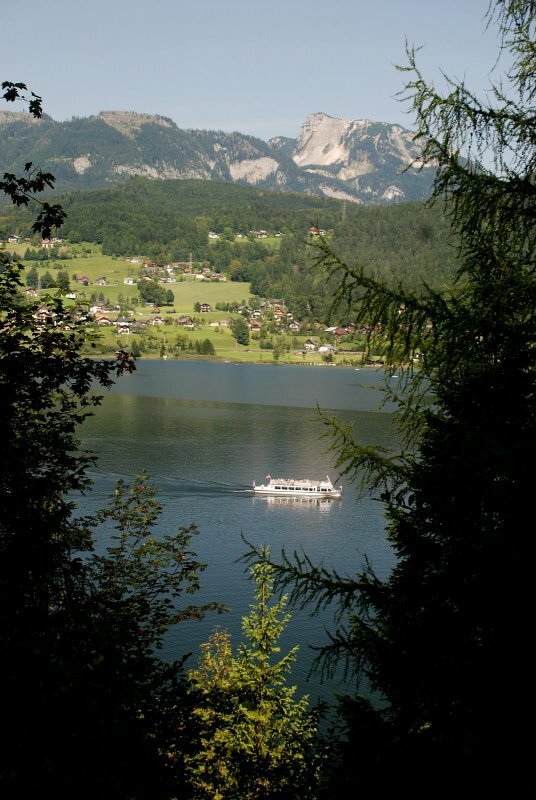 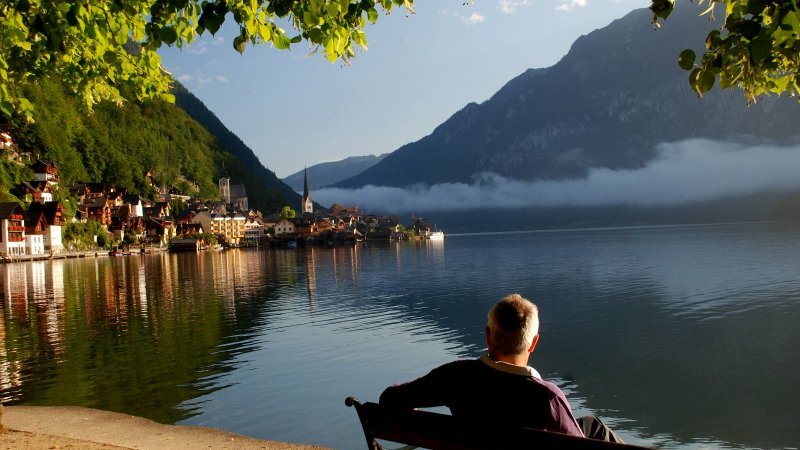 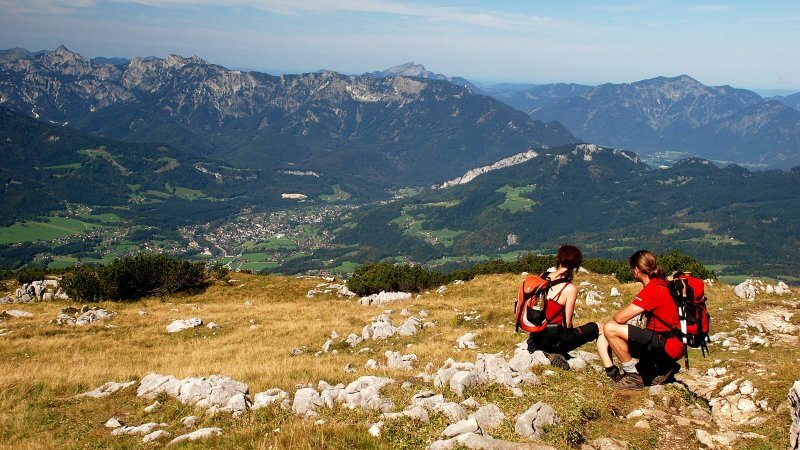 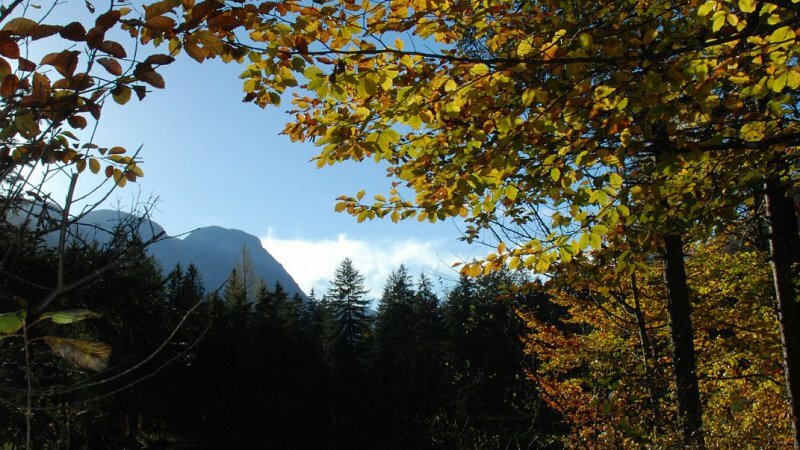 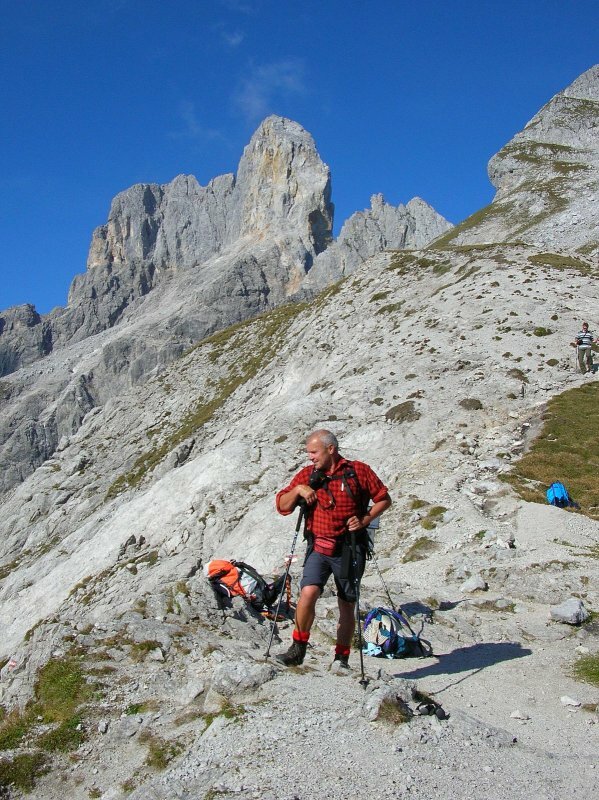 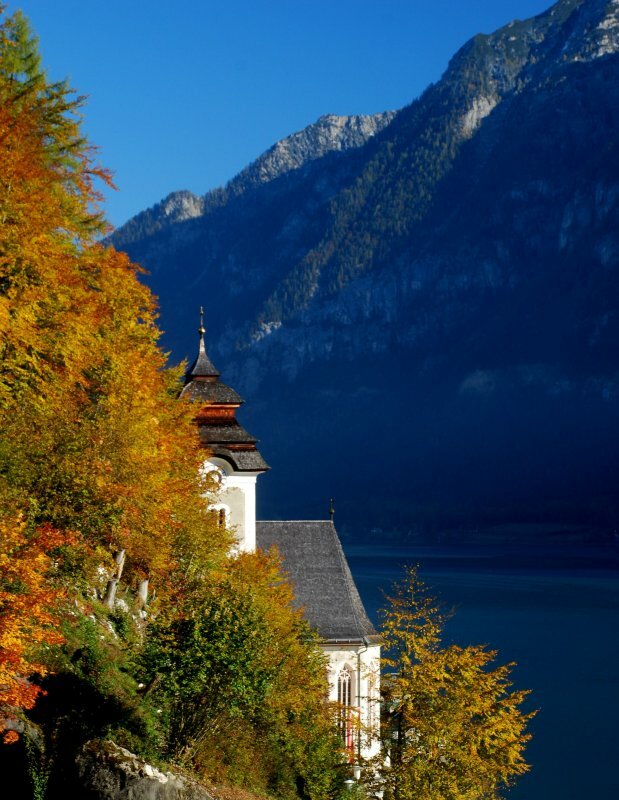 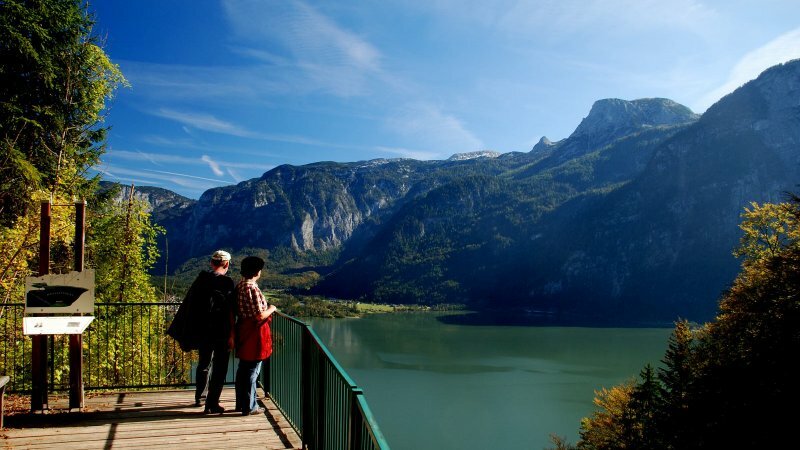 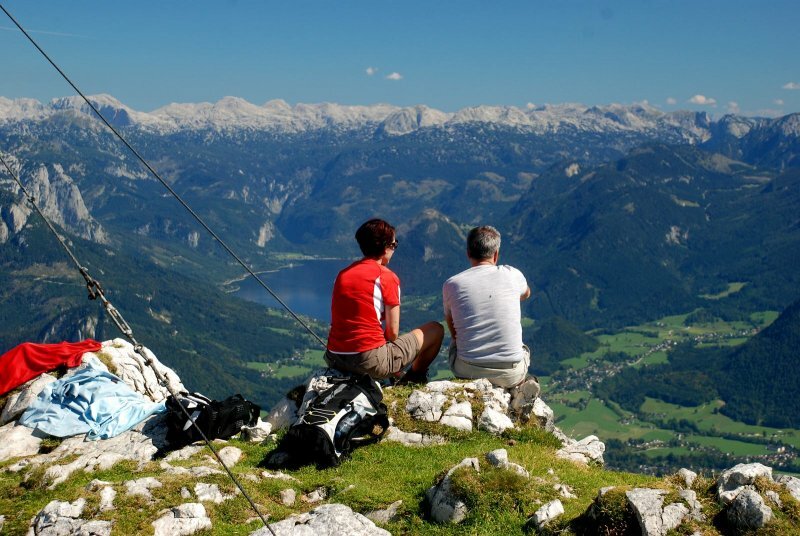 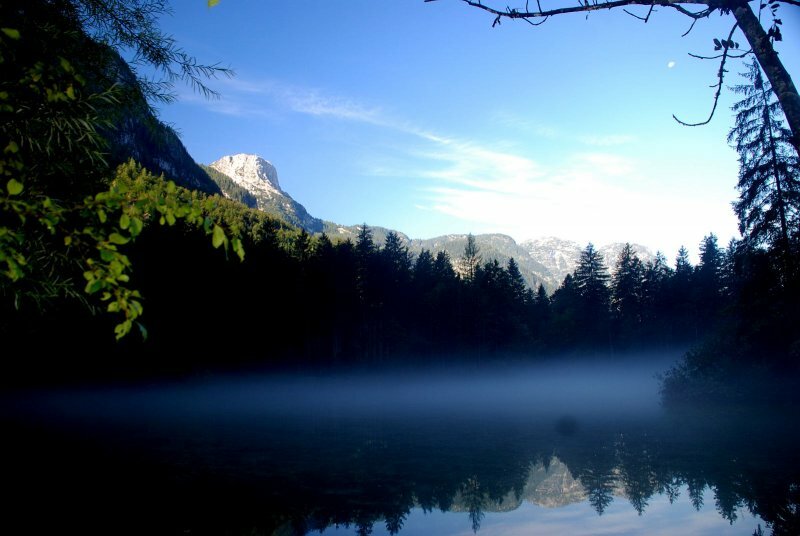 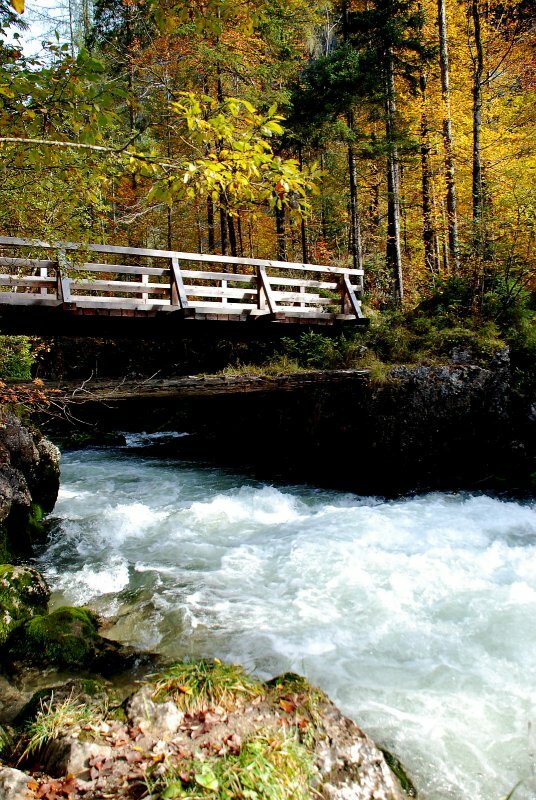 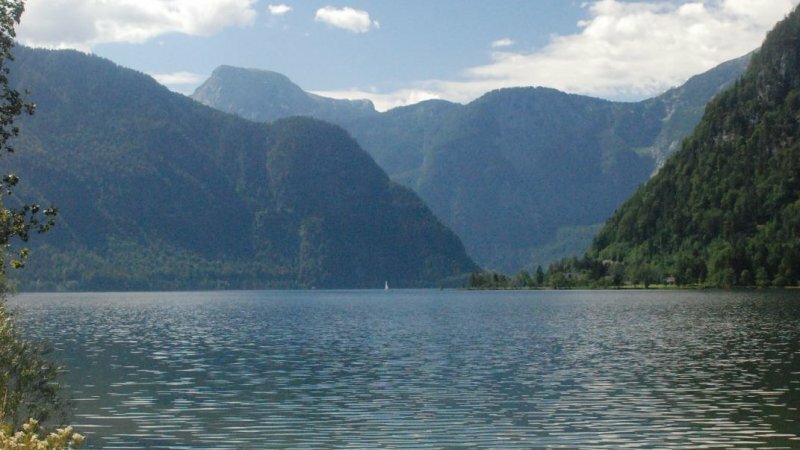 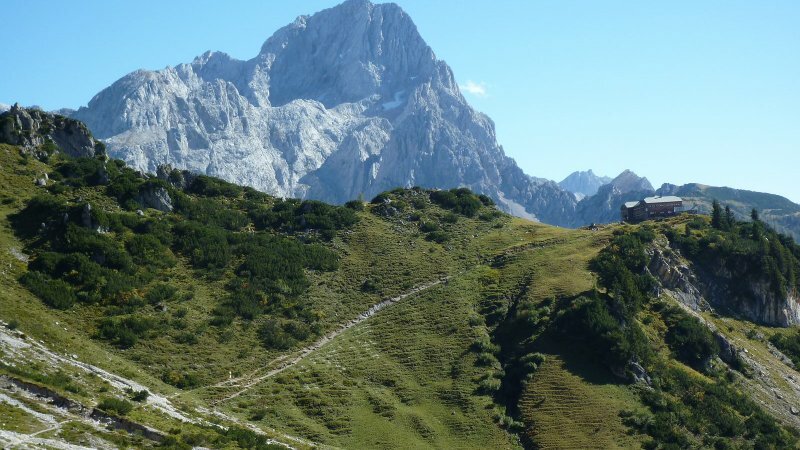 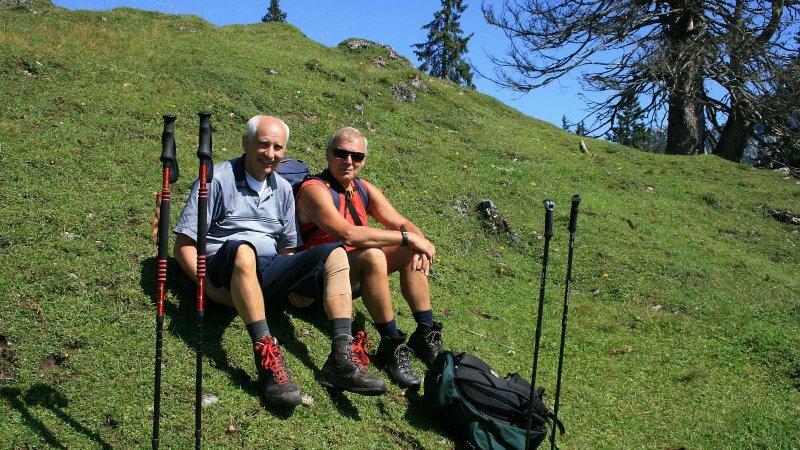 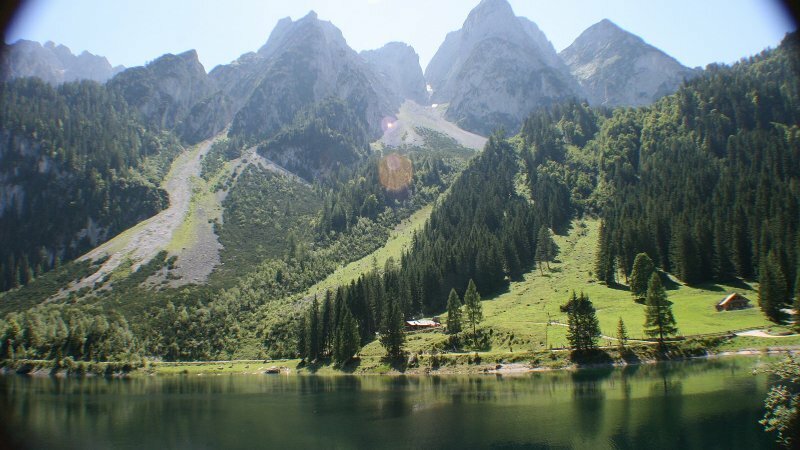 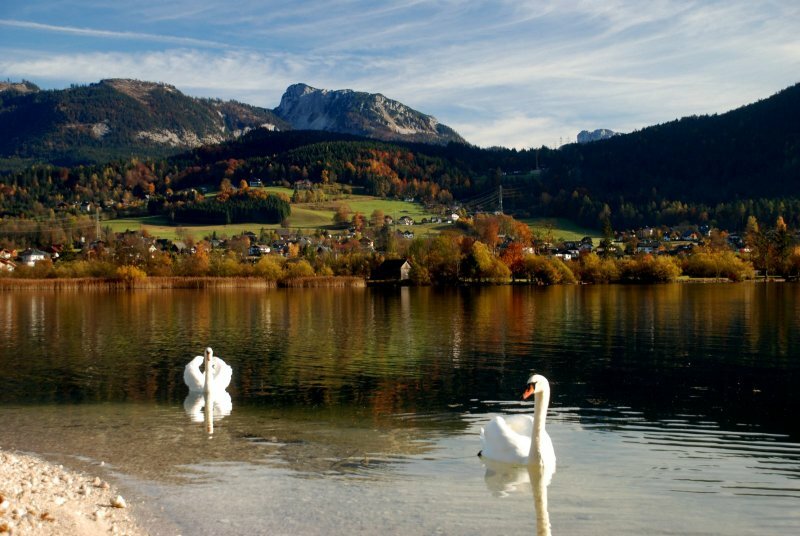 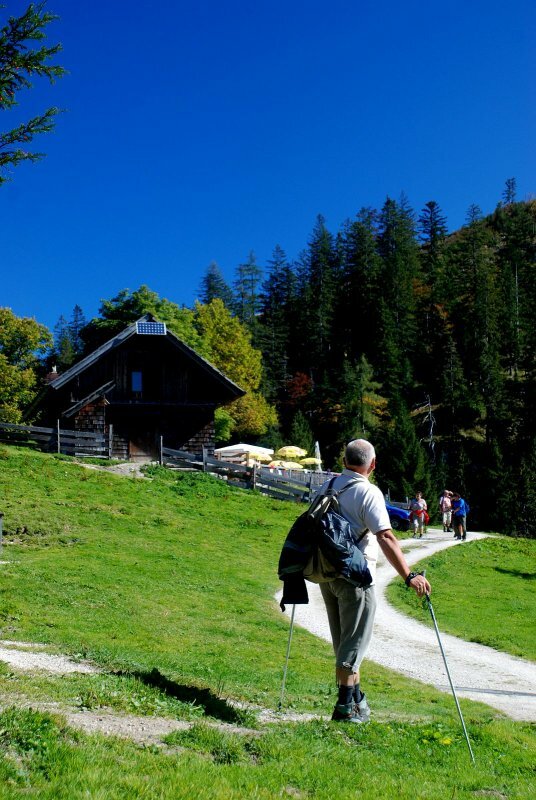 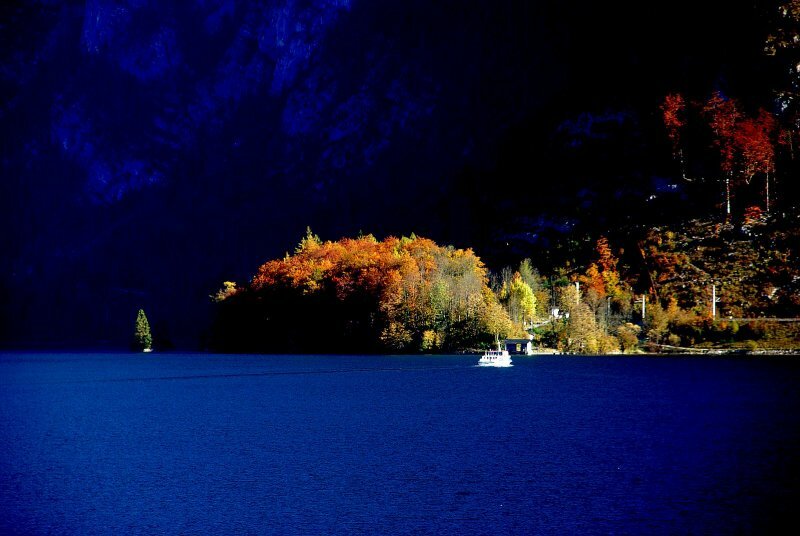 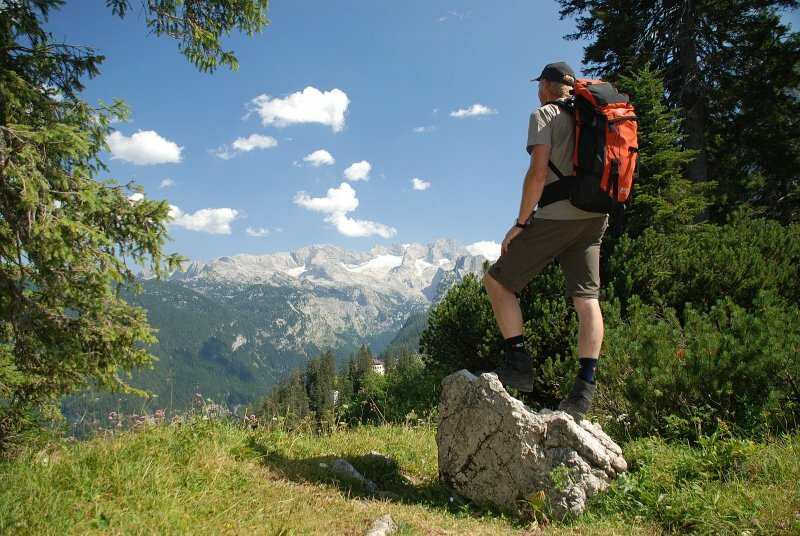 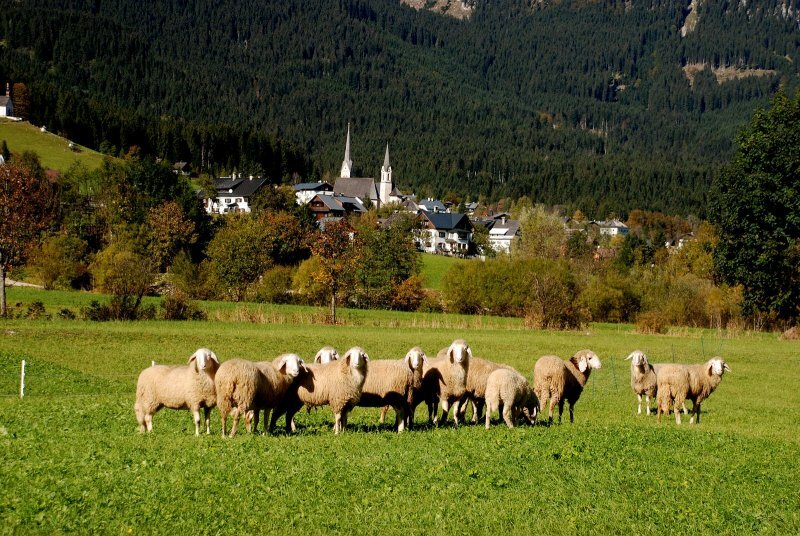 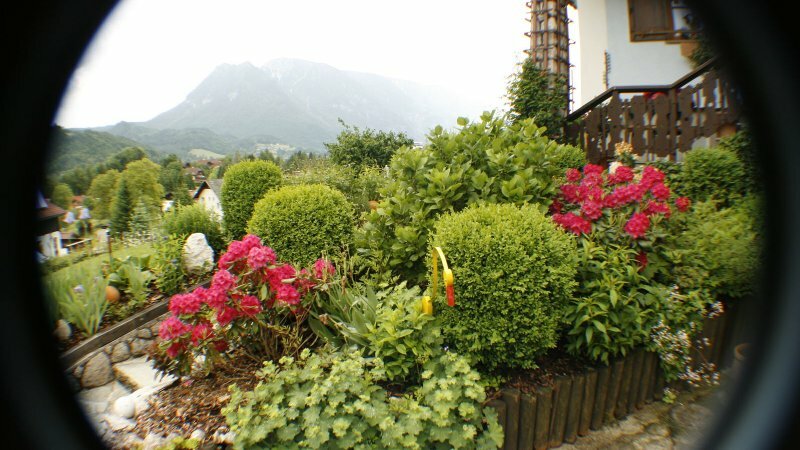 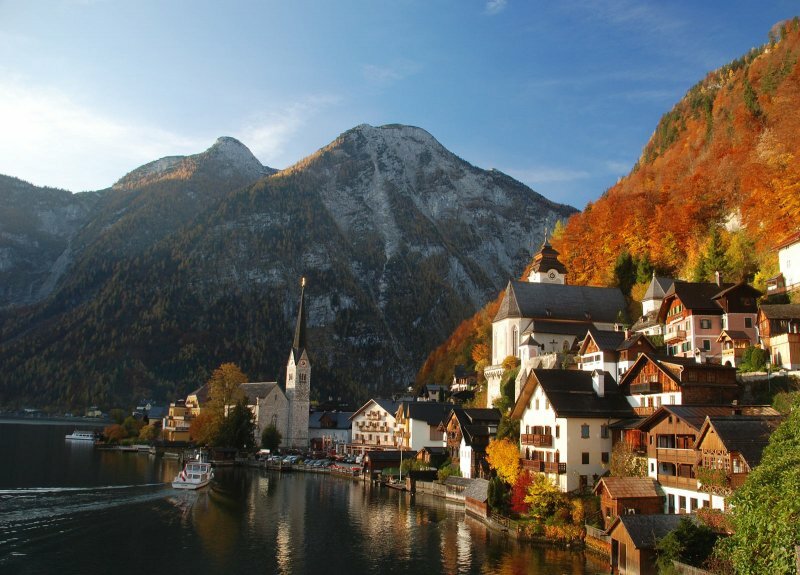 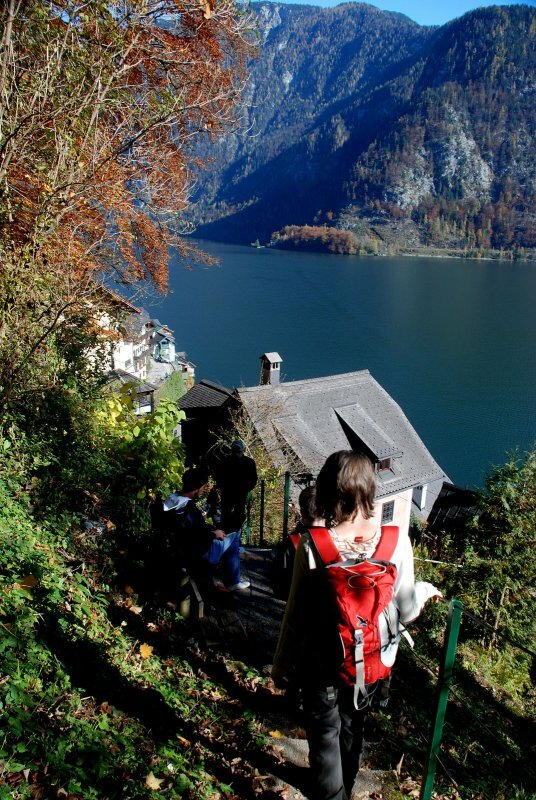 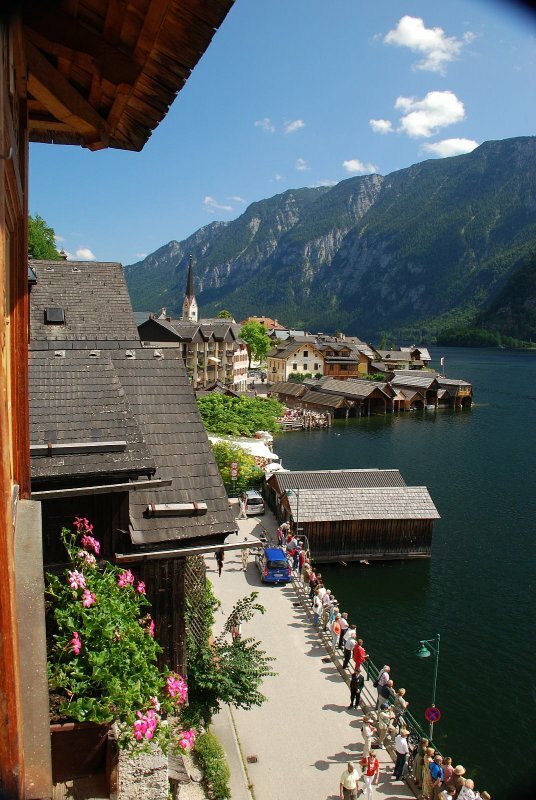 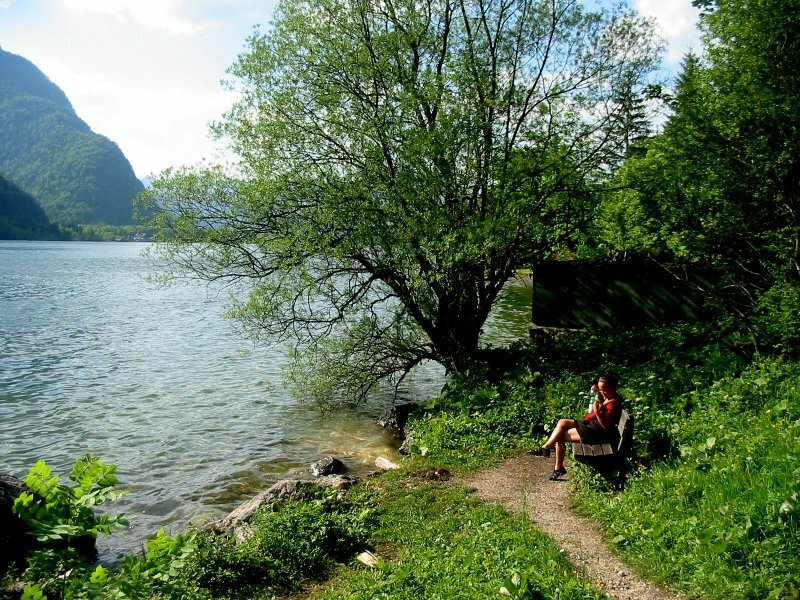 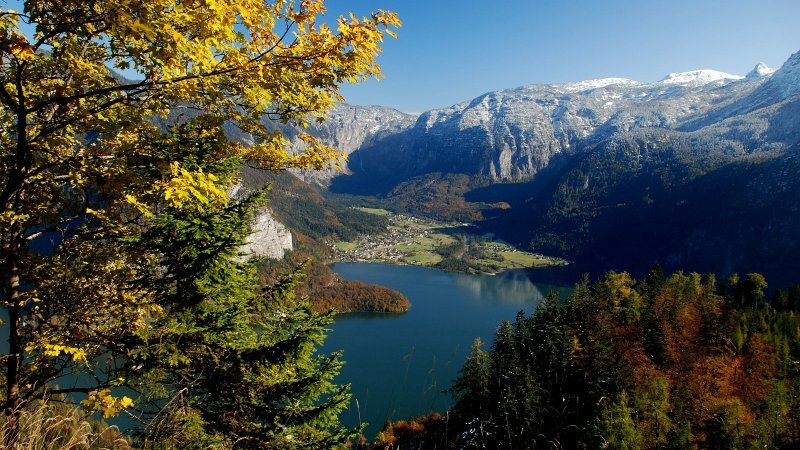 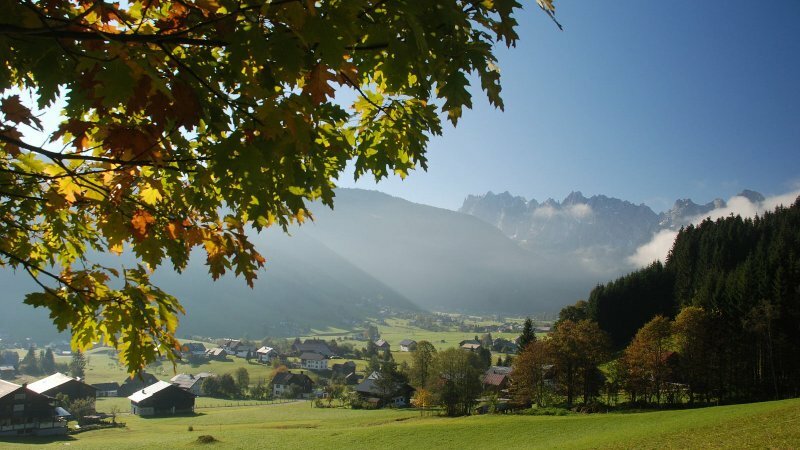 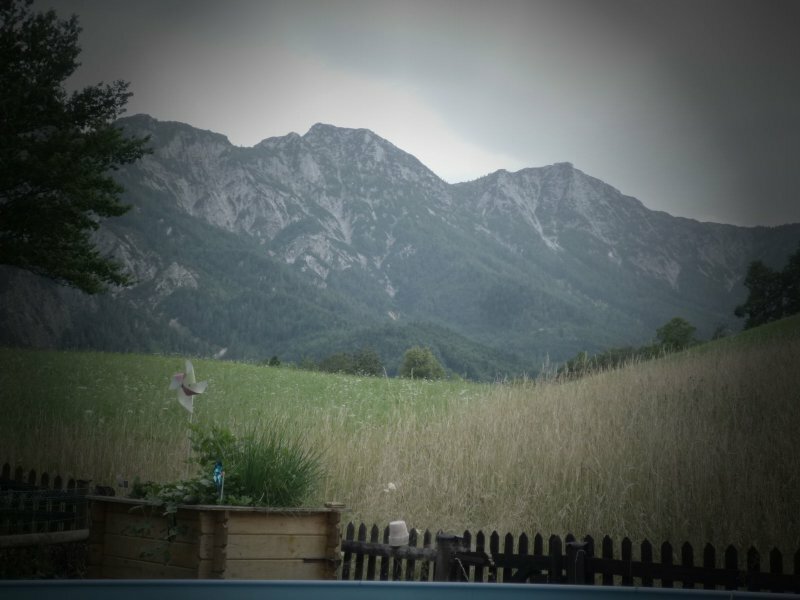 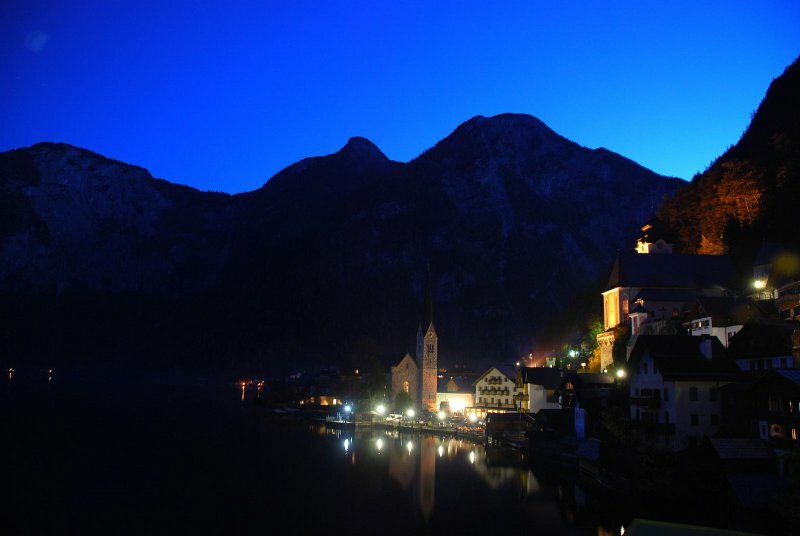 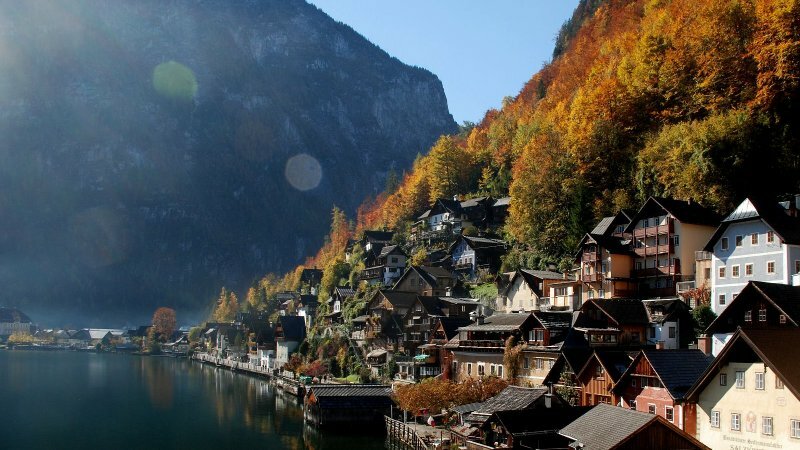 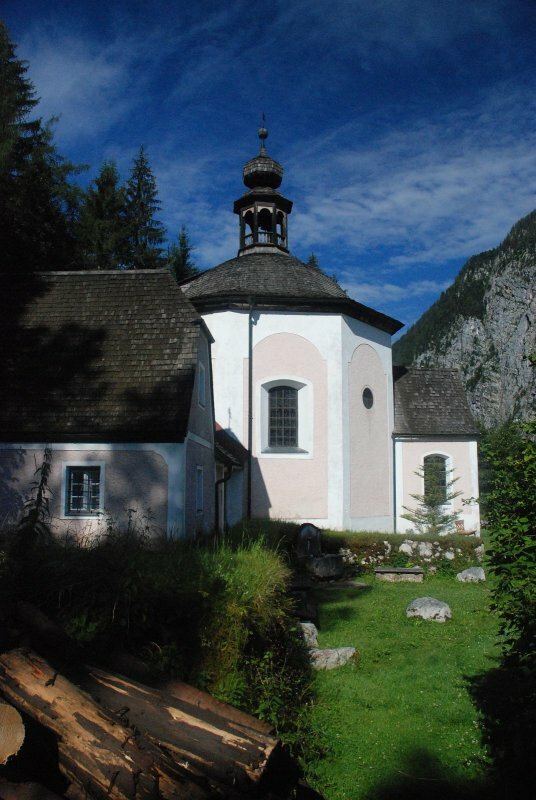 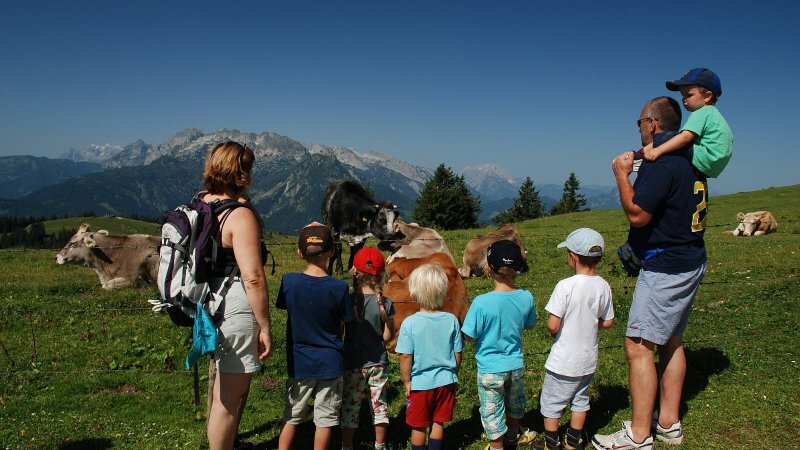 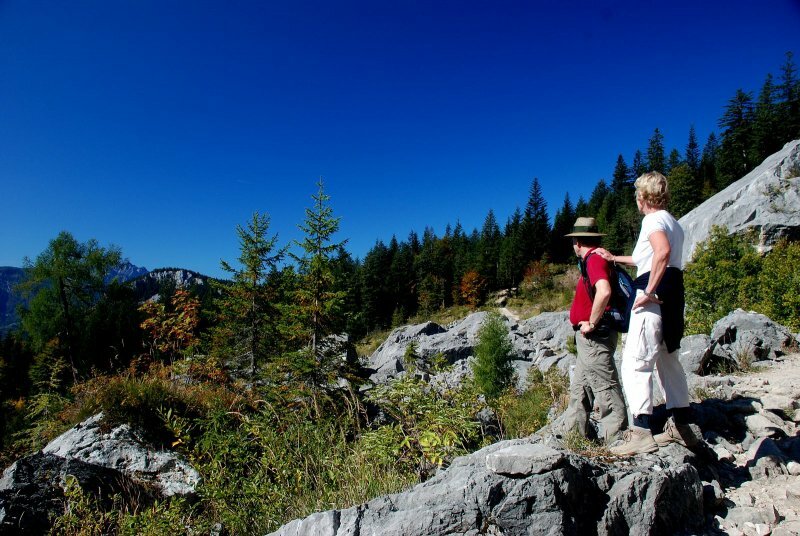 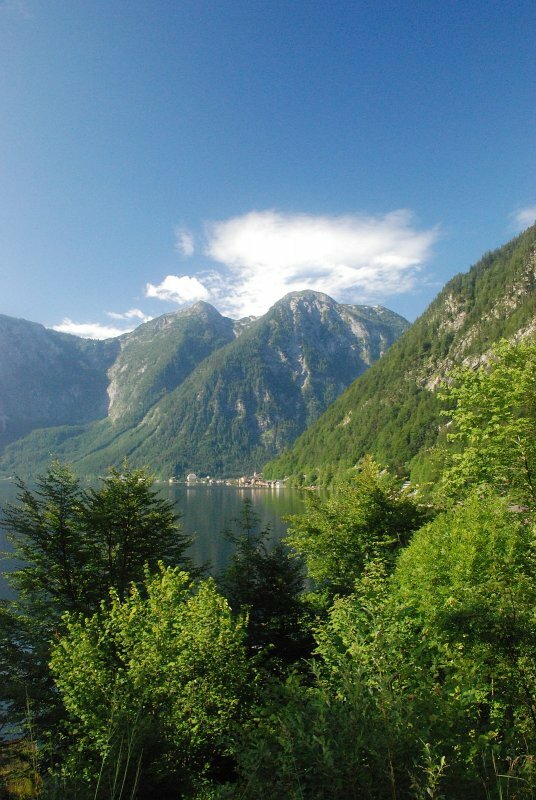 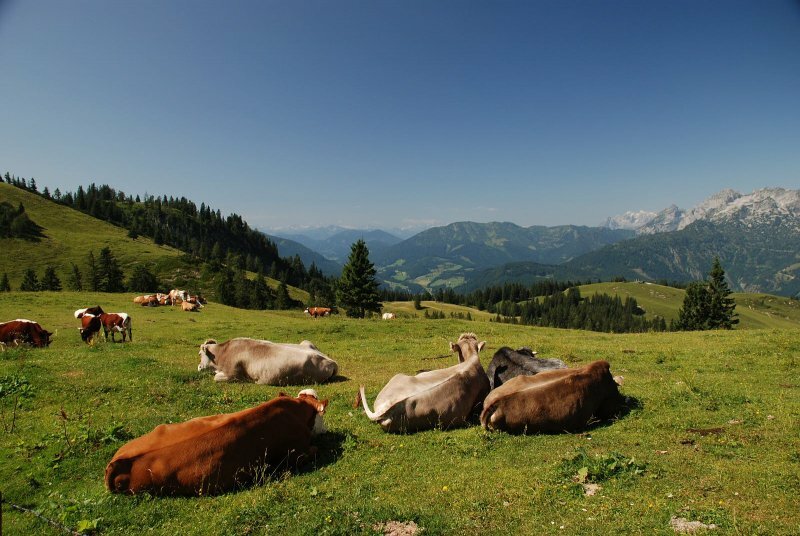 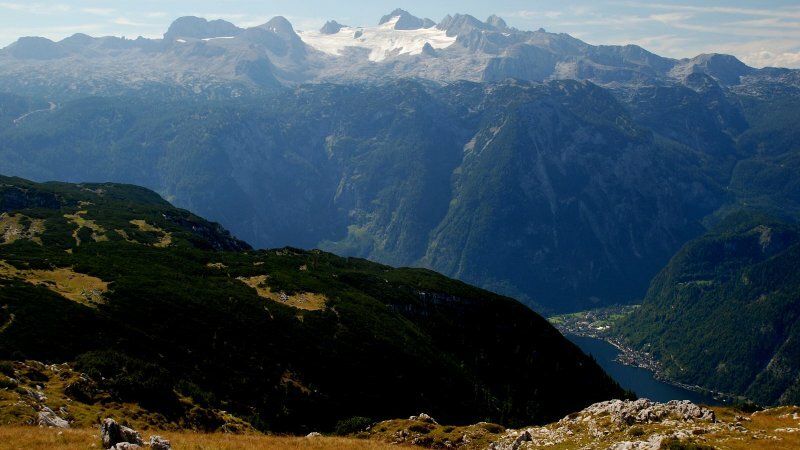 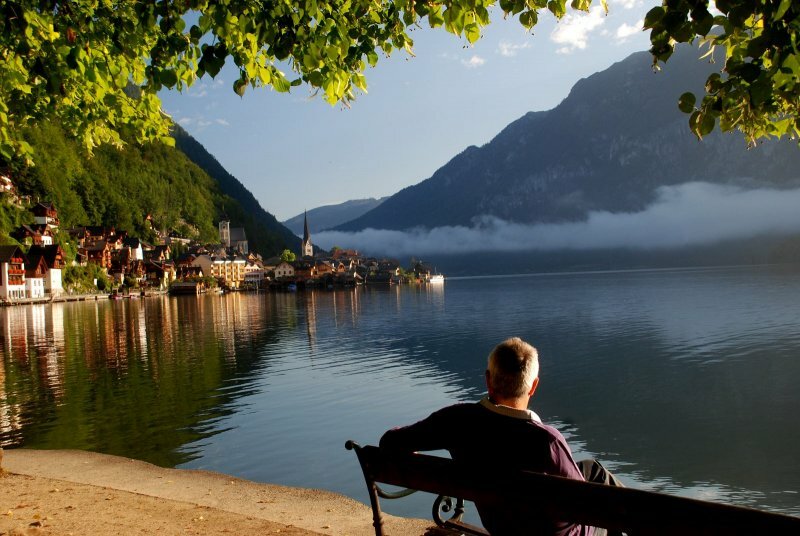 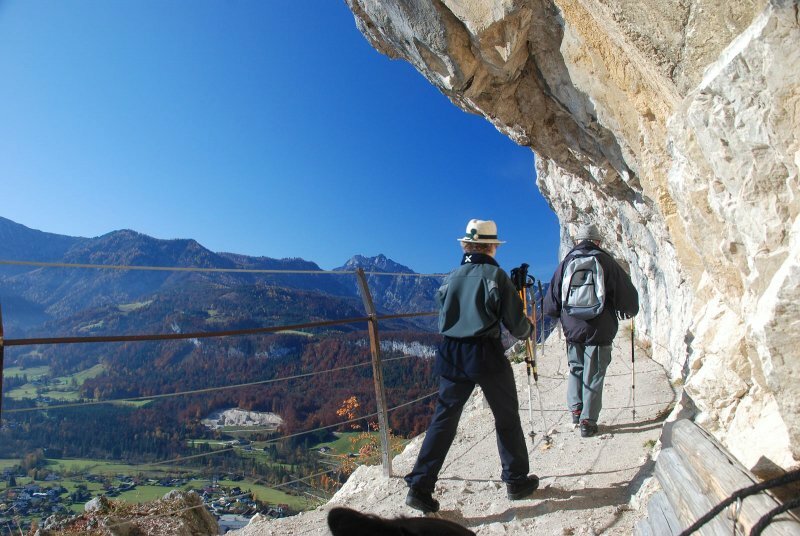 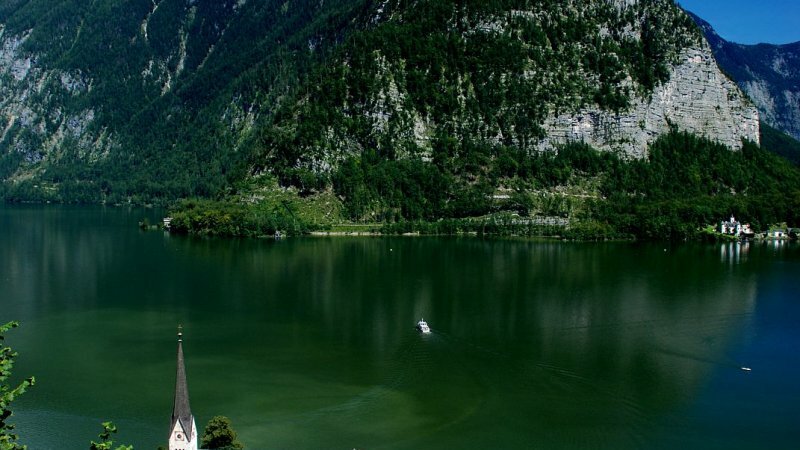 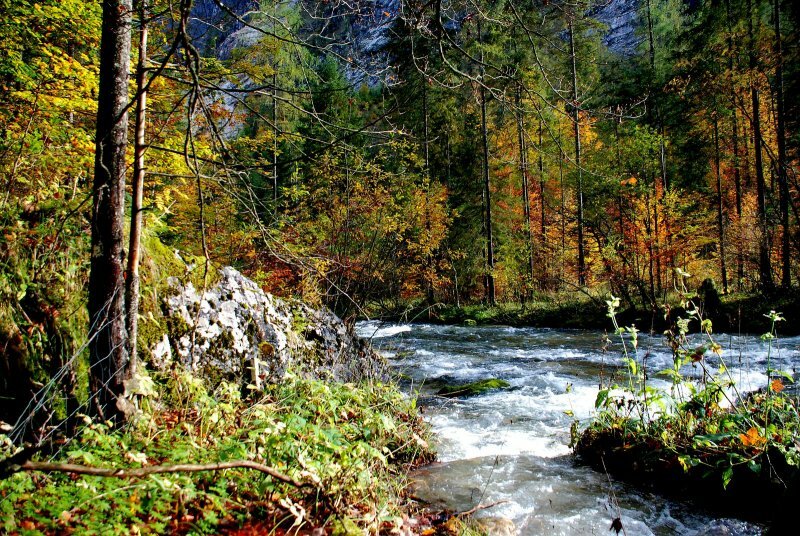 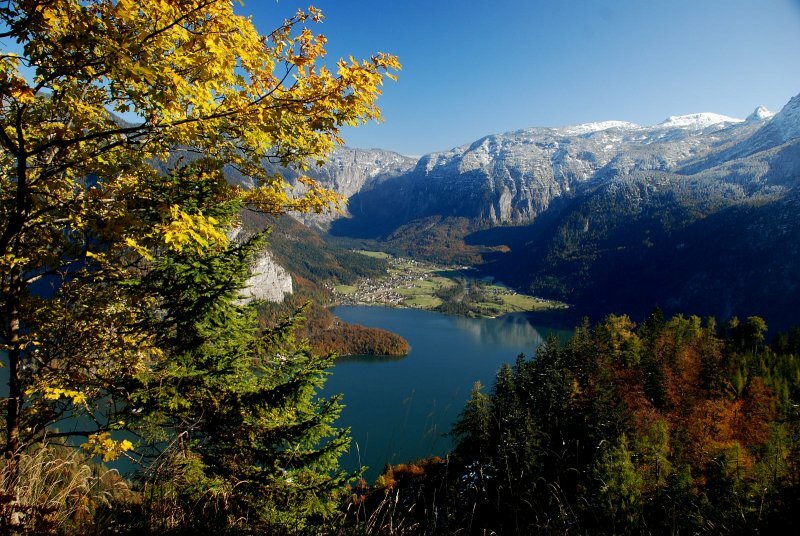 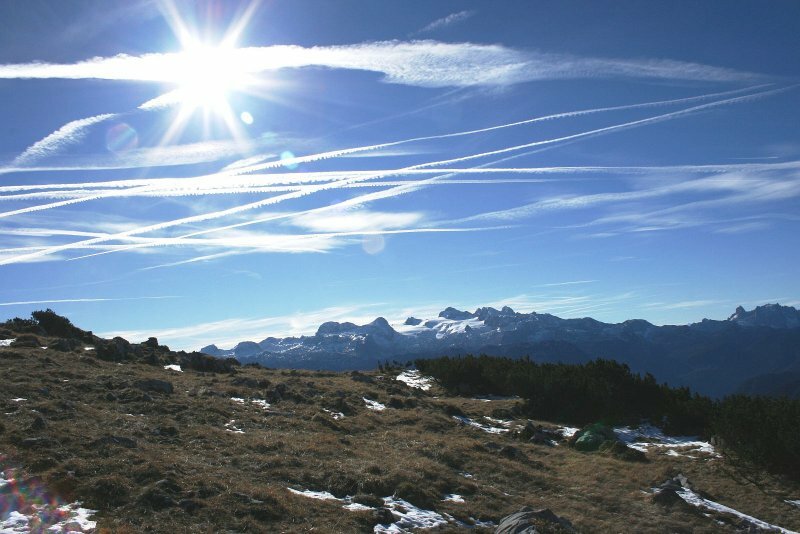 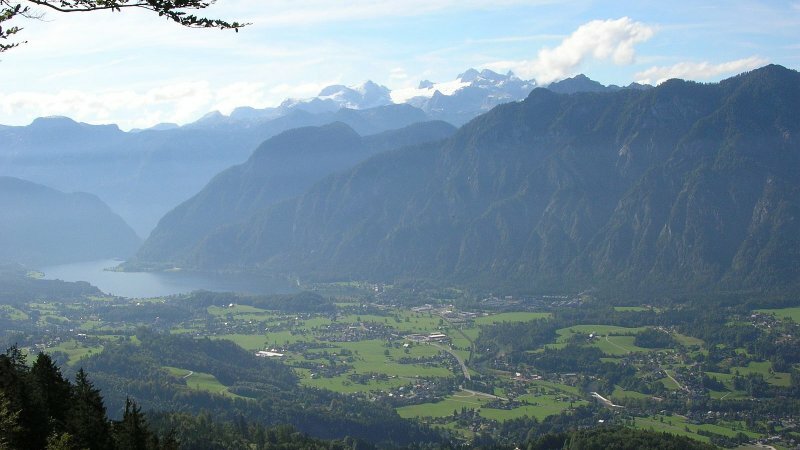 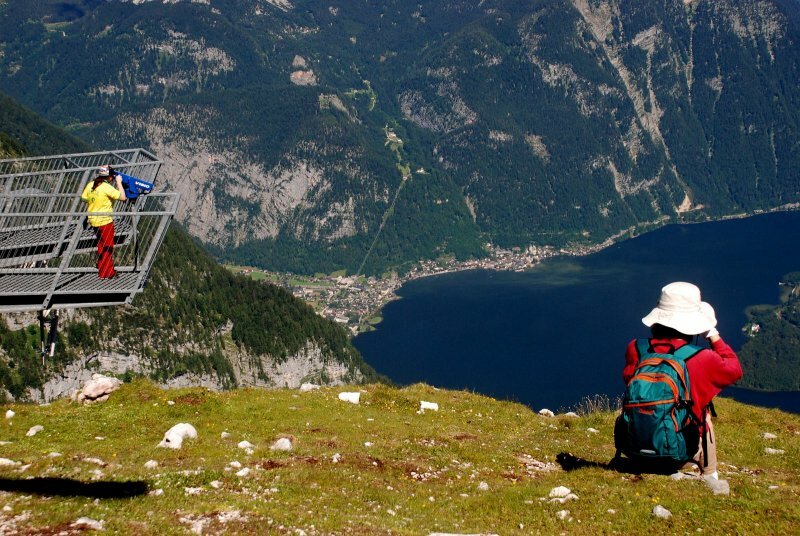 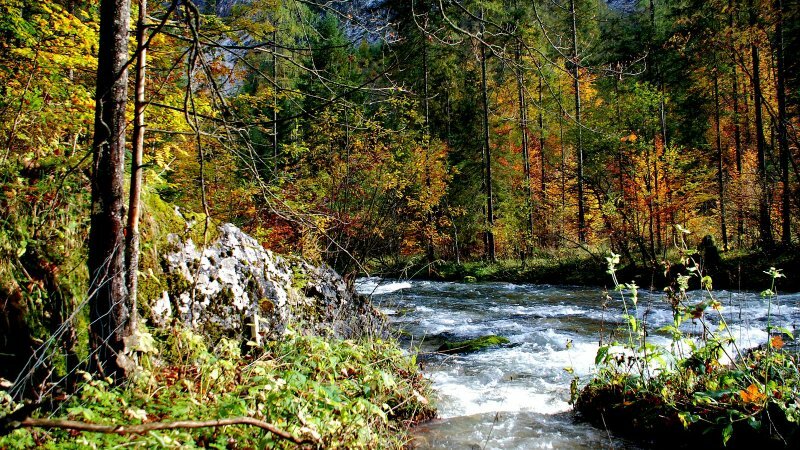 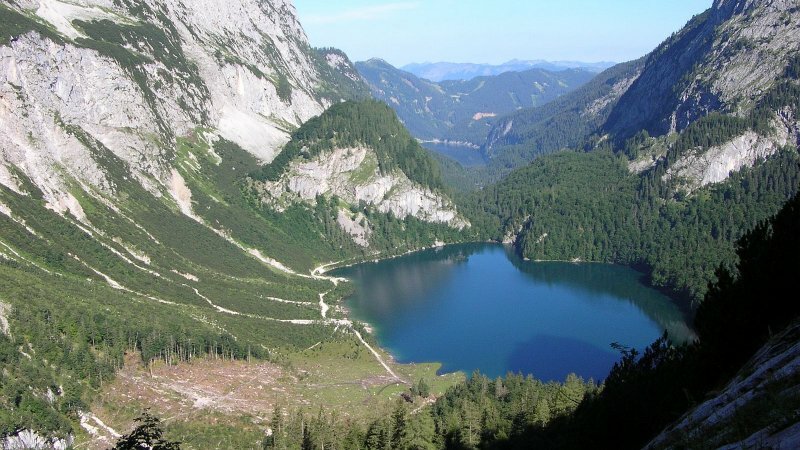 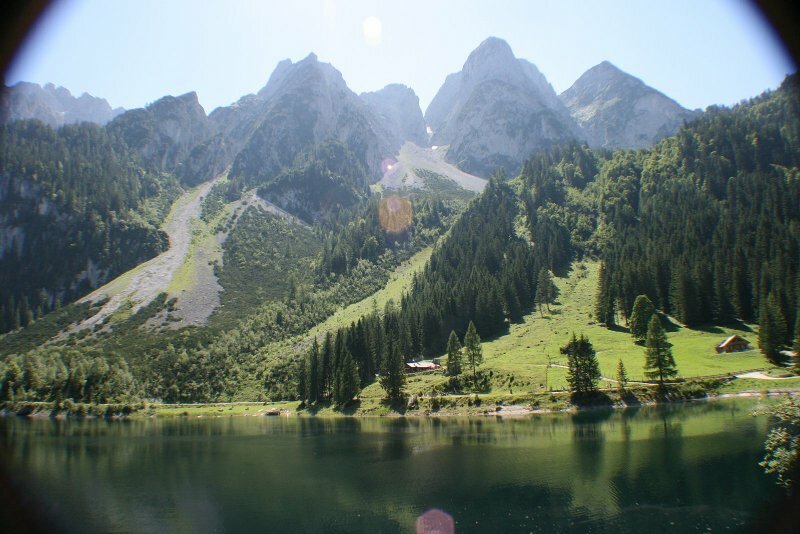 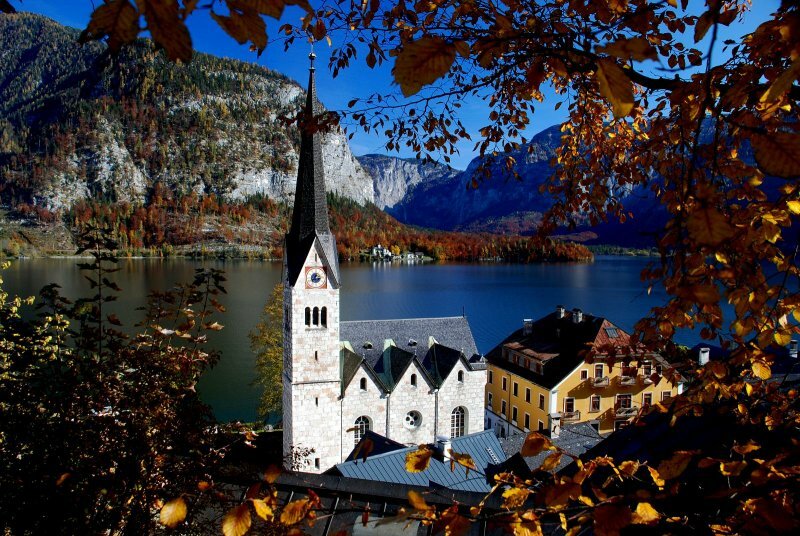 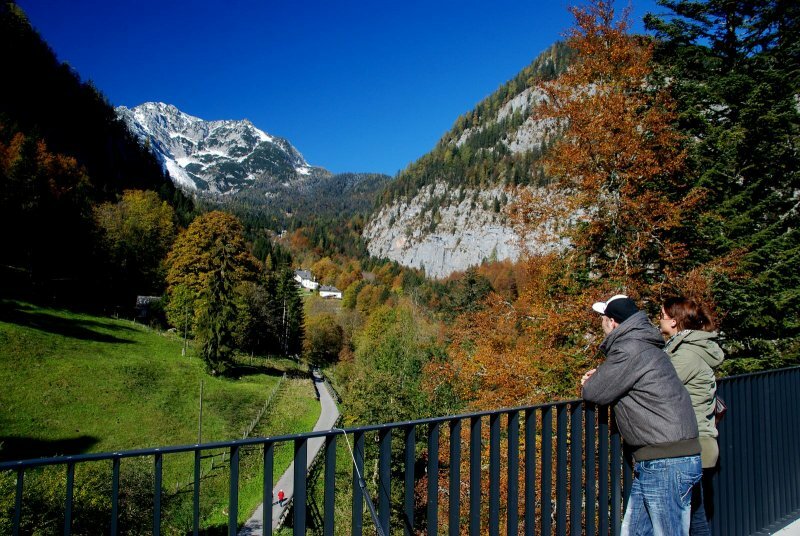 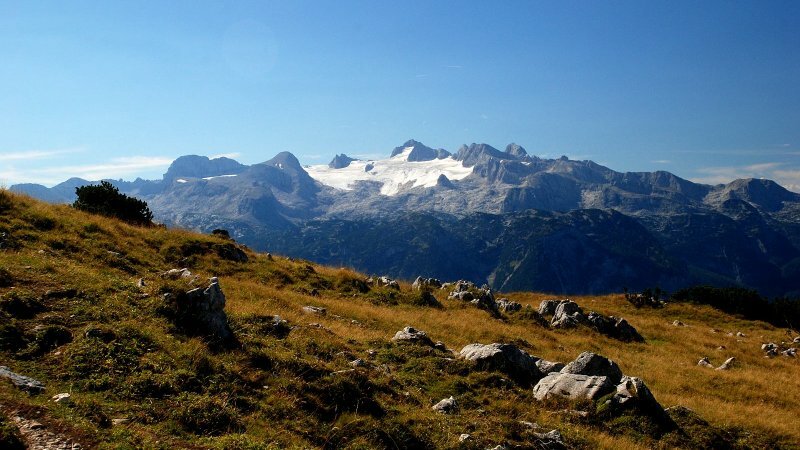 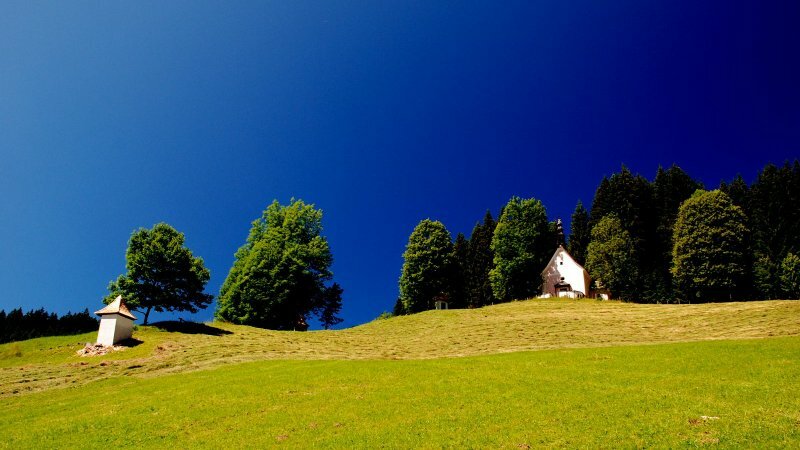 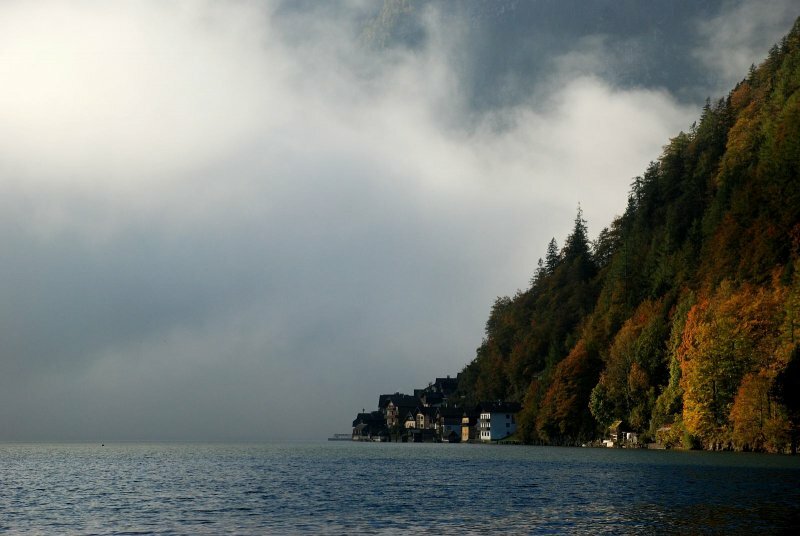 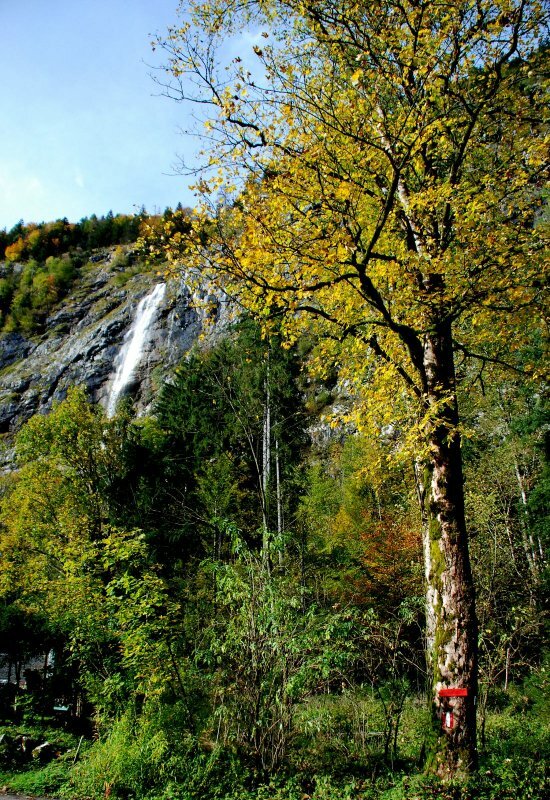 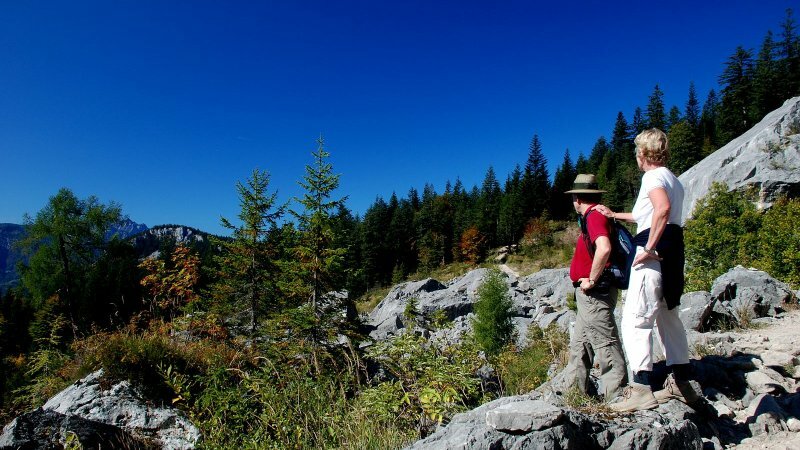 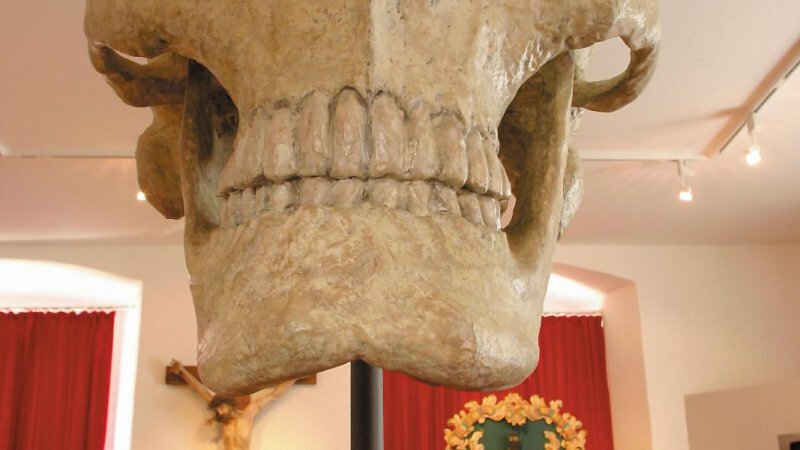 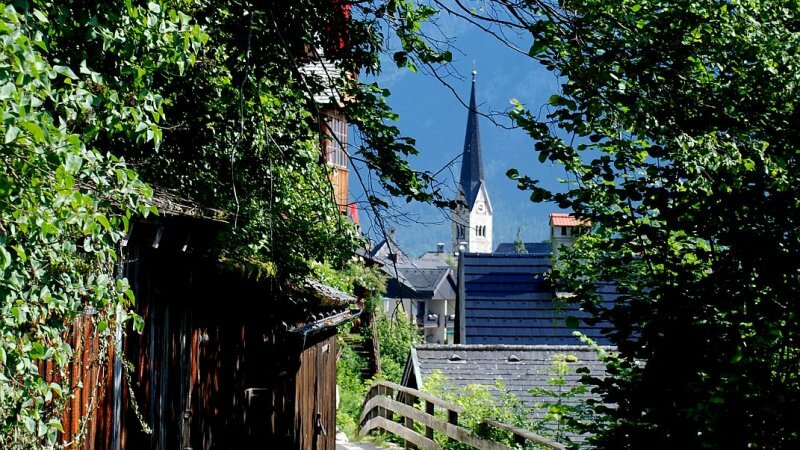 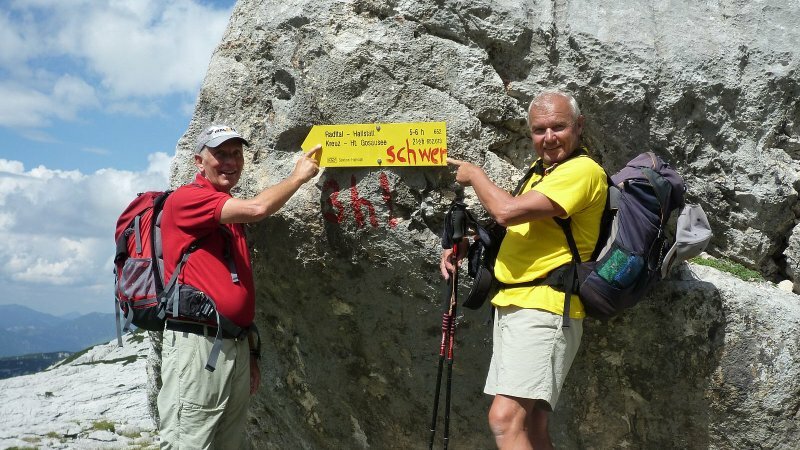 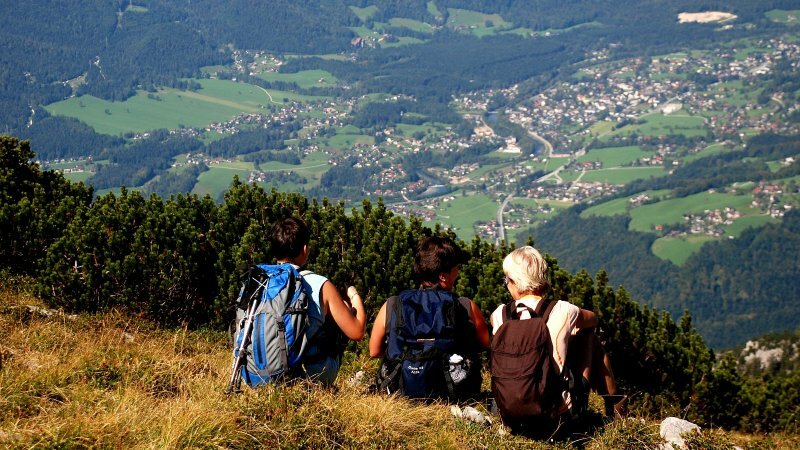 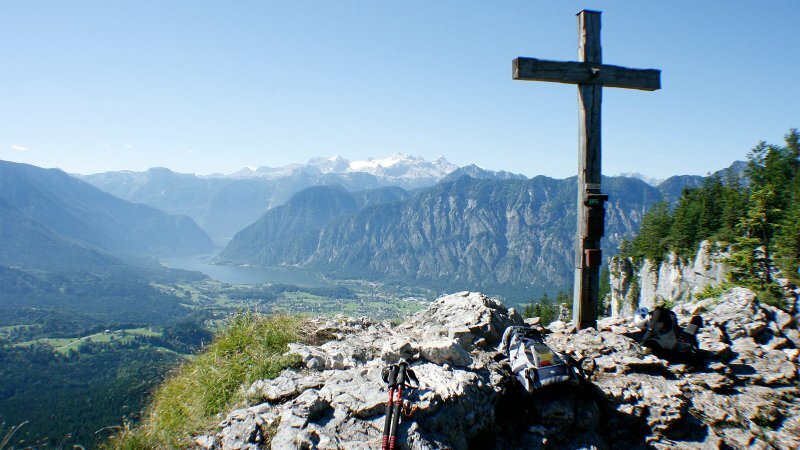 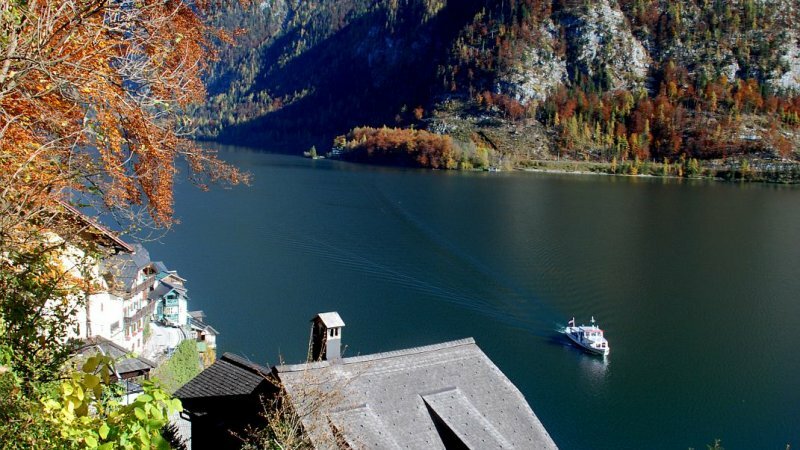 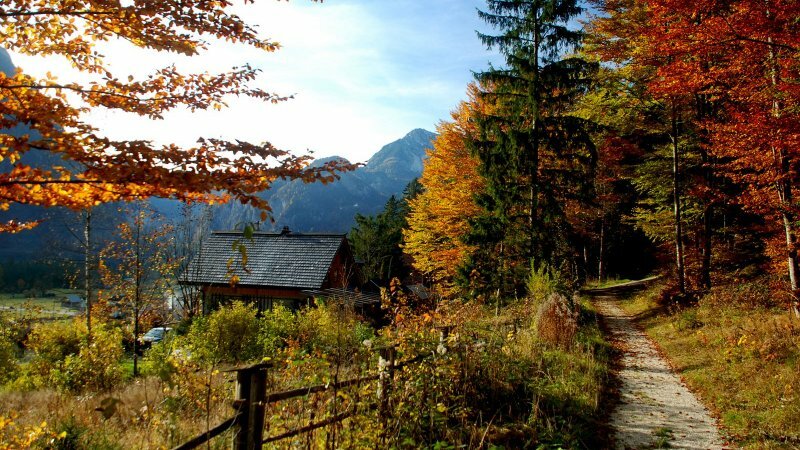 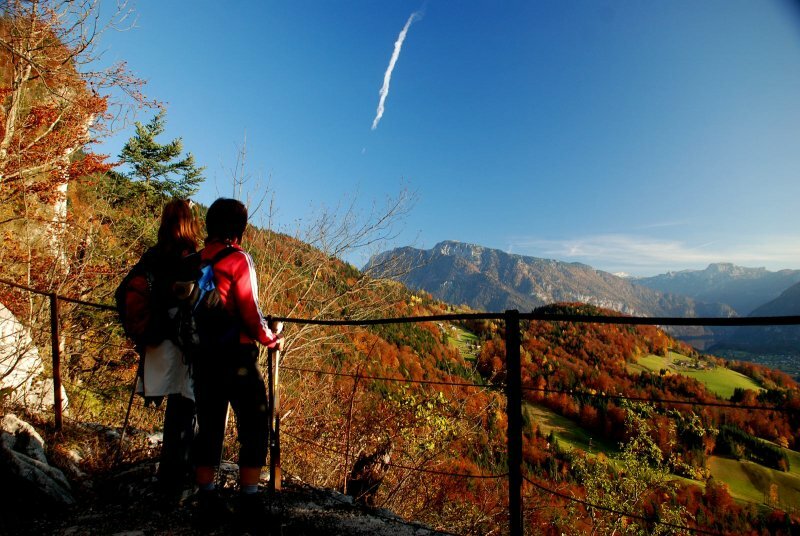 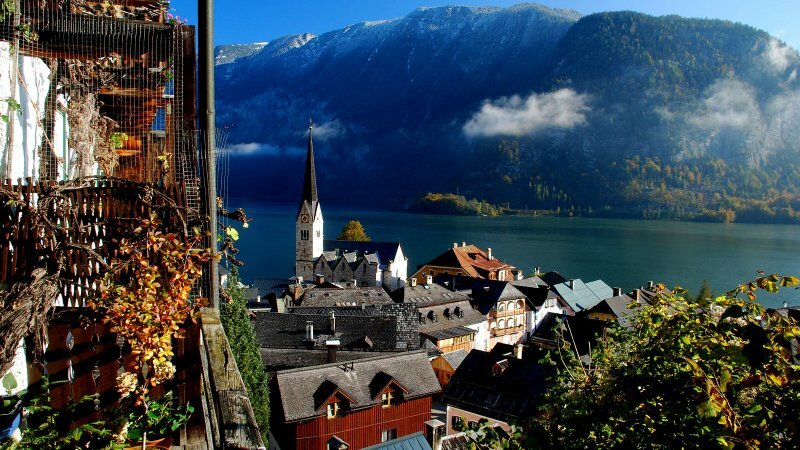 How better than with a hike in the beautiful mountains of the Salzkammergut? 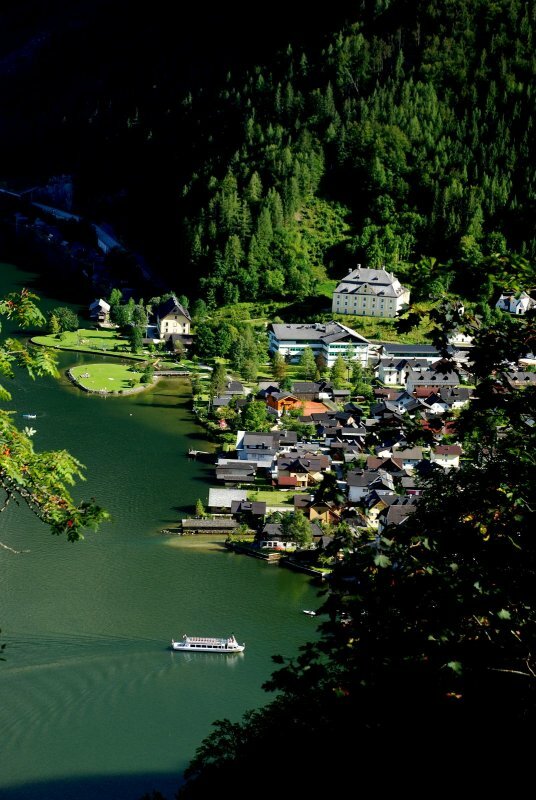 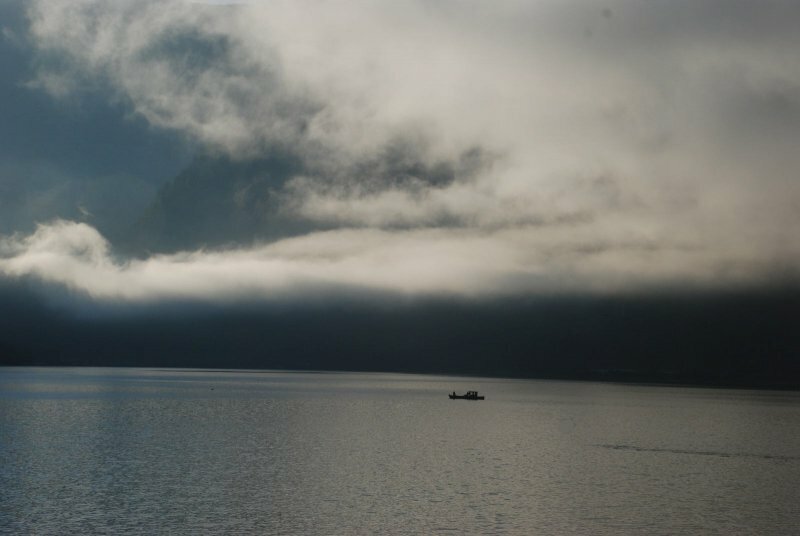 Explore our beautiful location with its breathtaking views. 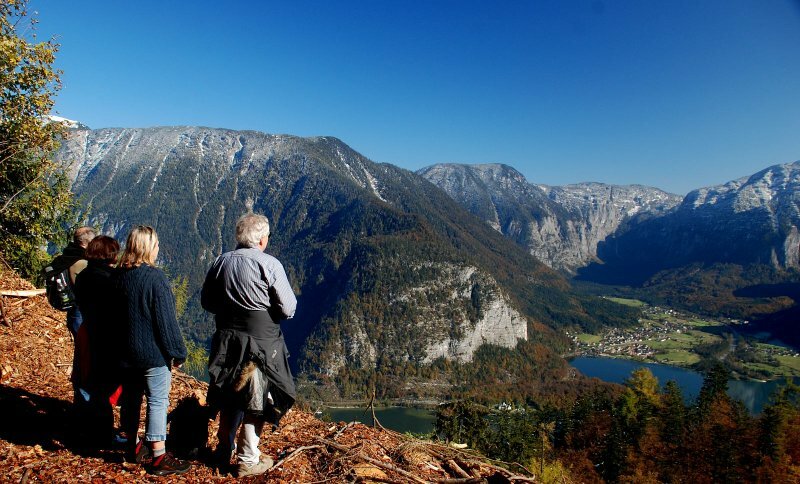 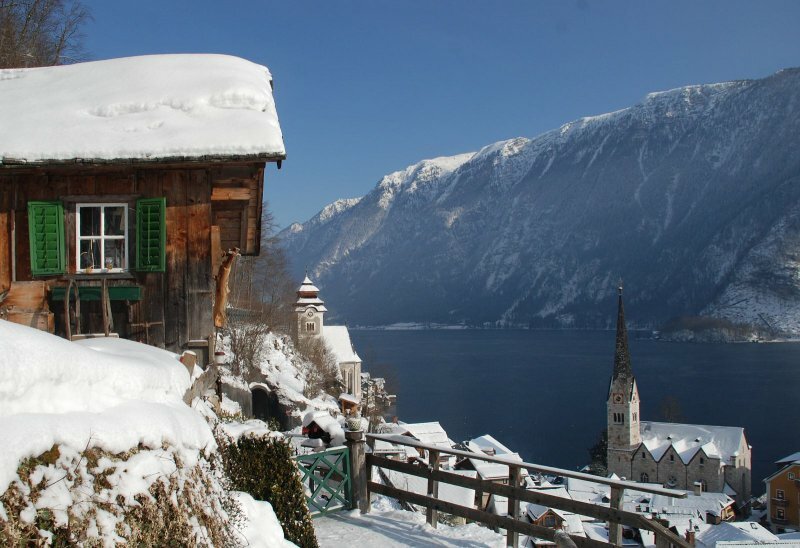 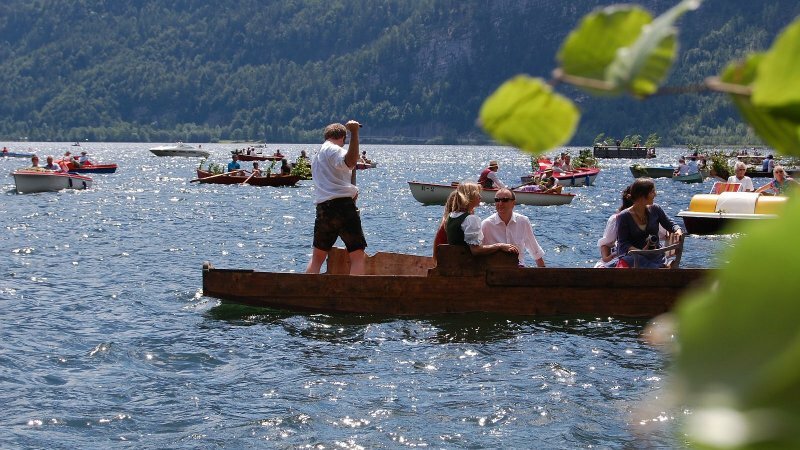 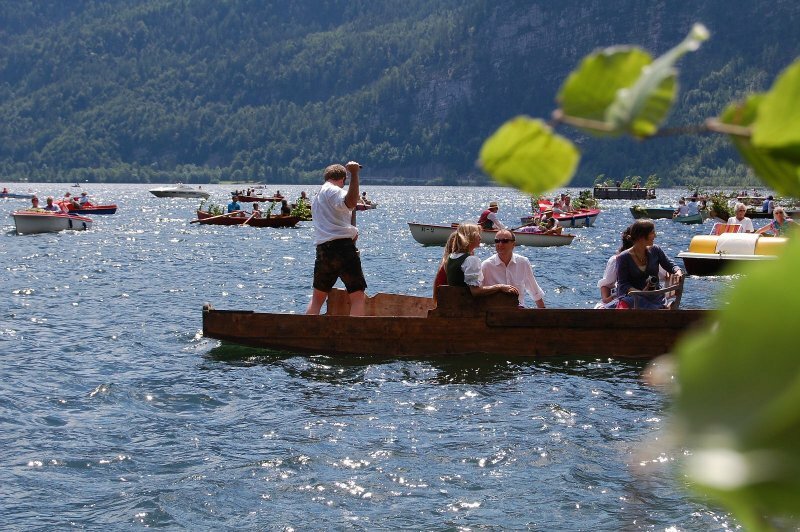 Whether spring, summer, autumn or winter - Family Hummelbrunner, from Bad Goisern on Lake Hallstatt, enjoys getting out and about with their guests in the unique mountain world of the UNESCO World Heritage region of Hallstatt Dachstein Salzkammergut. 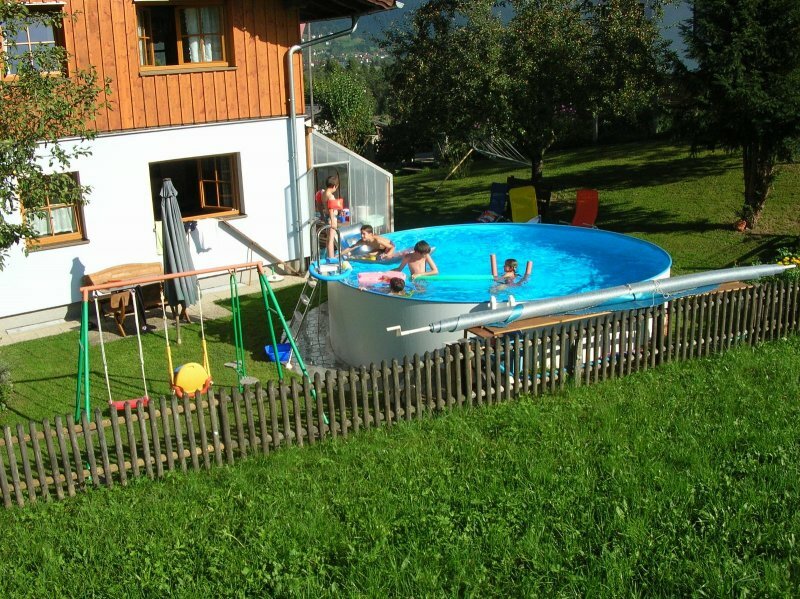 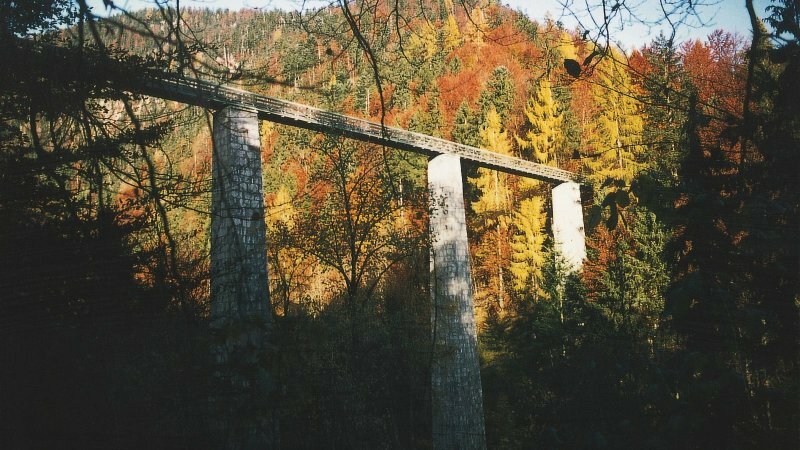 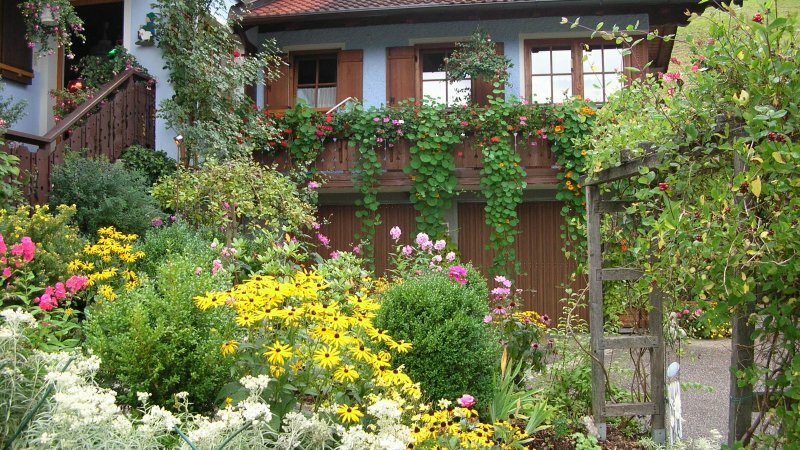 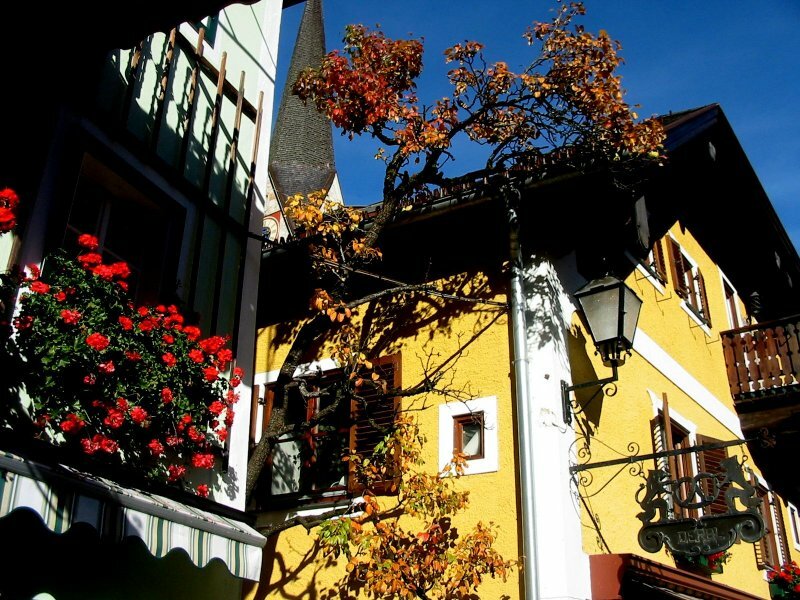 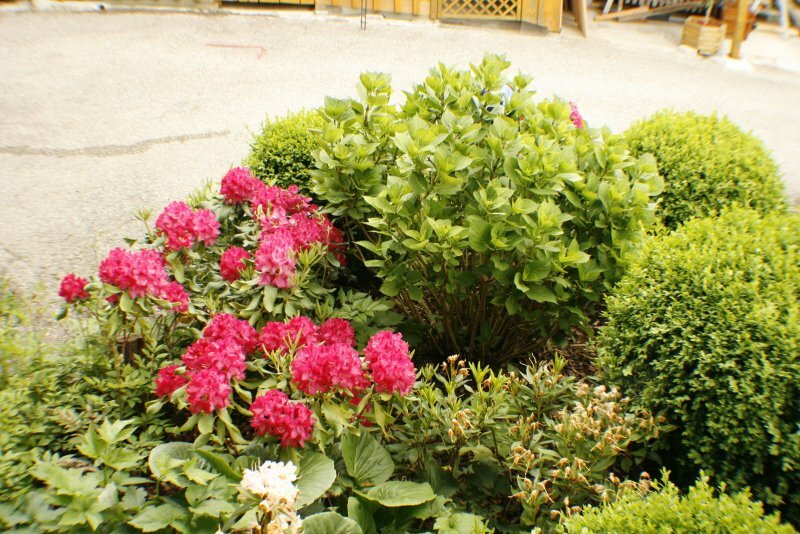 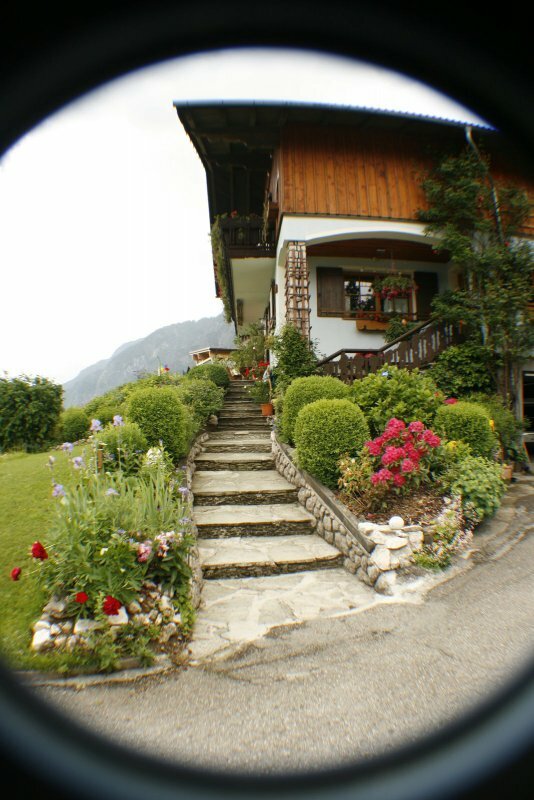 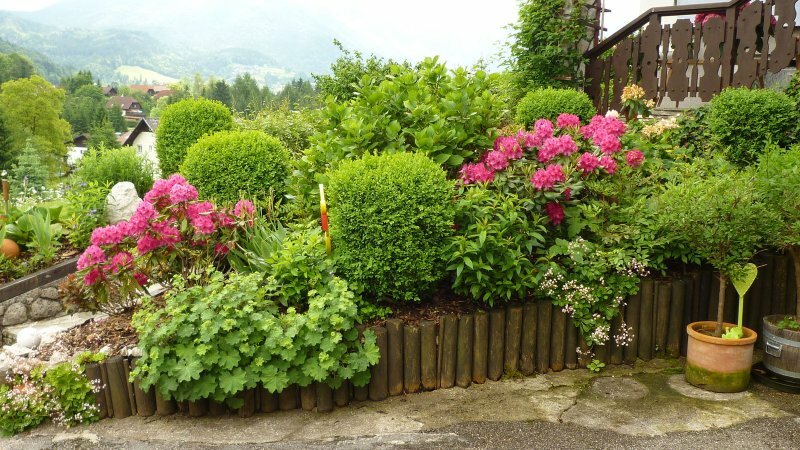 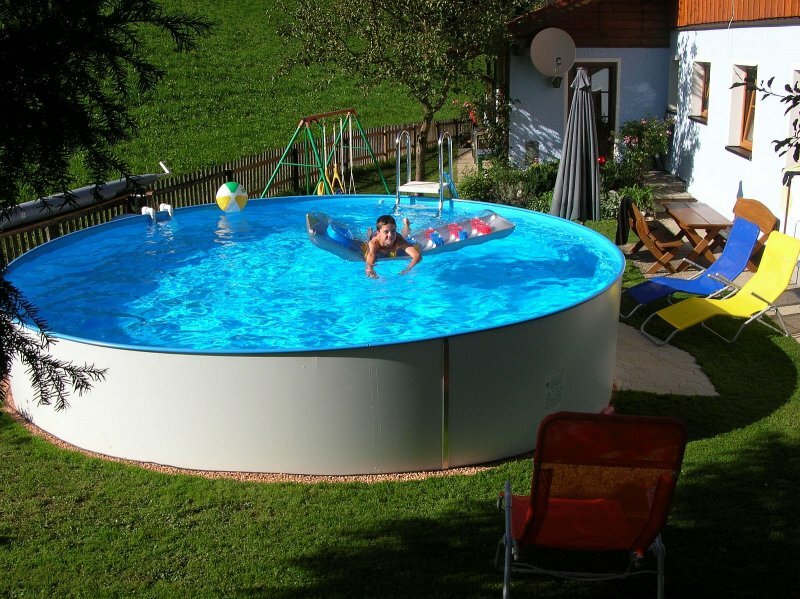 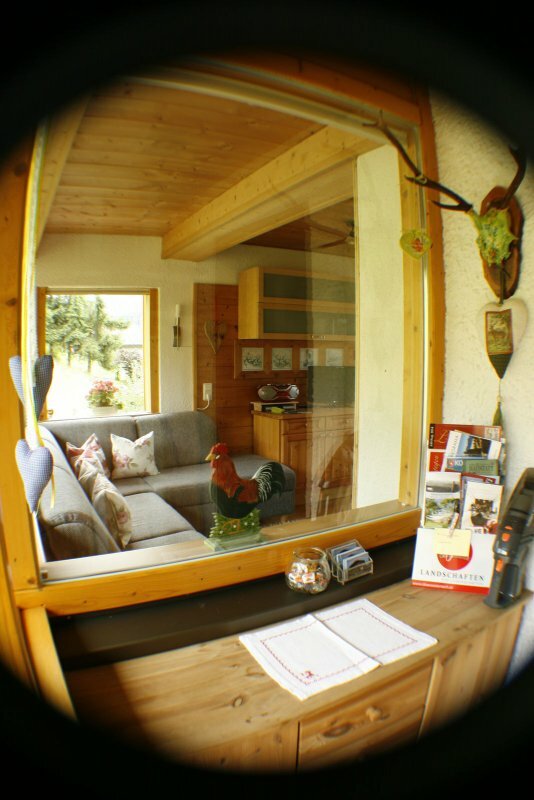 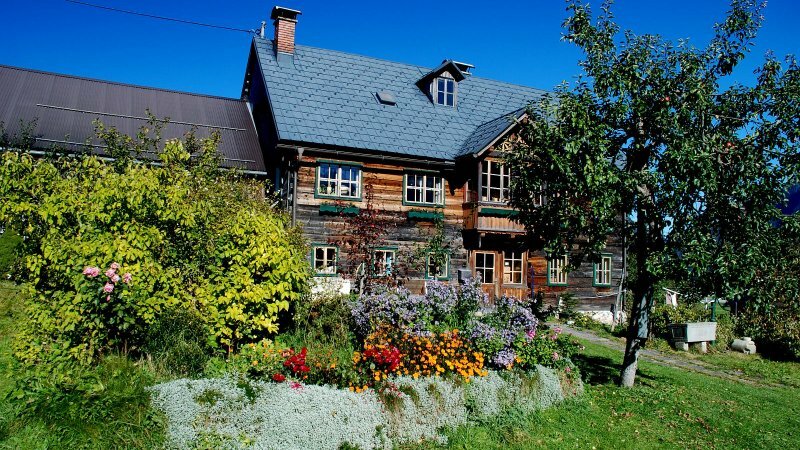 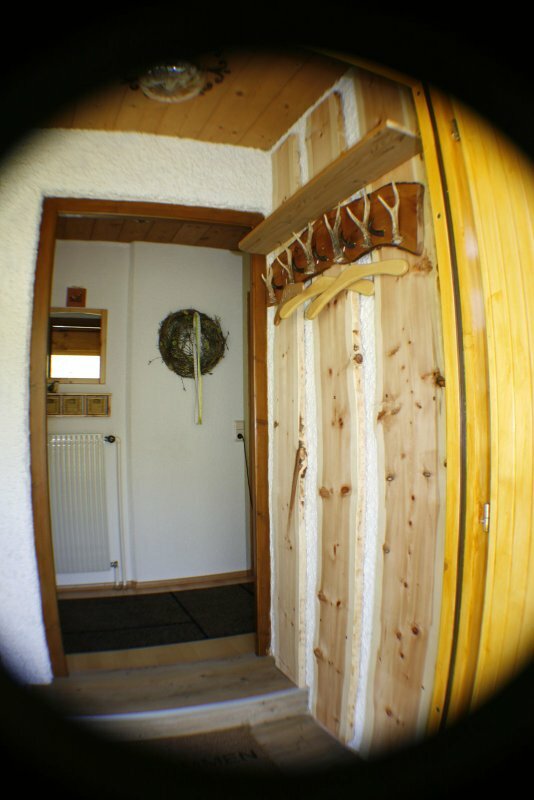 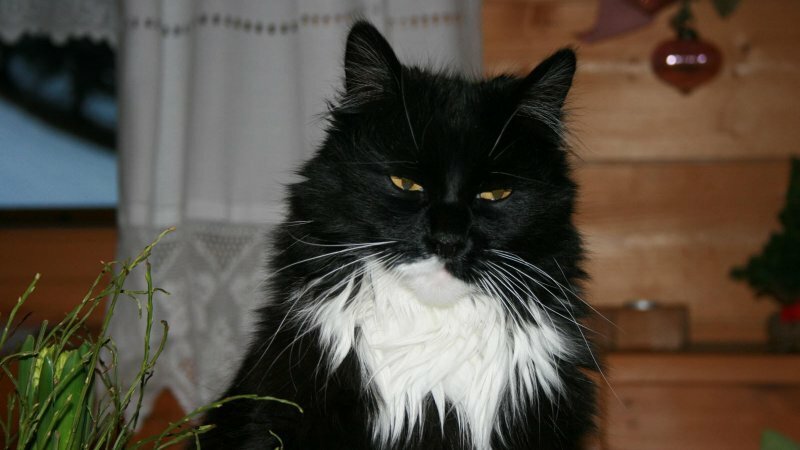 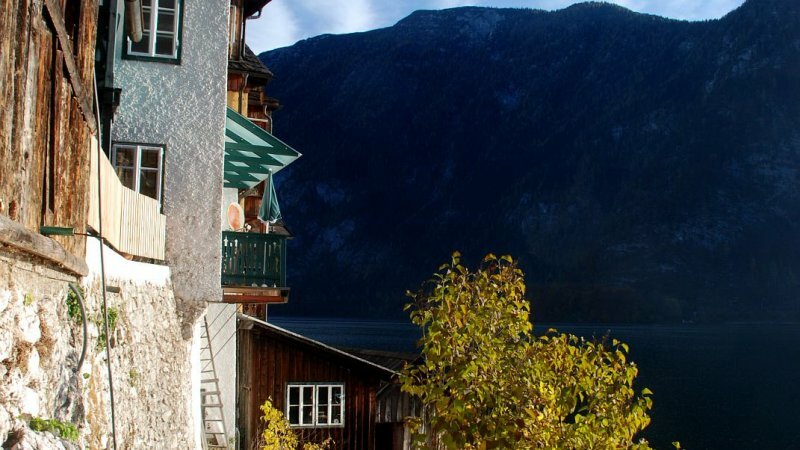 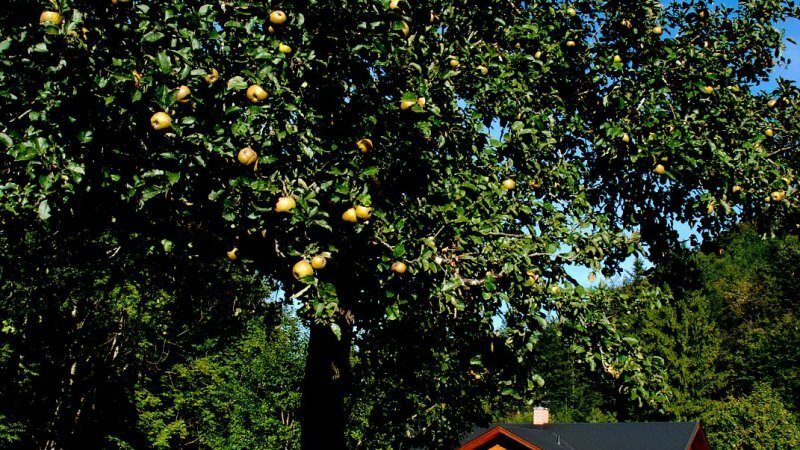 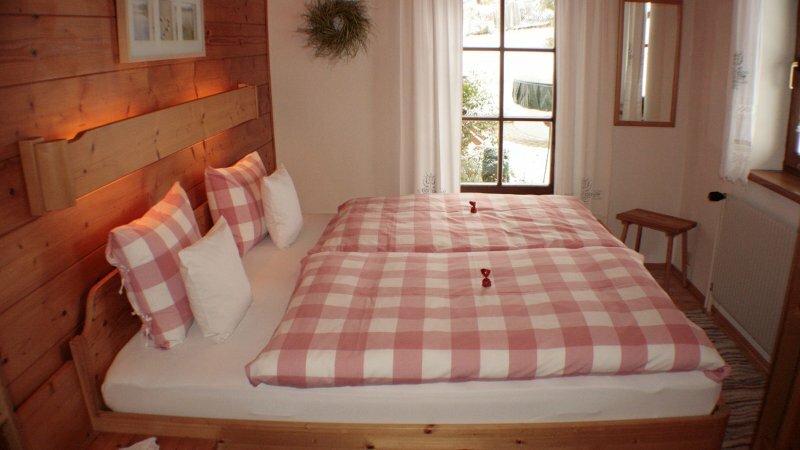 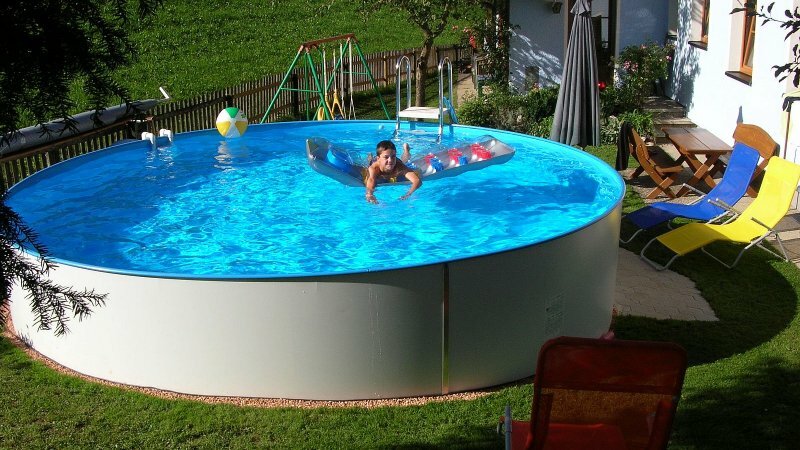 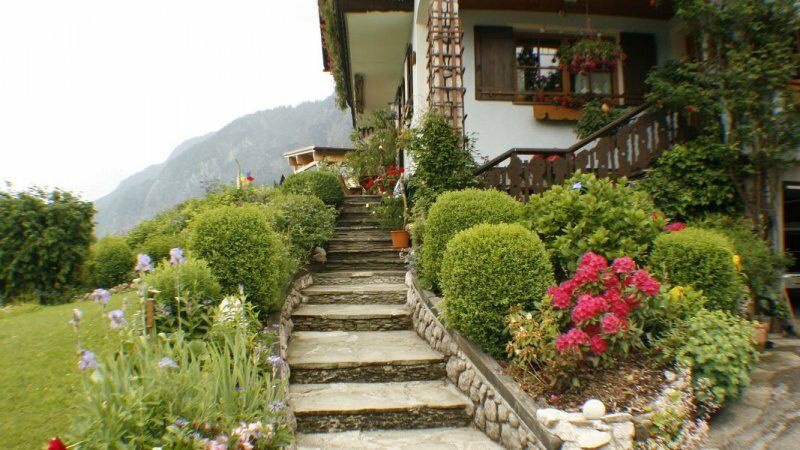 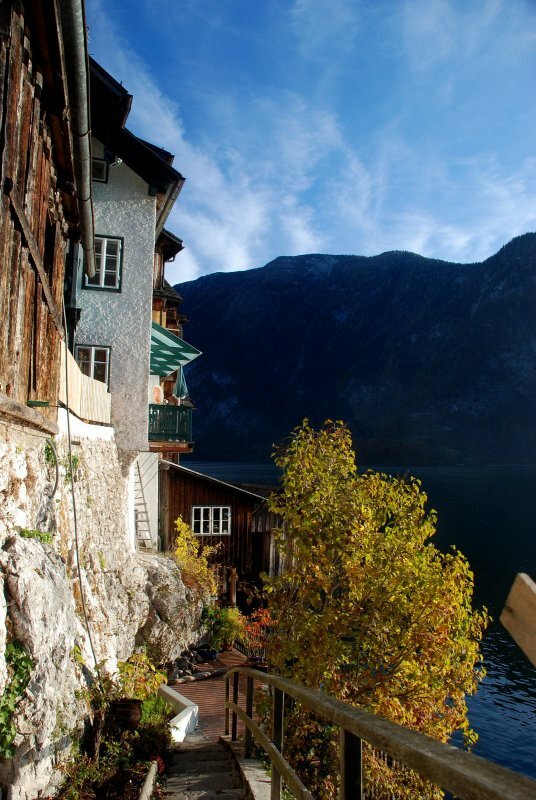 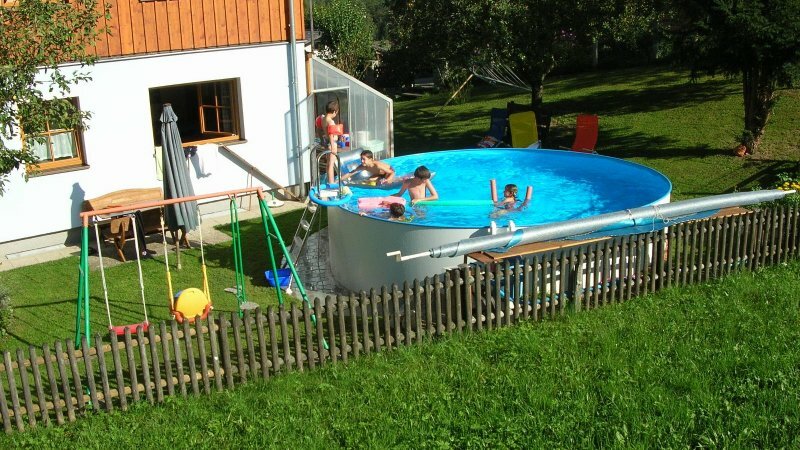 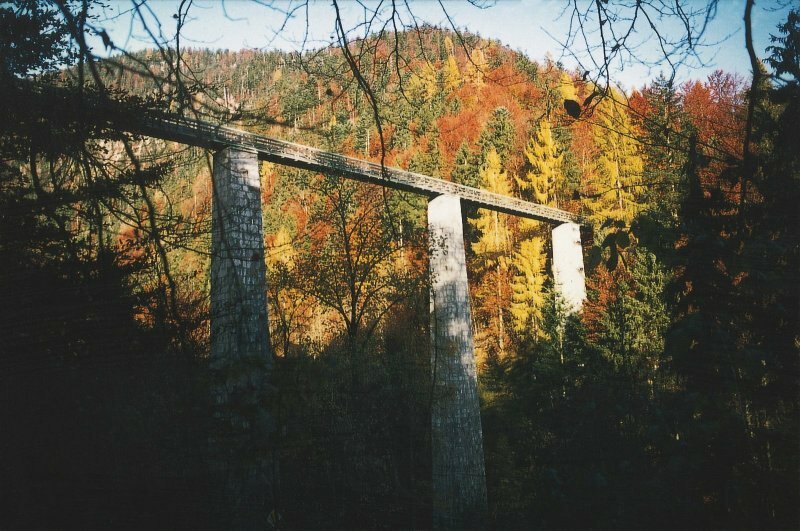 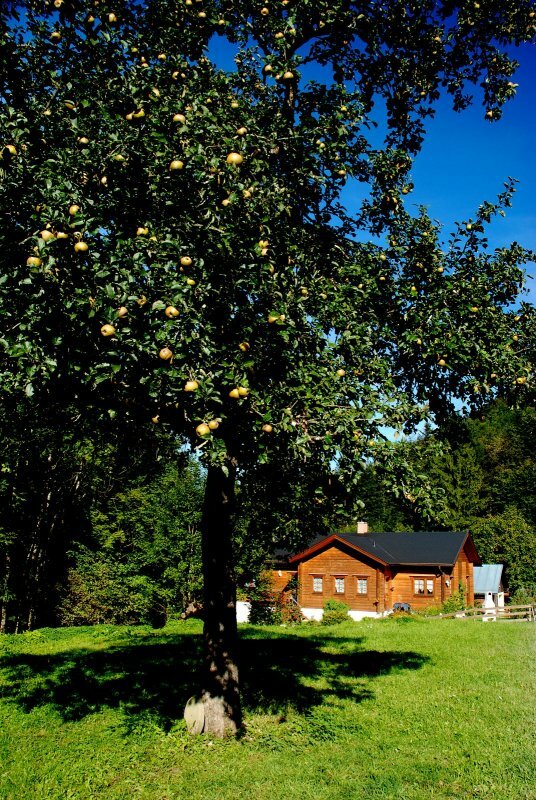 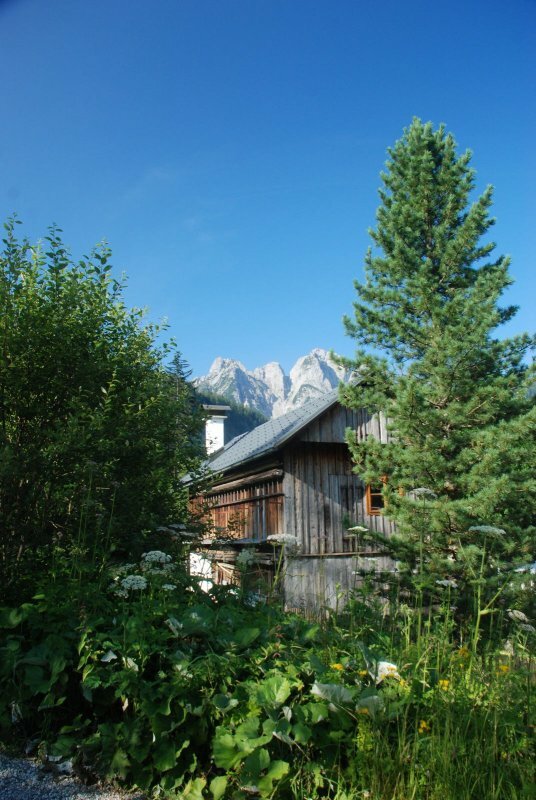 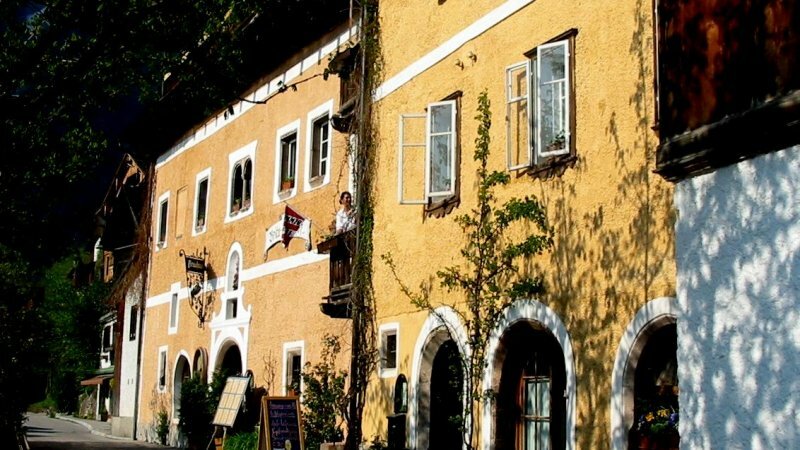 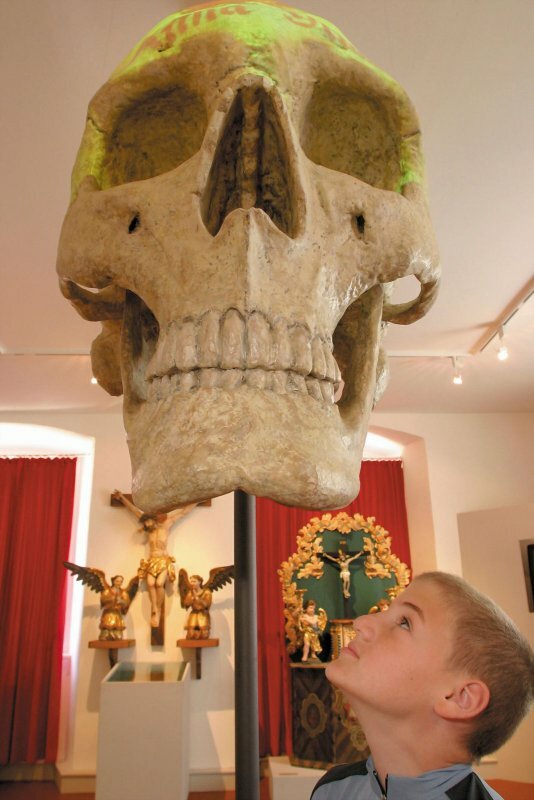 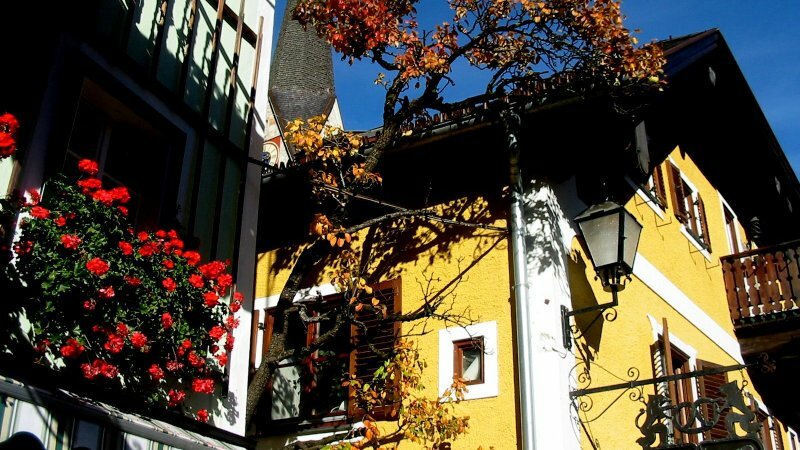 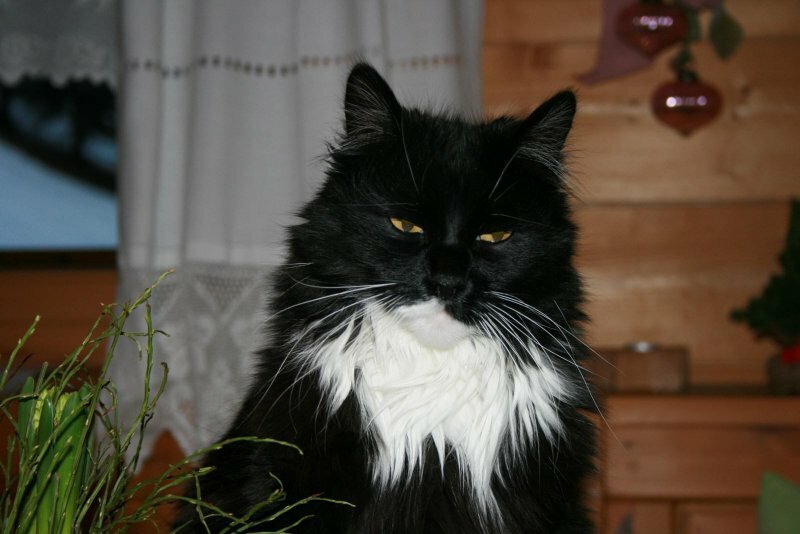 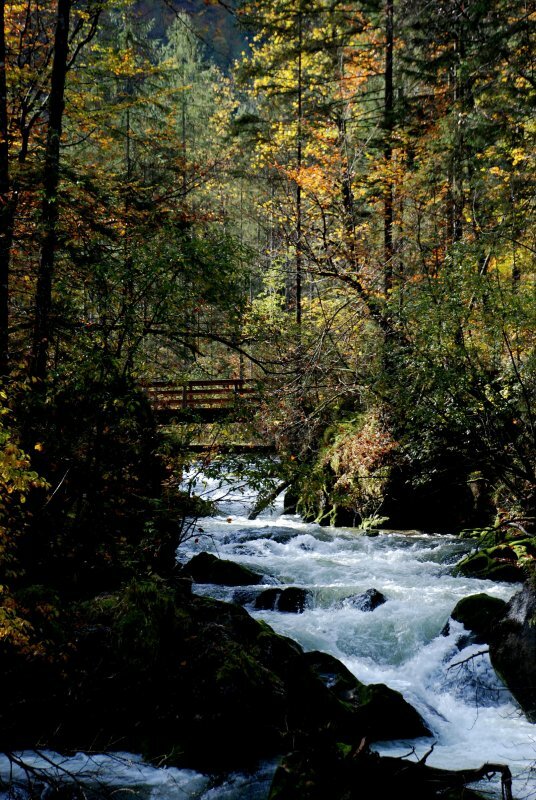 Book Helga Hummelbrunner's Holiday home now! 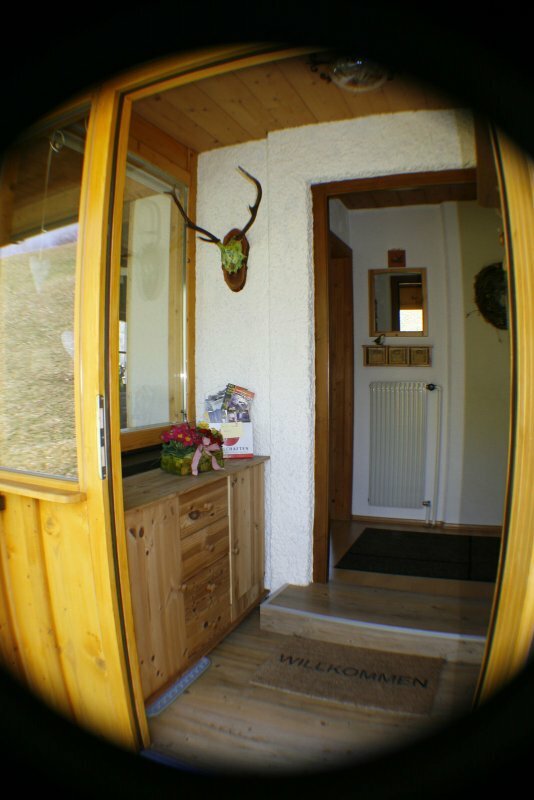 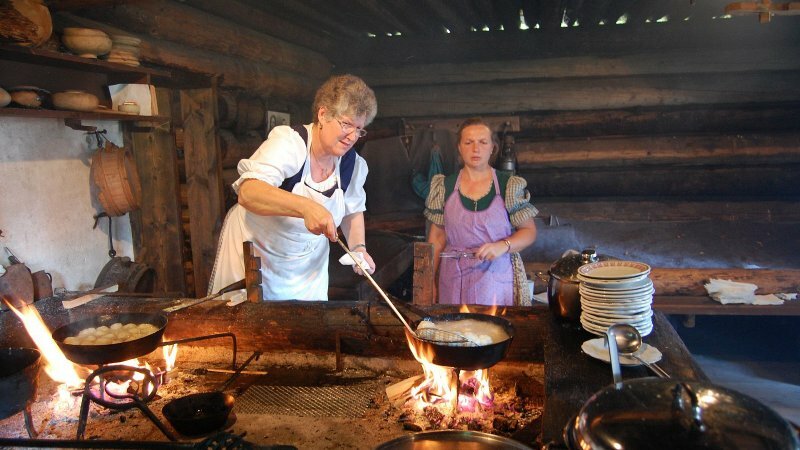 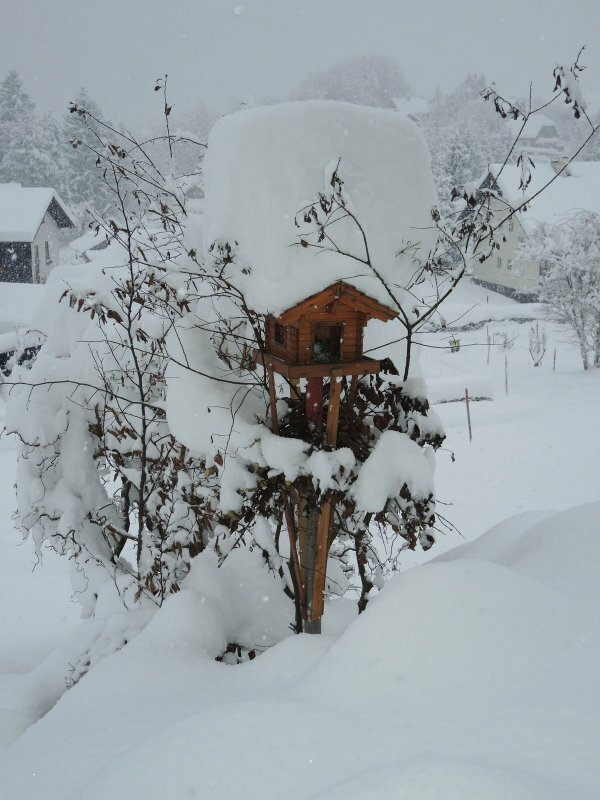 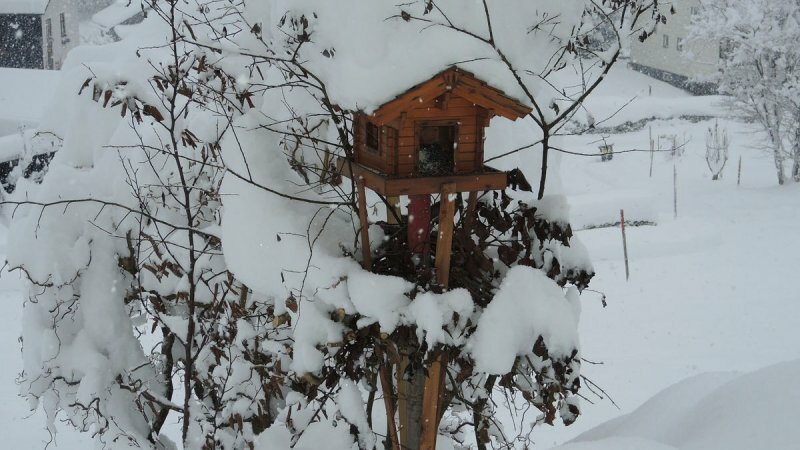 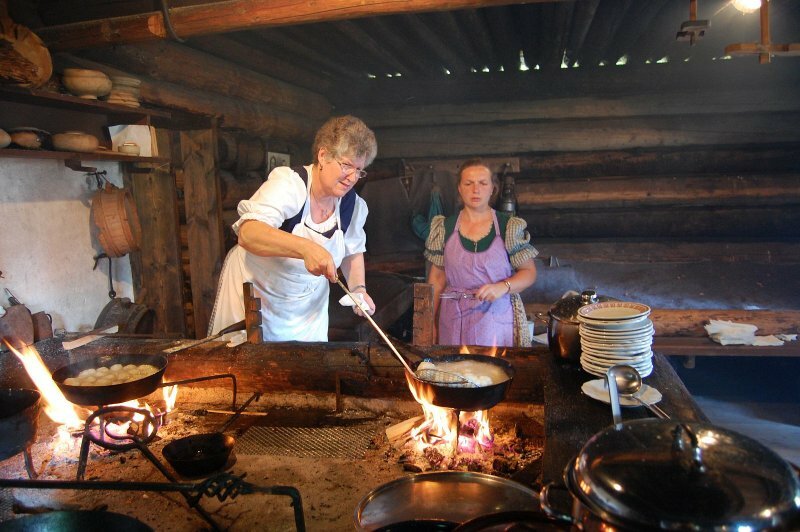 Send booking inquiry for Helga Hummelbrunner's Holiday home now!